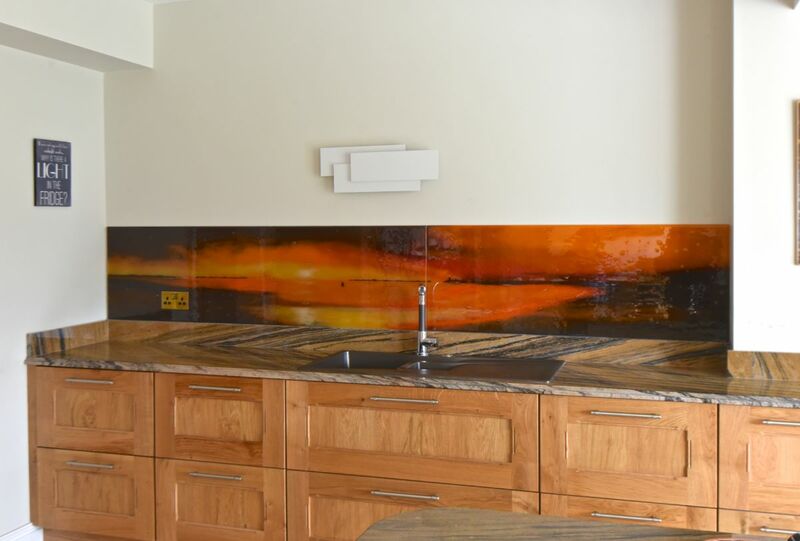 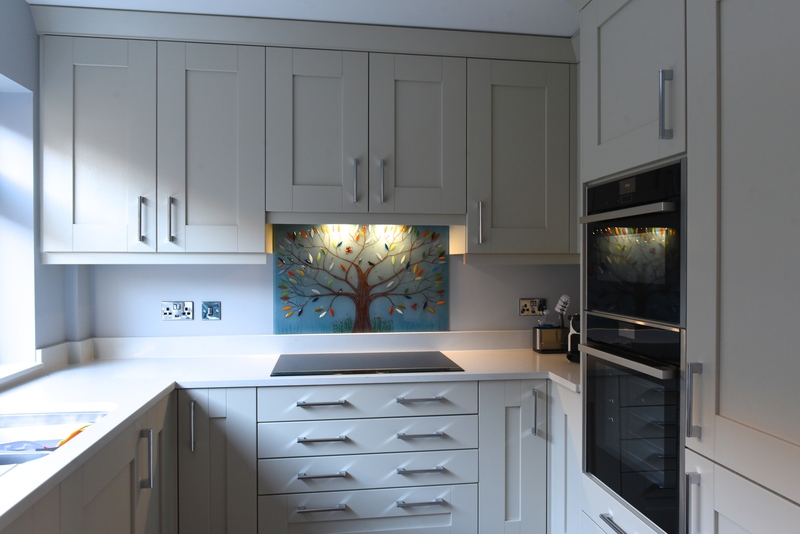 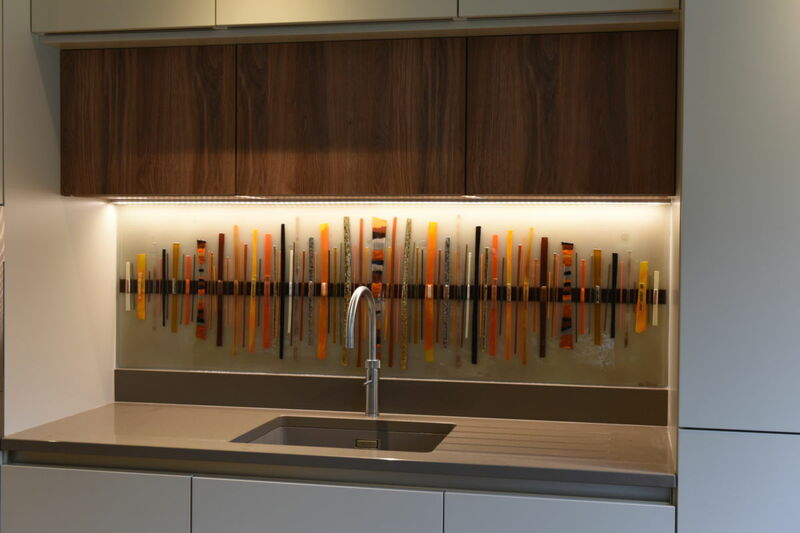 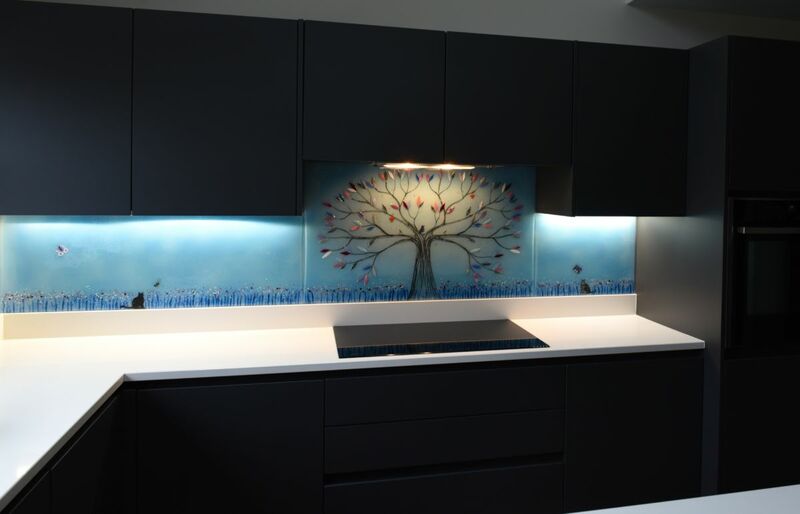 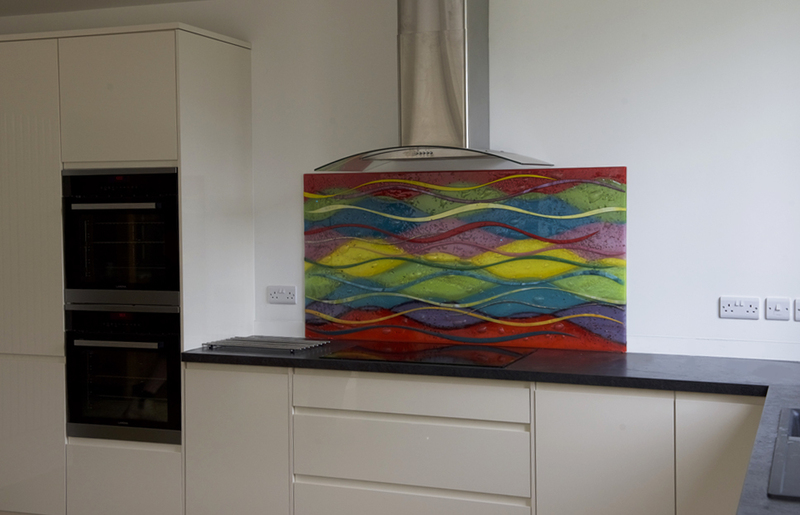 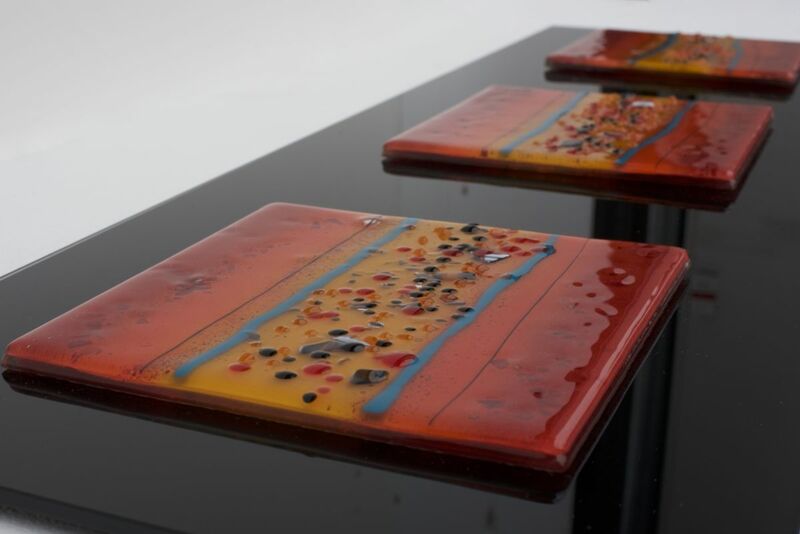 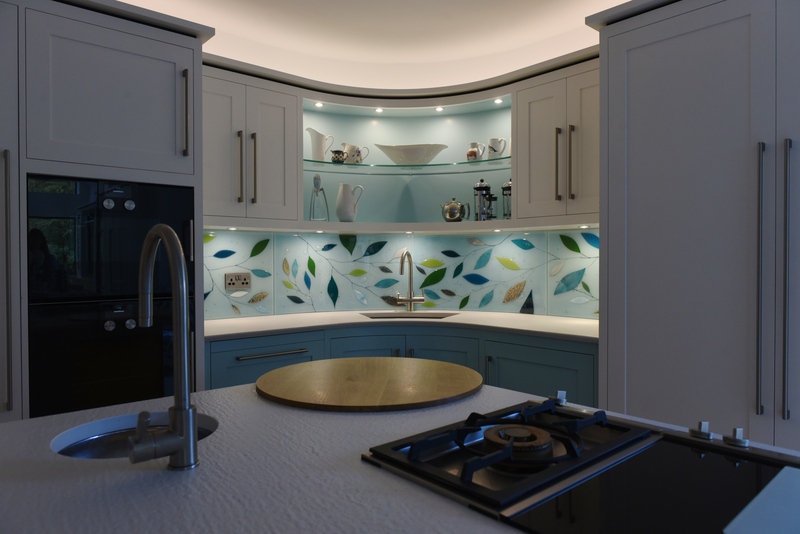 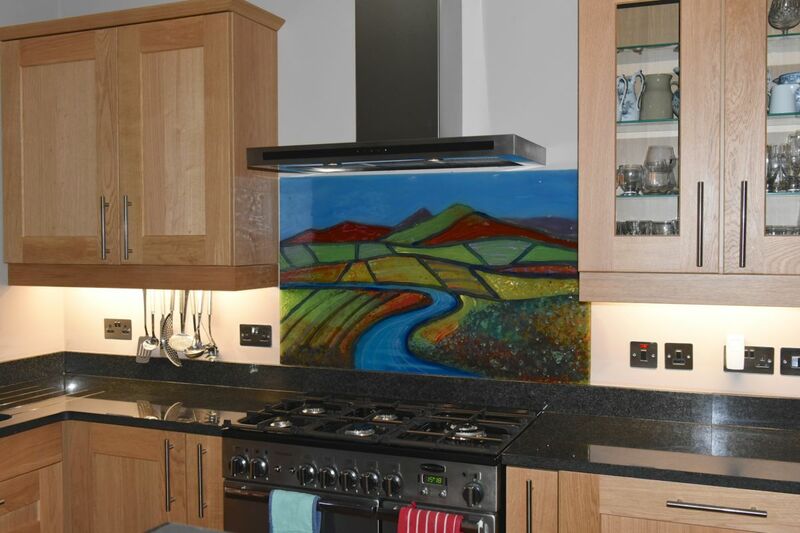 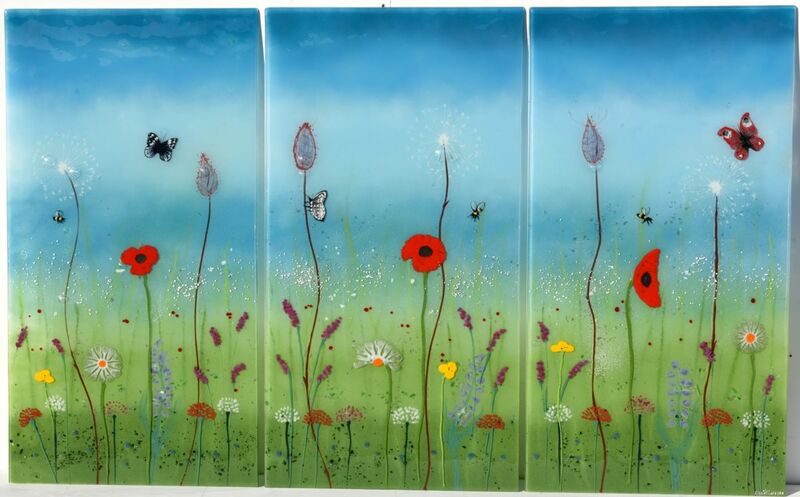 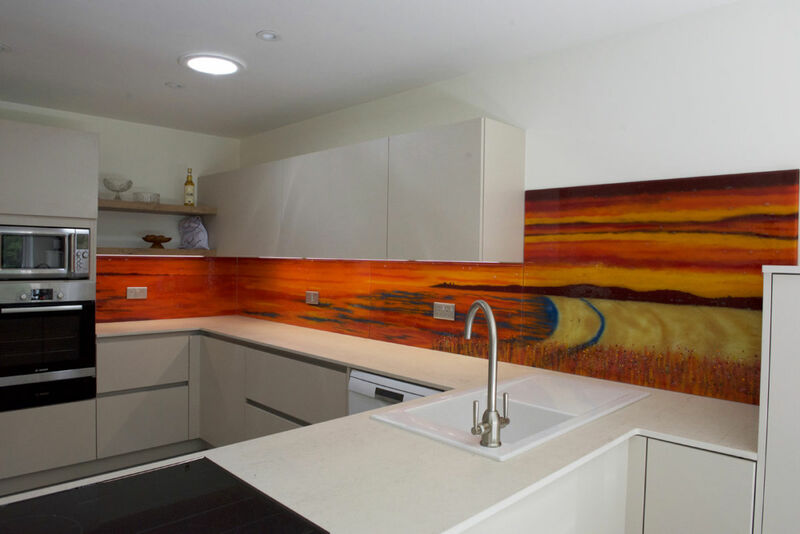 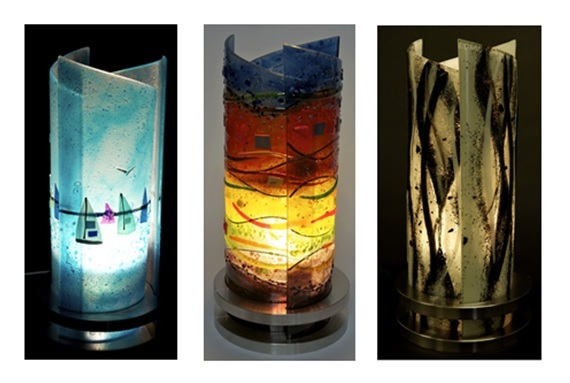 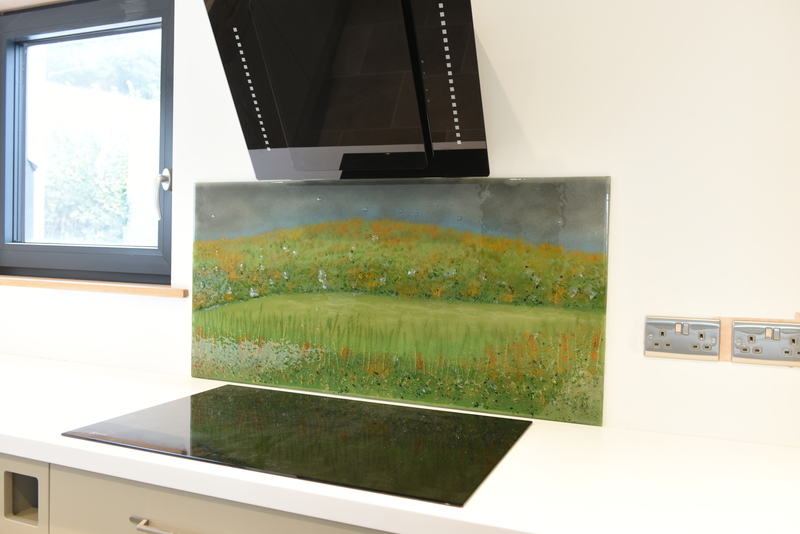 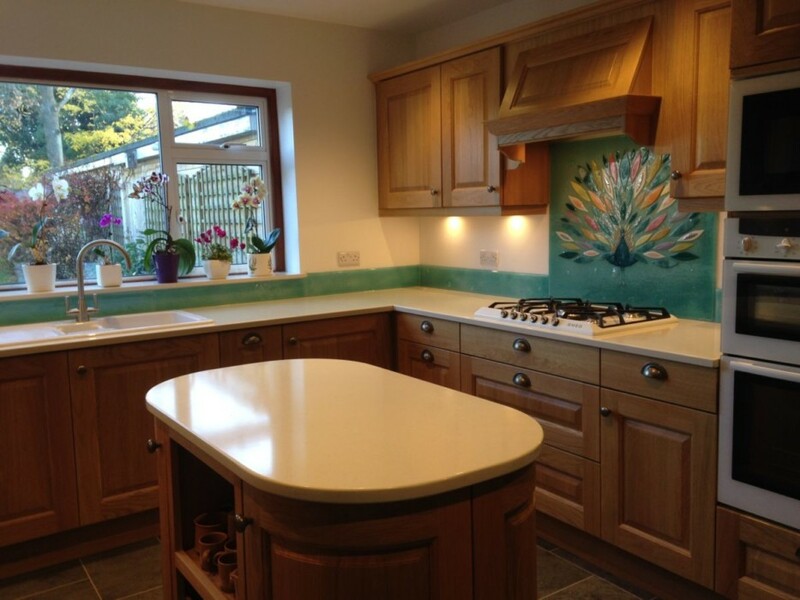 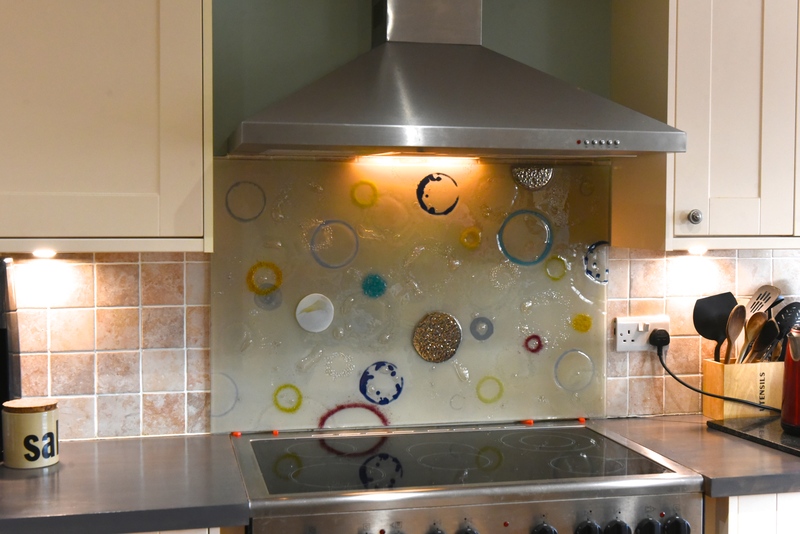 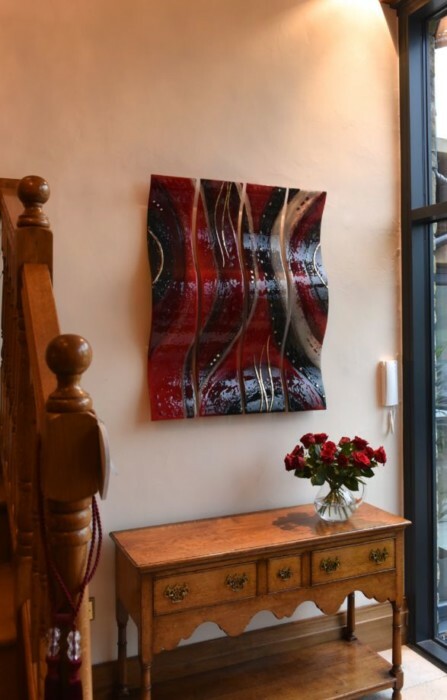 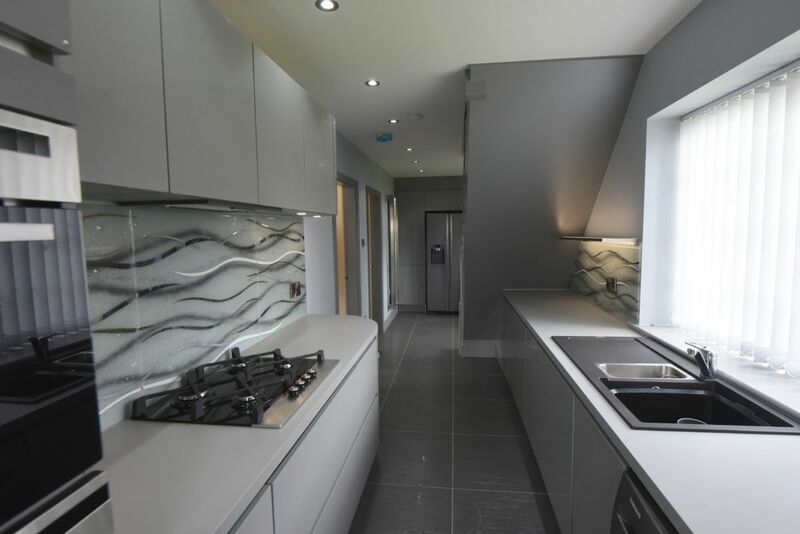 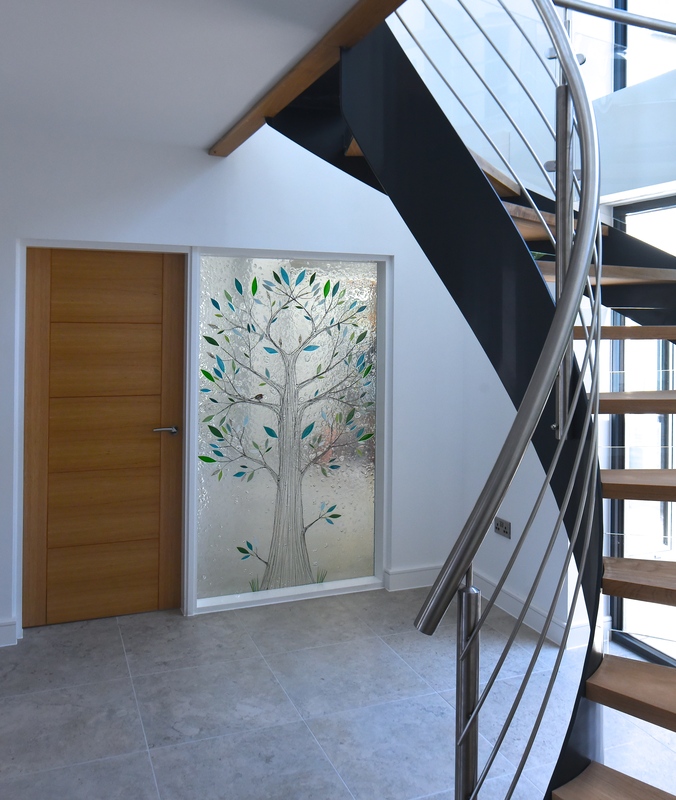 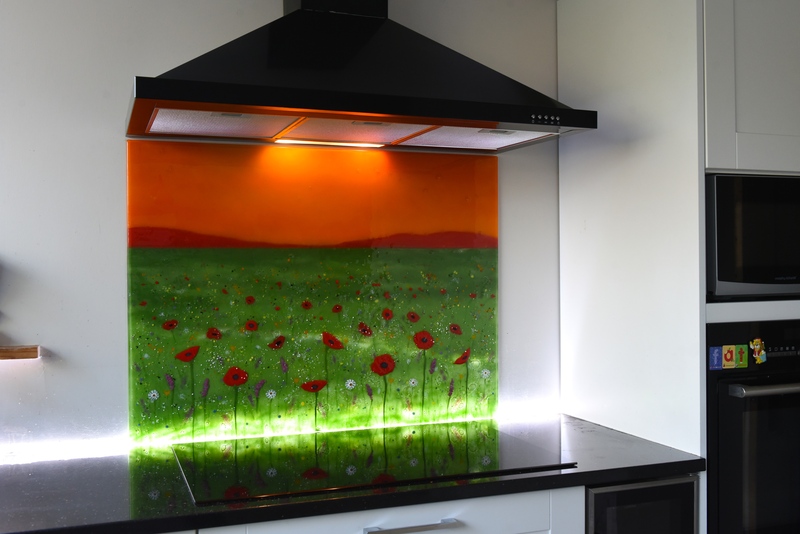 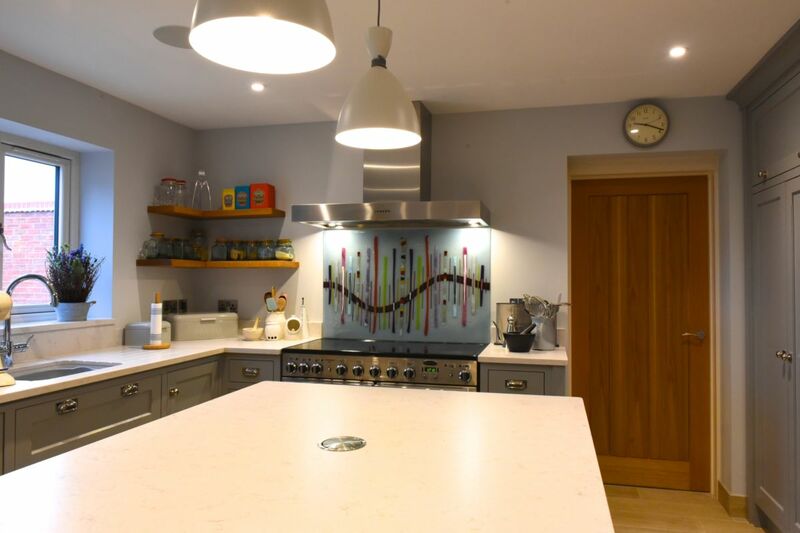 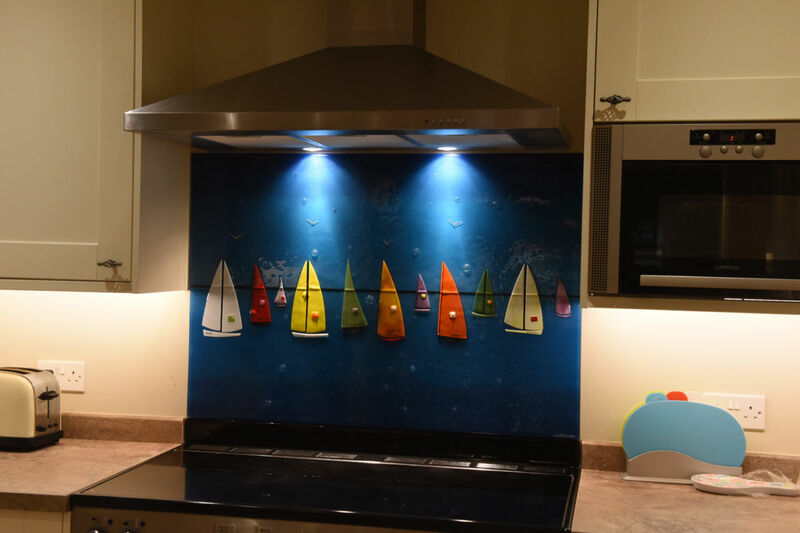 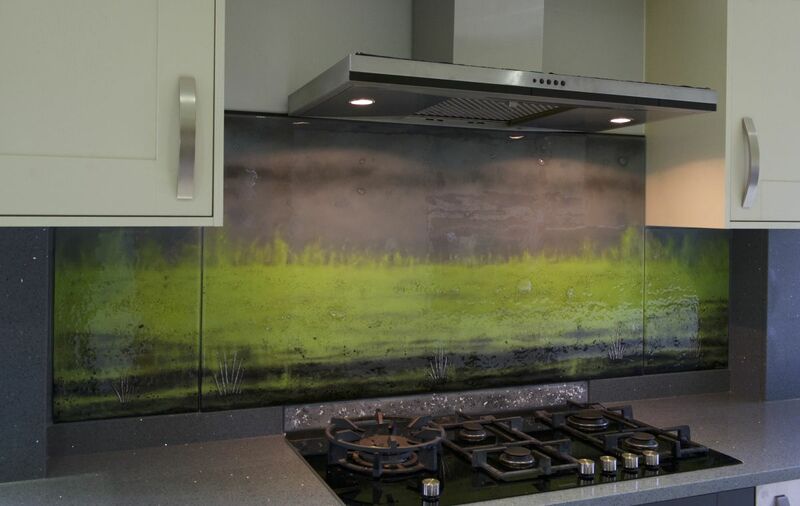 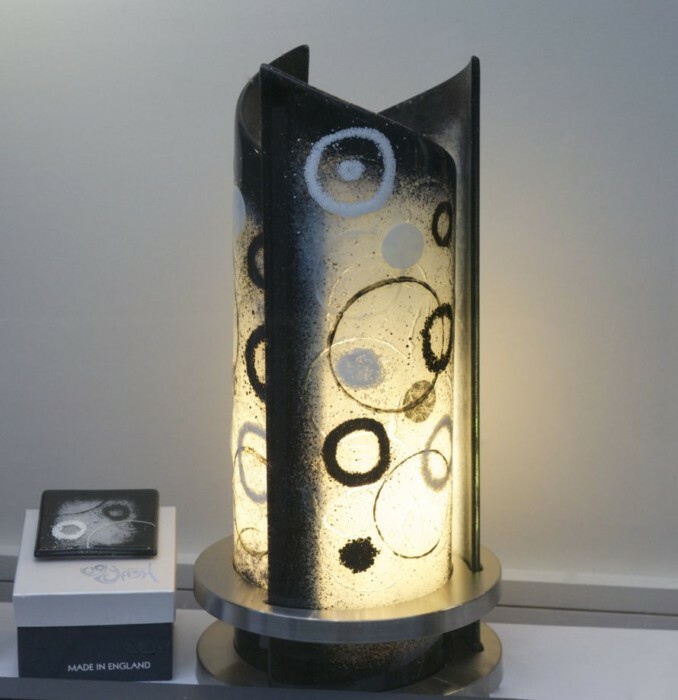 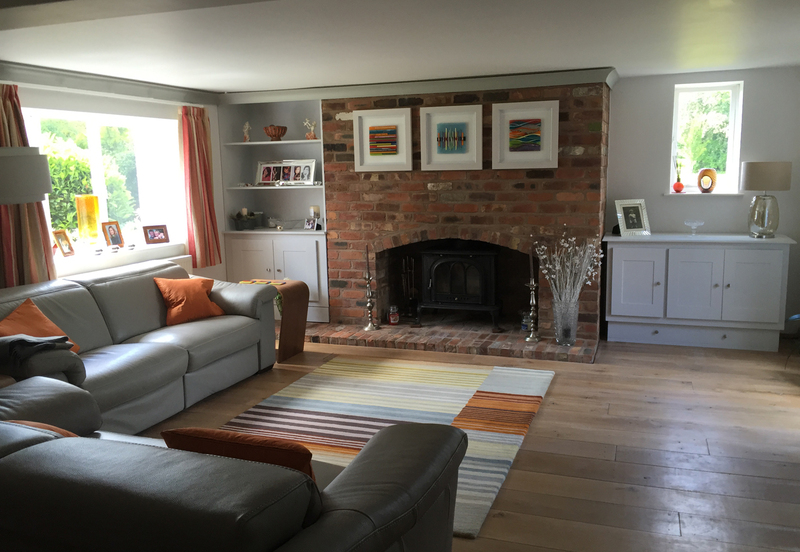 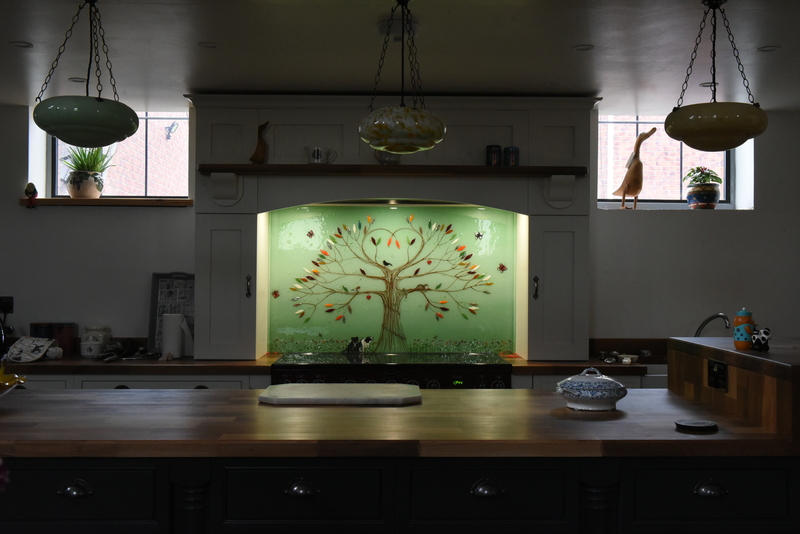 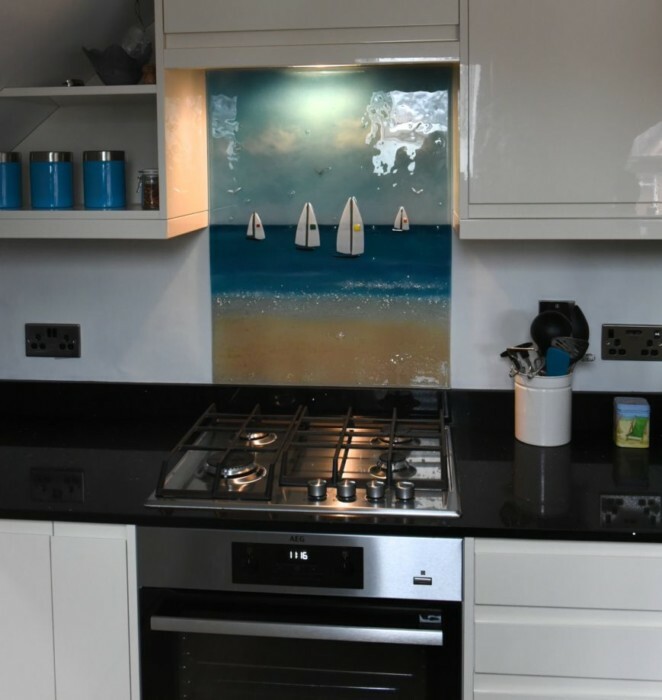 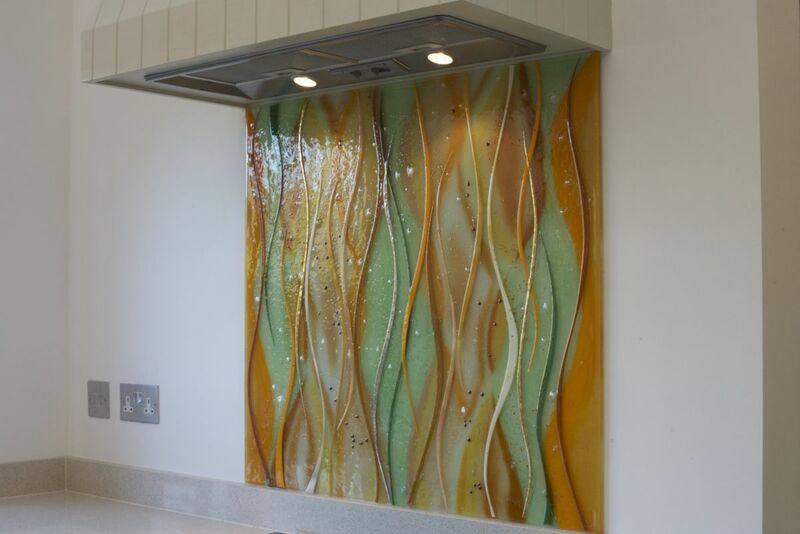 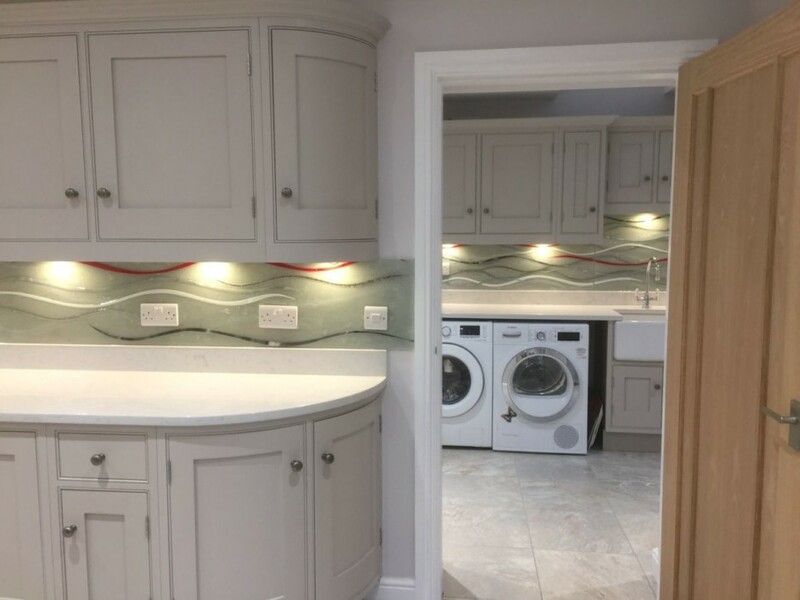 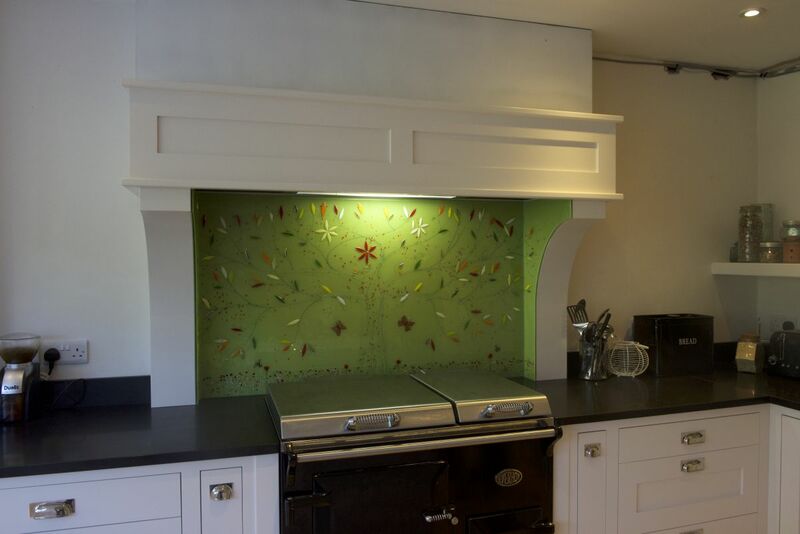 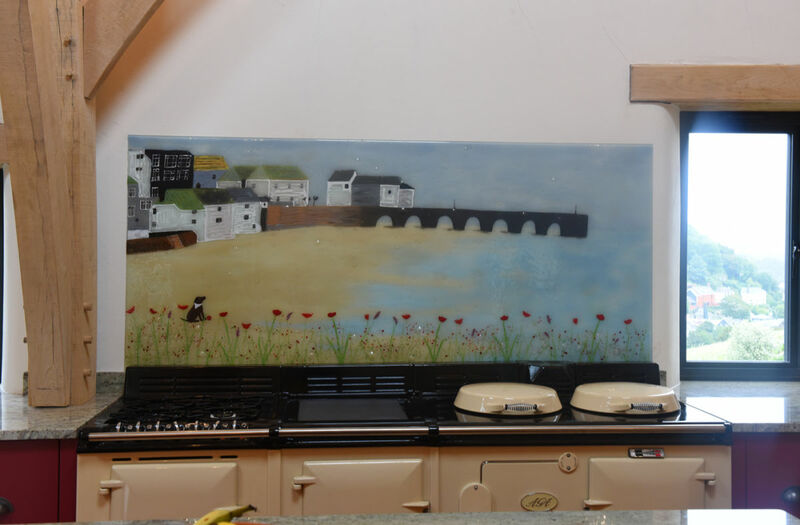 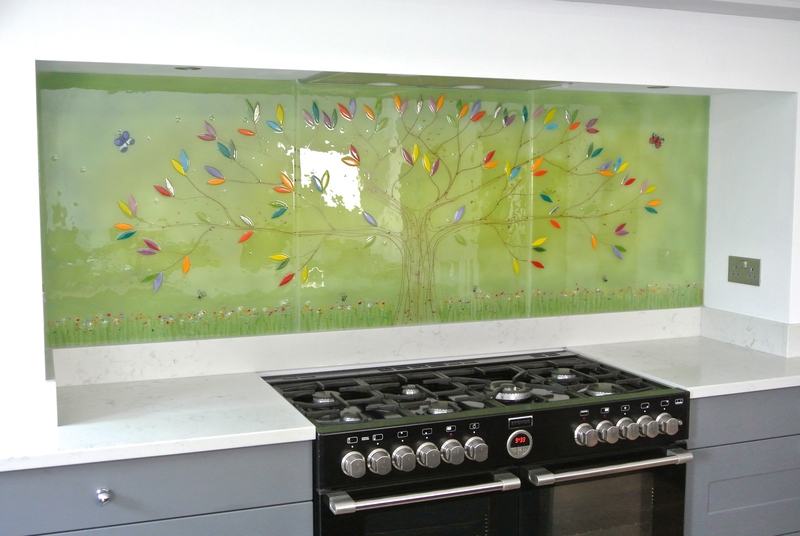 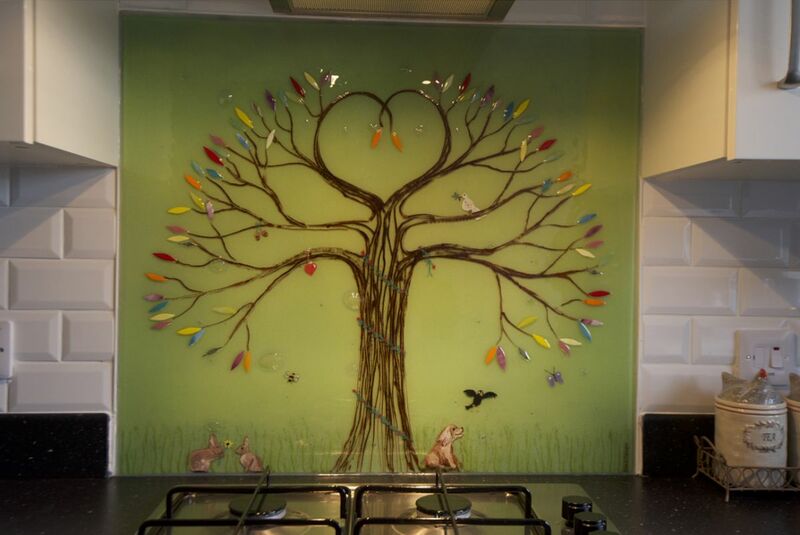 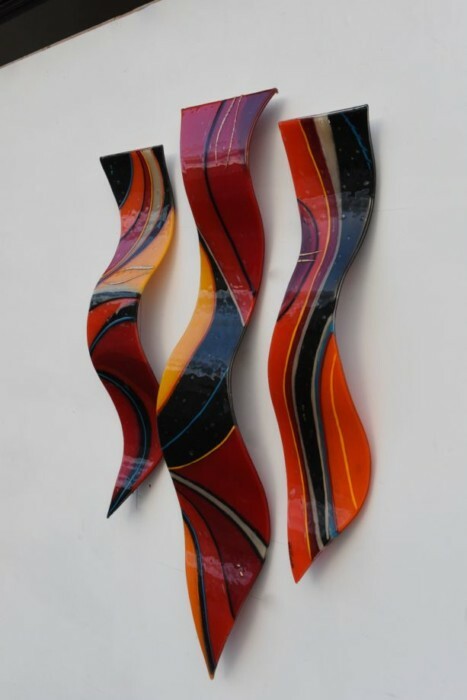 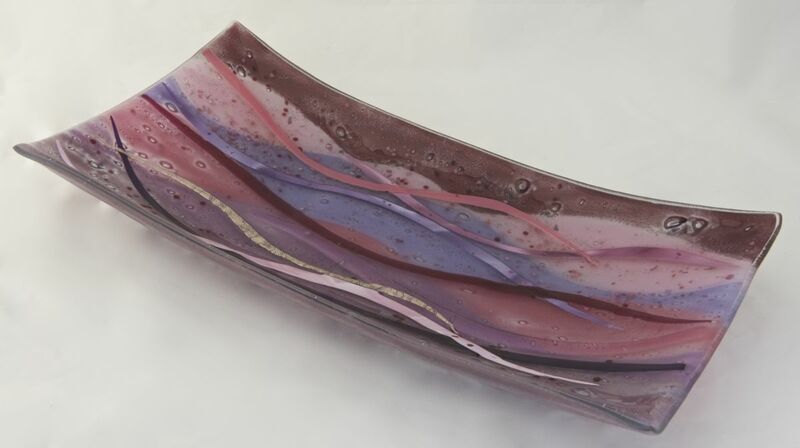 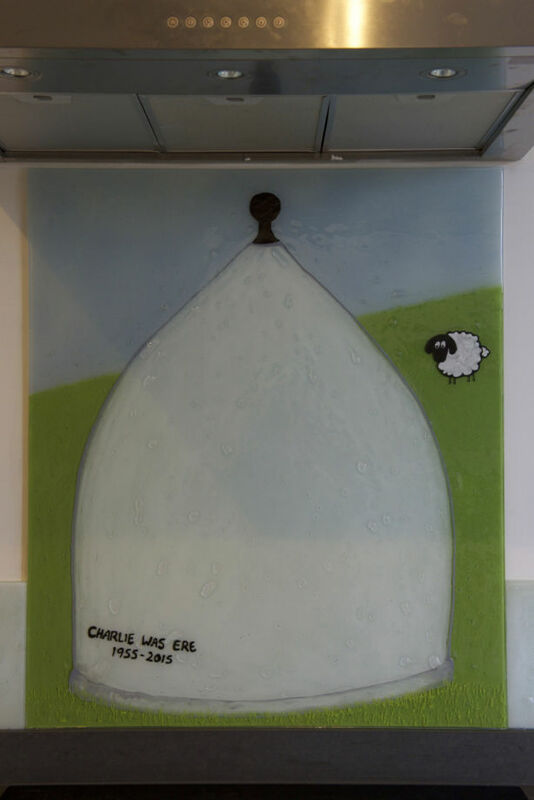 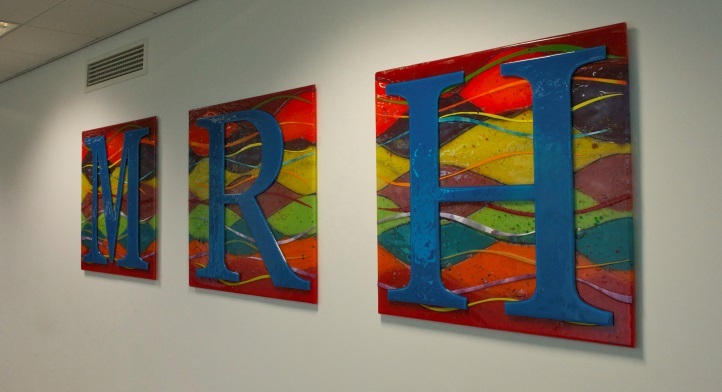 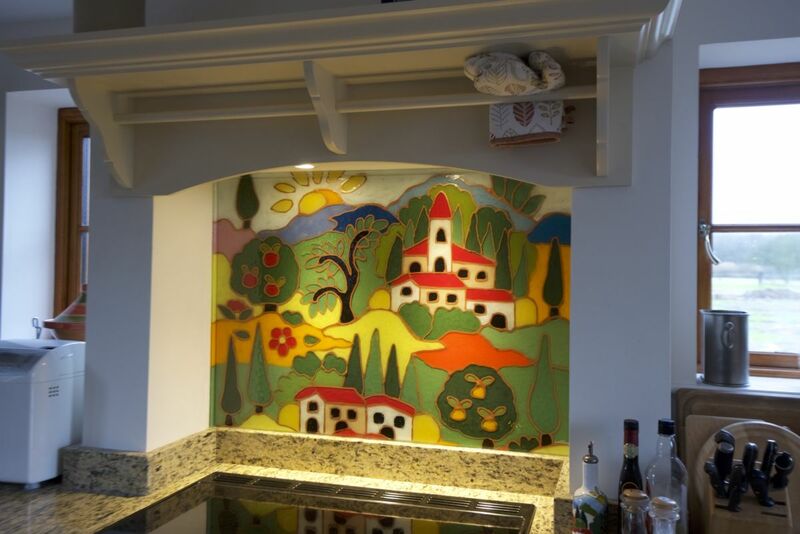 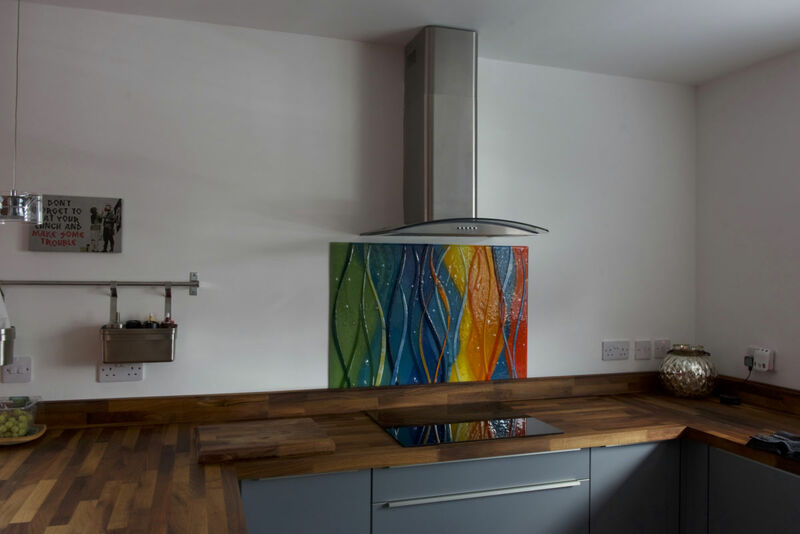 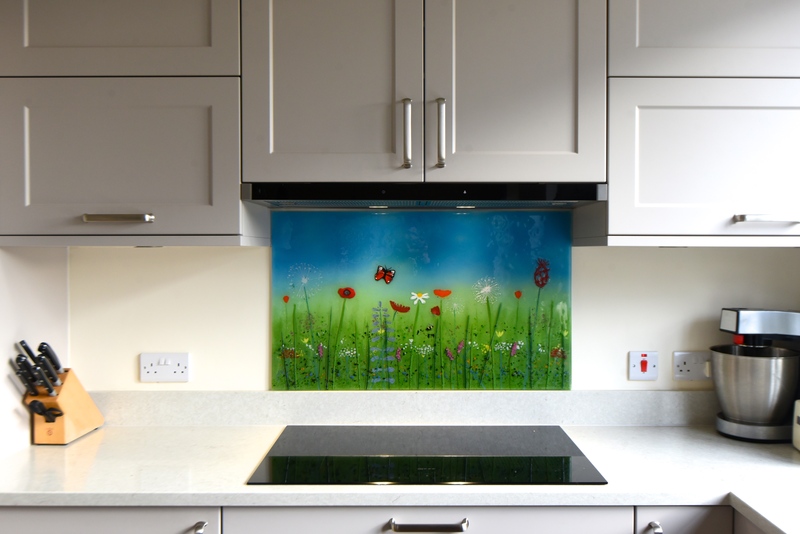 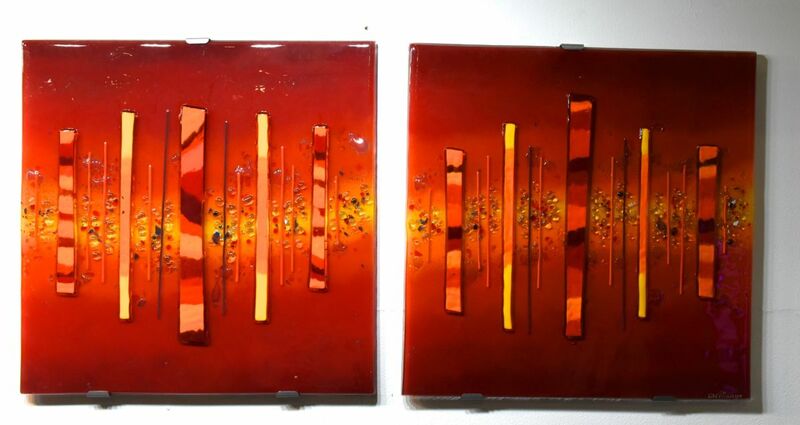 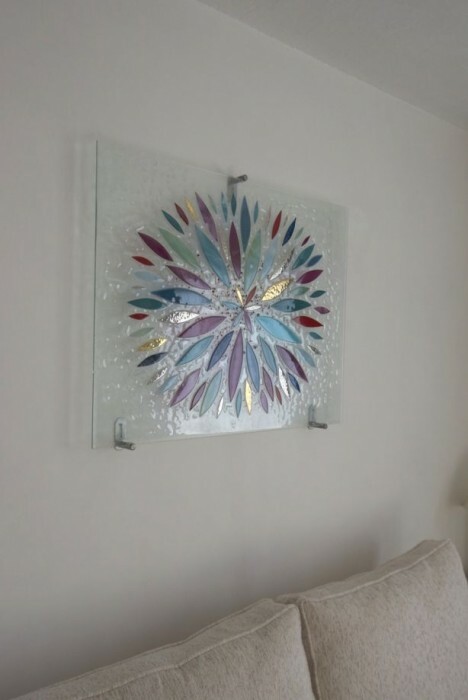 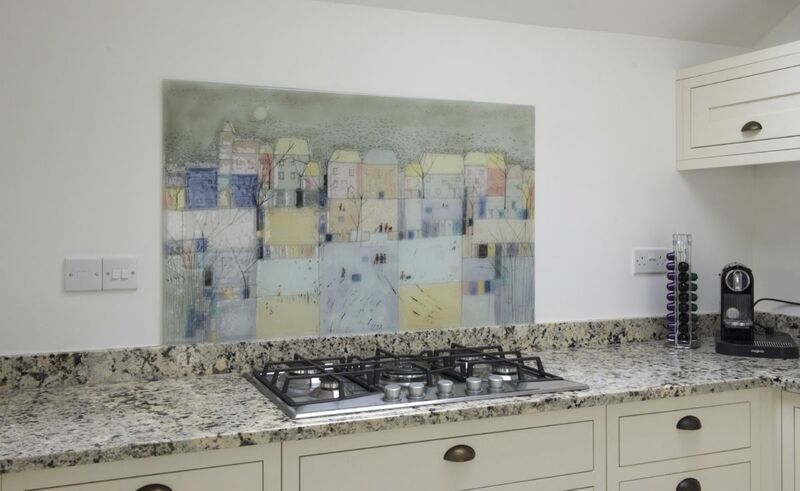 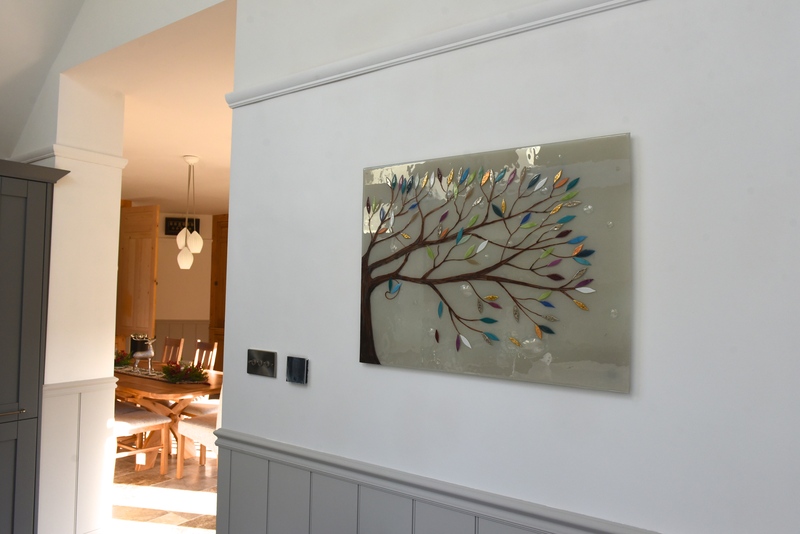 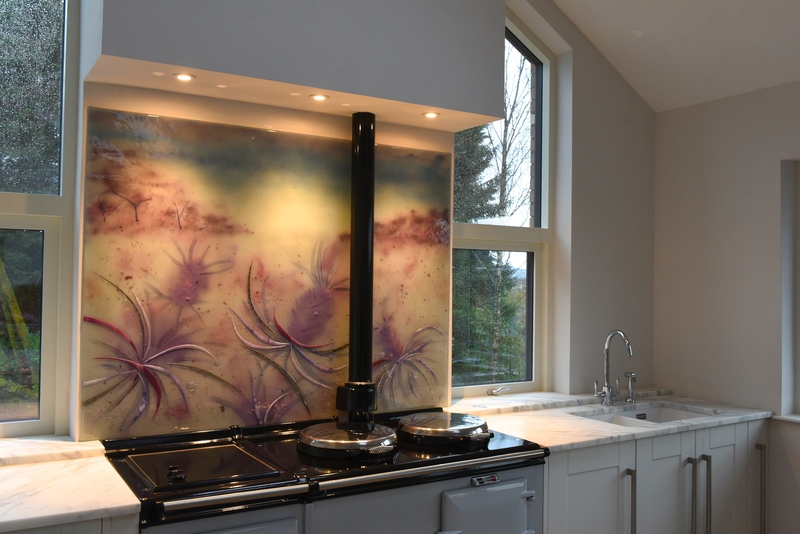 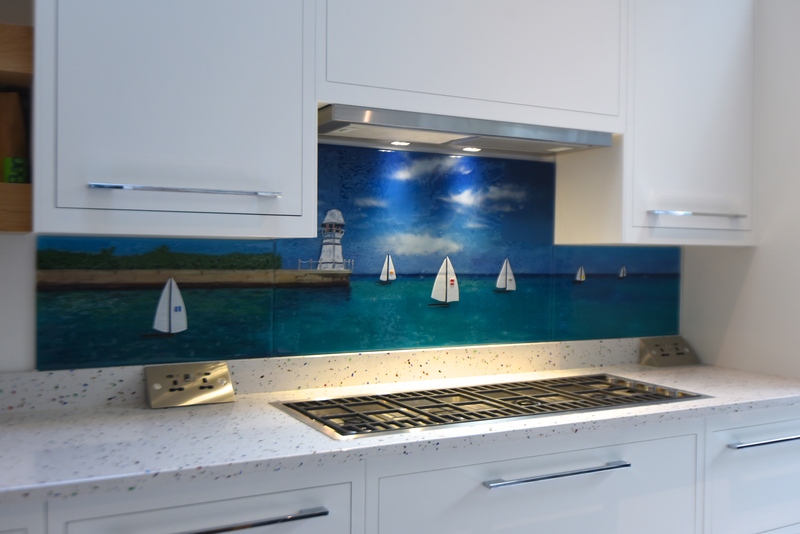 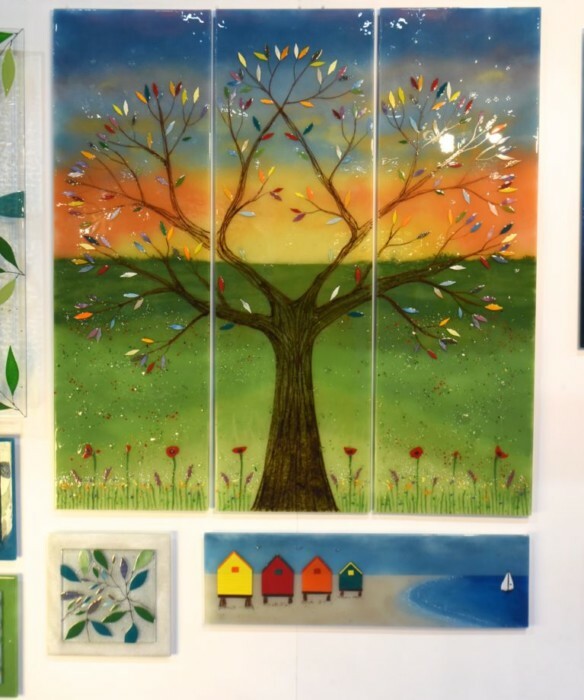 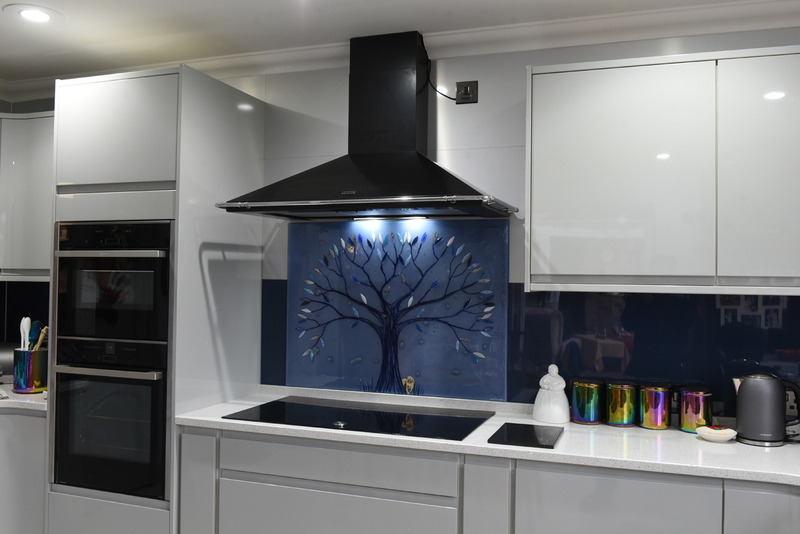 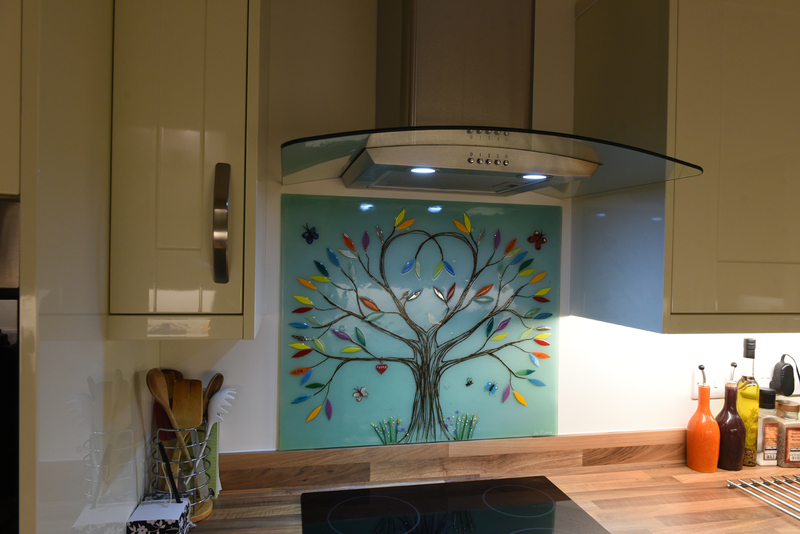 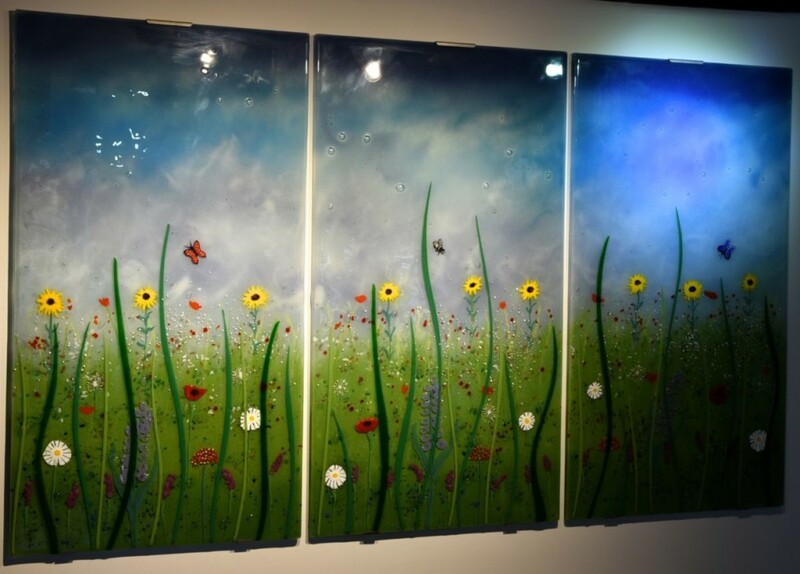 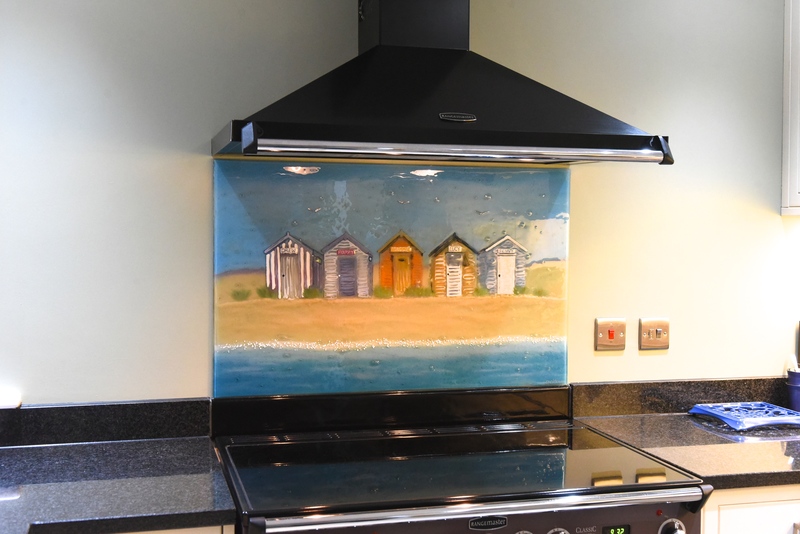 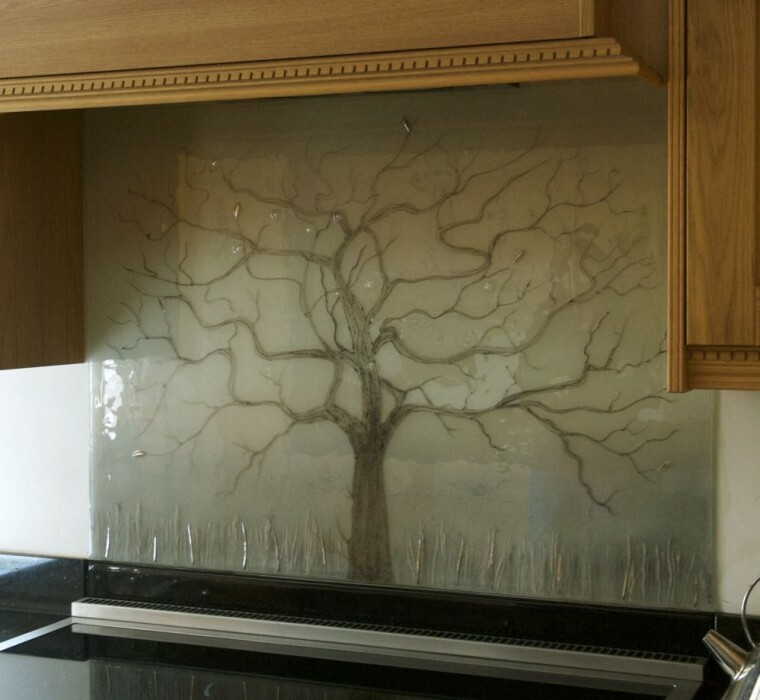 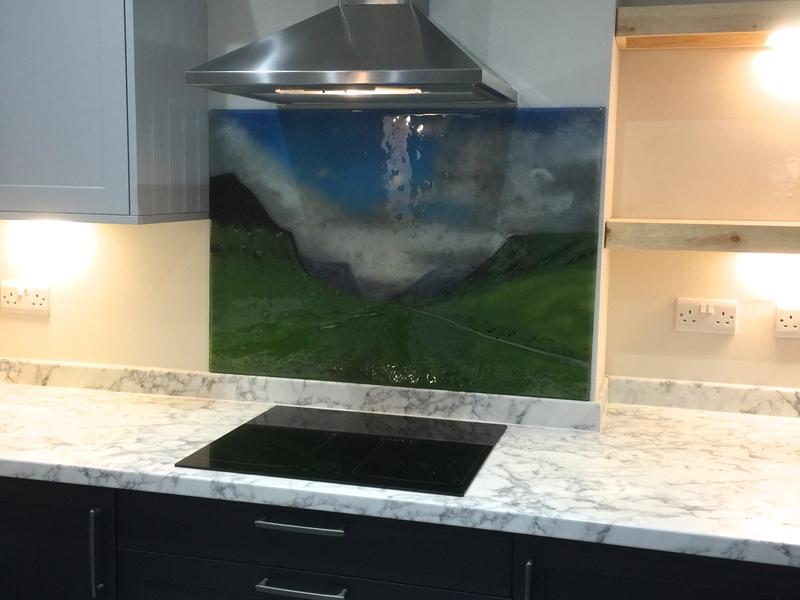 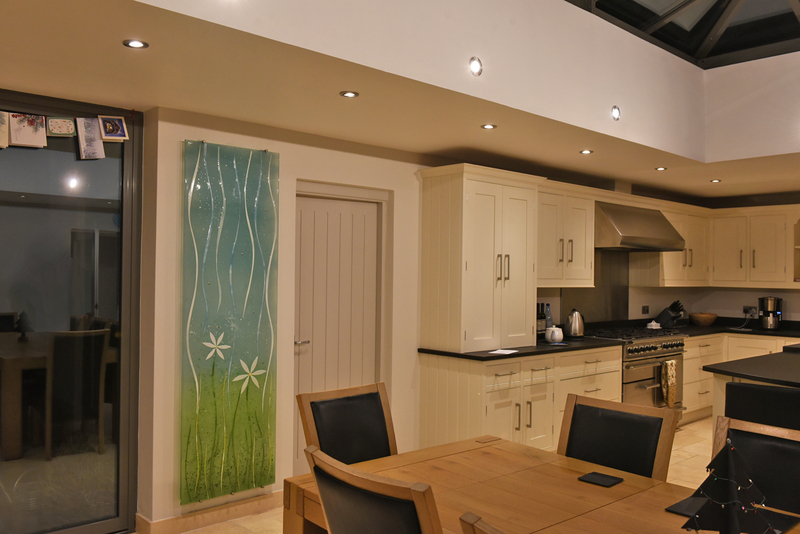 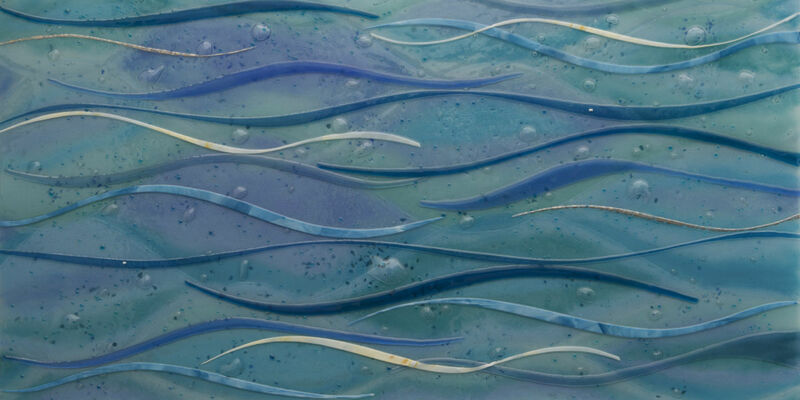 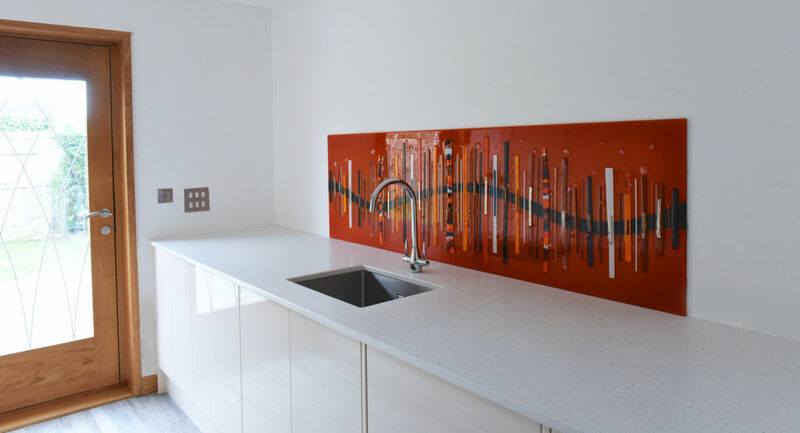 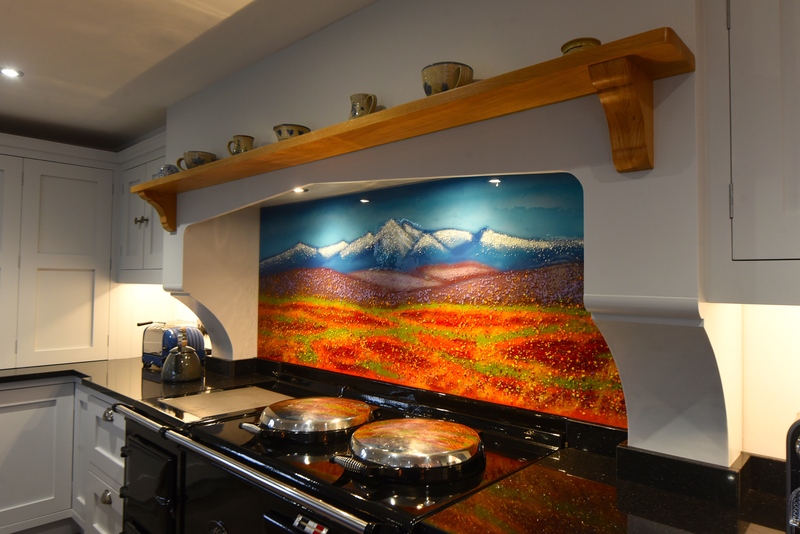 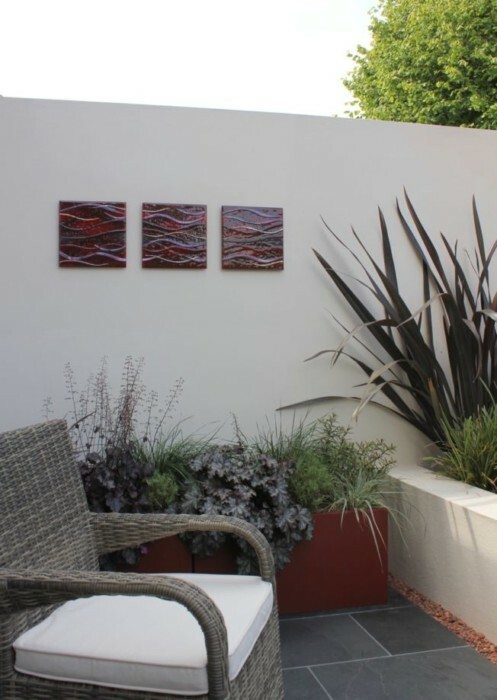 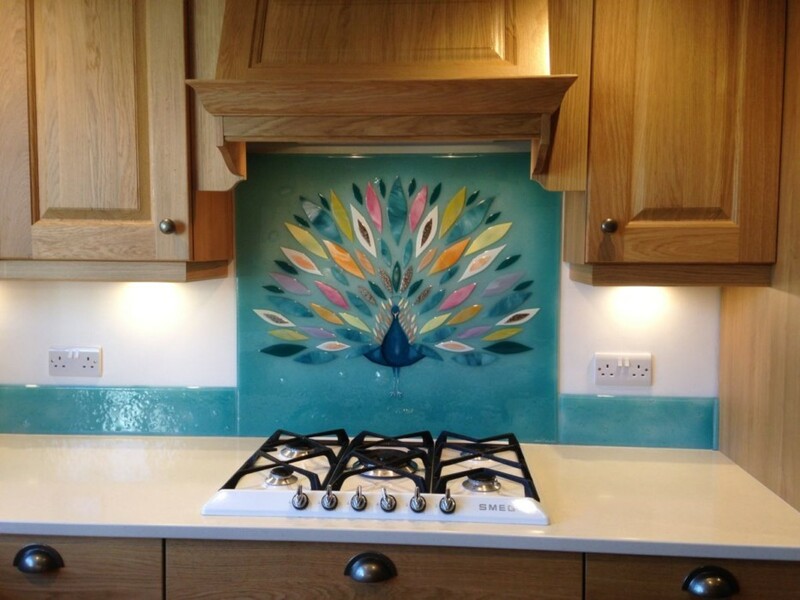 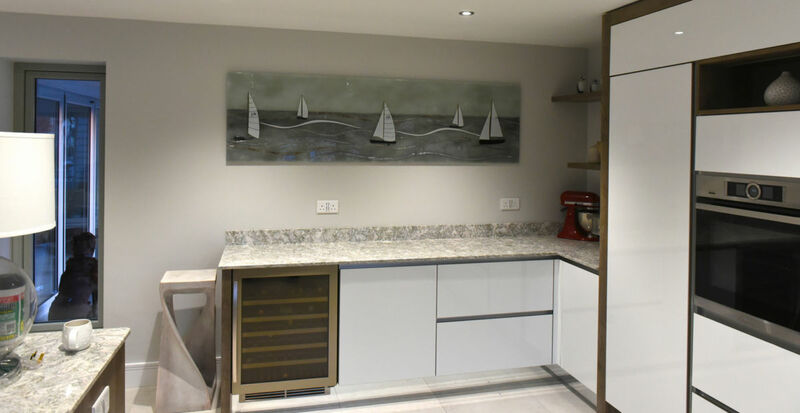 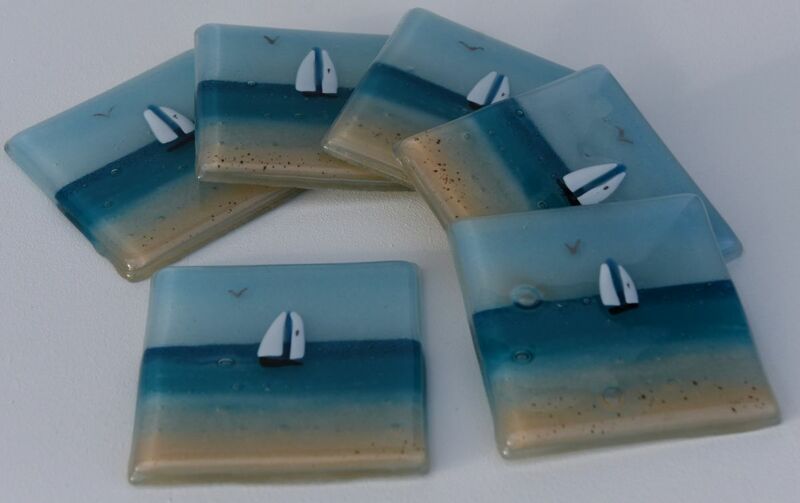 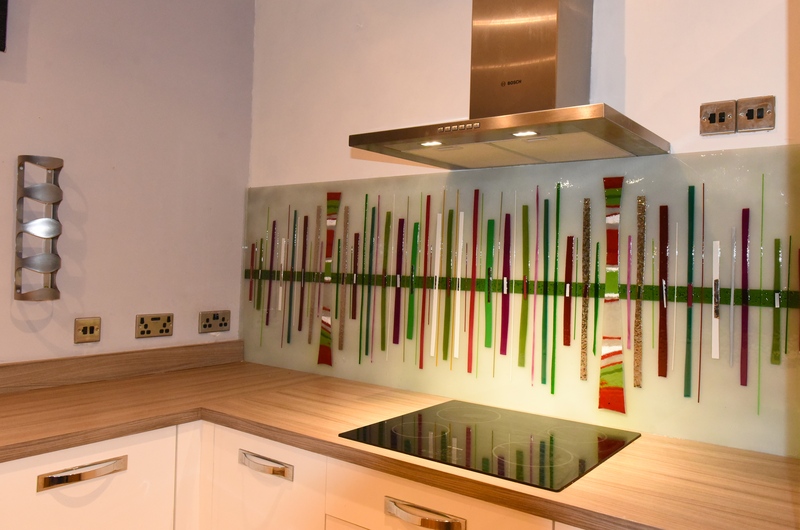 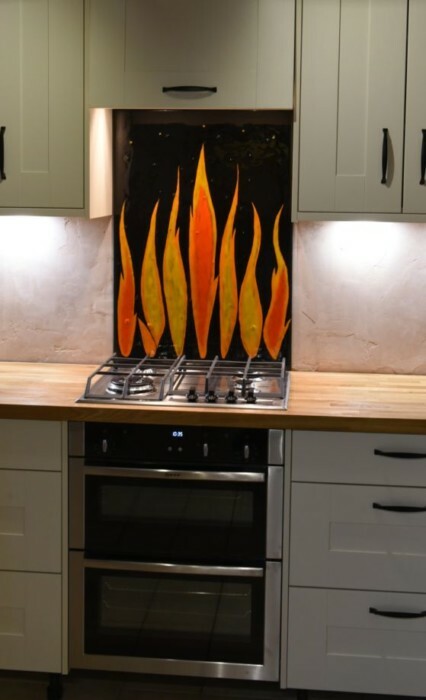 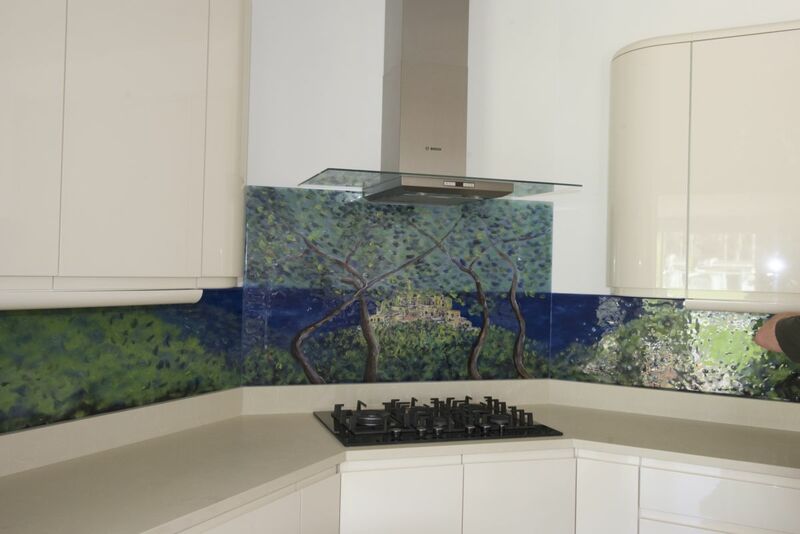 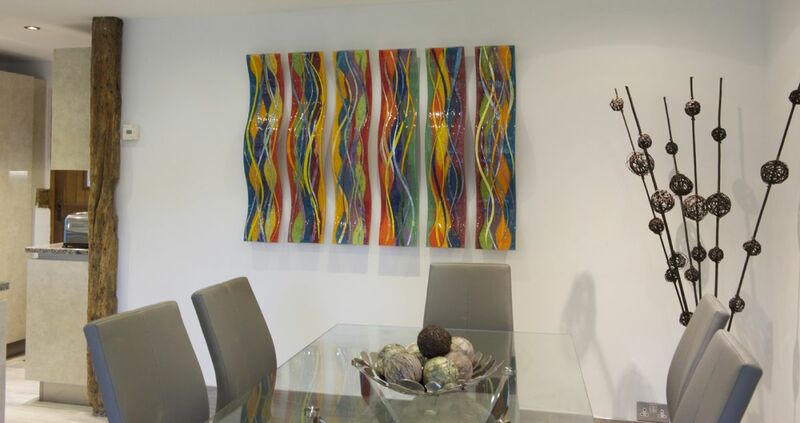 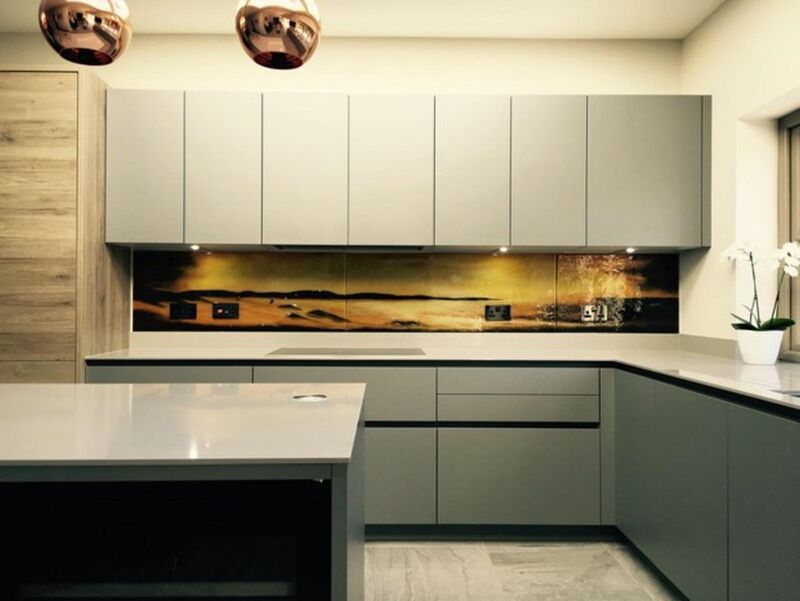 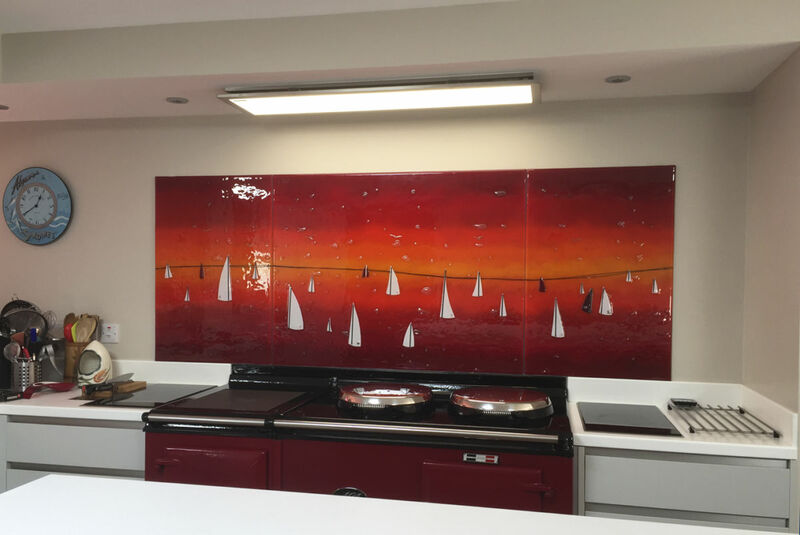 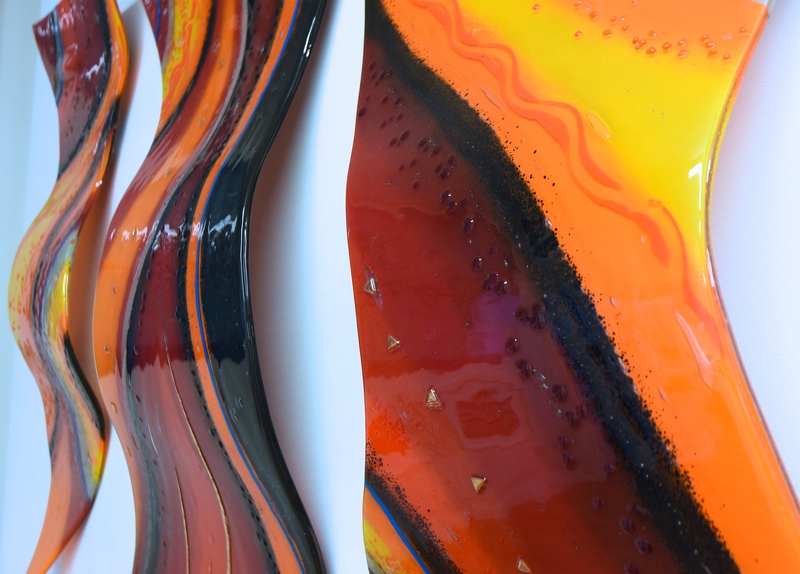 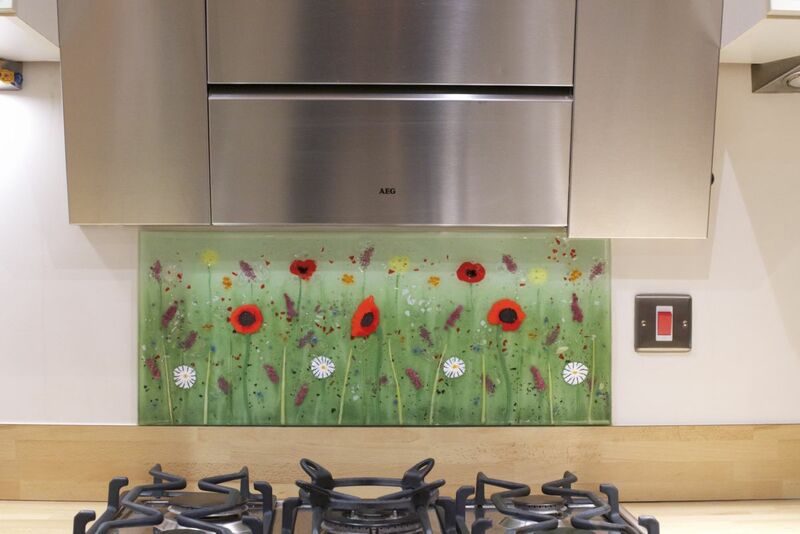 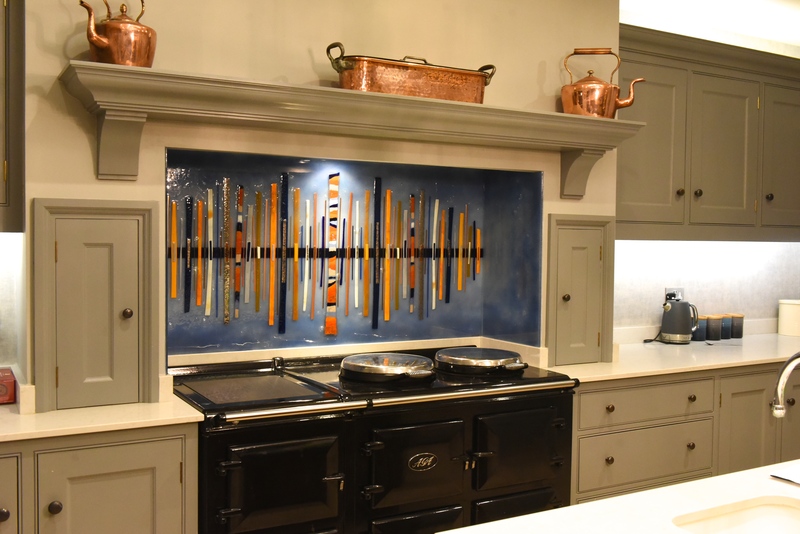 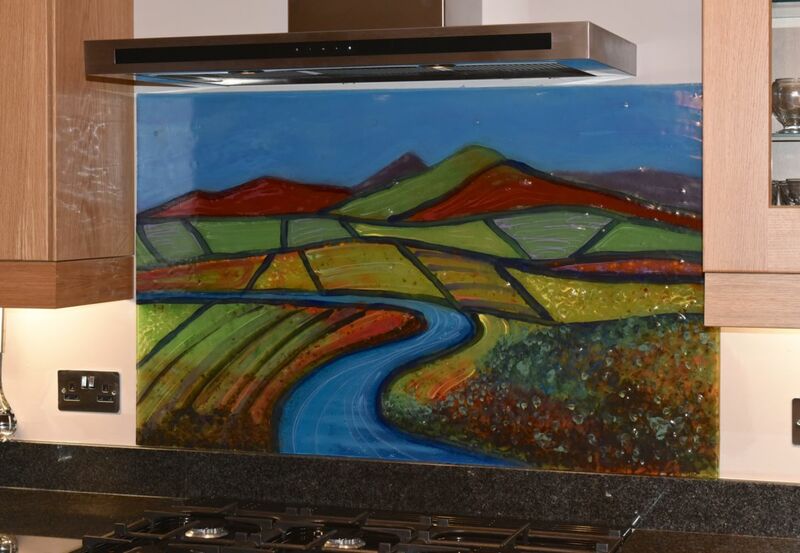 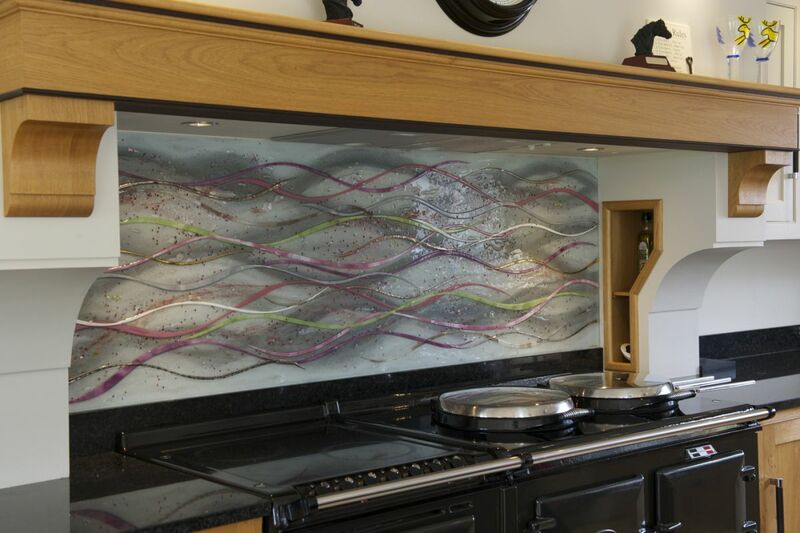 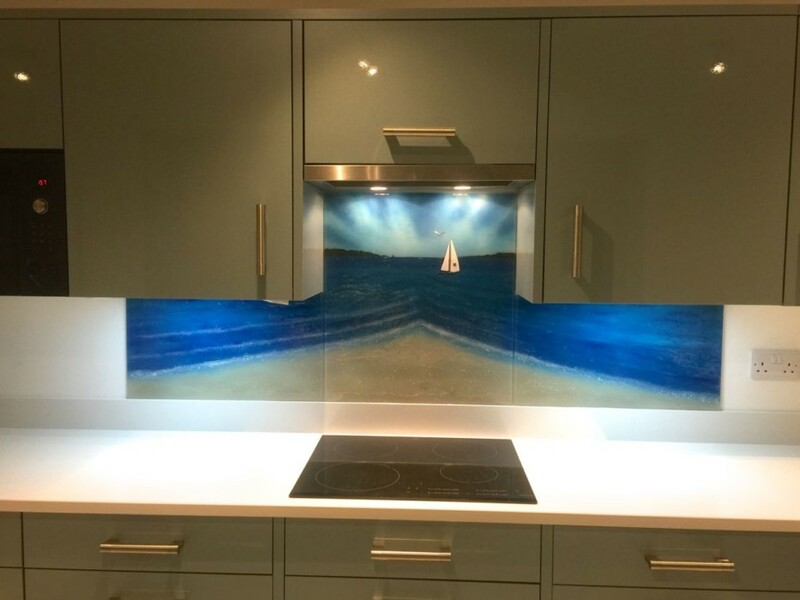 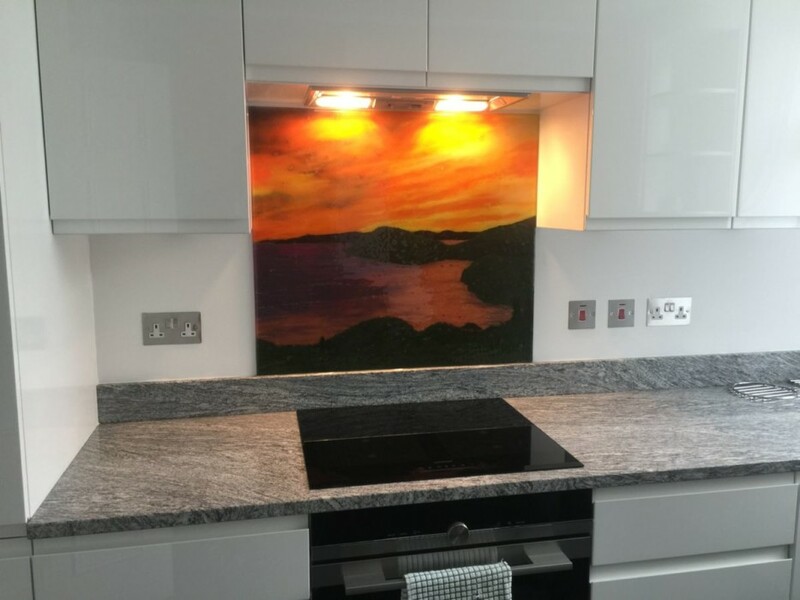 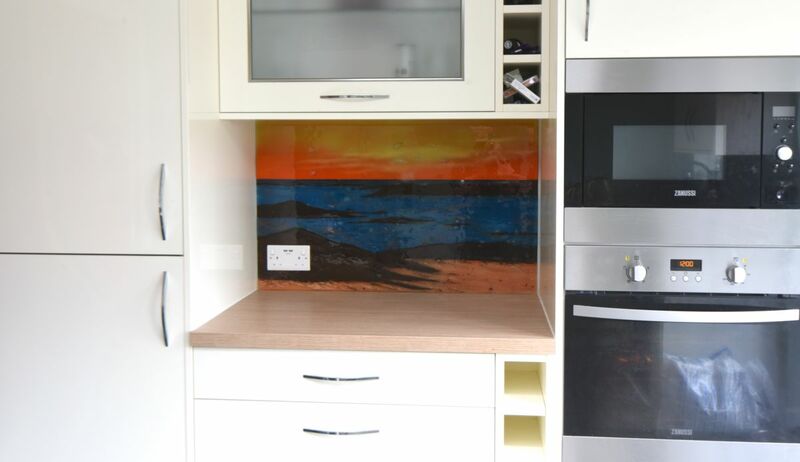 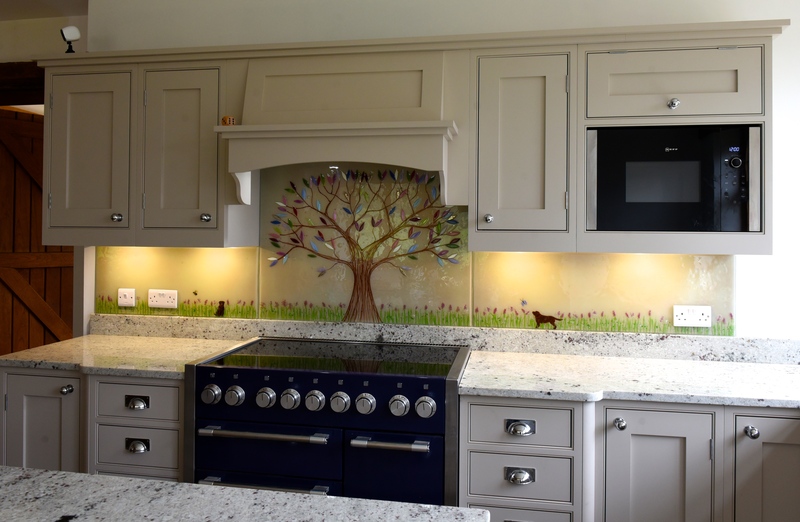 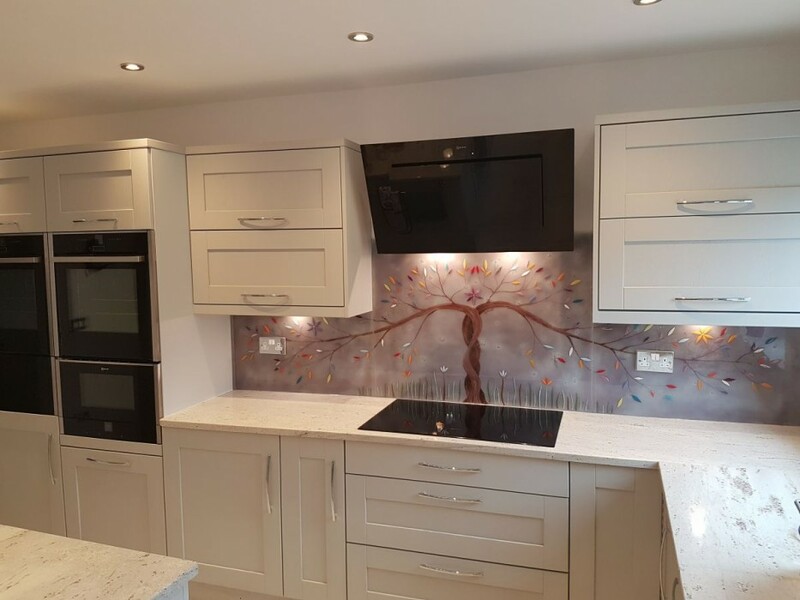 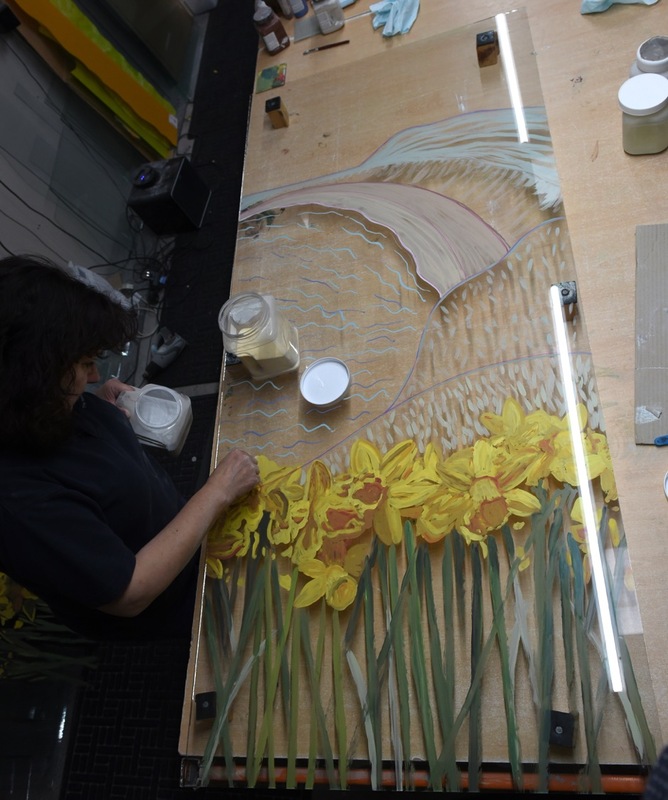 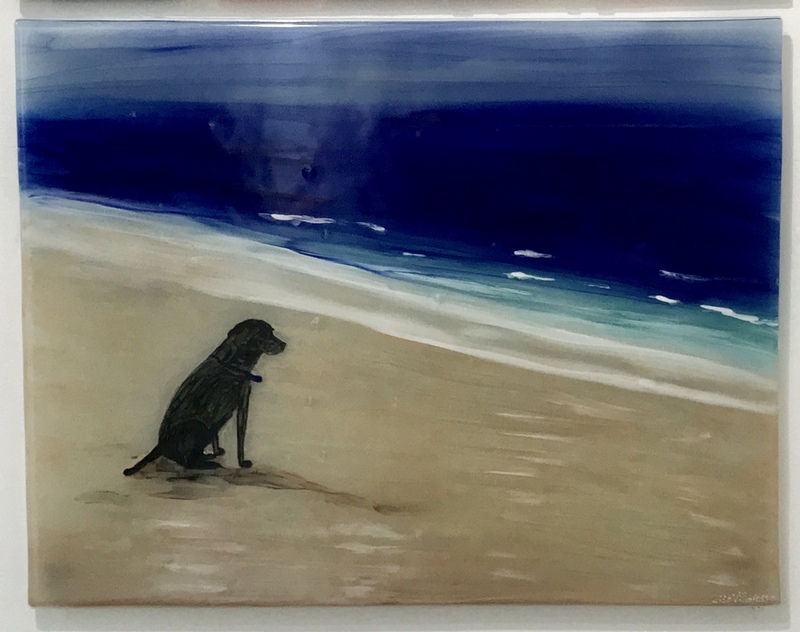 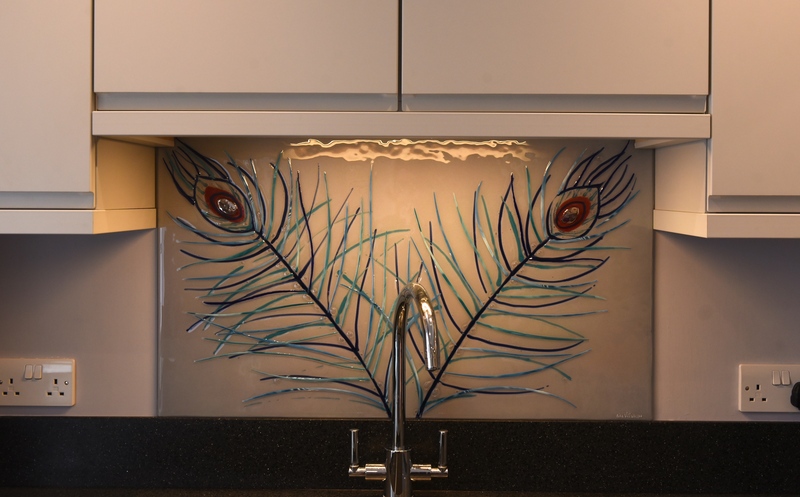 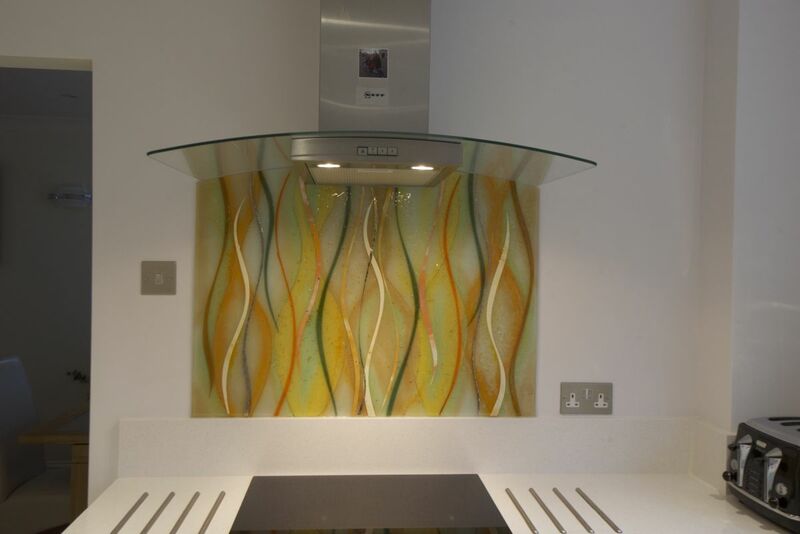 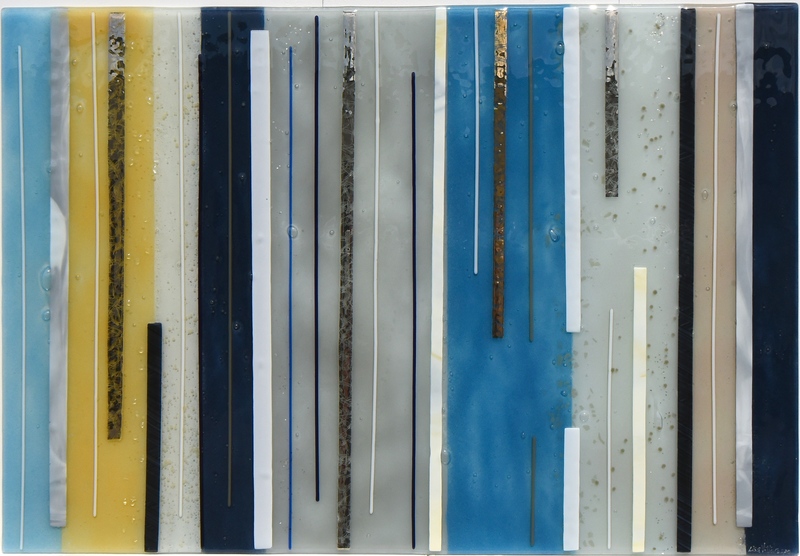 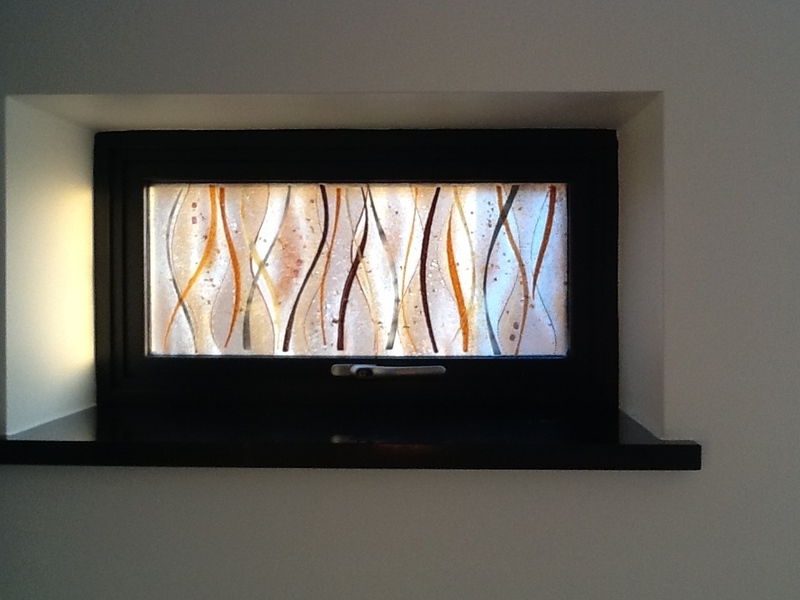 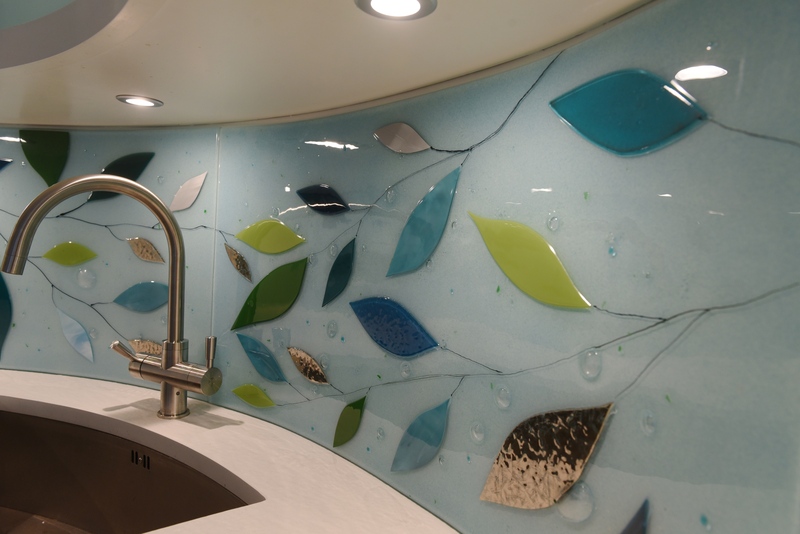 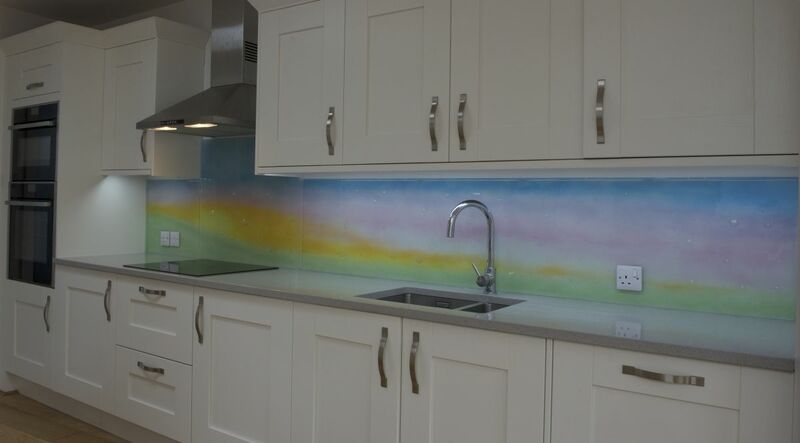 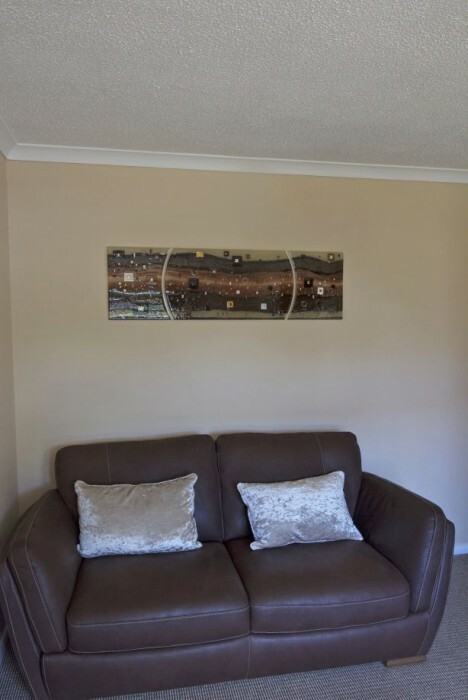 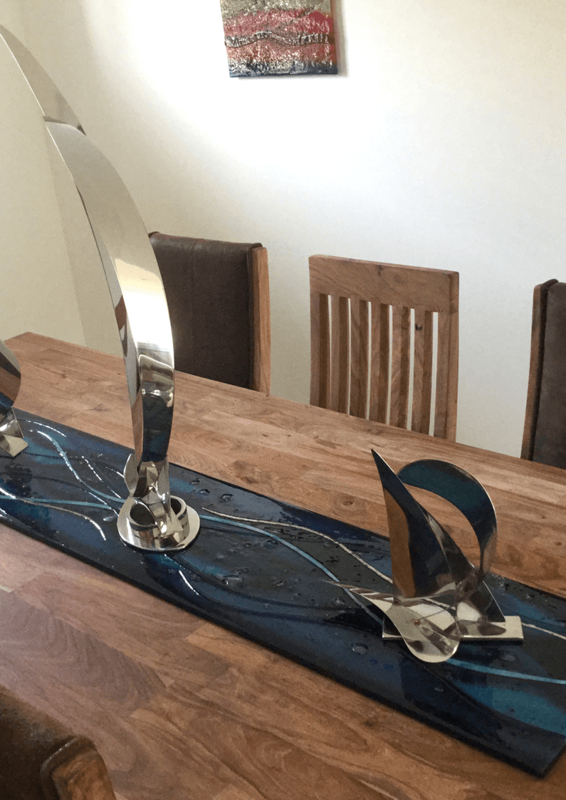 These two beautiful pieces of fused glass wall art are now safely settled in at a home in Congleton, Cheshire, but they could originally be found in our showroom. 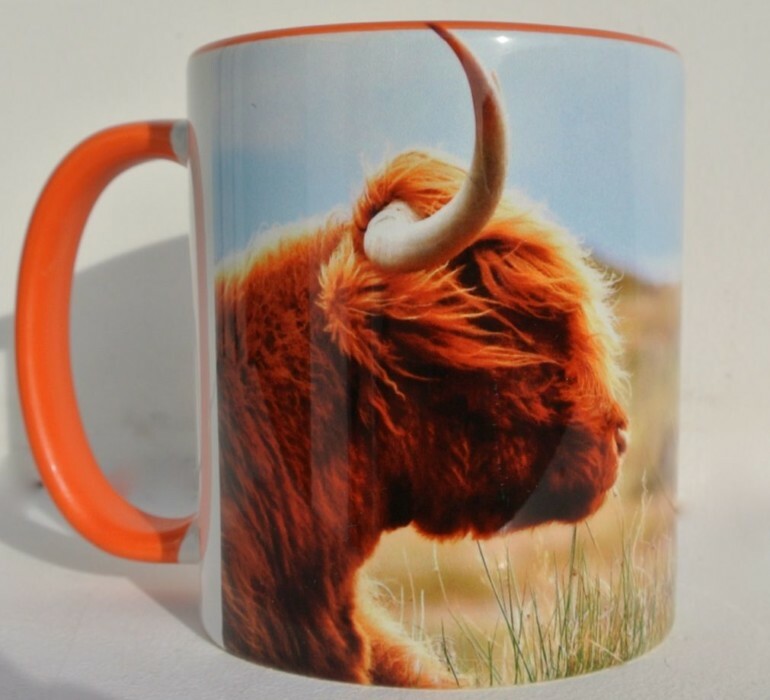 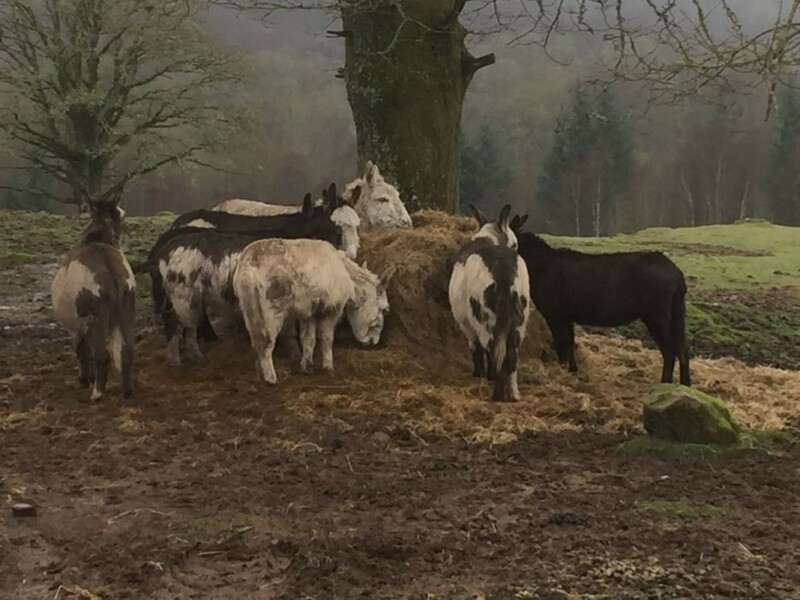 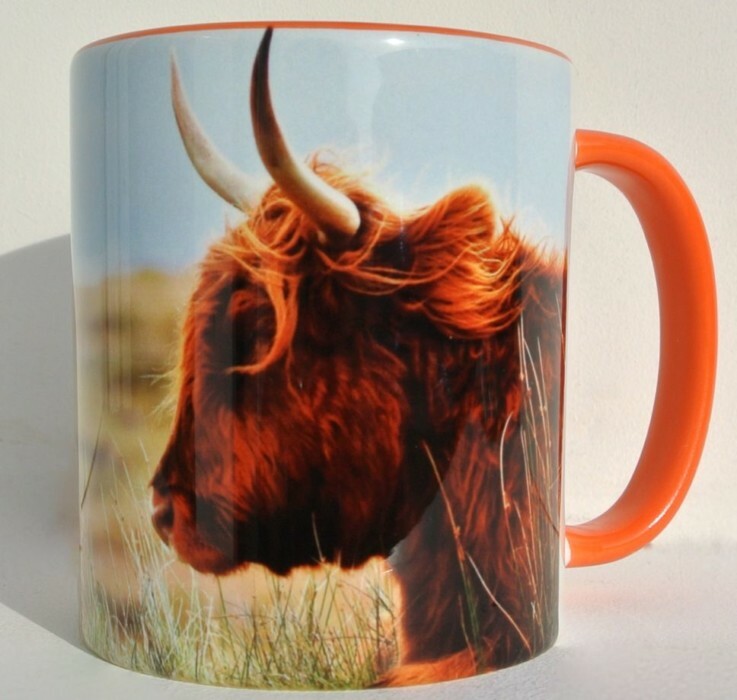 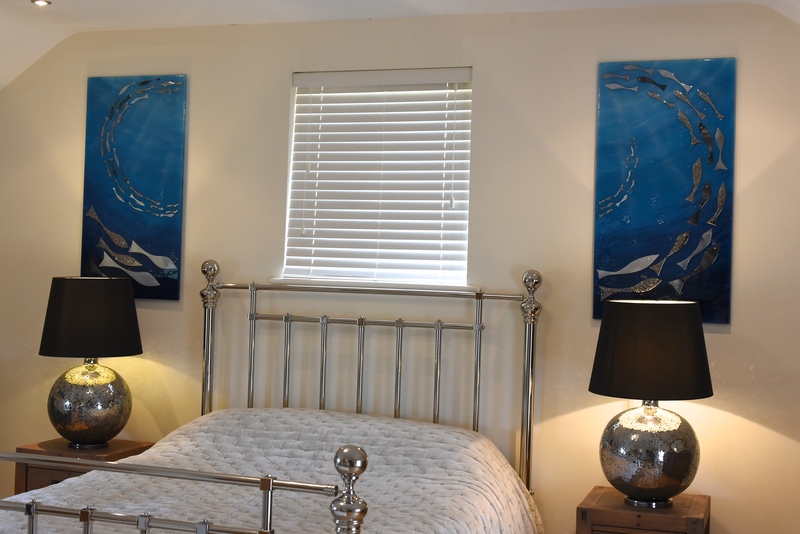 They were part of our available stock, waiting on the wall to find a new home, when they caught the eye of a customer that couldn’t resist taking them back to theirs! 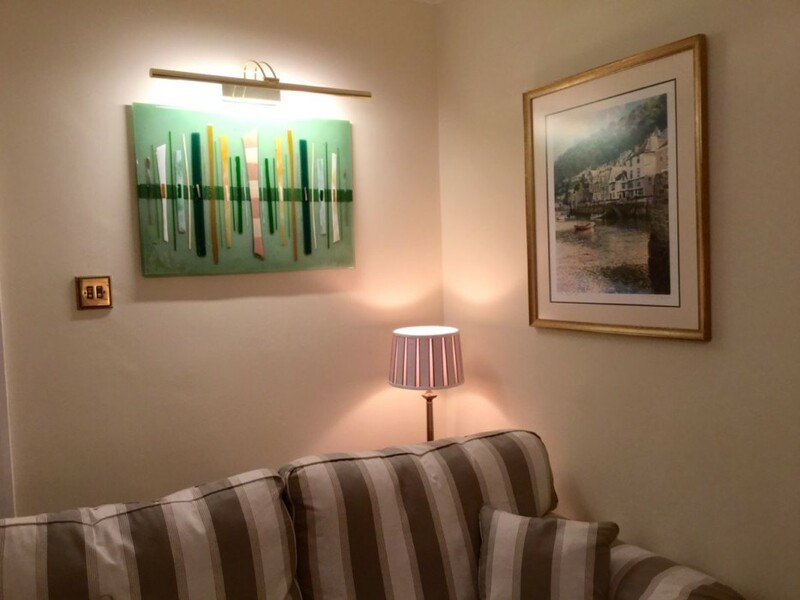 As luck would have it, although each piece was purchased separately, the two of them worked perfectly when put together in the same room. 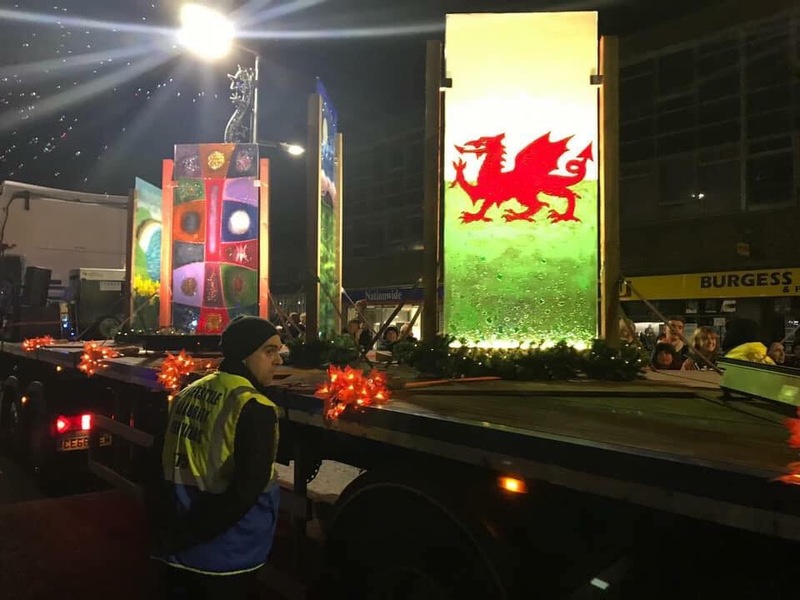 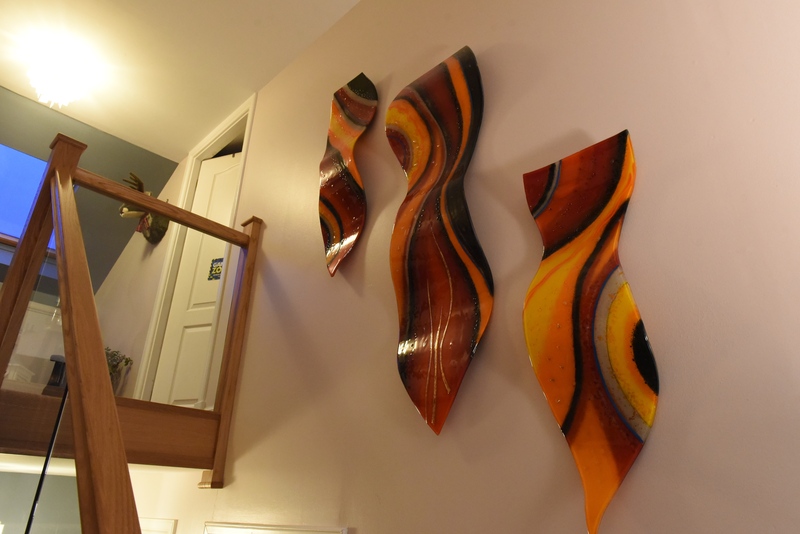 You can see just how great that looked in the picture above, of course, with each panel occupying a wall and bringing the whole space to life. 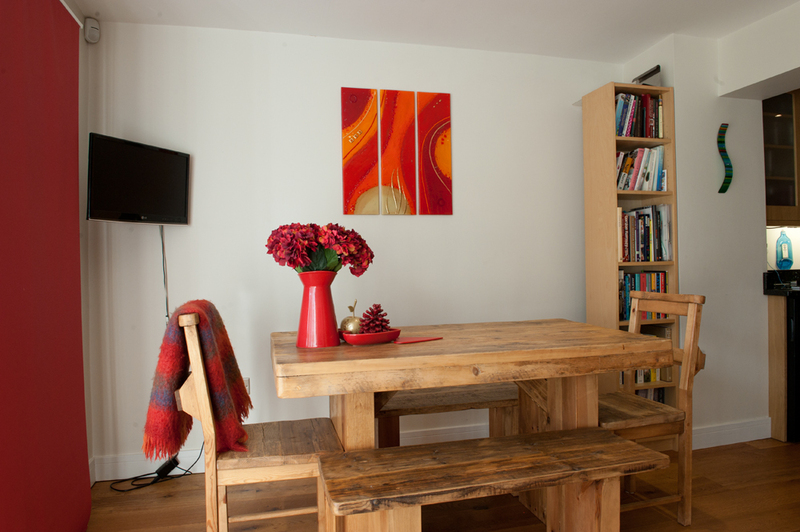 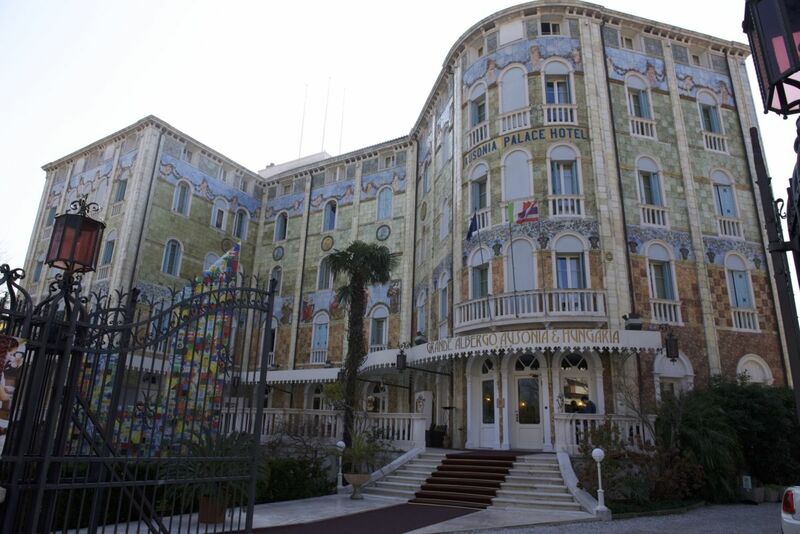 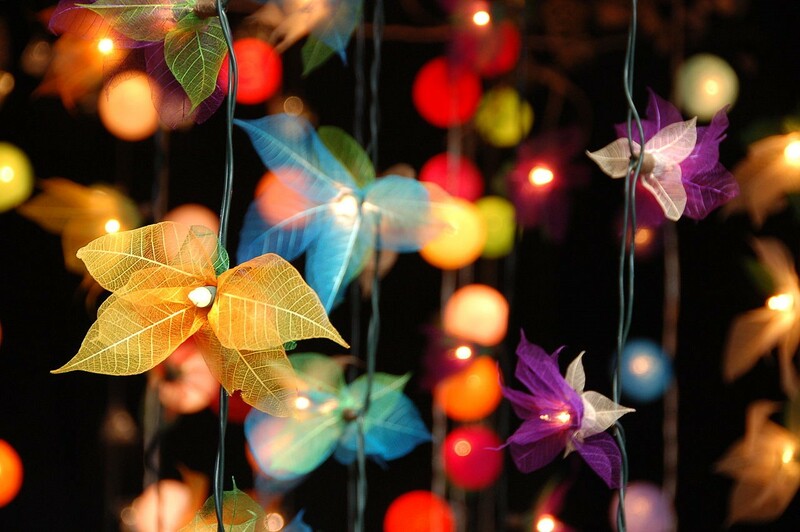 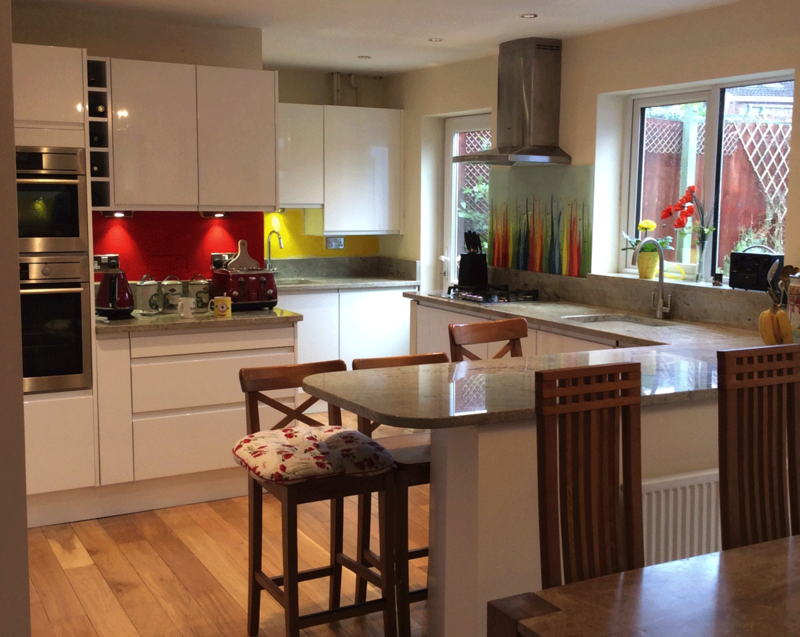 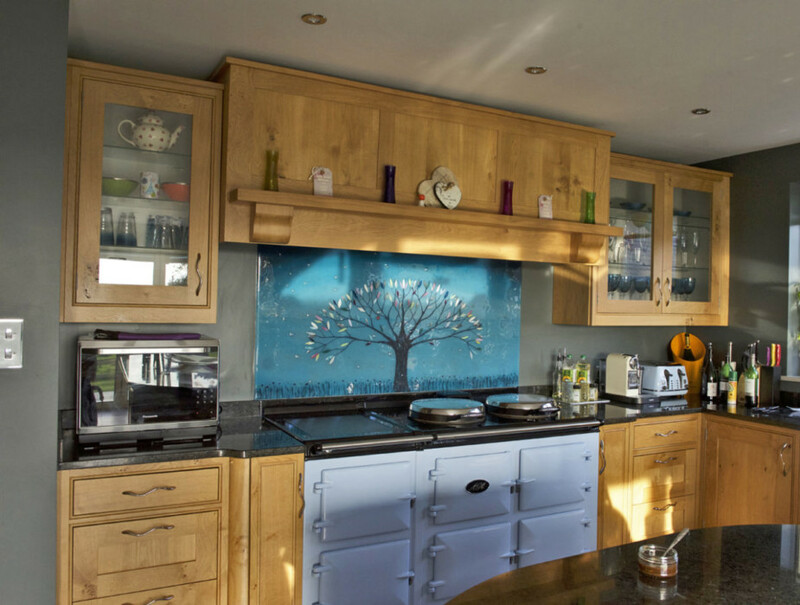 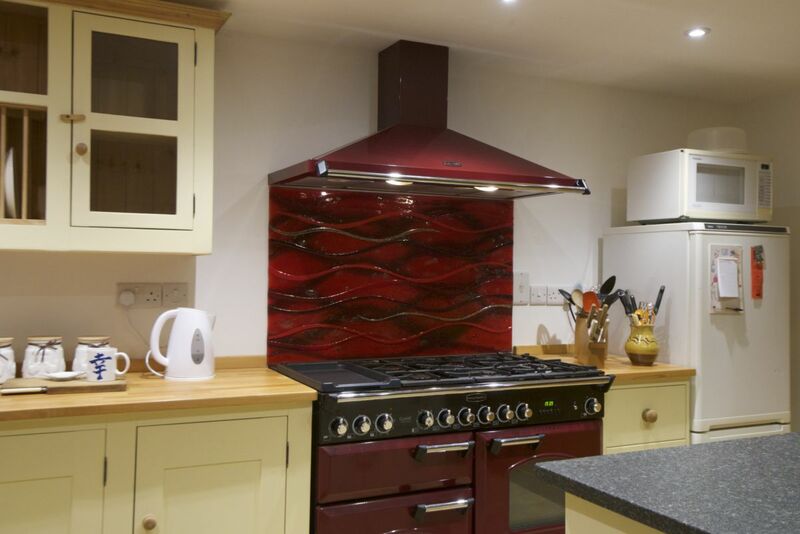 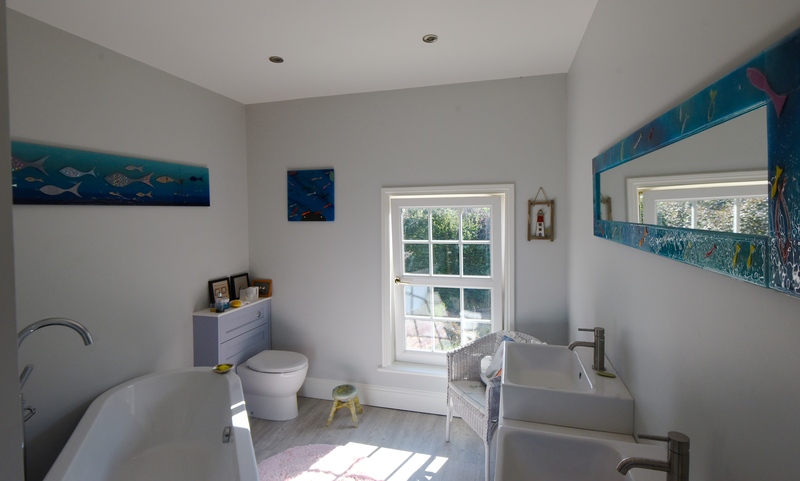 The room was already lovely, but an injection of colour is just what it needed to really make everything pop. 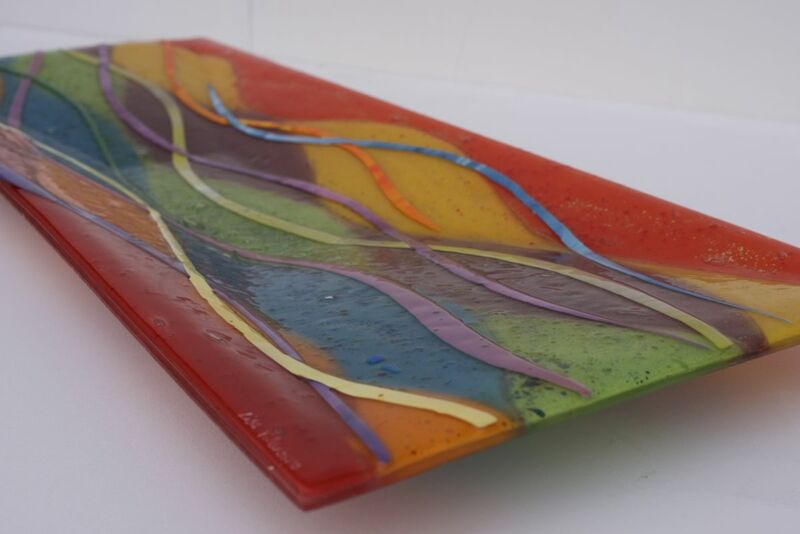 The first piece certainly definitely has enough colour to go around! 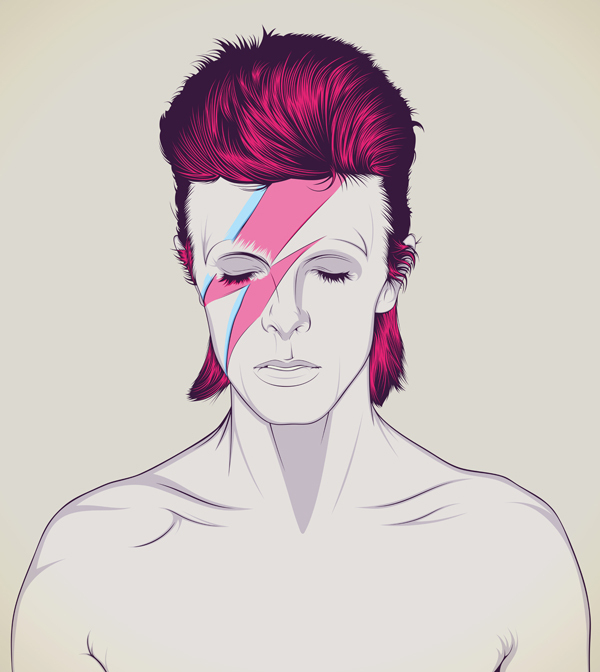 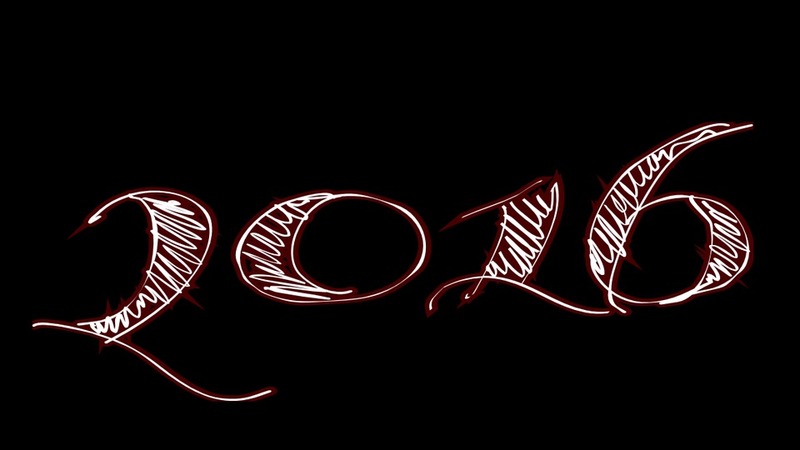 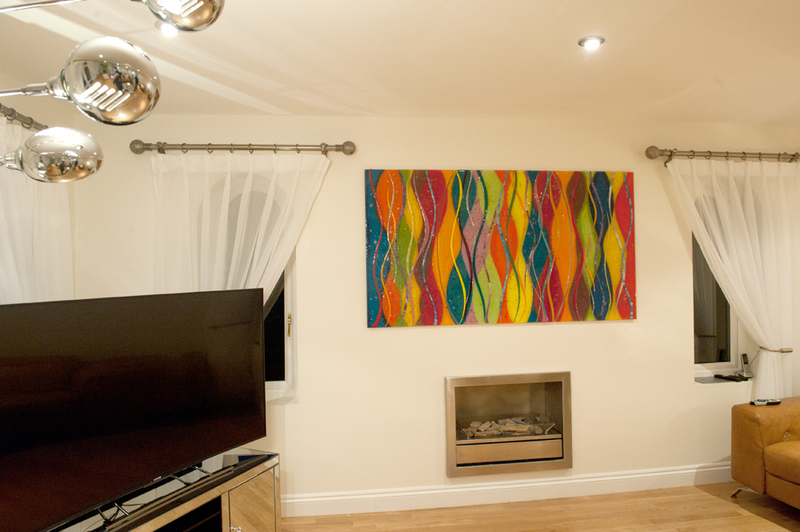 It features a fantastic abstract design making use of bold strokes and a fluid looking pattern that mixes it all together. 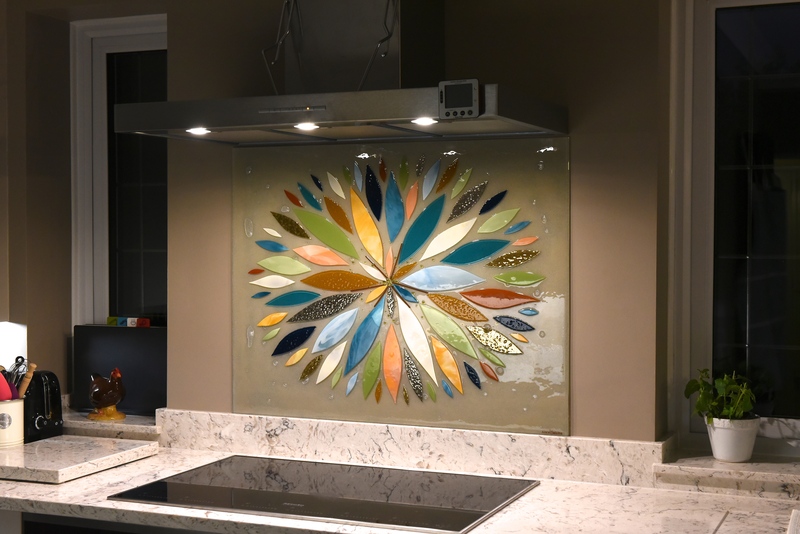 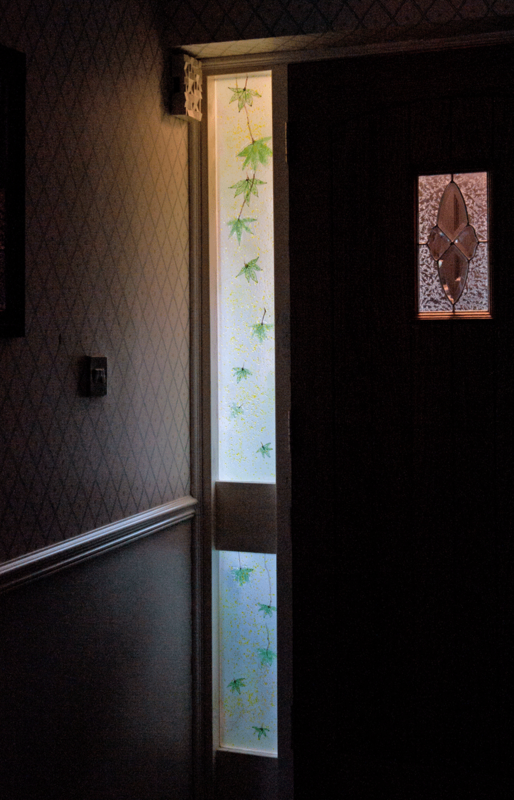 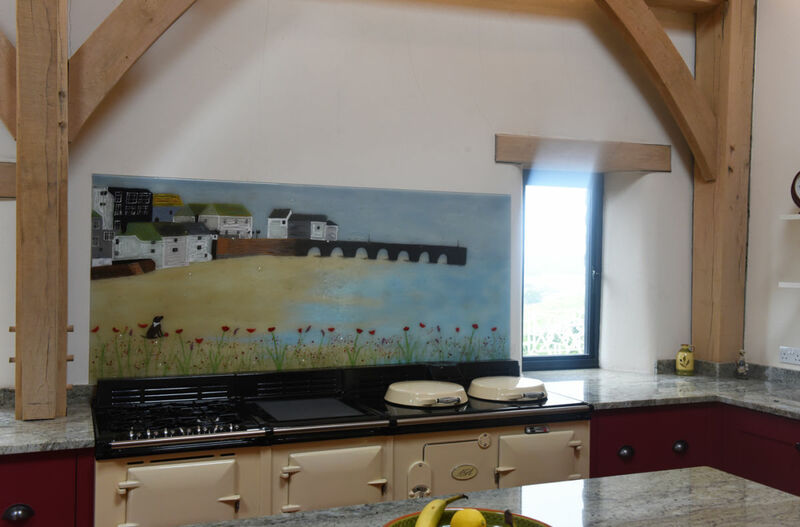 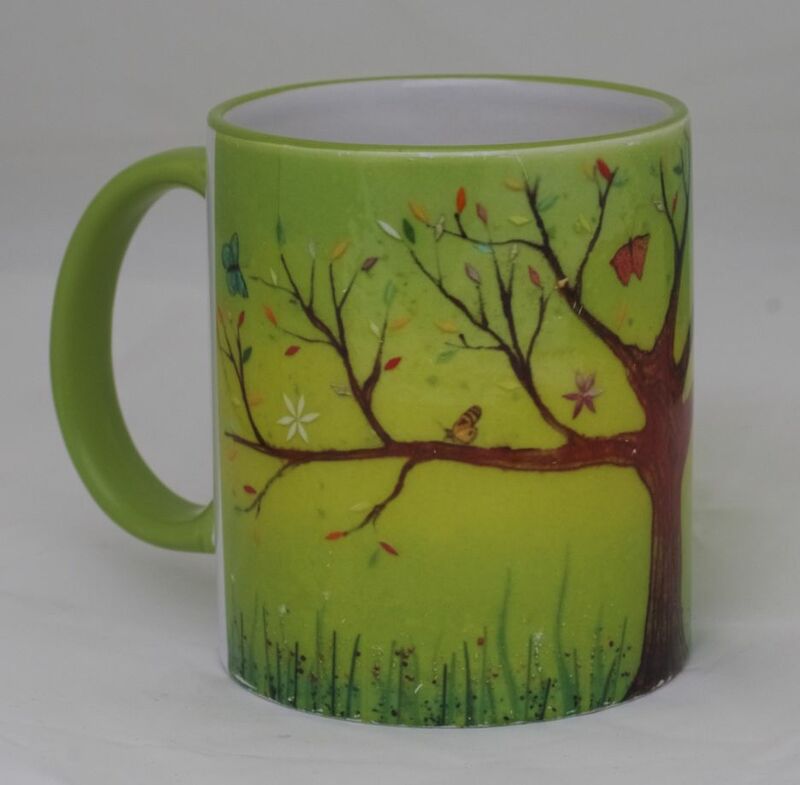 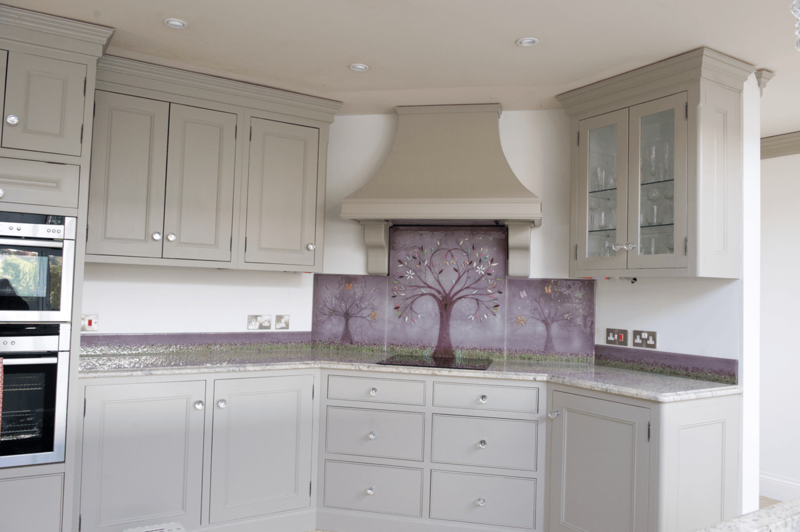 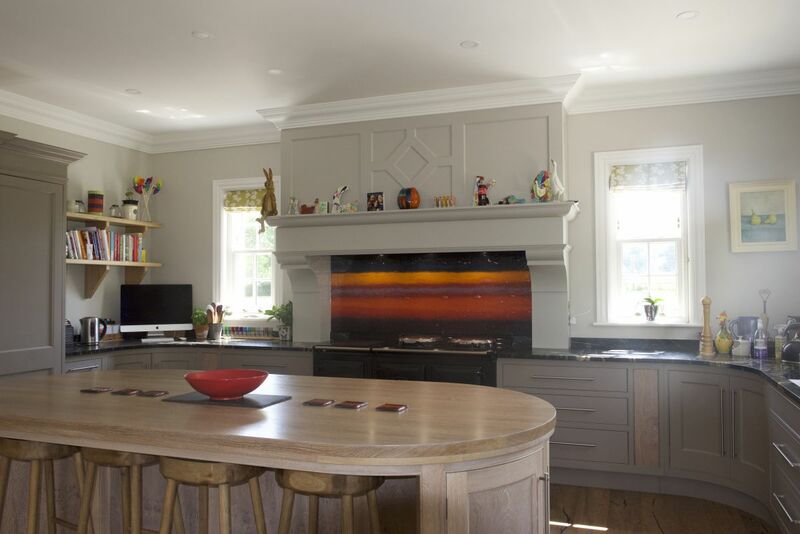 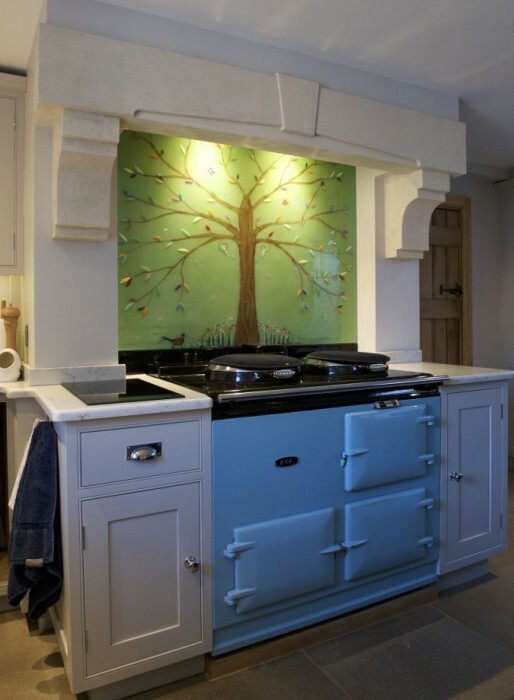 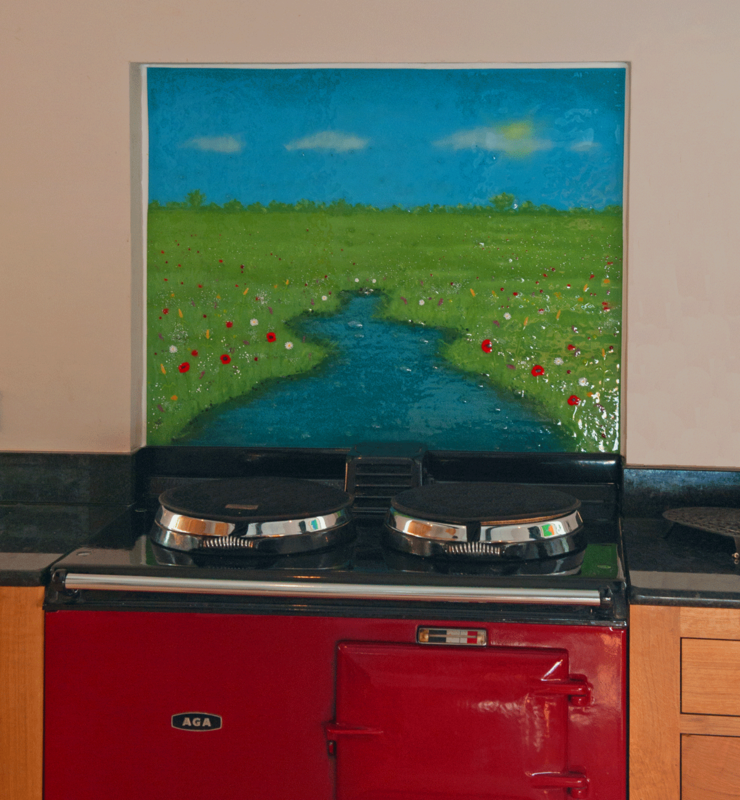 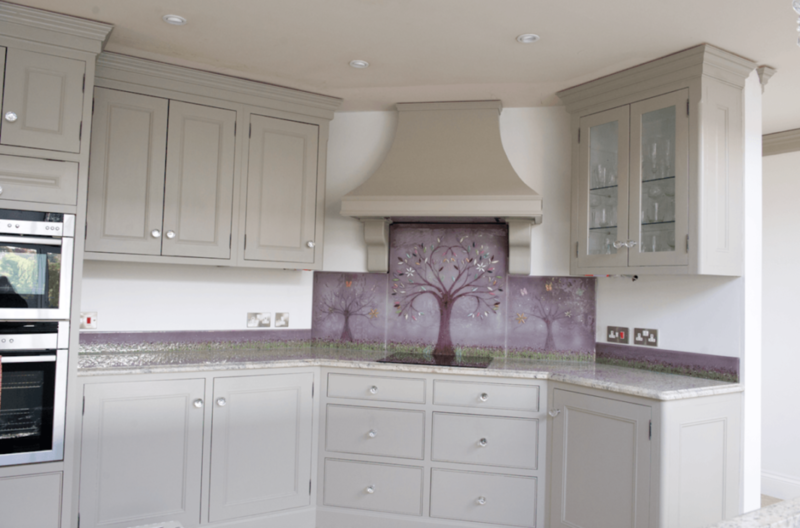 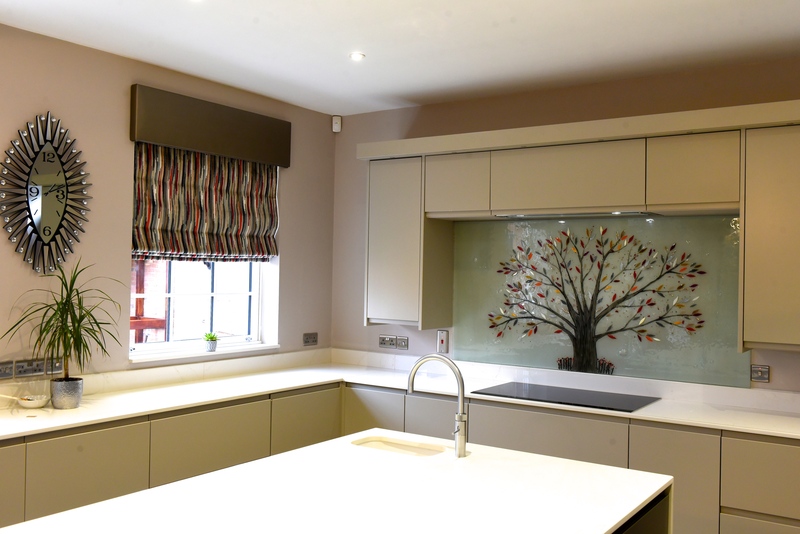 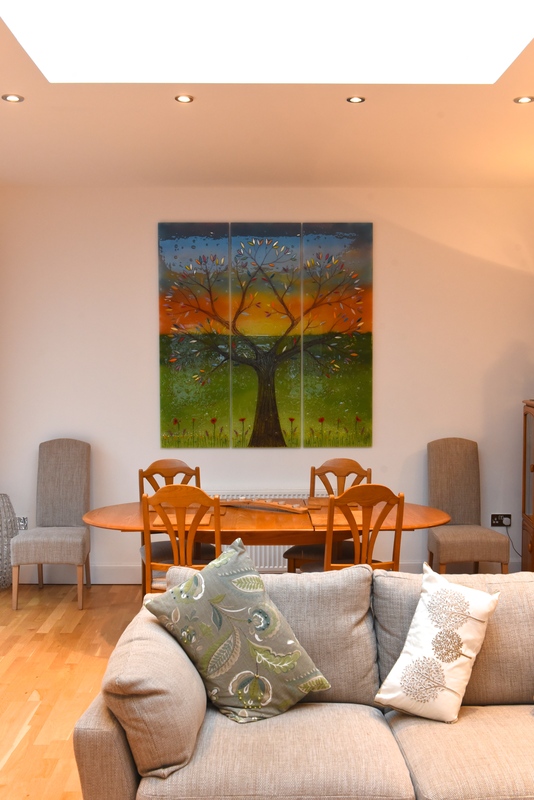 You’ll be able to find everything from red and orange all the way to softer green shades and deeper blue hues in this panel, coupled with a lovely hand crafted design that complements its surroundings perfectly. 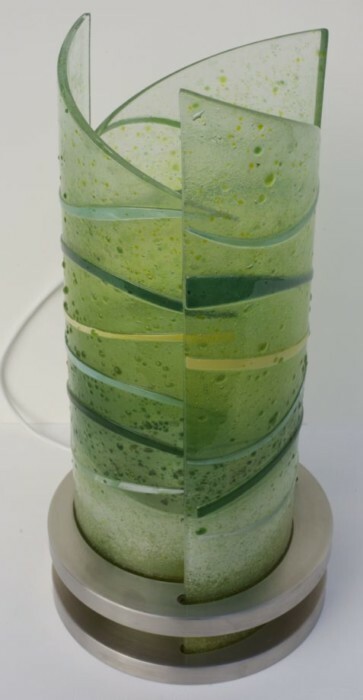 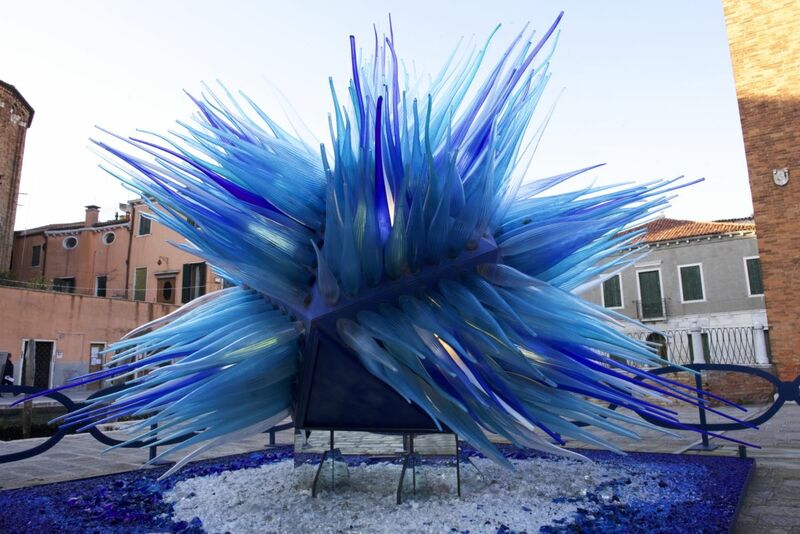 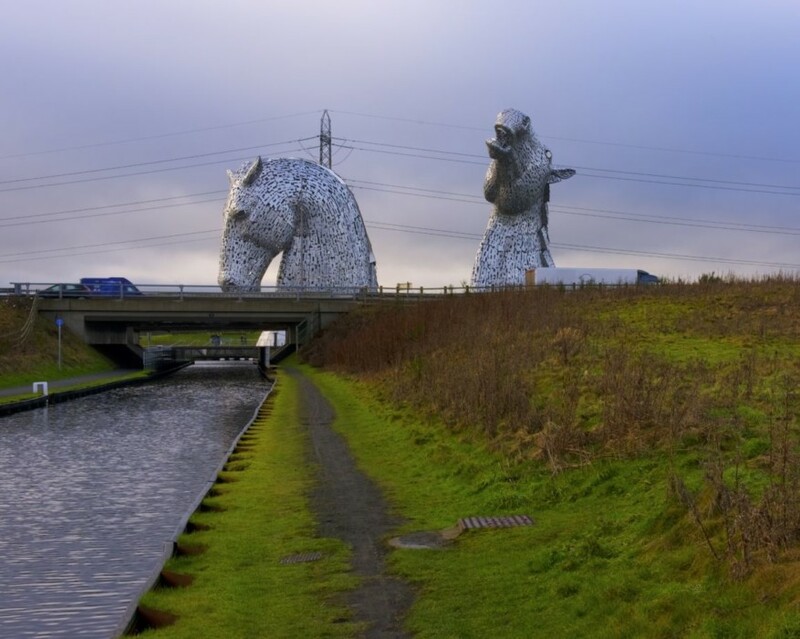 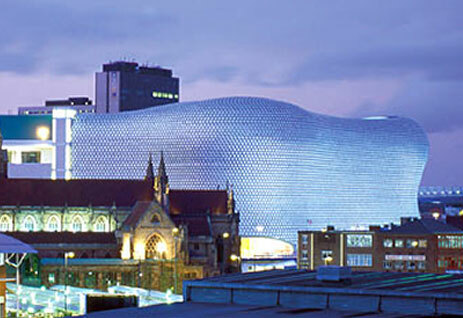 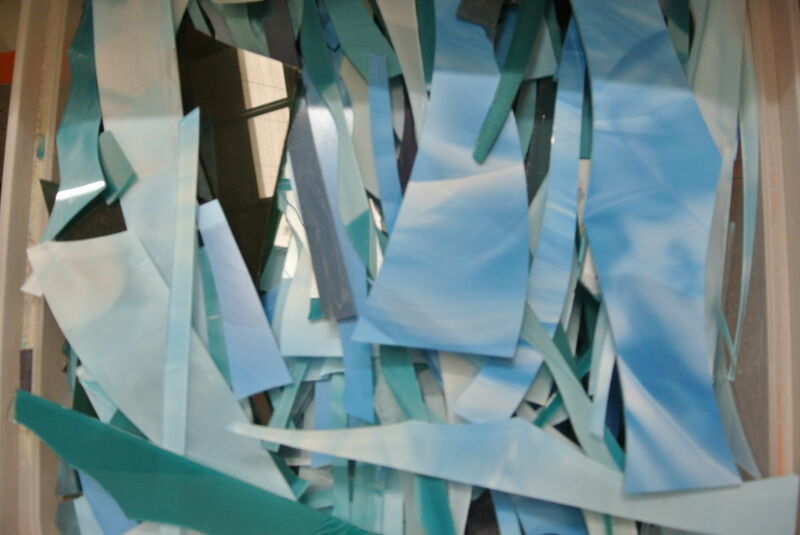 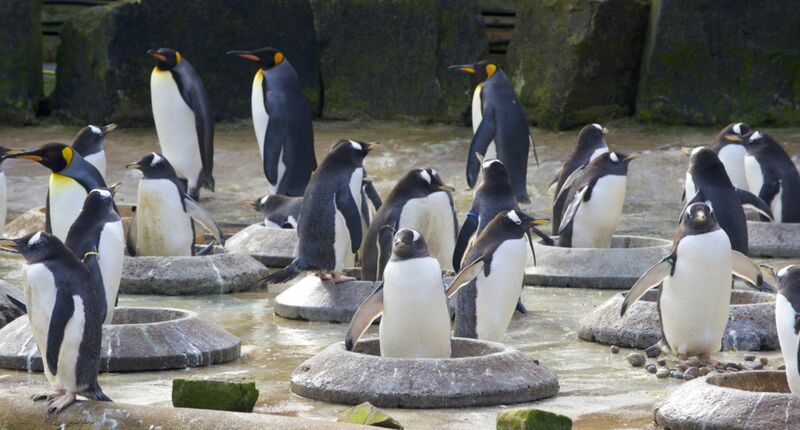 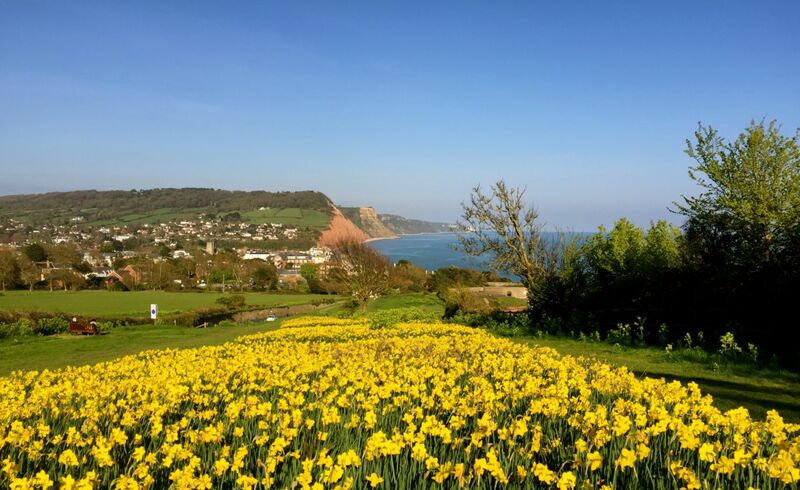 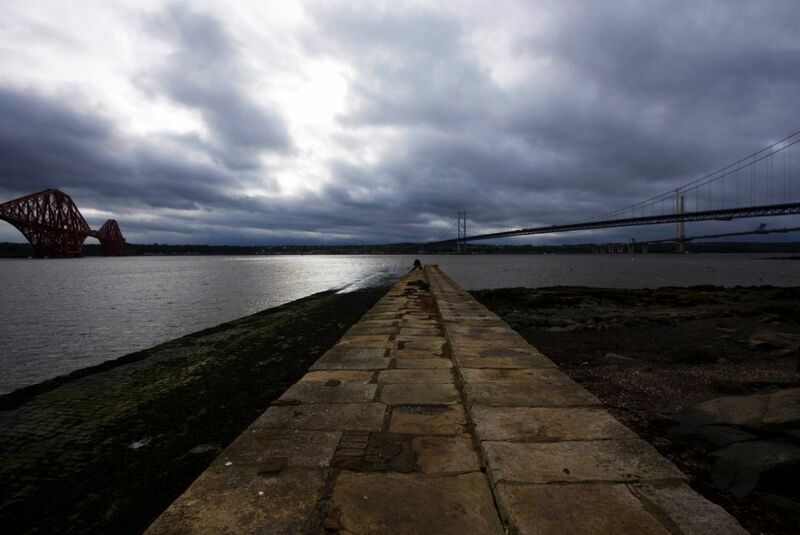 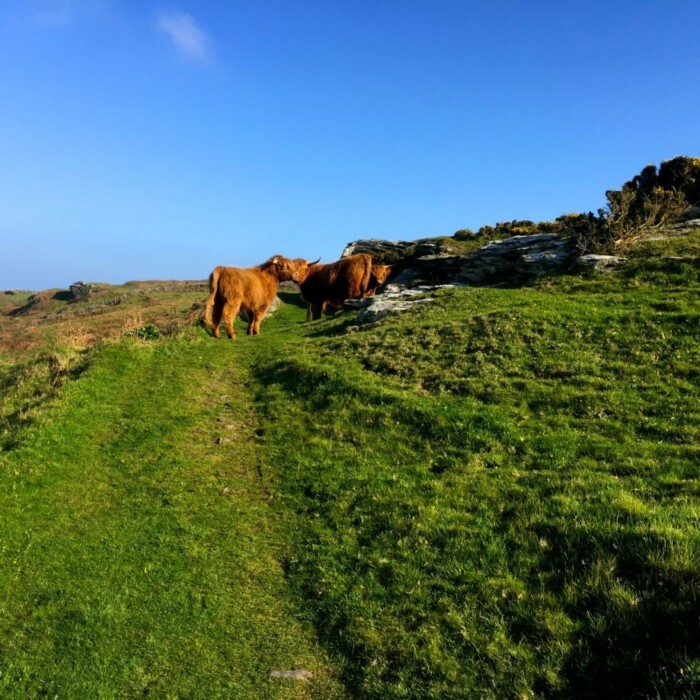 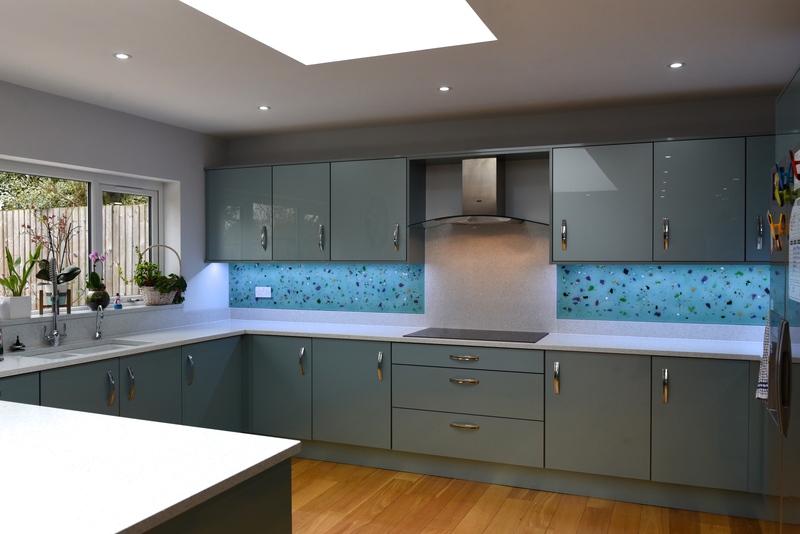 The second is almost a complete opposite, with primarily blue colours and a more organised design that you can definitely identify as a landscape. 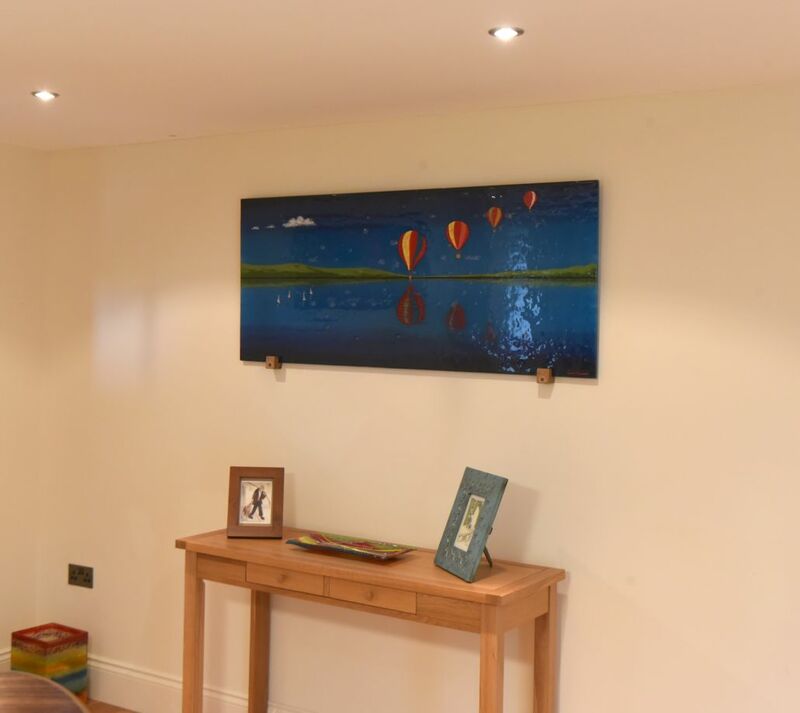 Look closer, and you’ll see a line of balloons taking flight, their reflections on the water, and even a couple of clouds up high on an otherwise clear day. 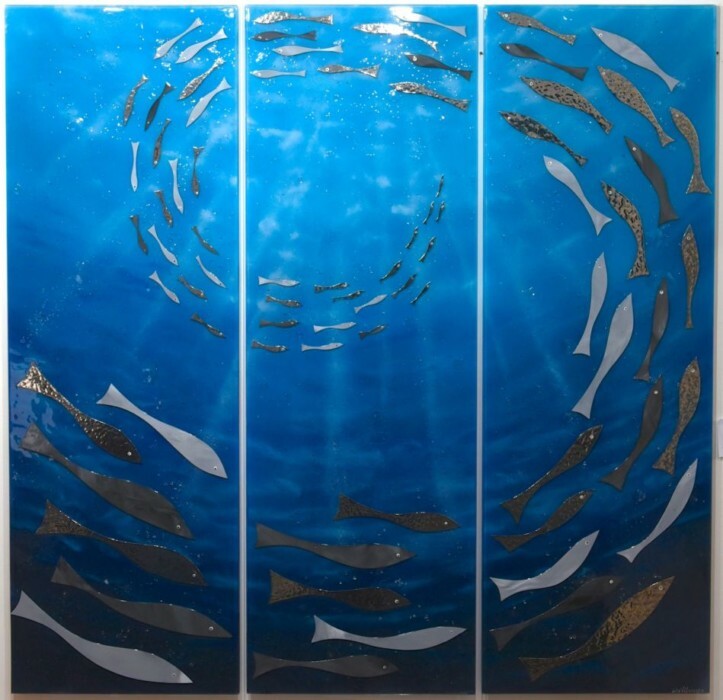 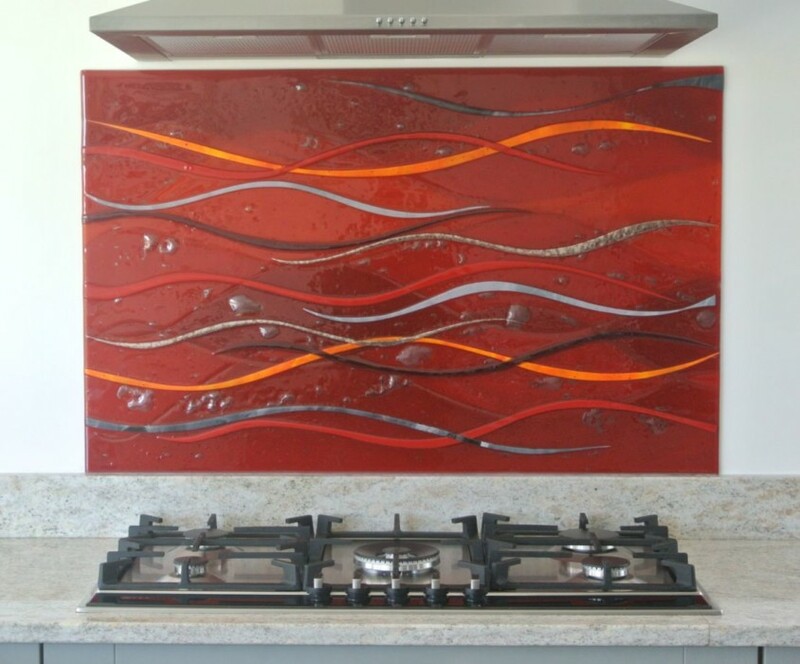 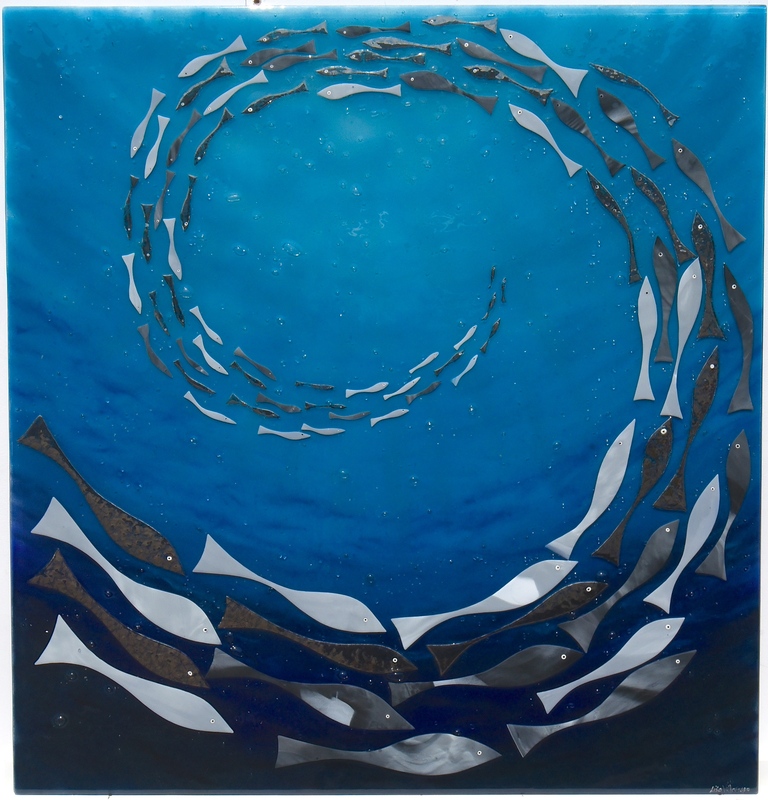 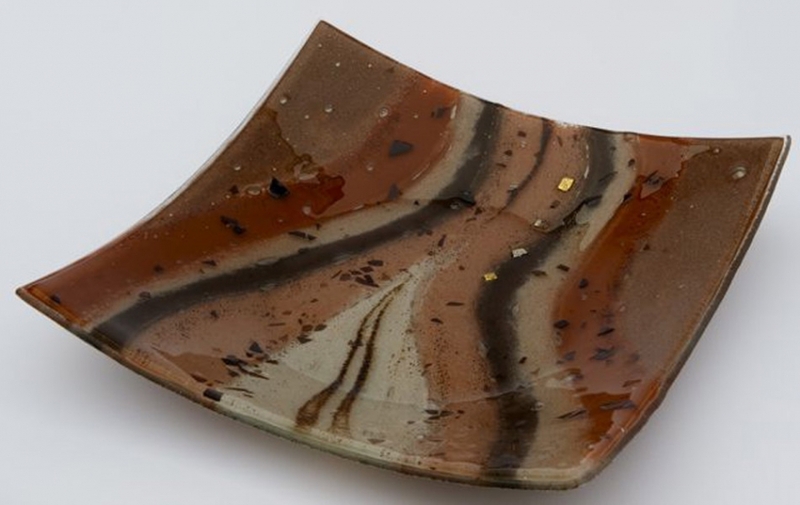 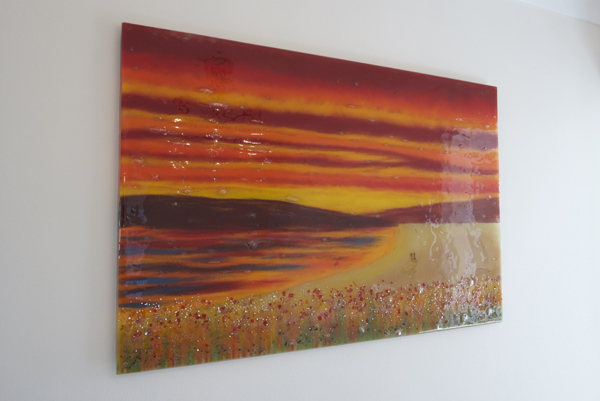 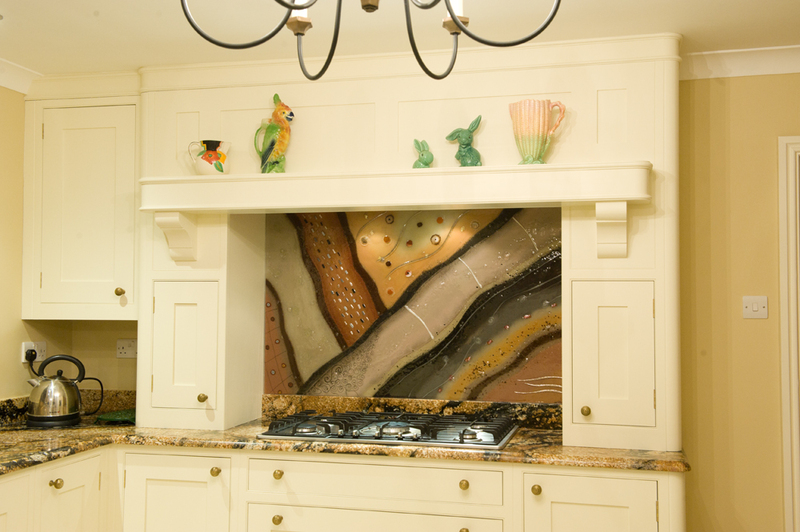 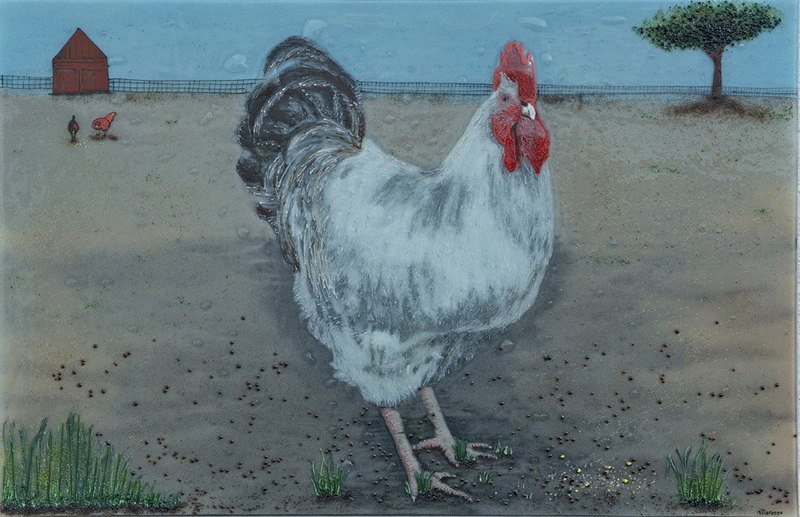 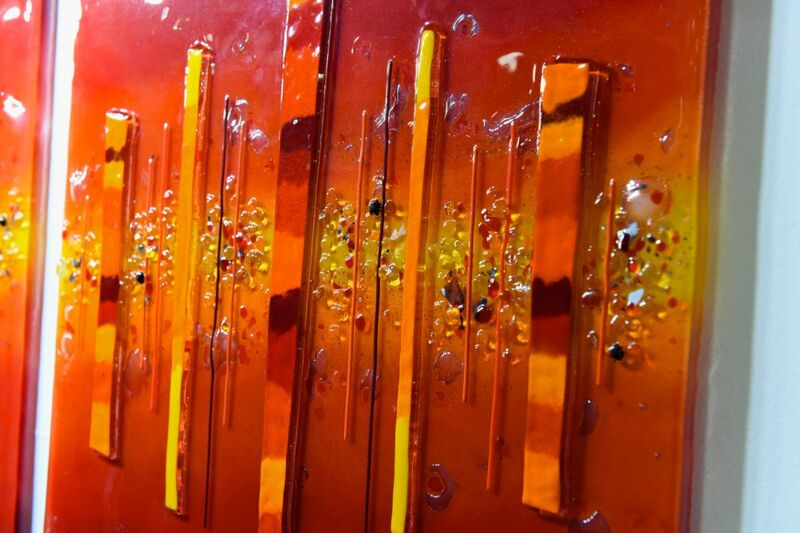 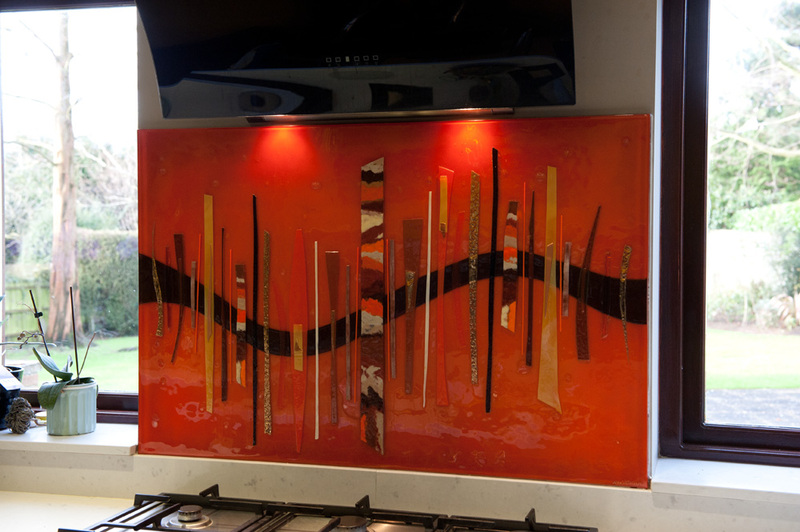 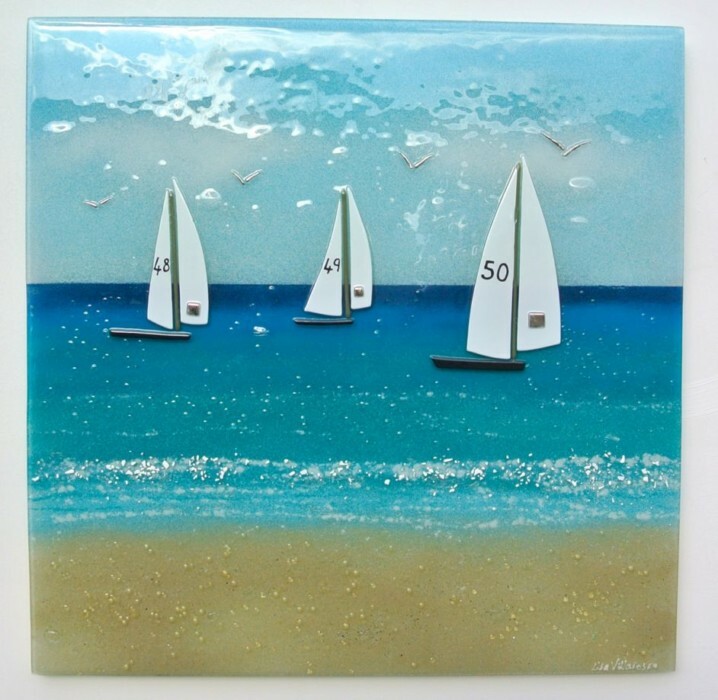 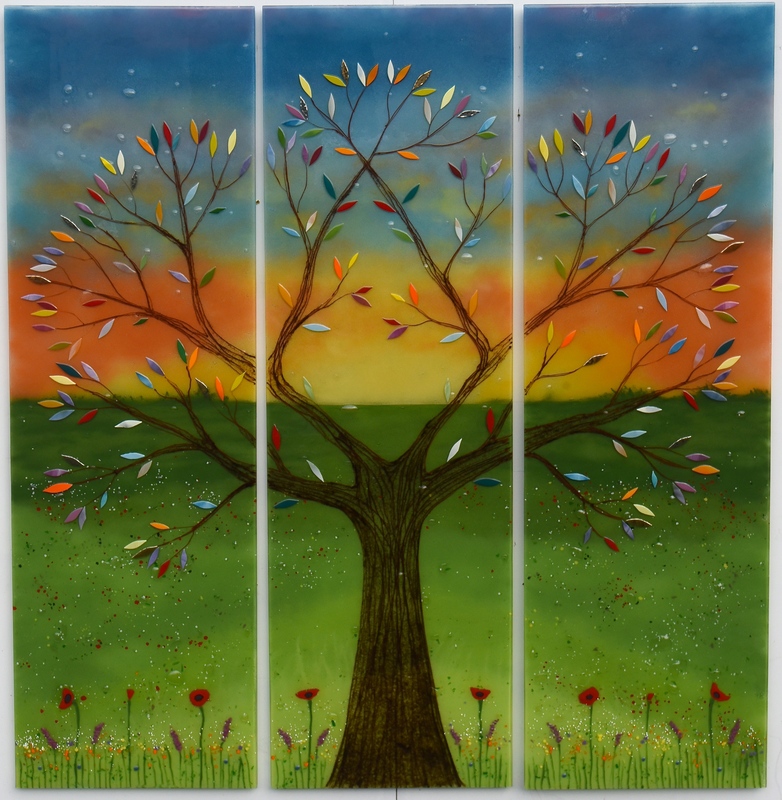 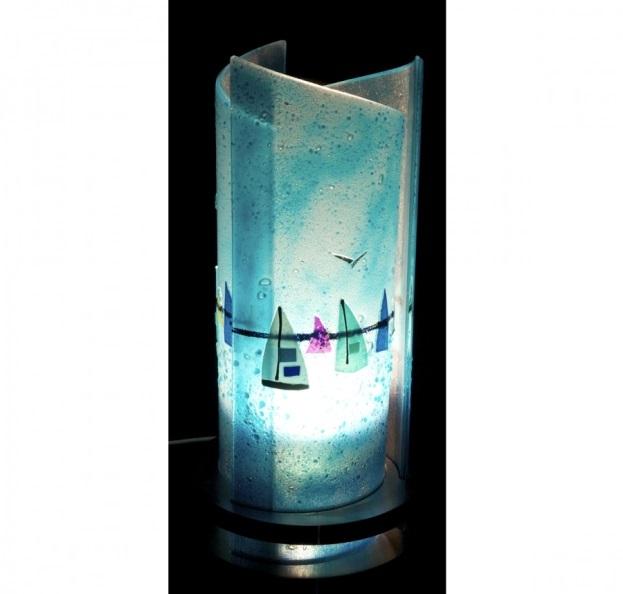 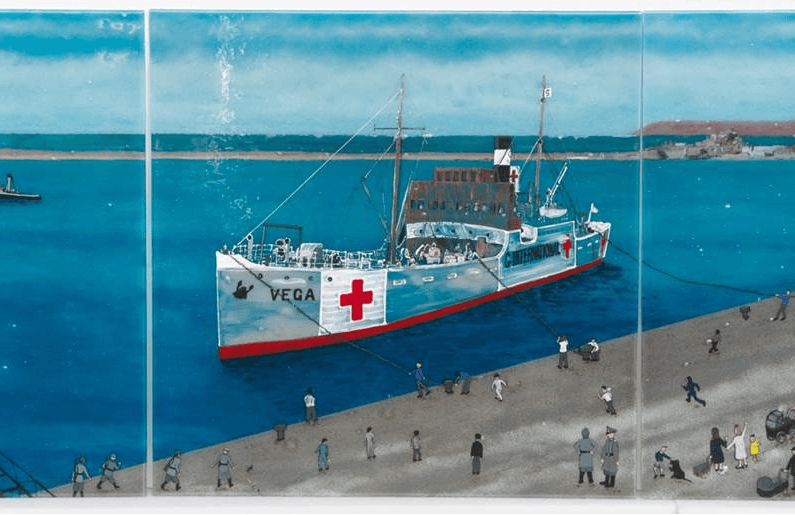 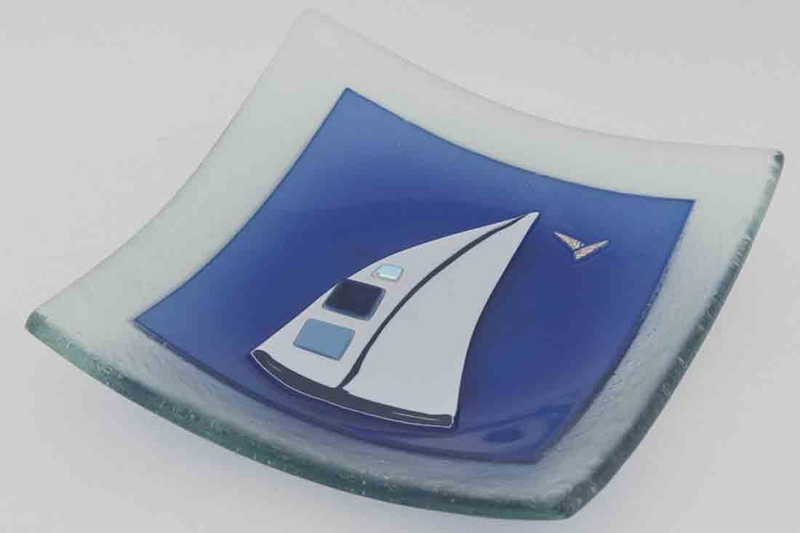 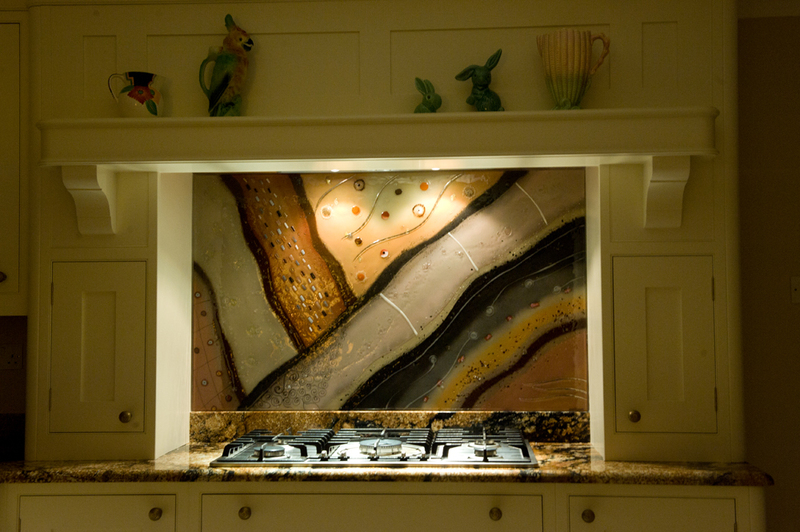 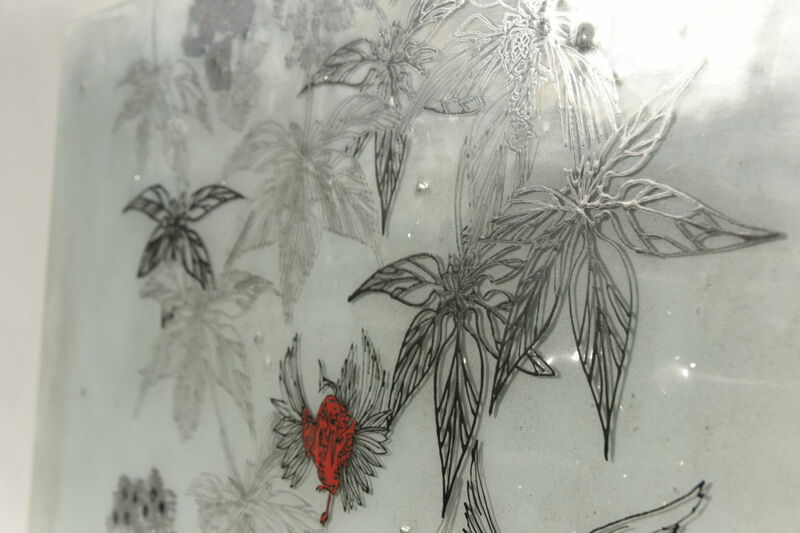 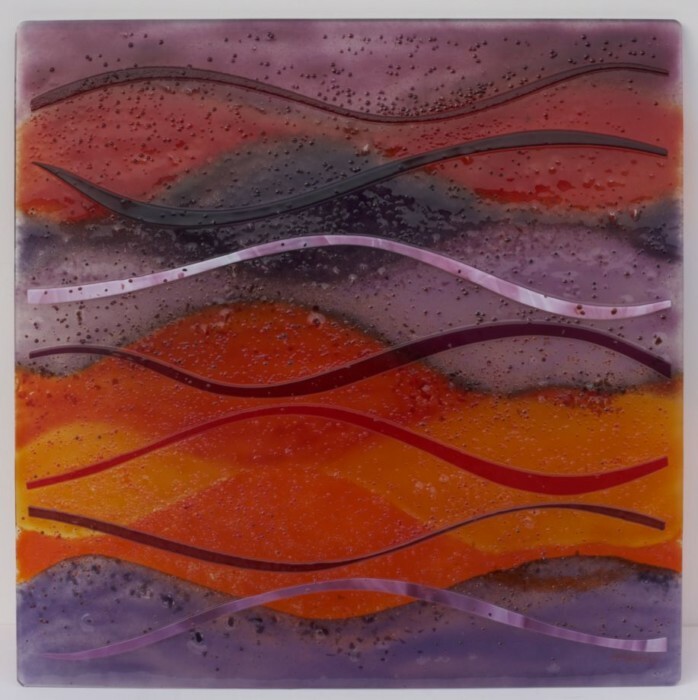 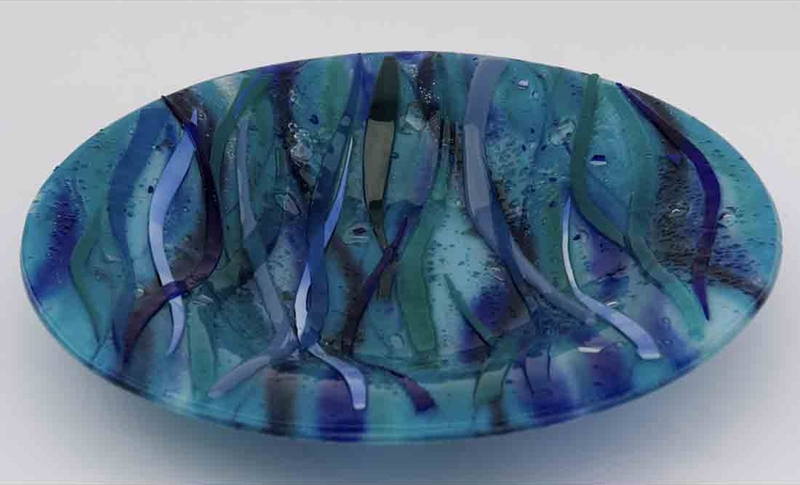 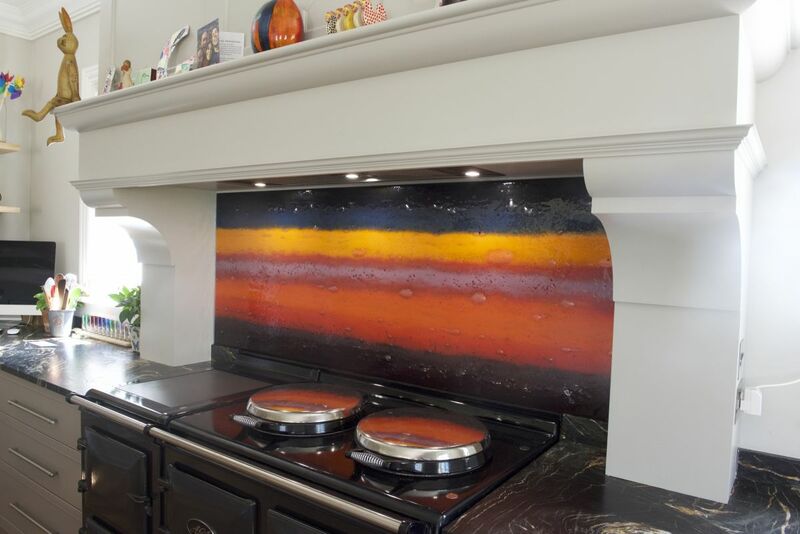 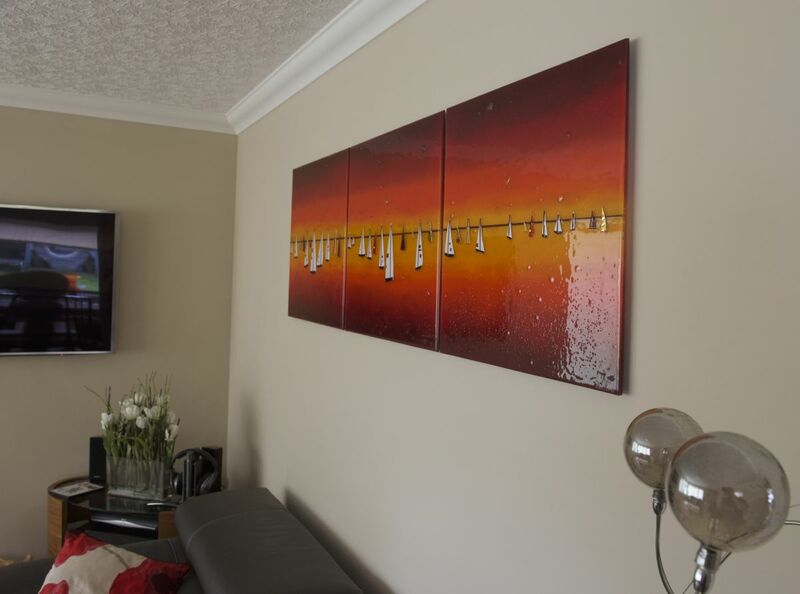 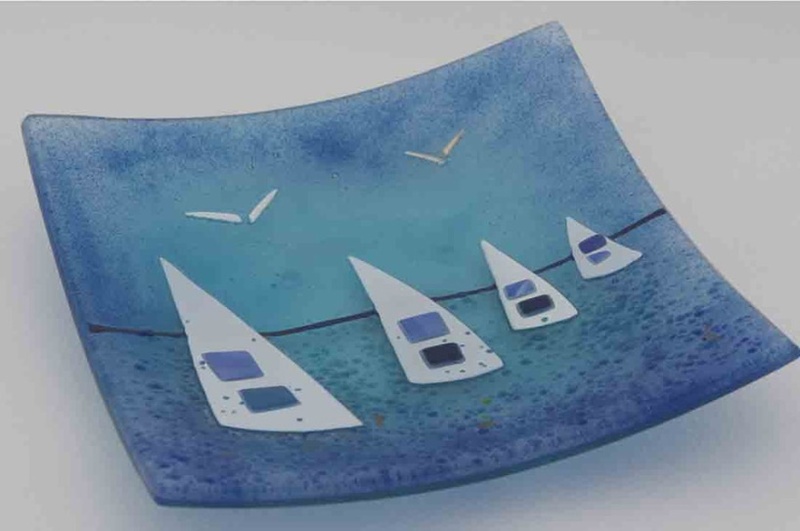 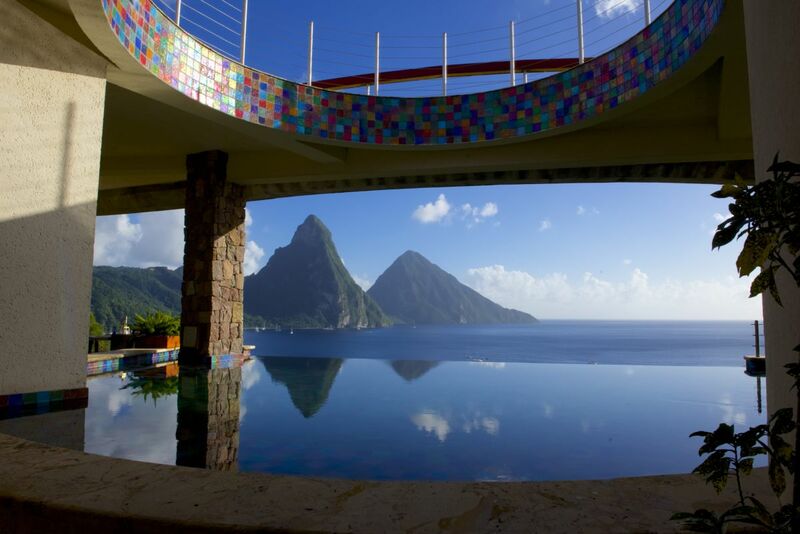 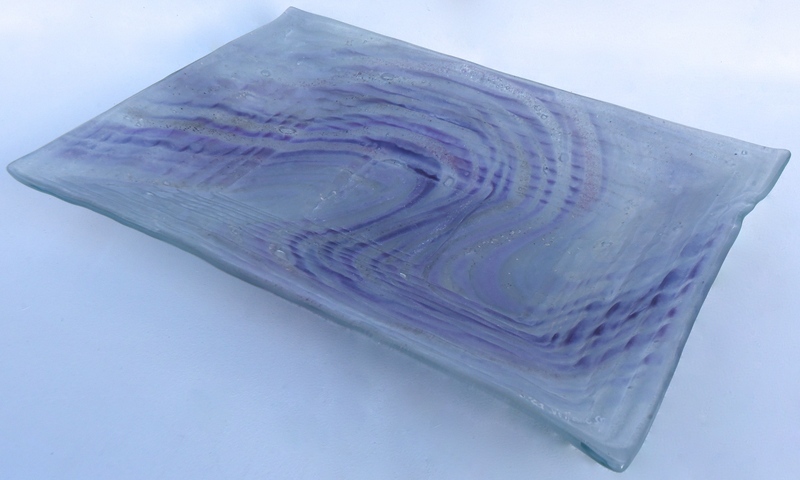 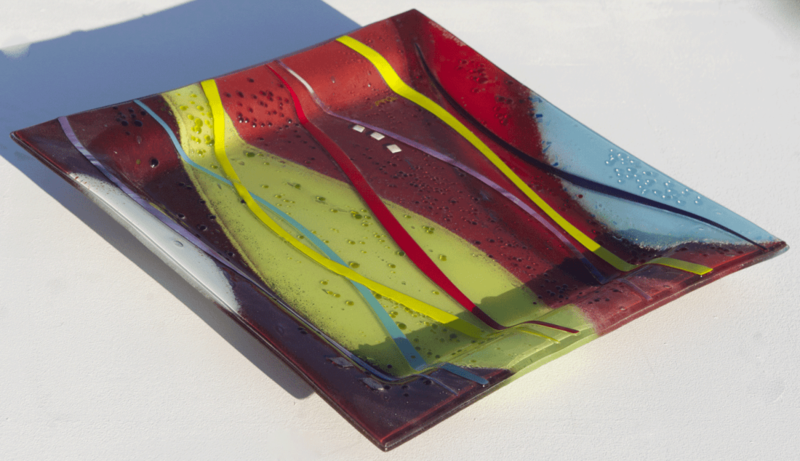 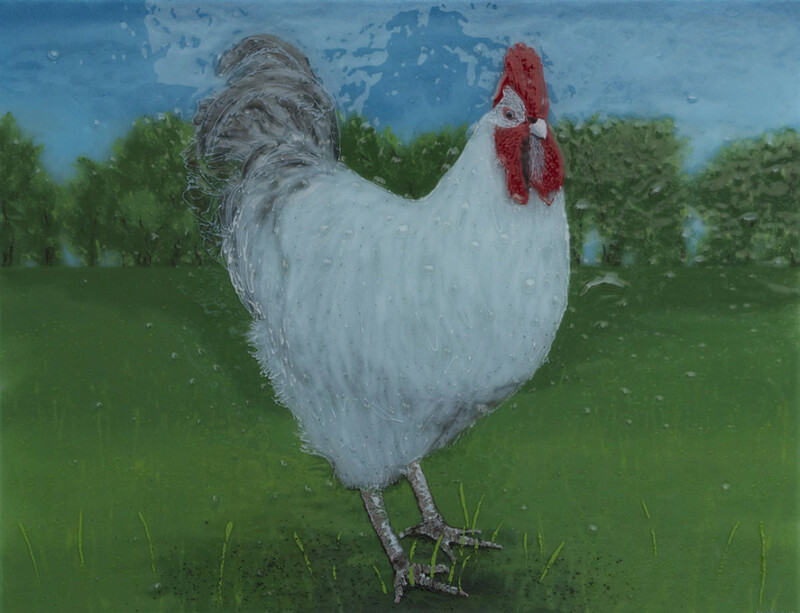 It’s a very calm, scenic piece that matches the exciting warmth of the other glass wall art panel in the room. 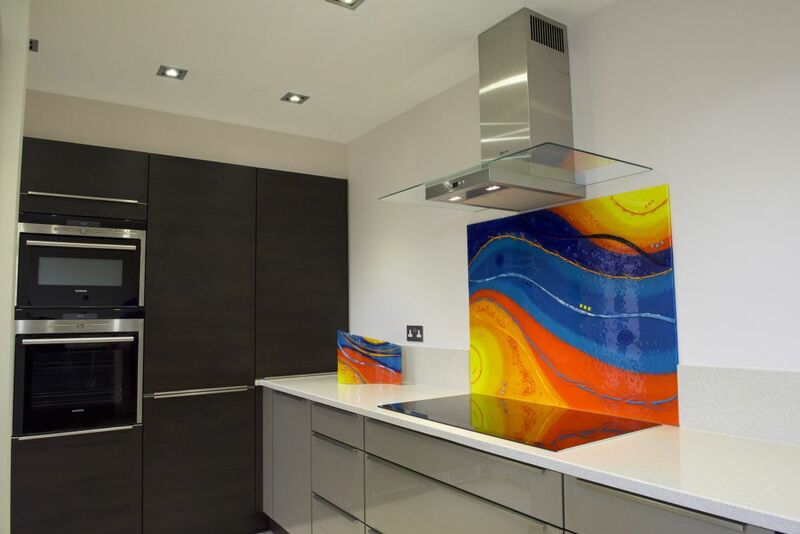 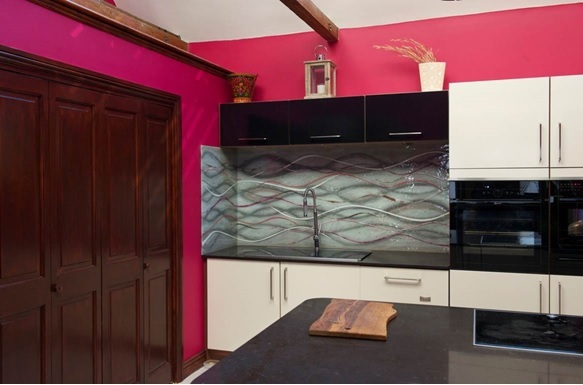 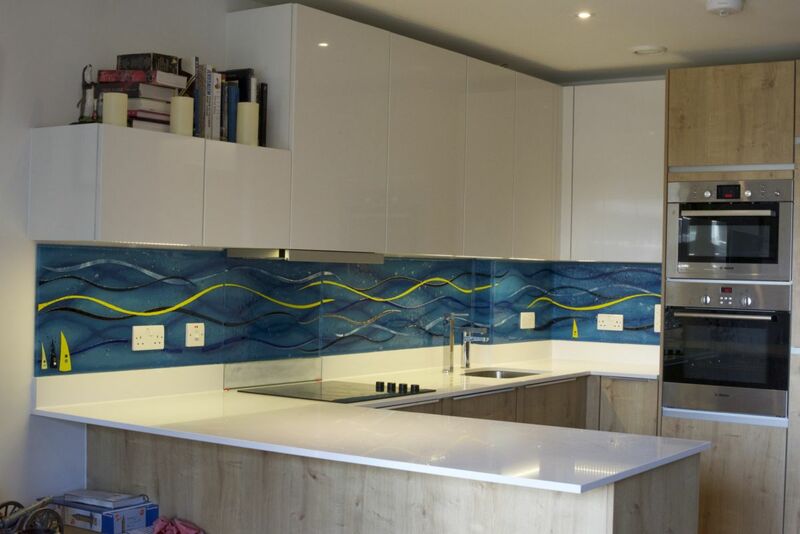 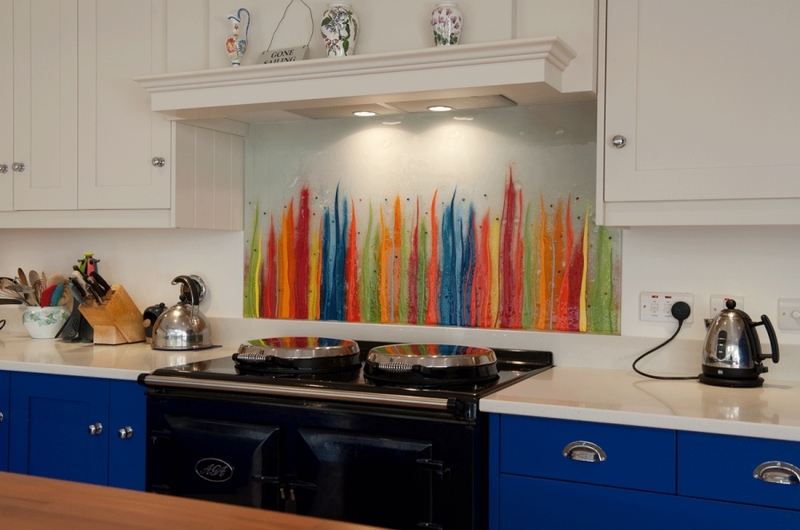 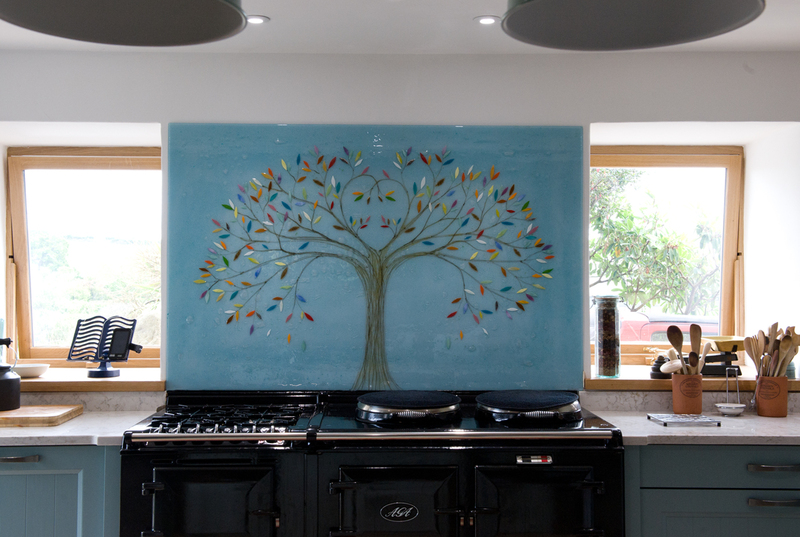 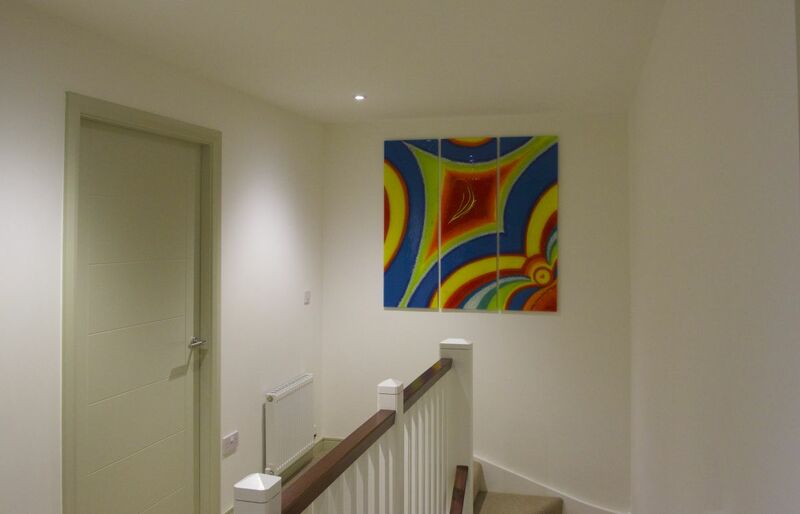 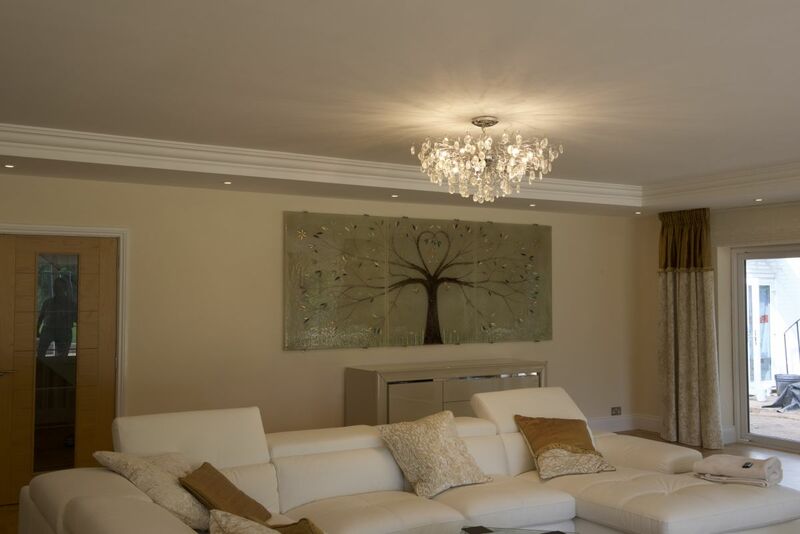 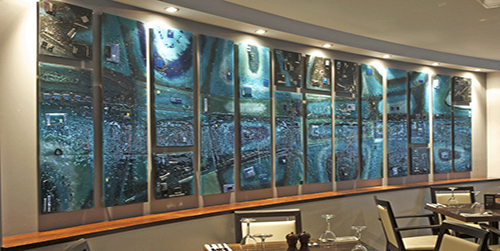 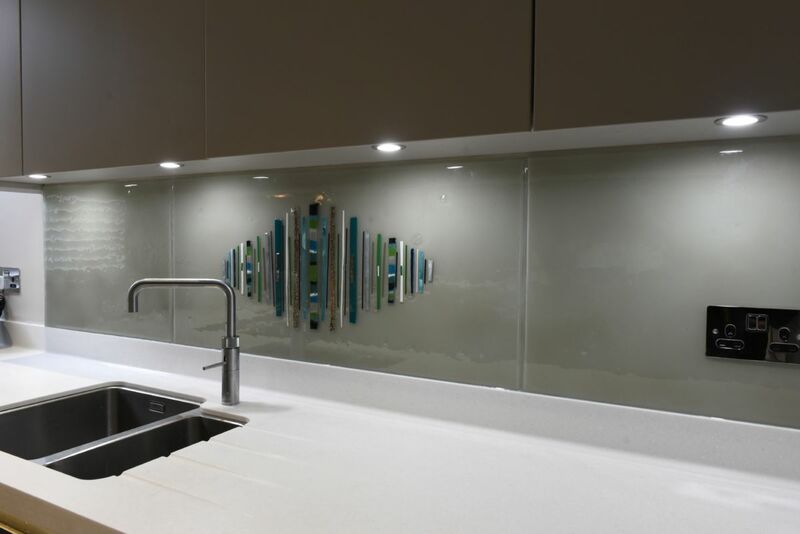 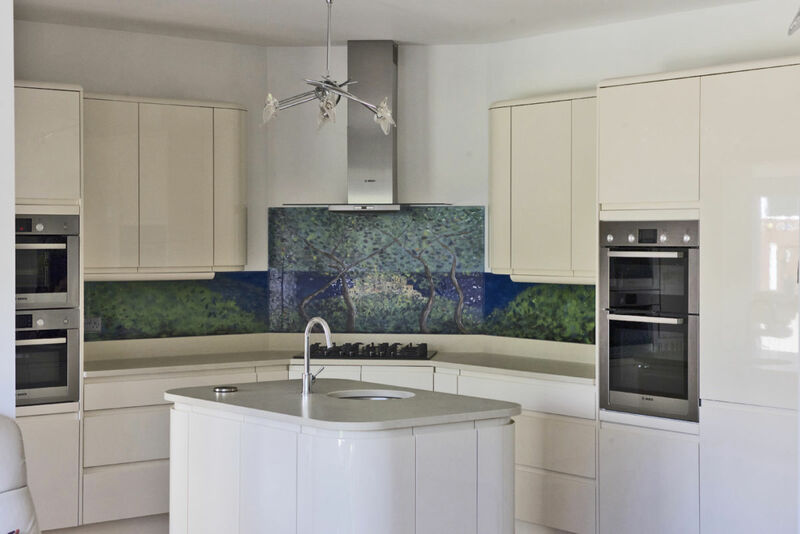 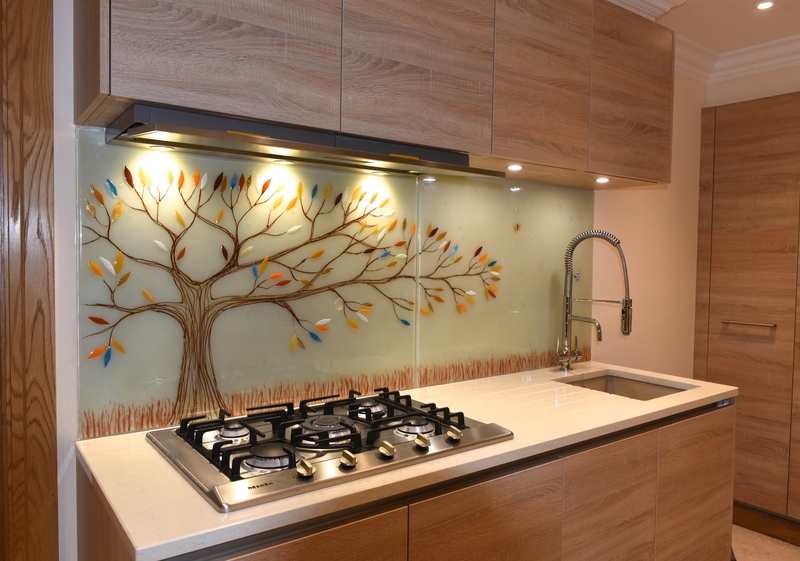 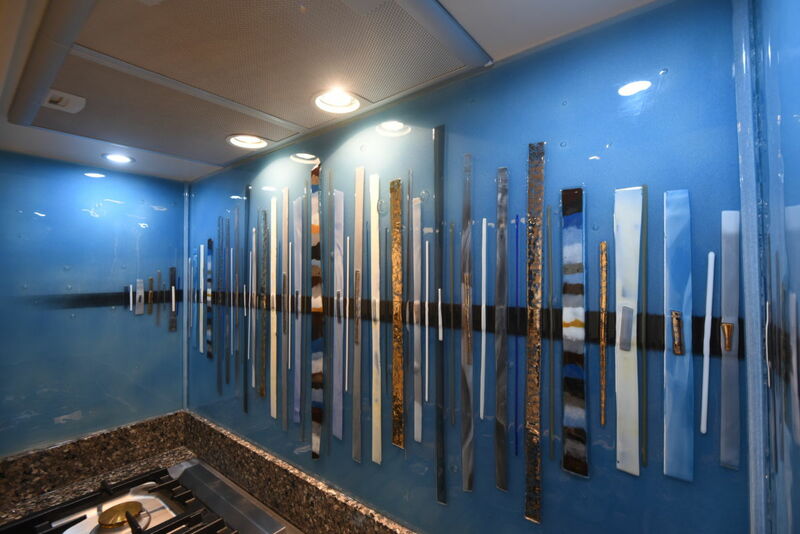 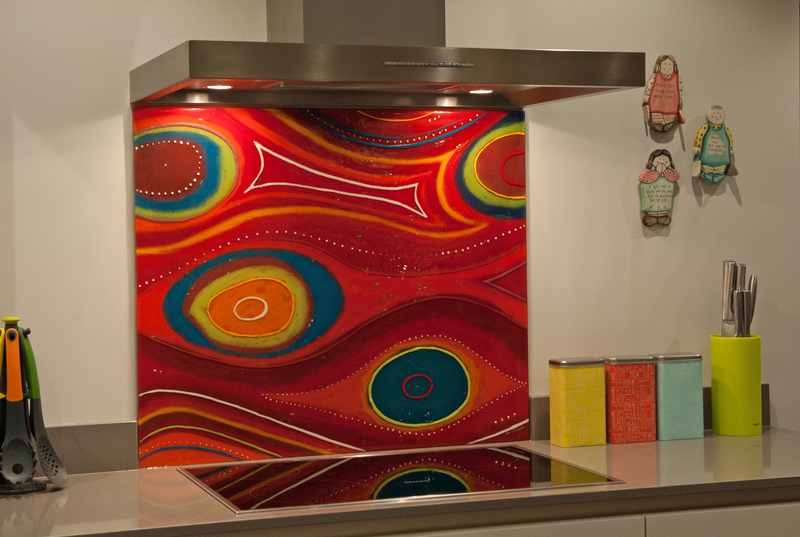 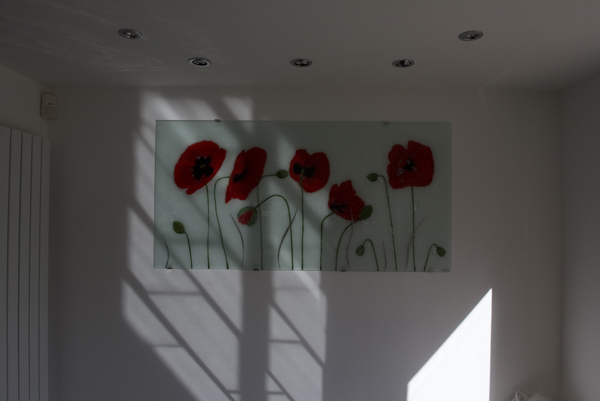 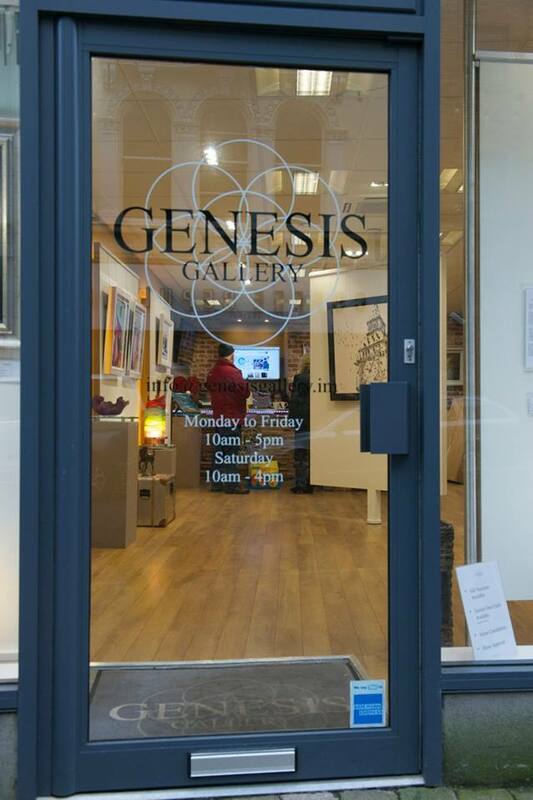 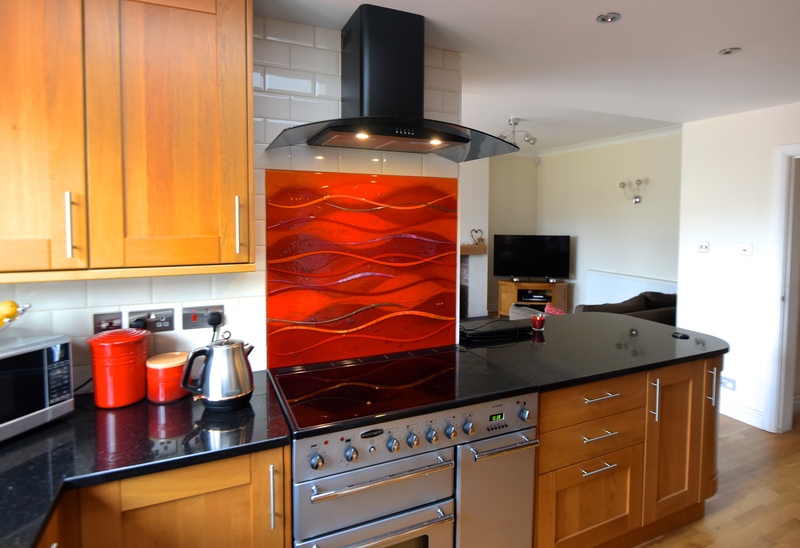 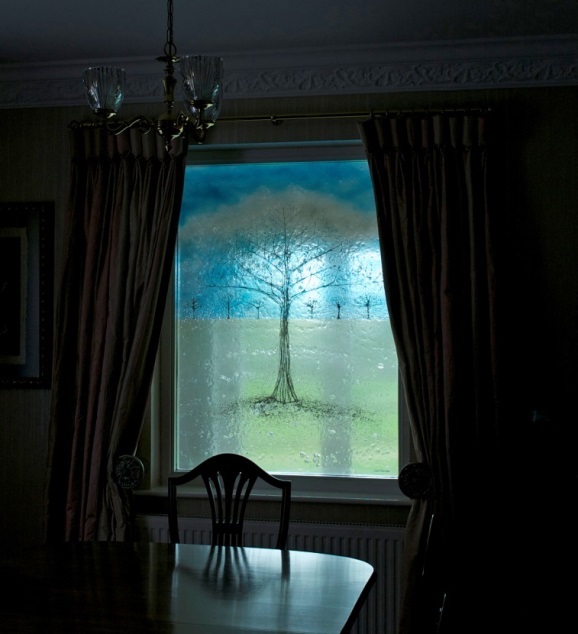 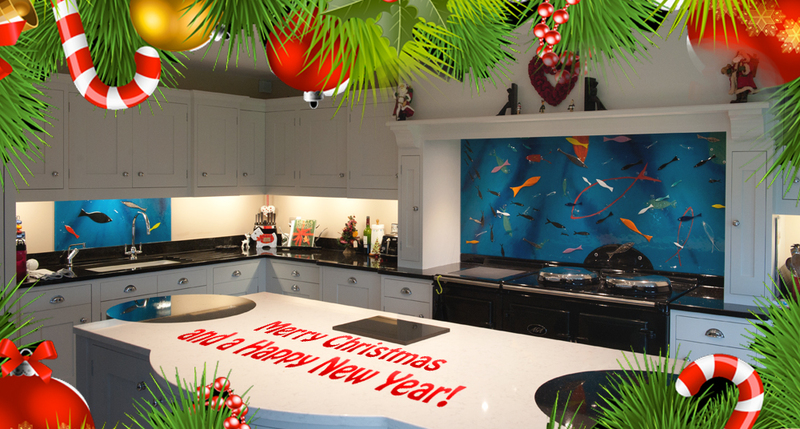 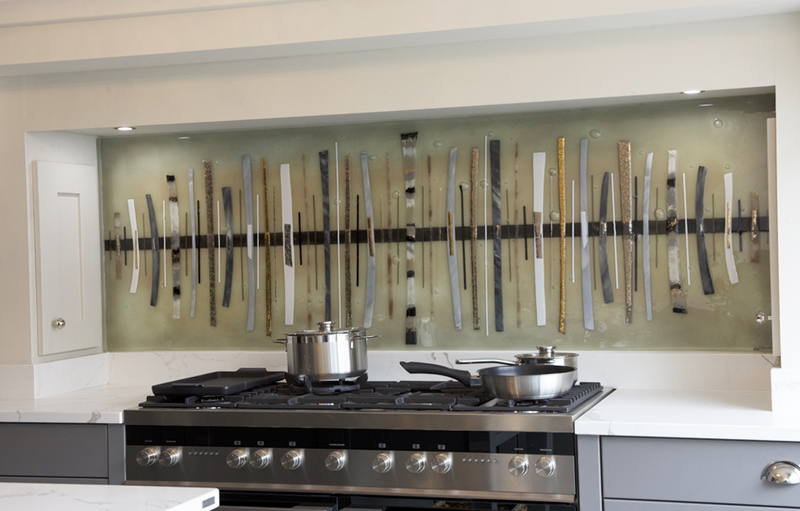 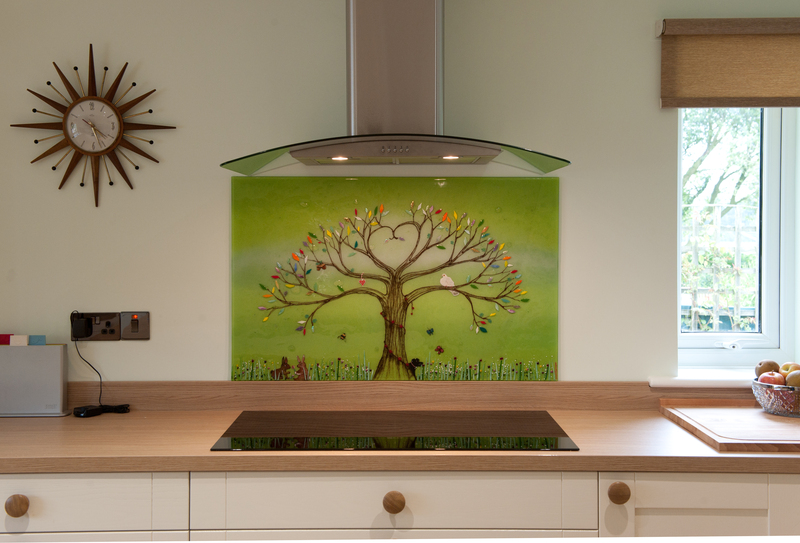 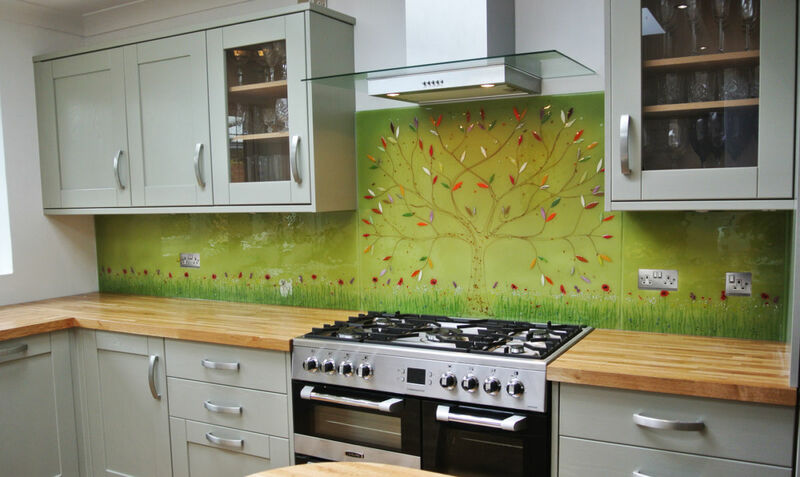 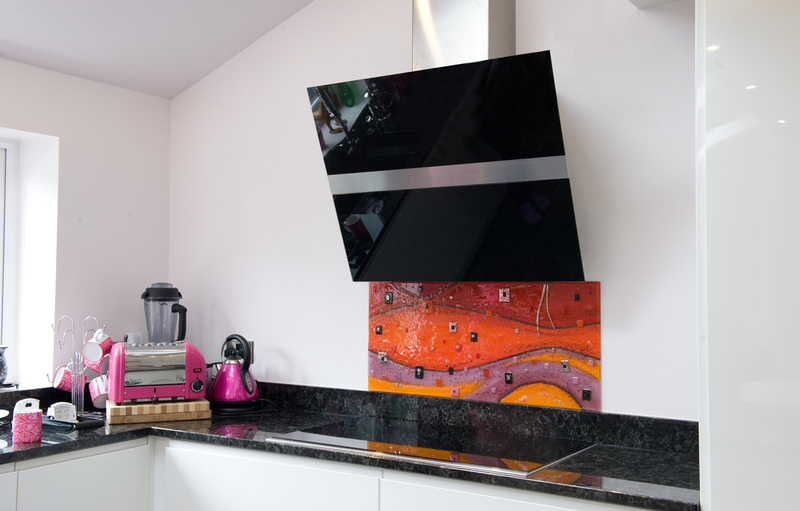 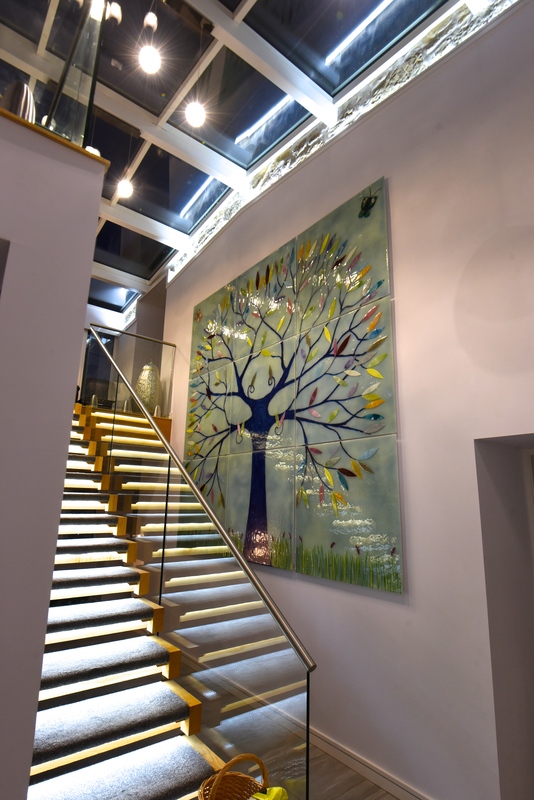 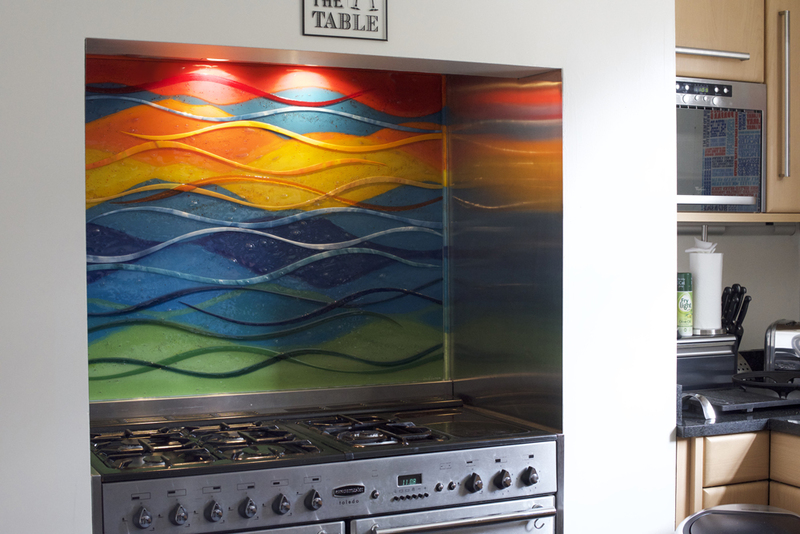 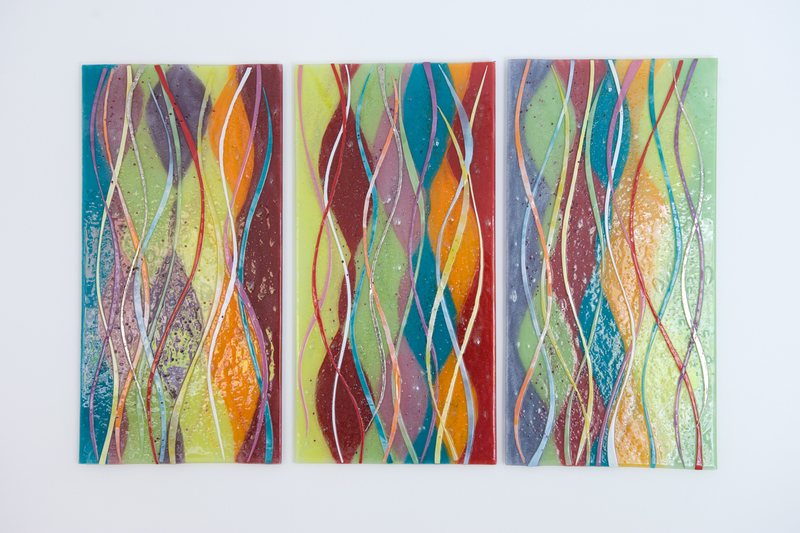 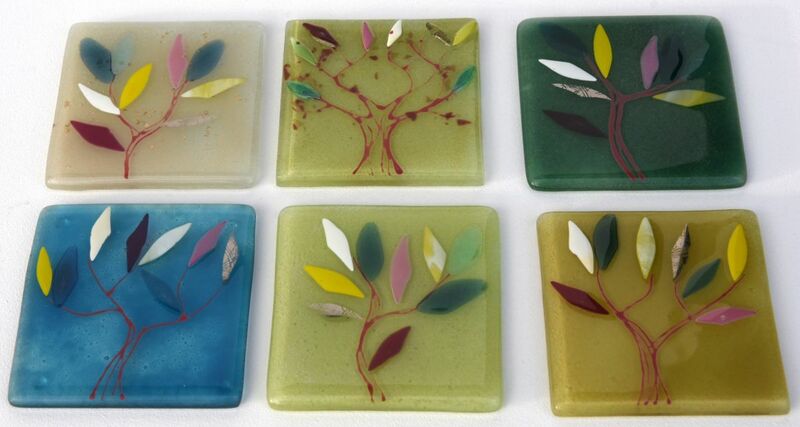 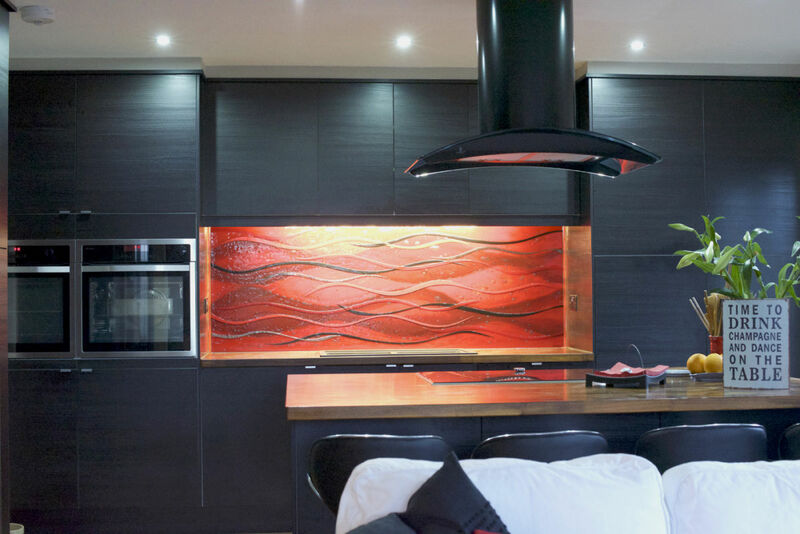 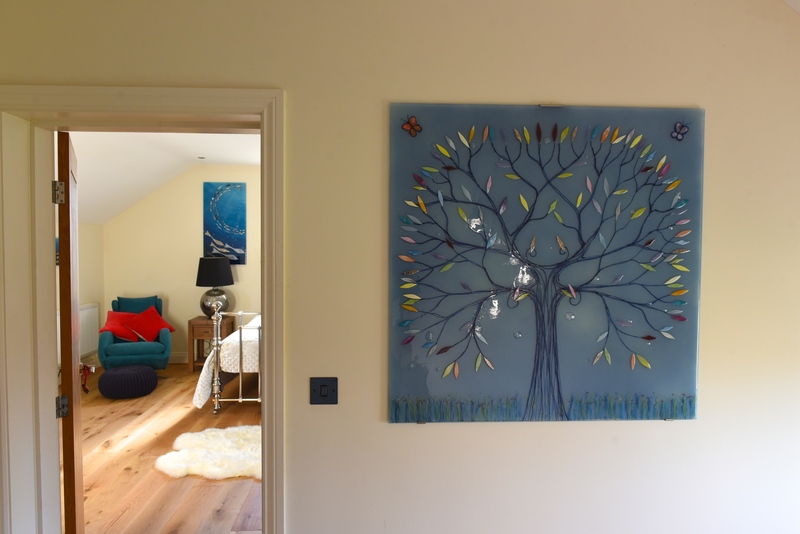 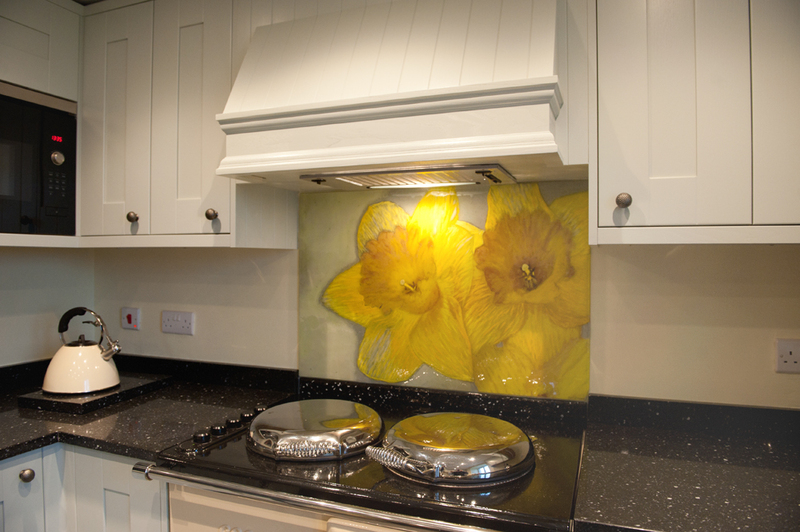 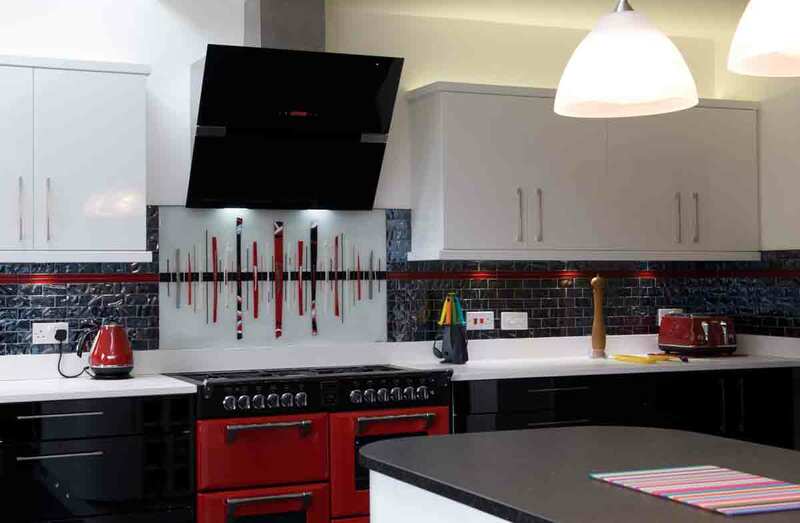 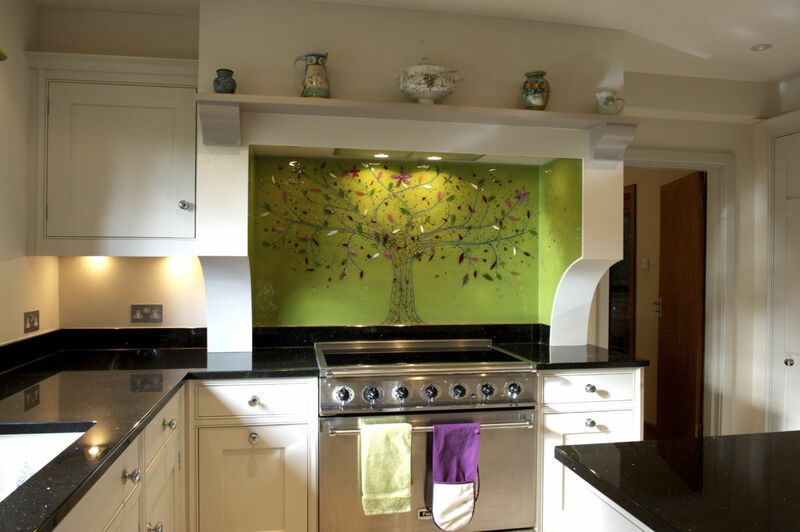 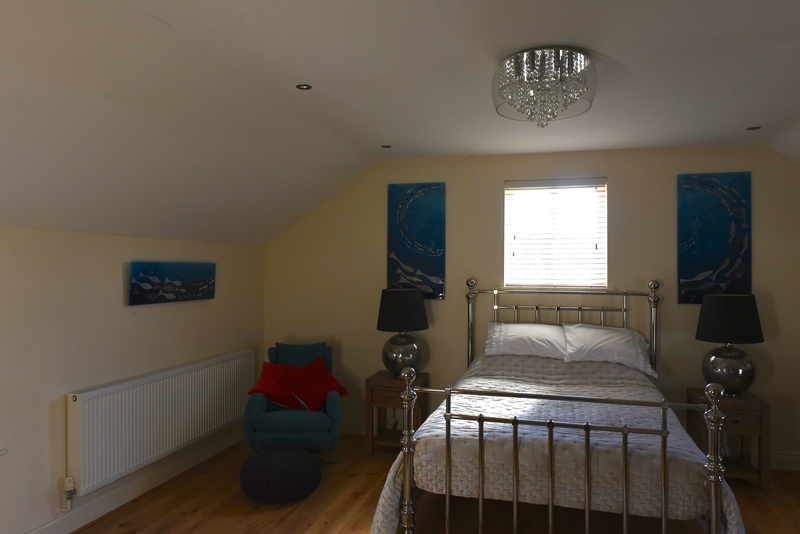 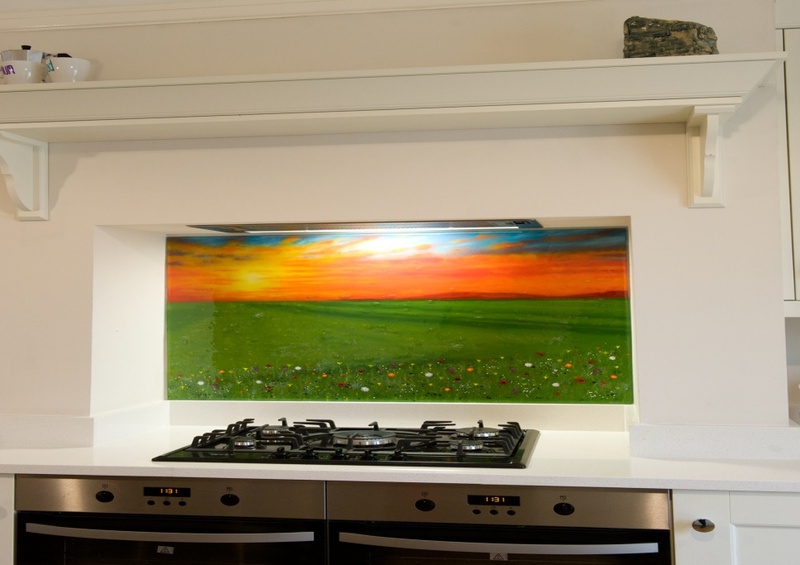 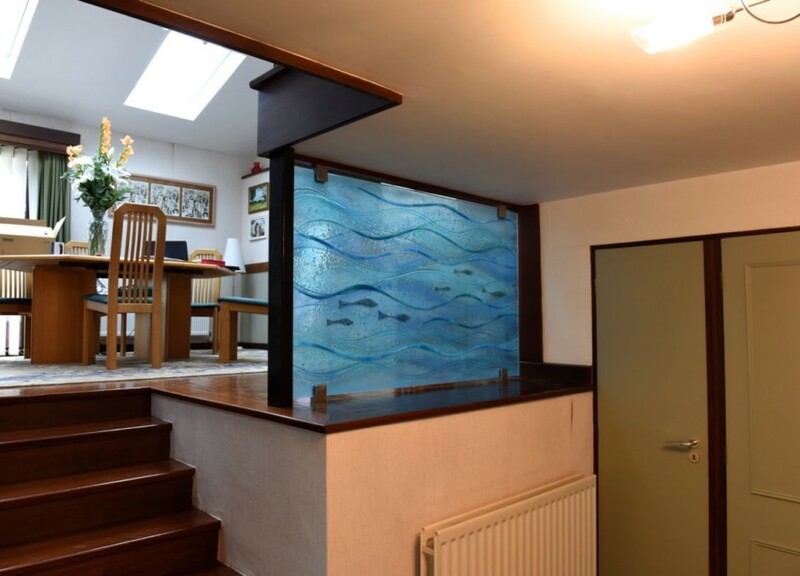 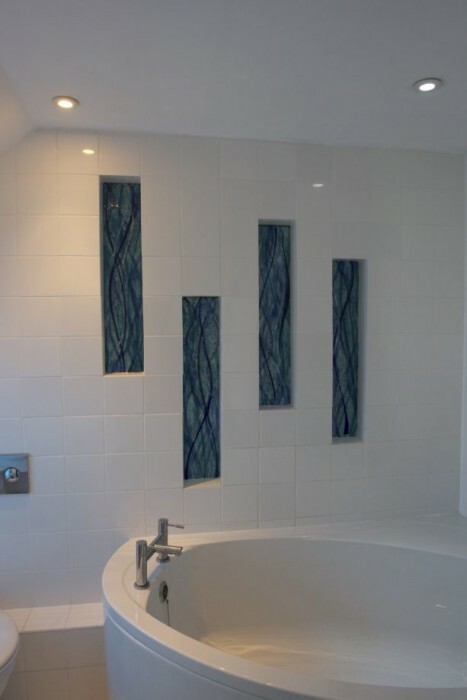 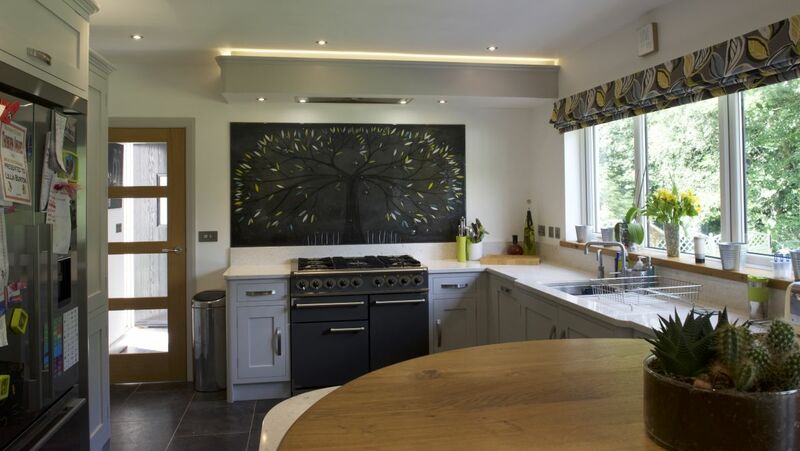 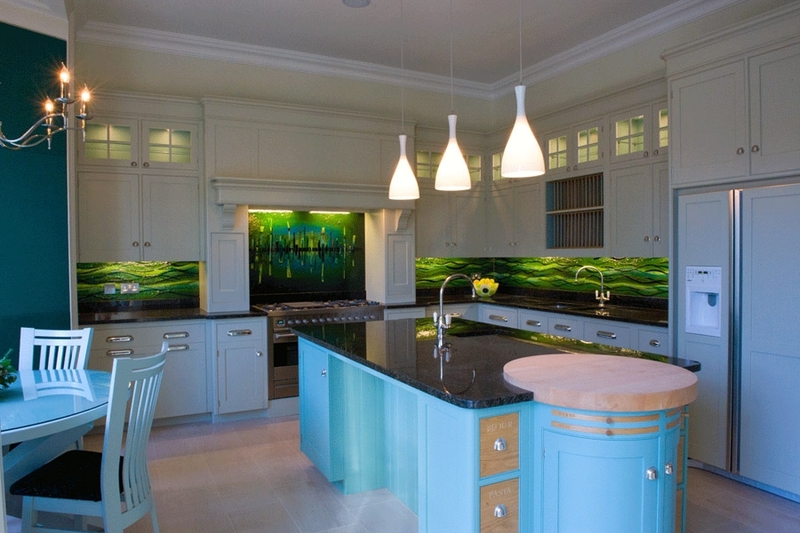 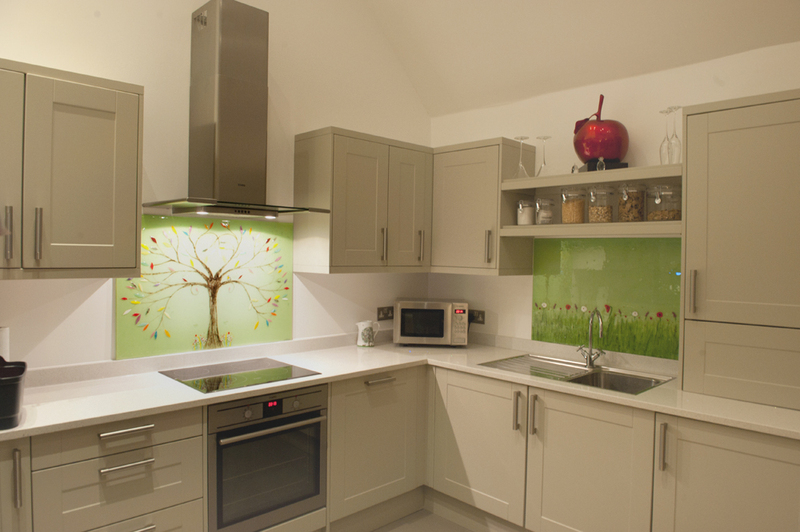 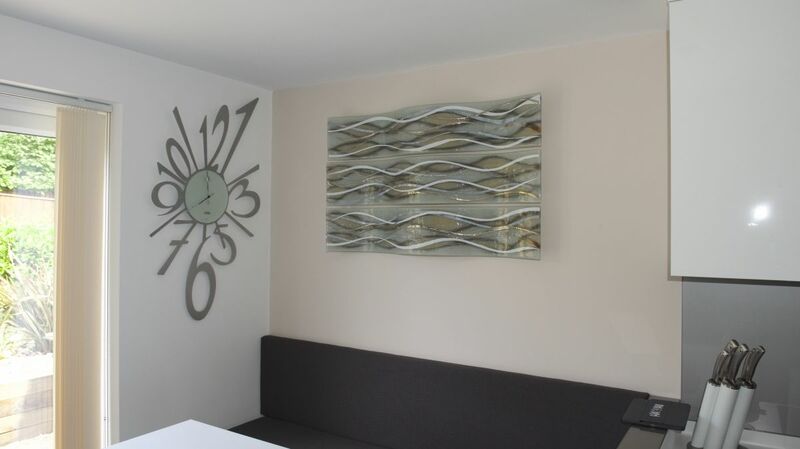 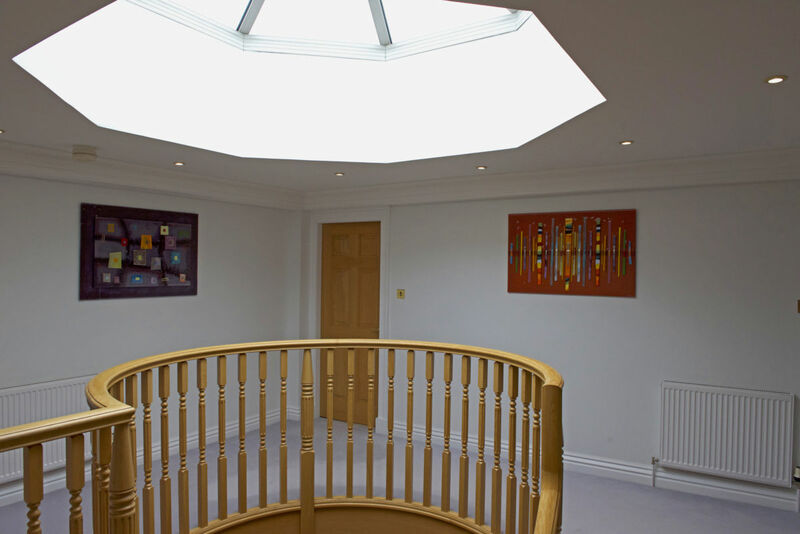 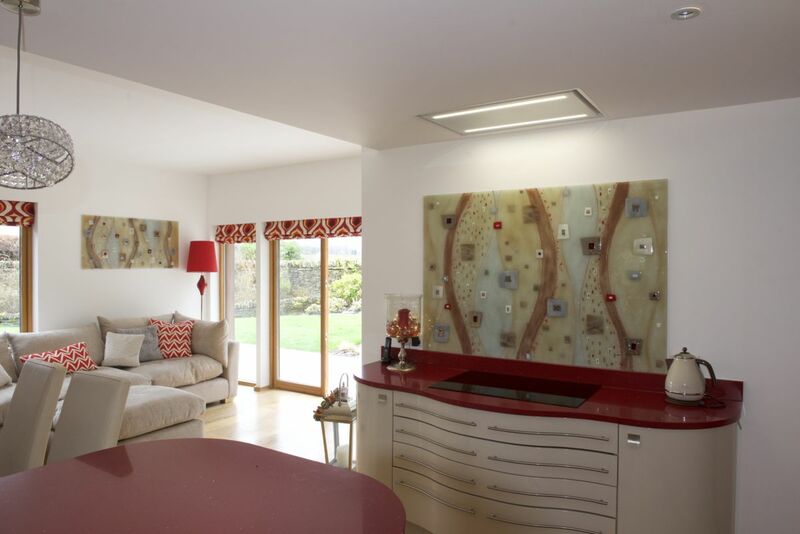 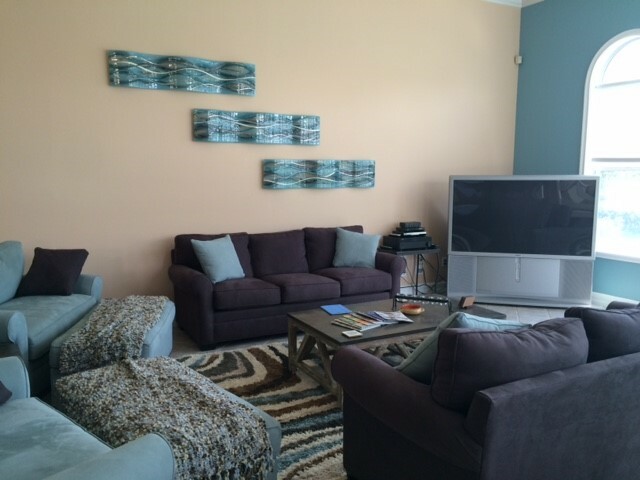 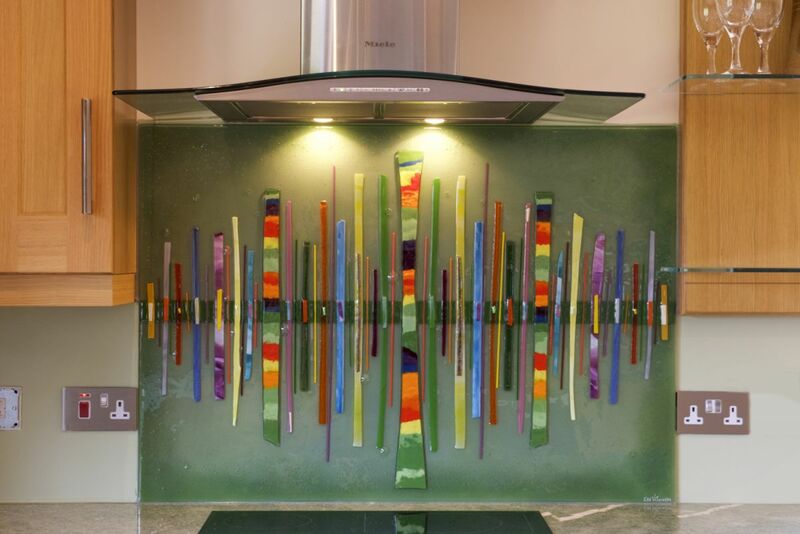 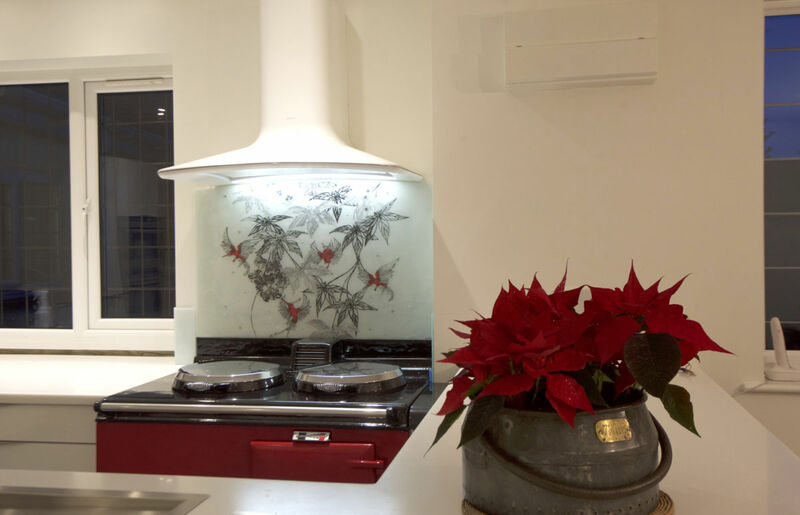 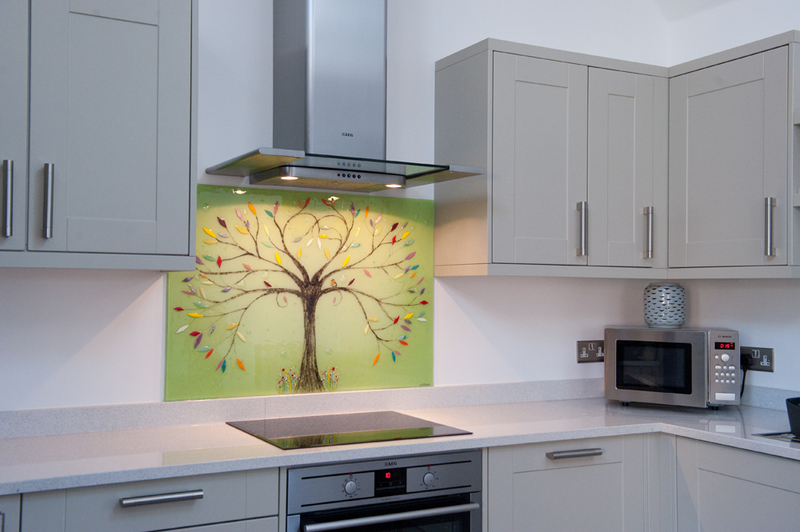 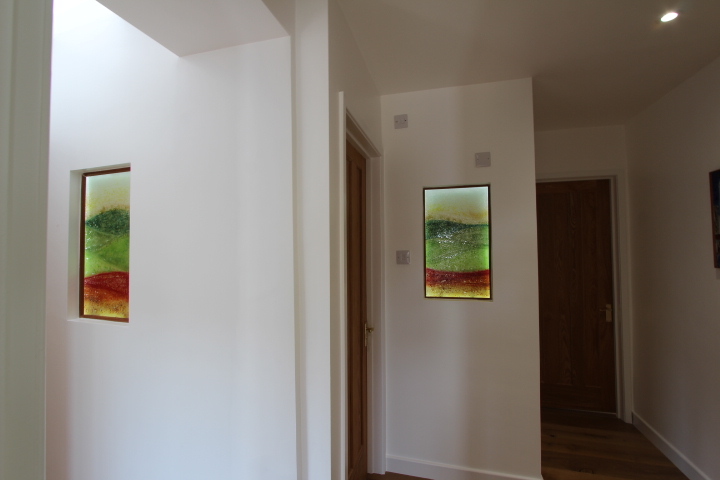 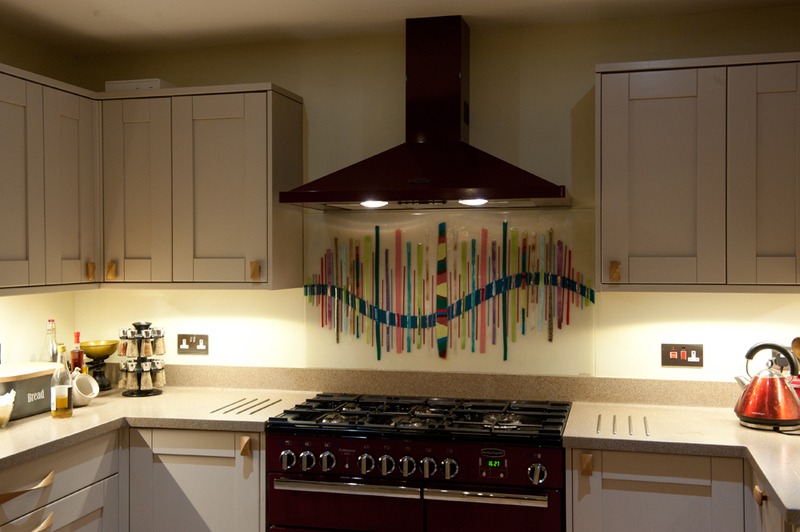 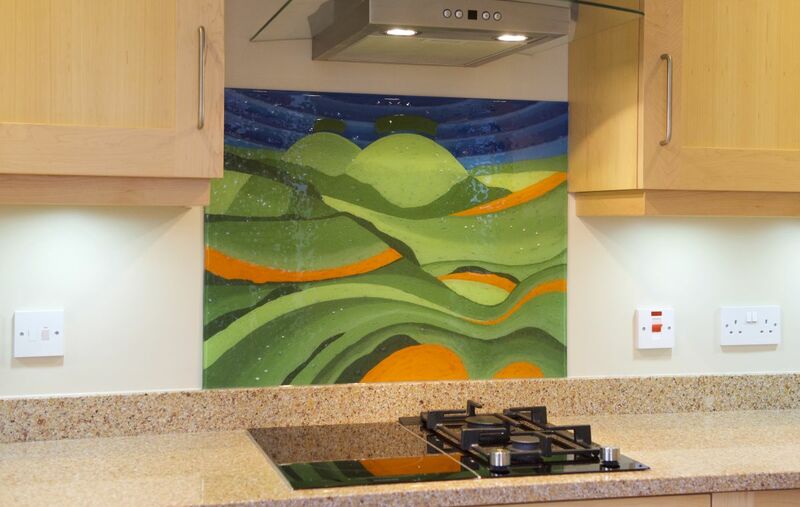 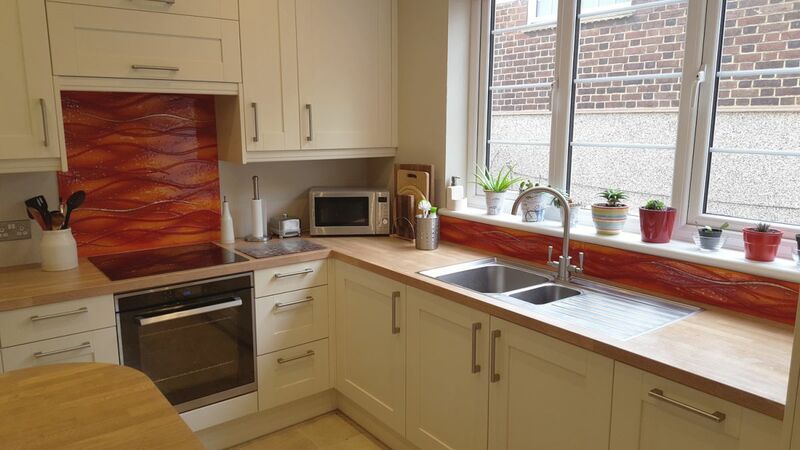 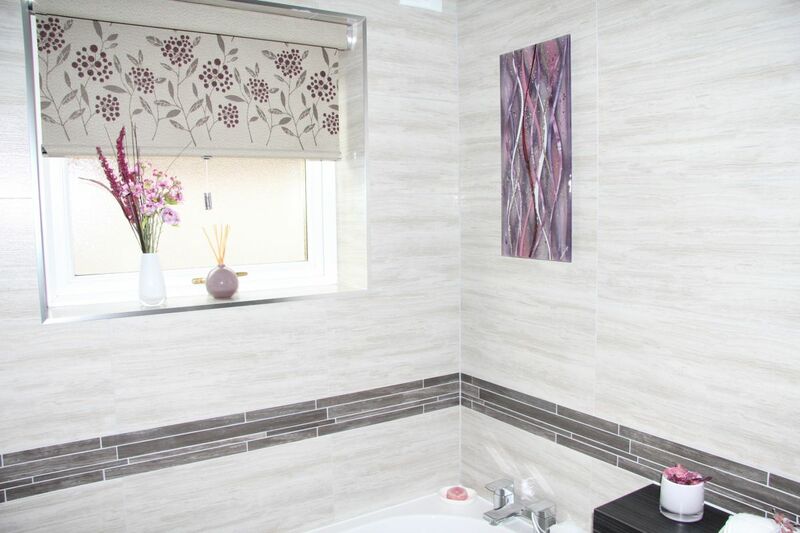 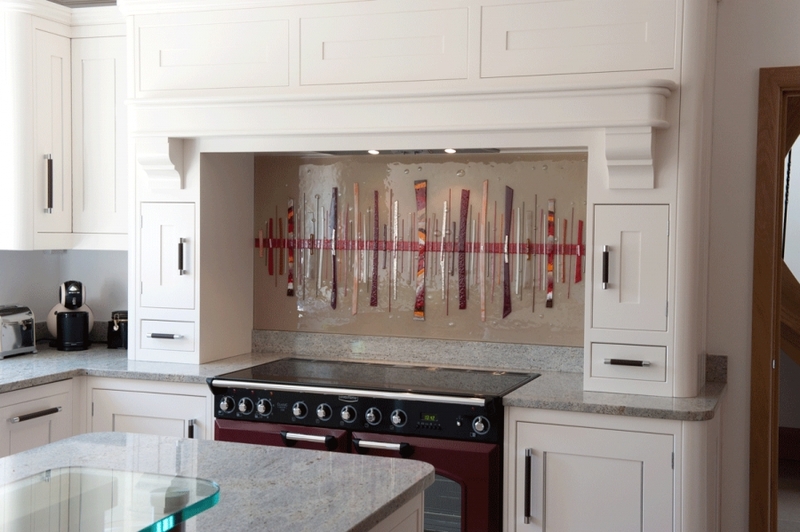 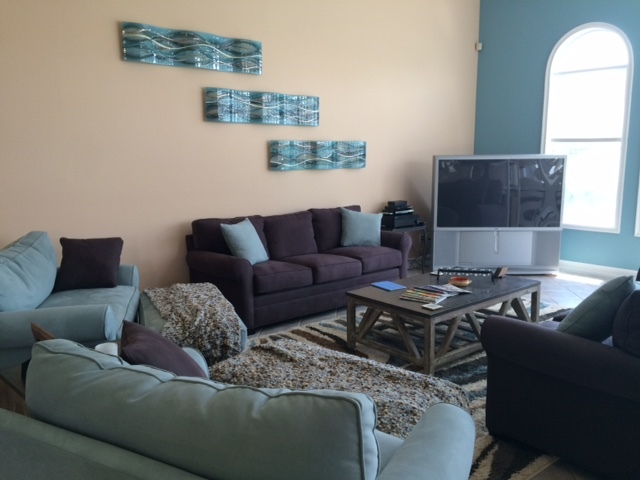 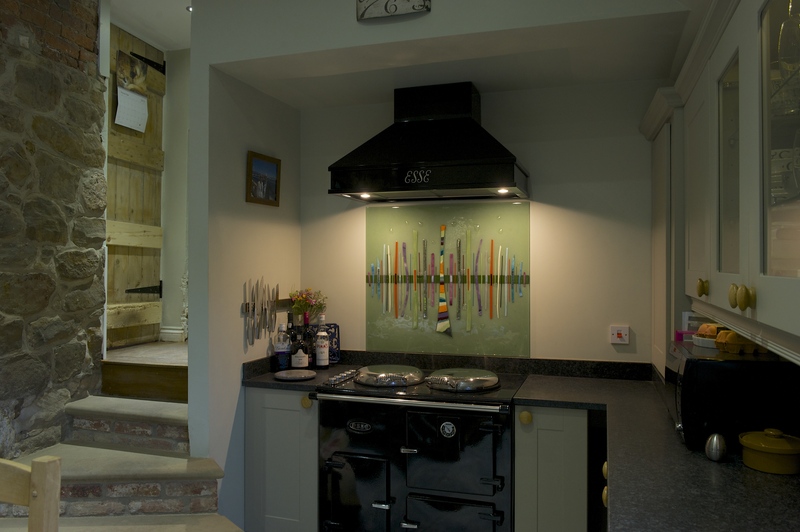 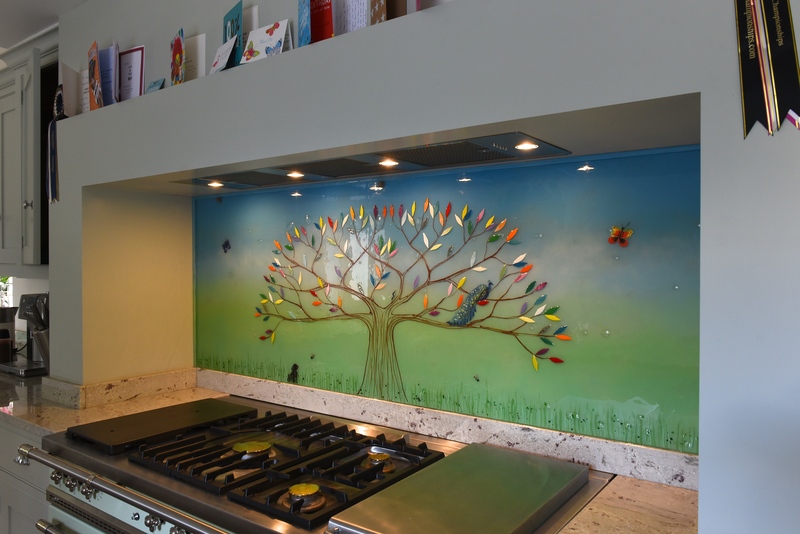 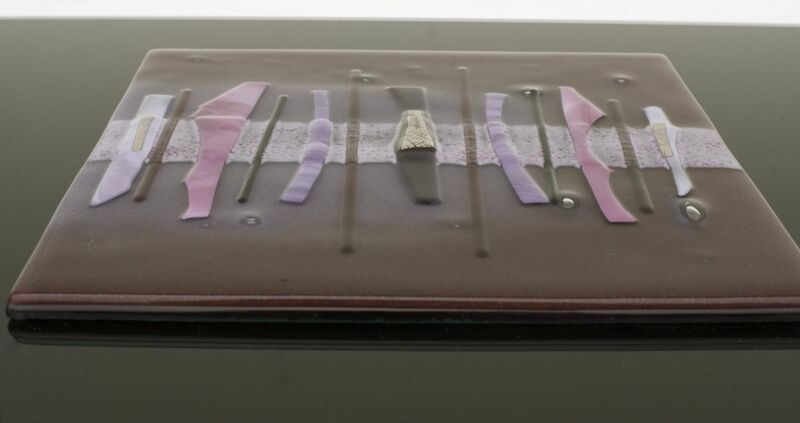 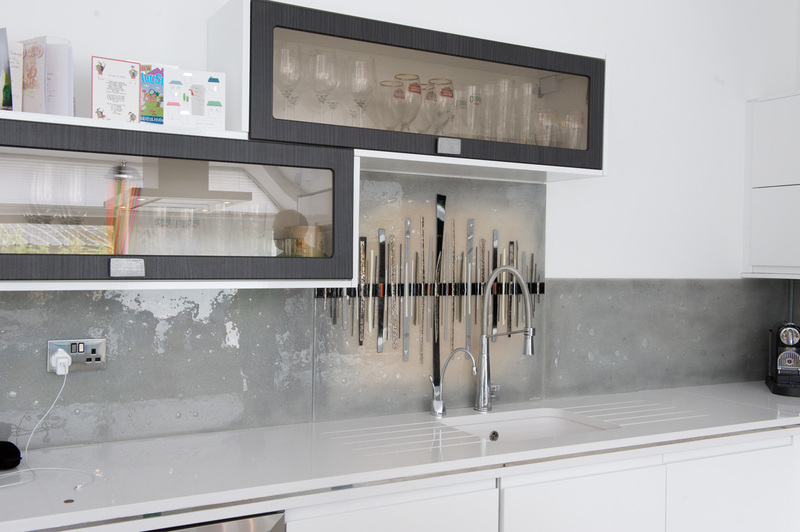 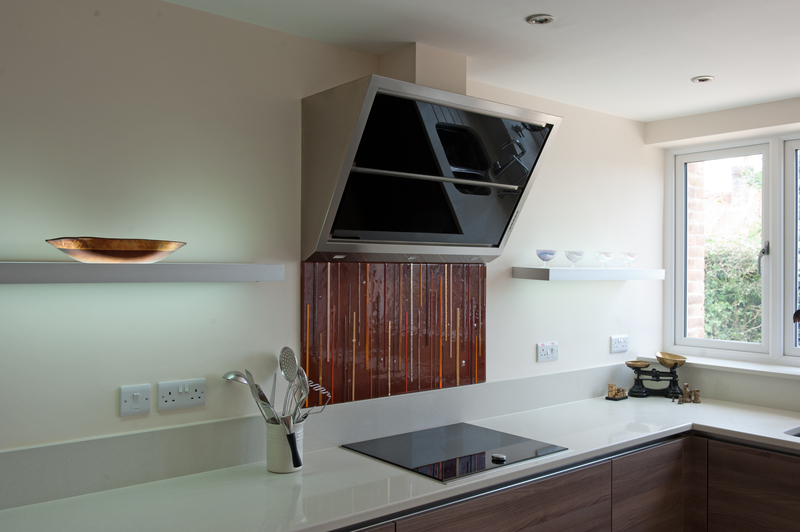 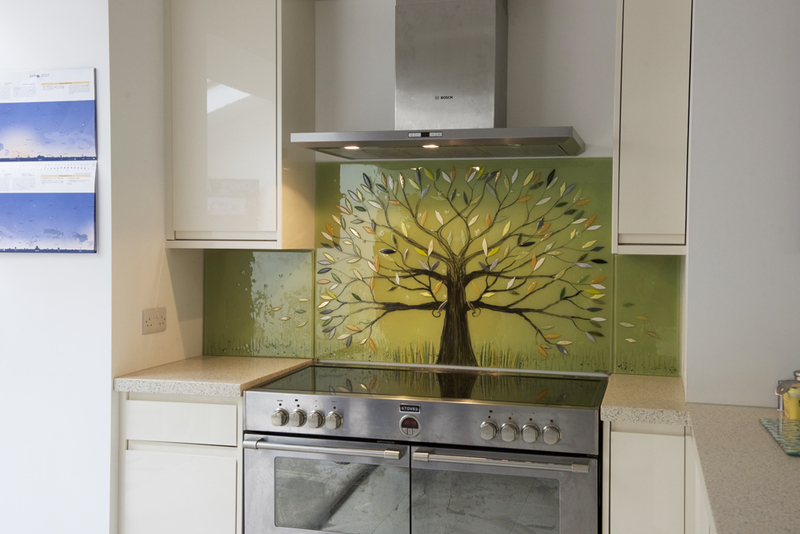 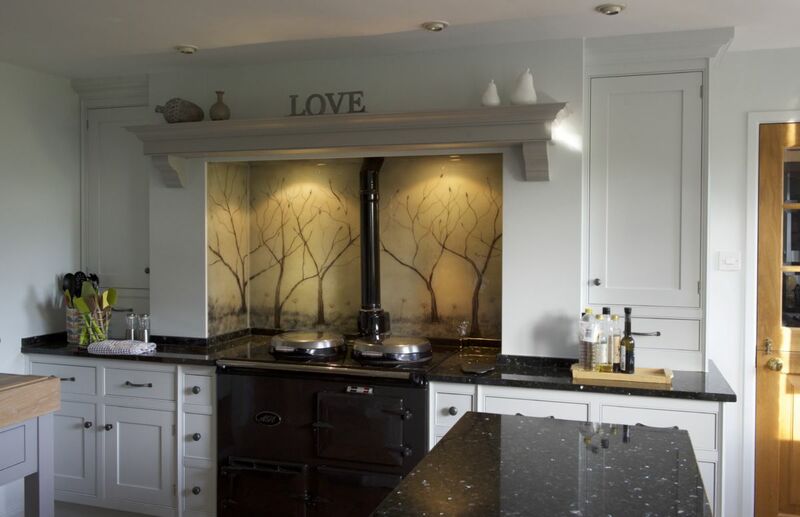 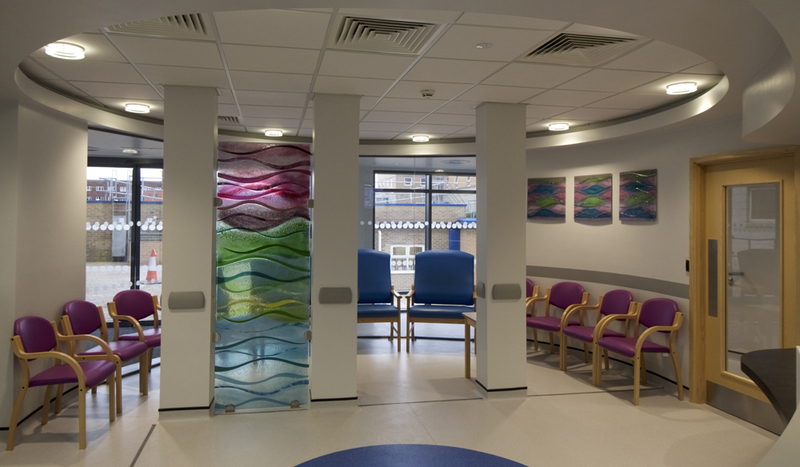 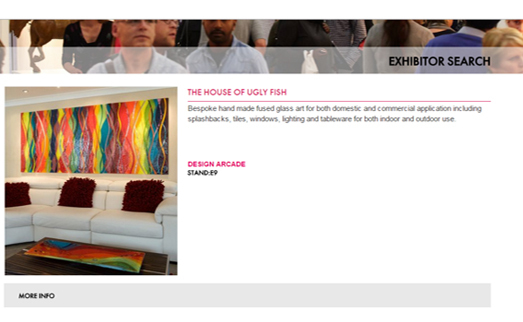 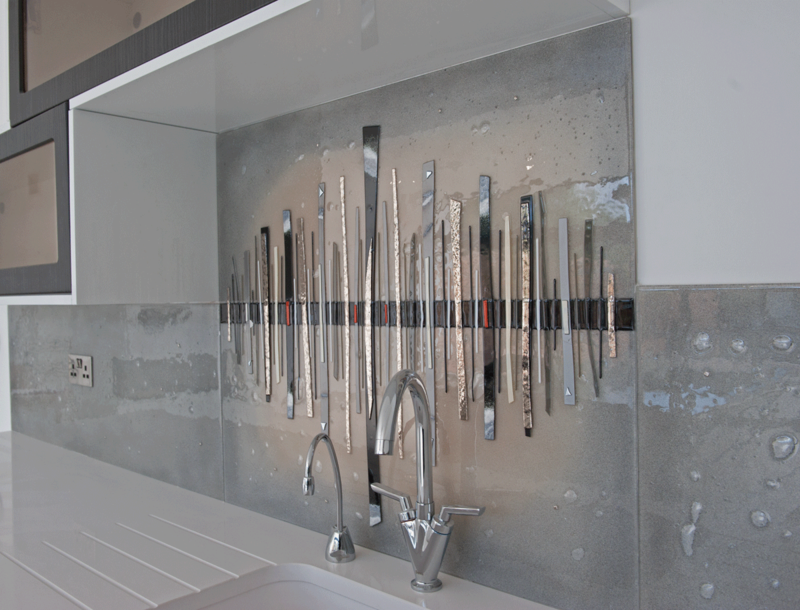 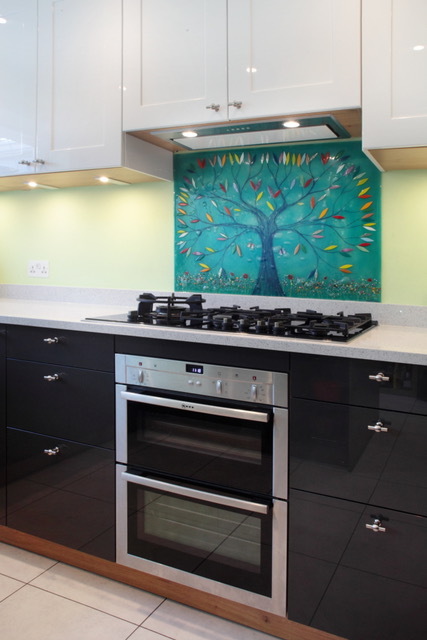 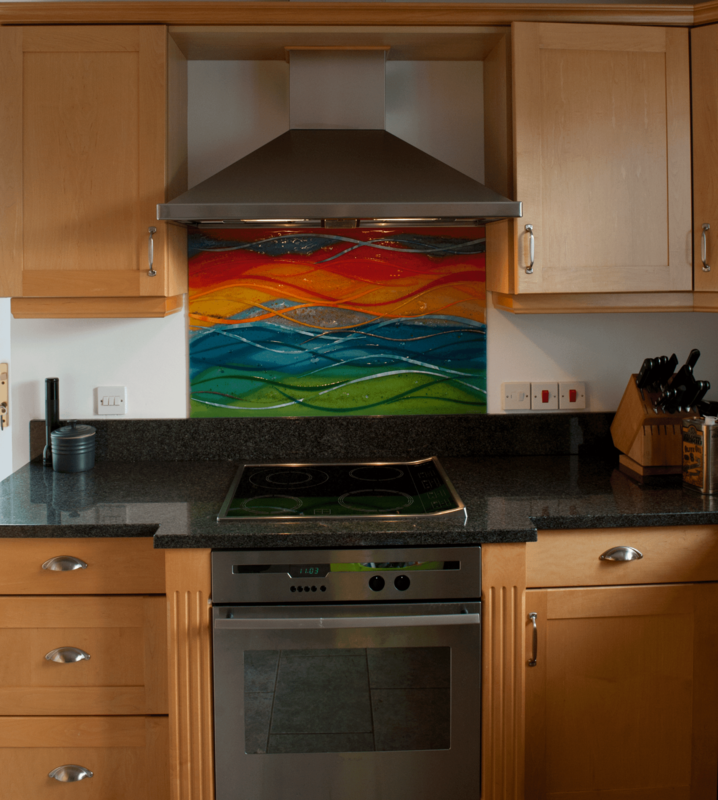 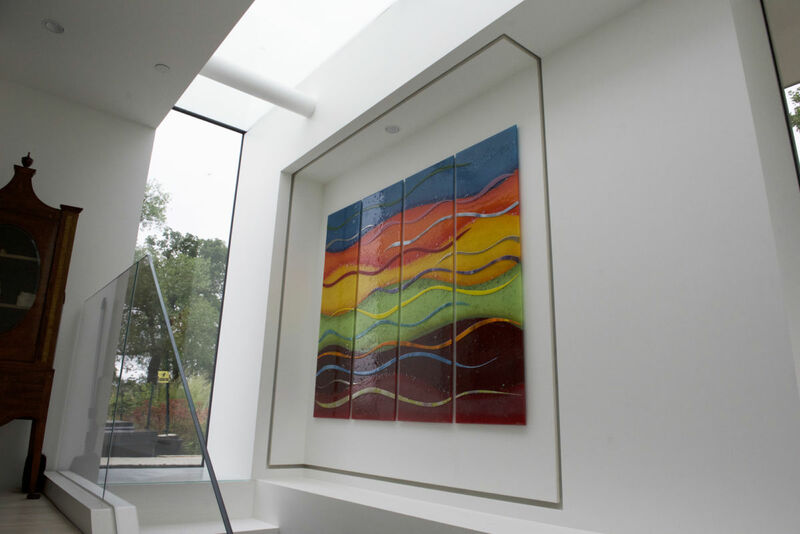 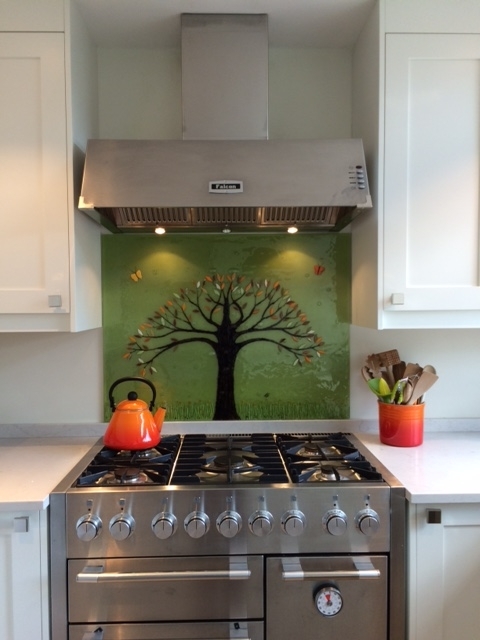 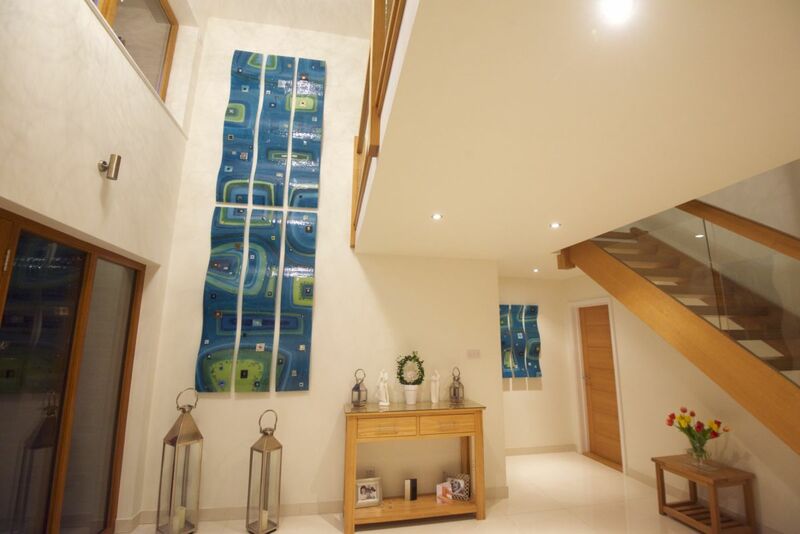 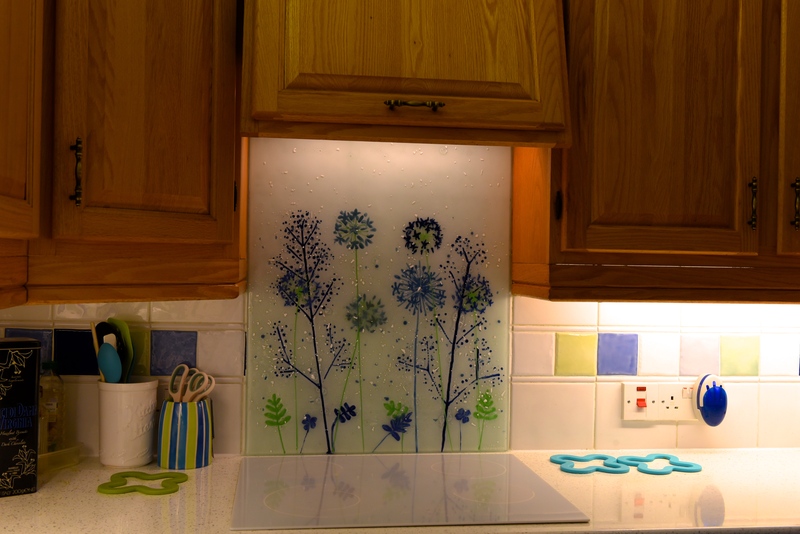 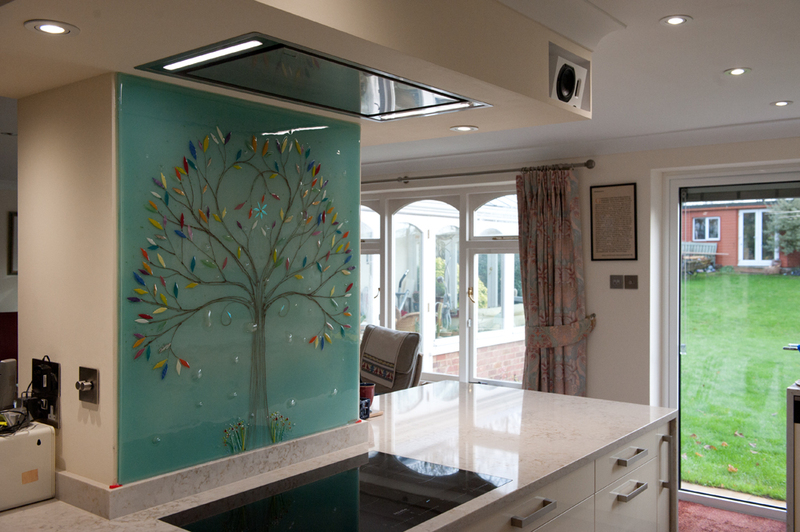 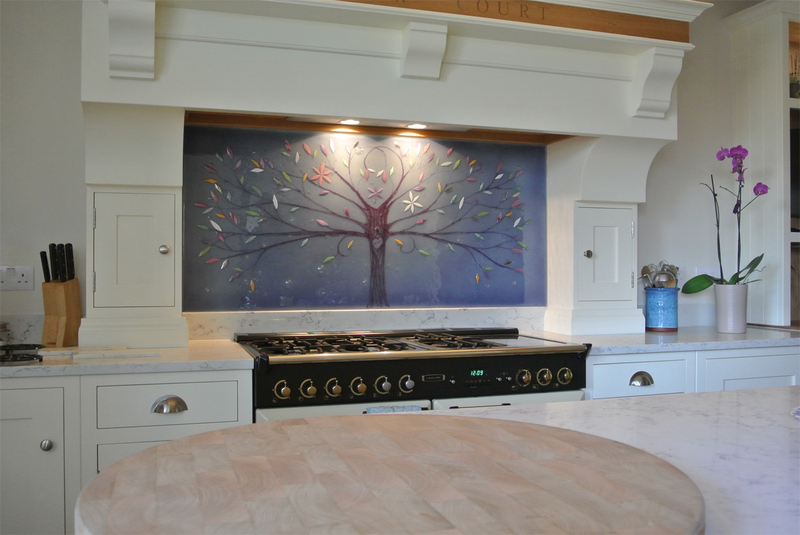 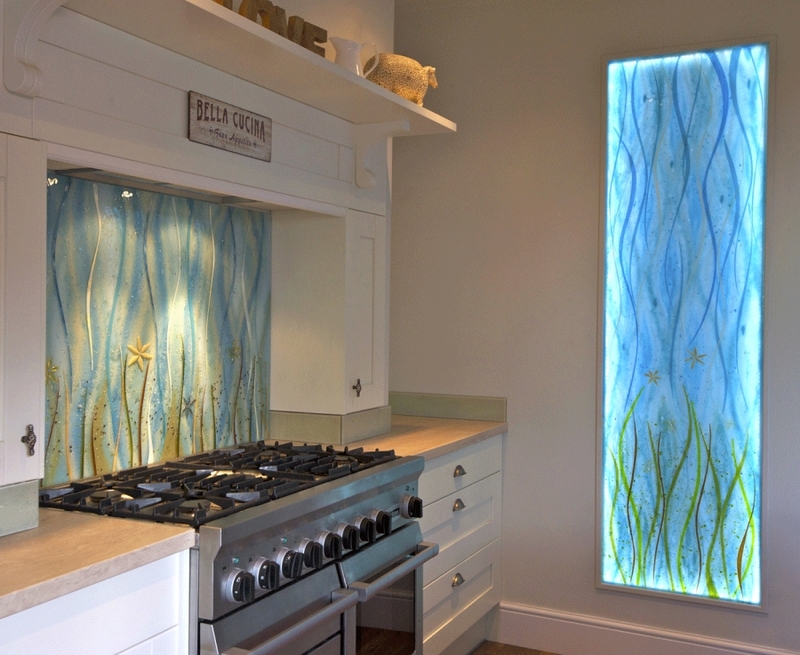 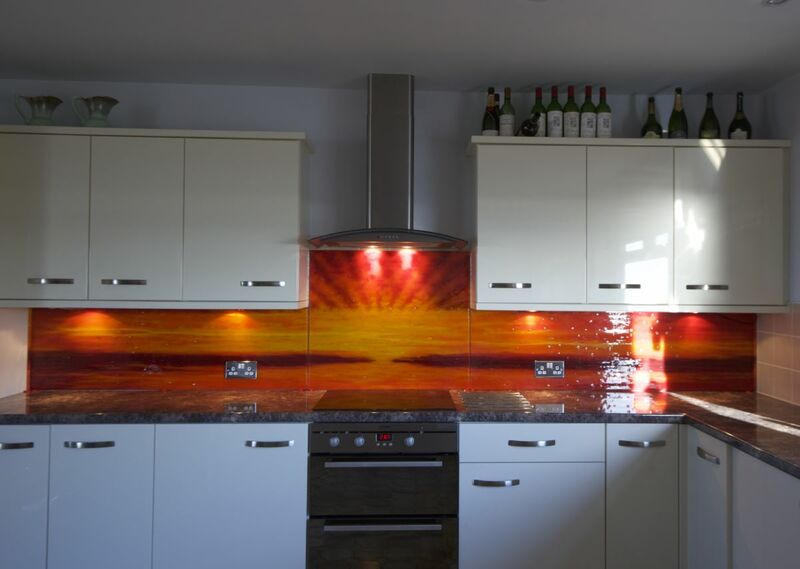 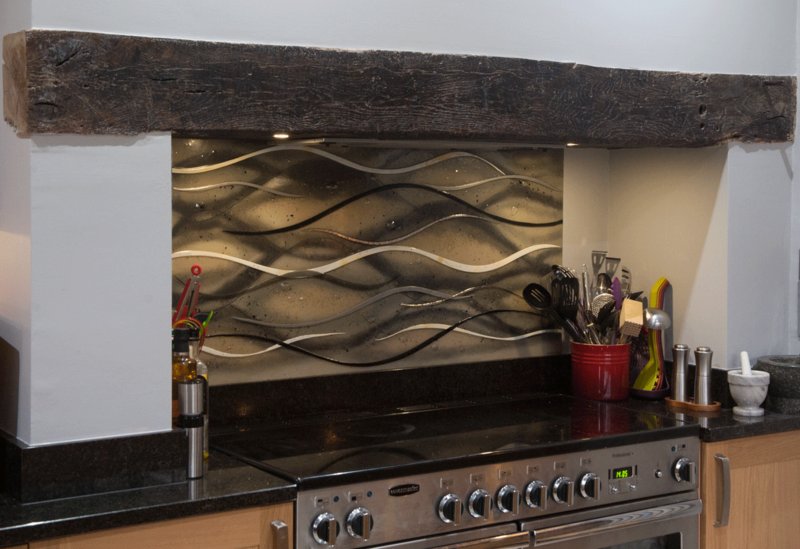 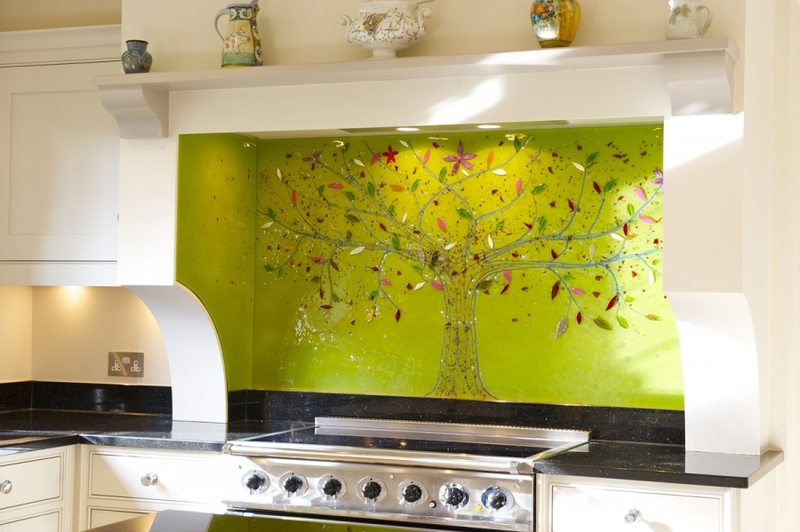 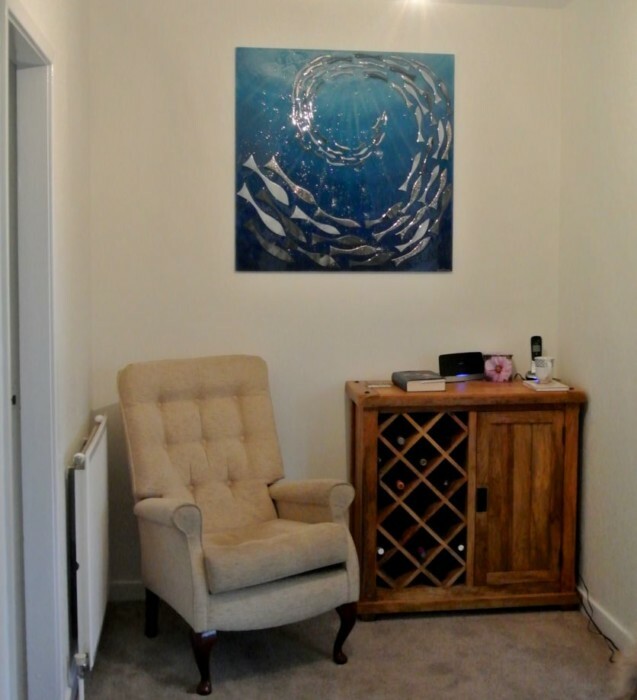 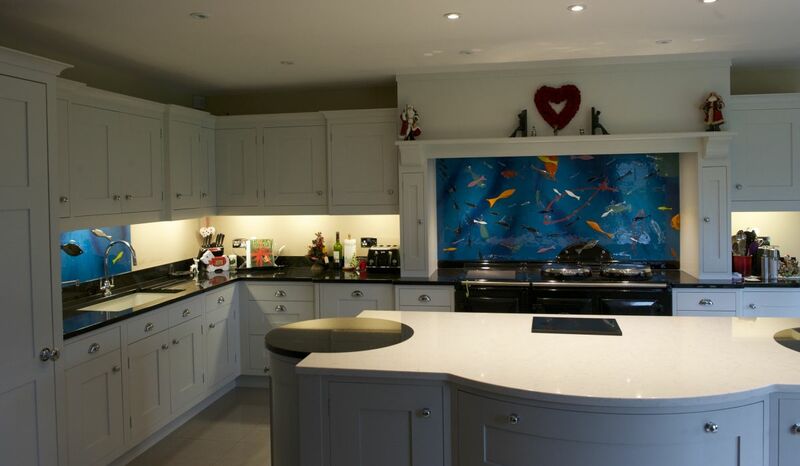 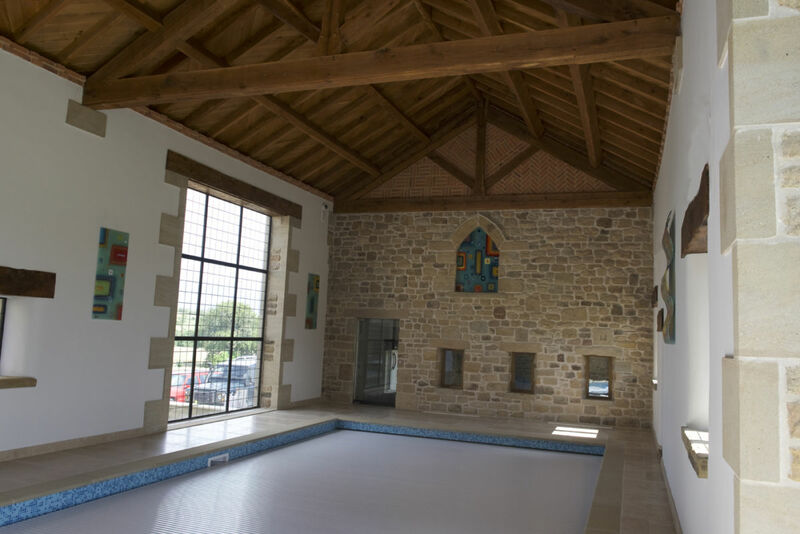 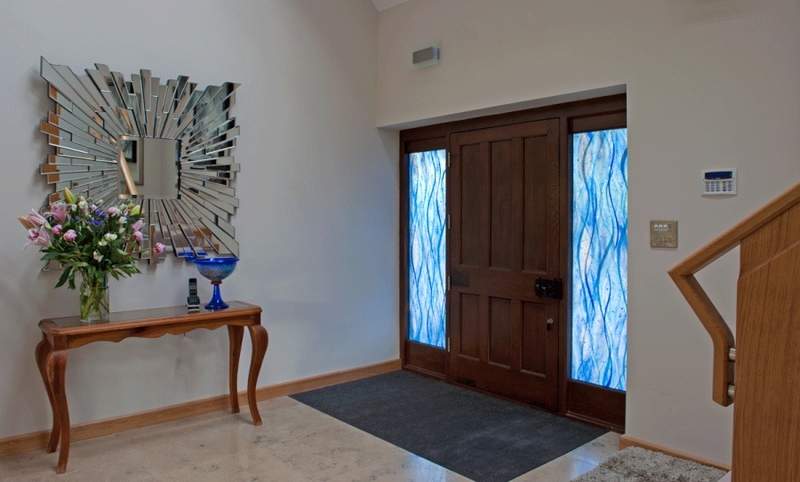 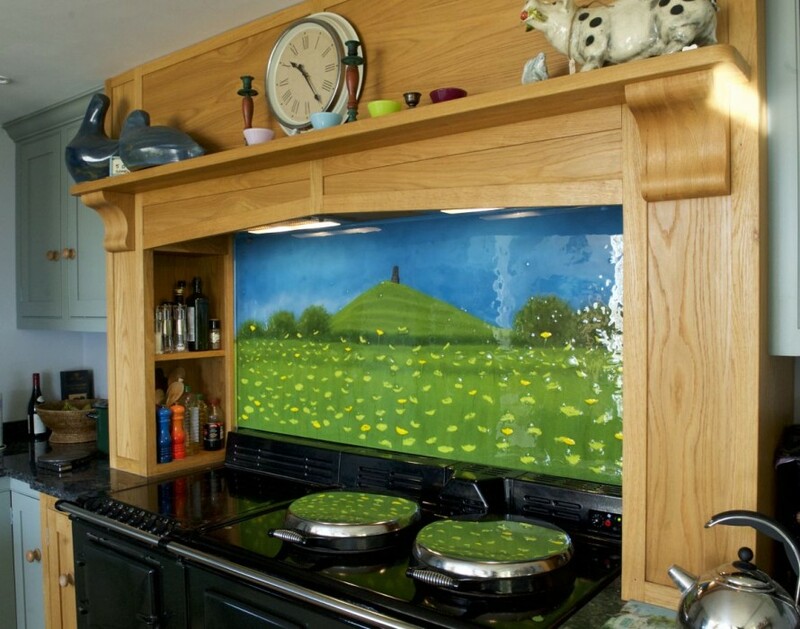 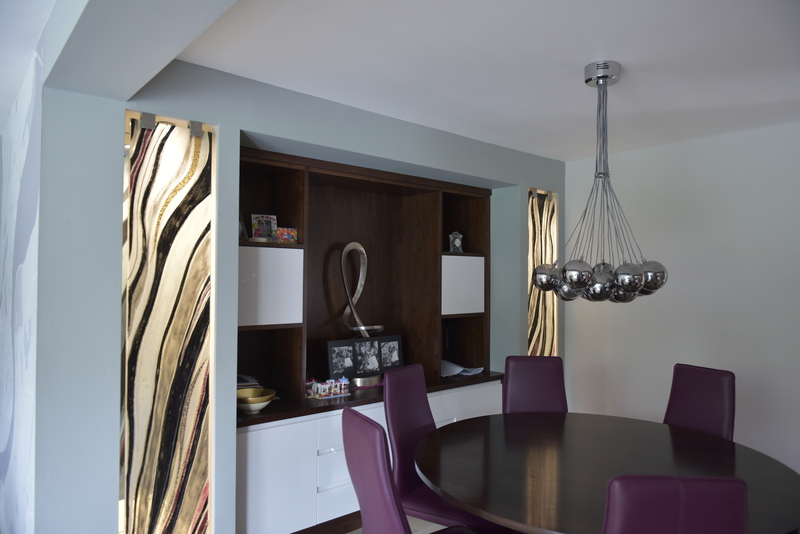 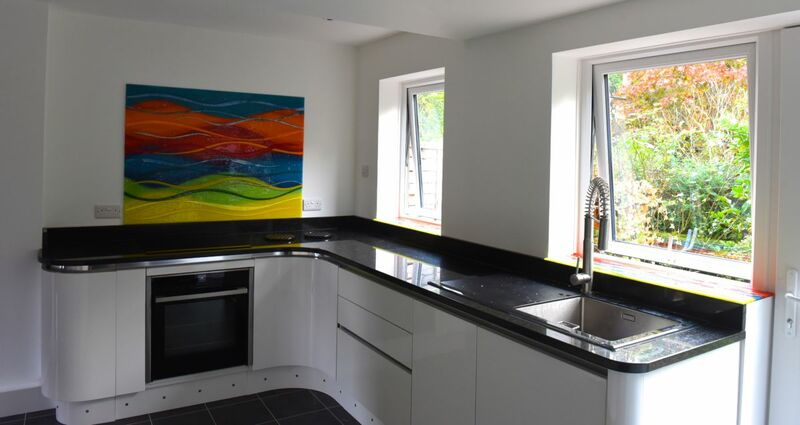 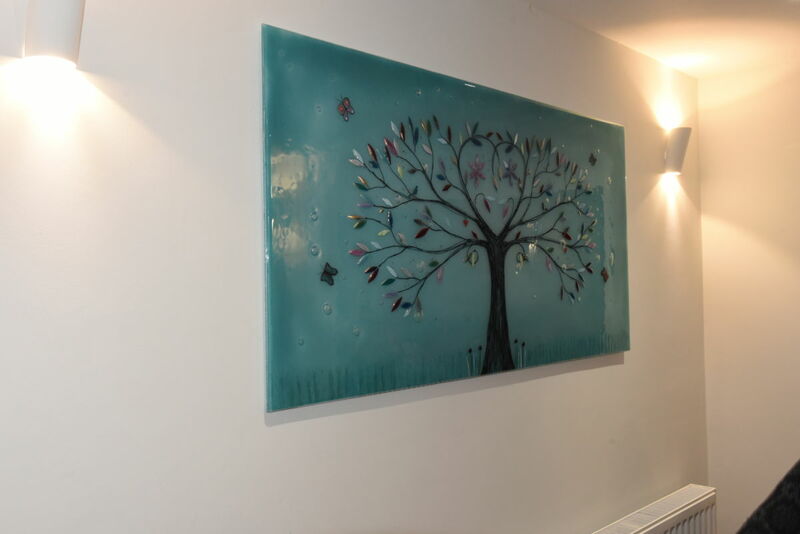 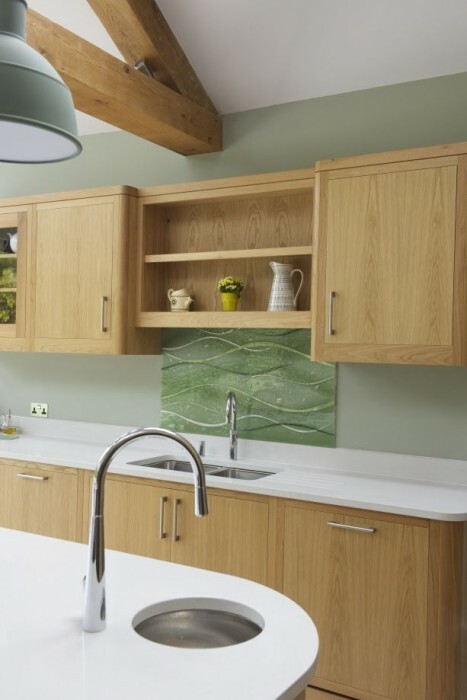 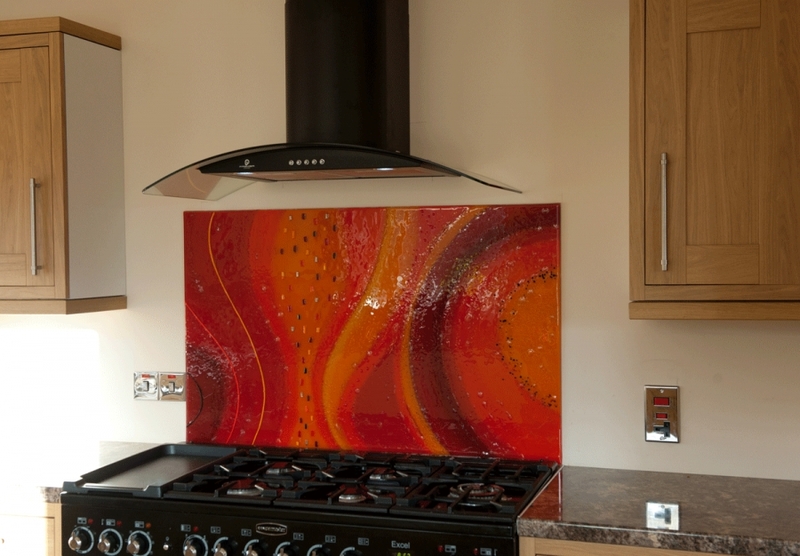 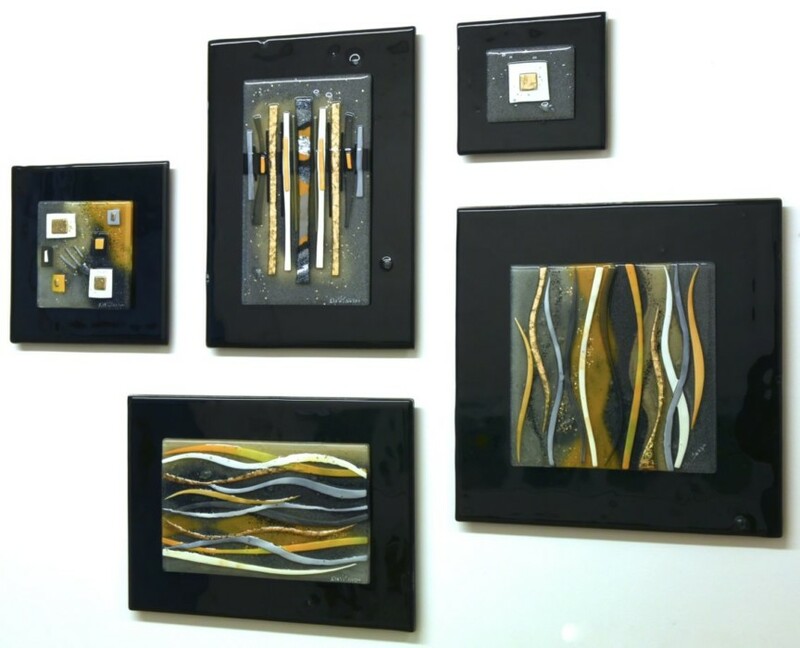 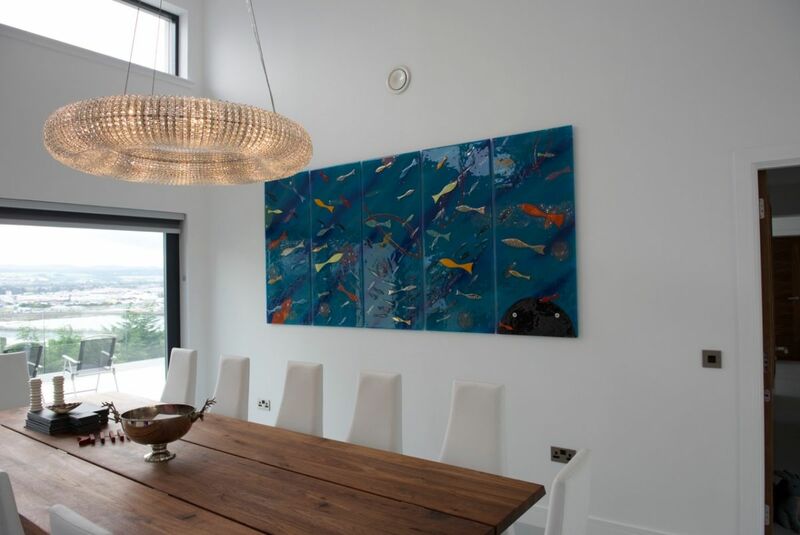 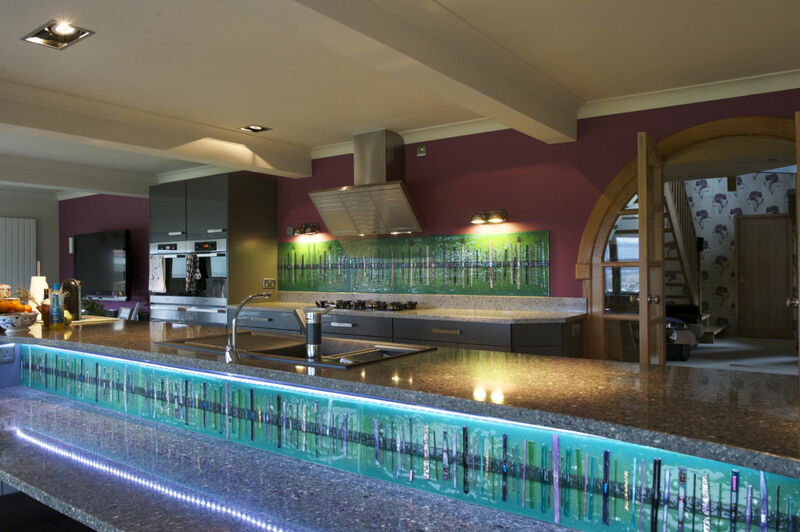 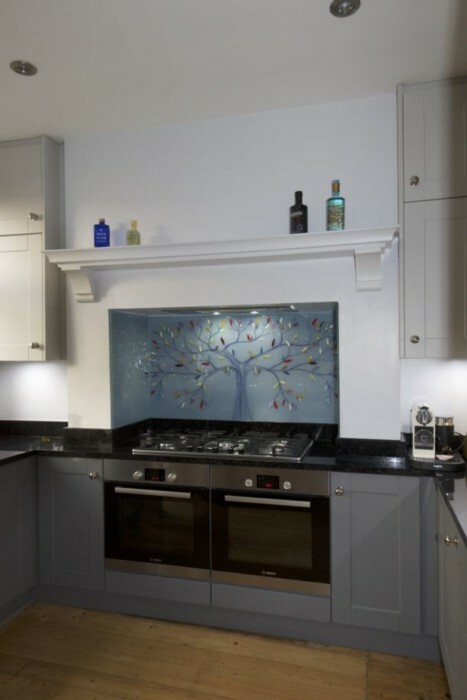 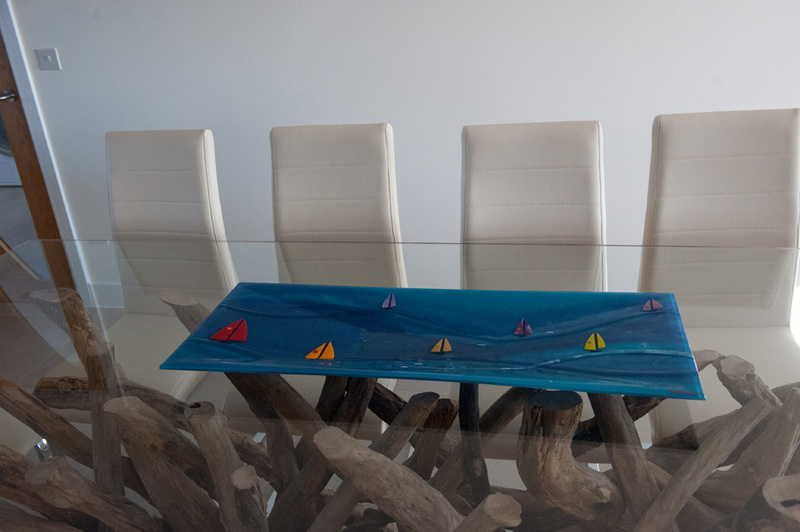 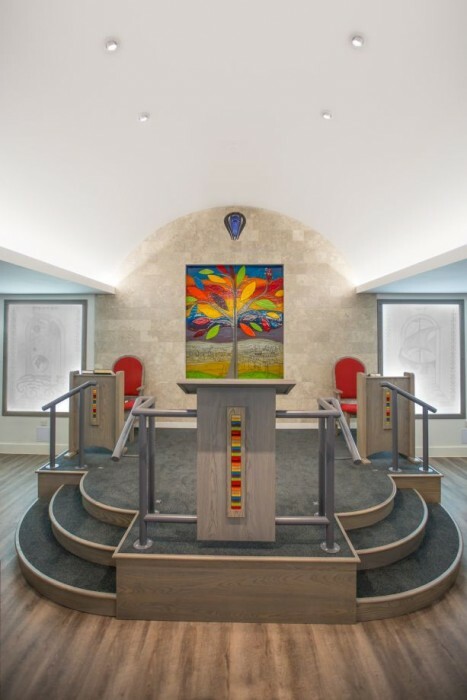 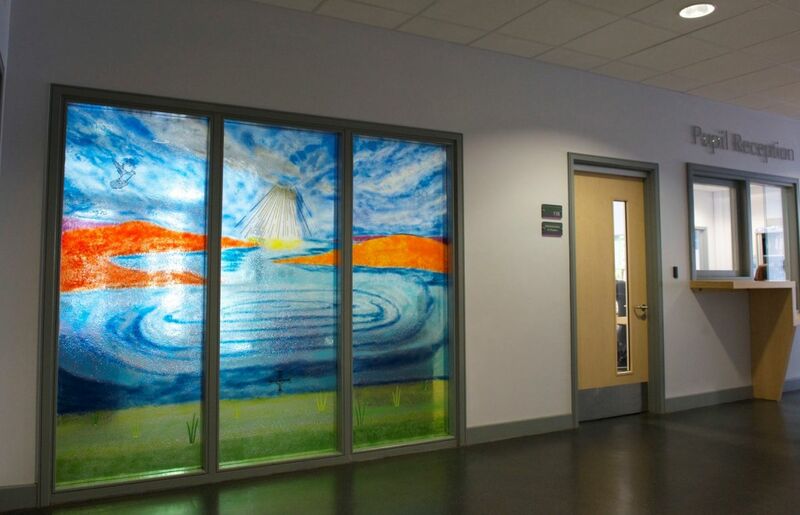 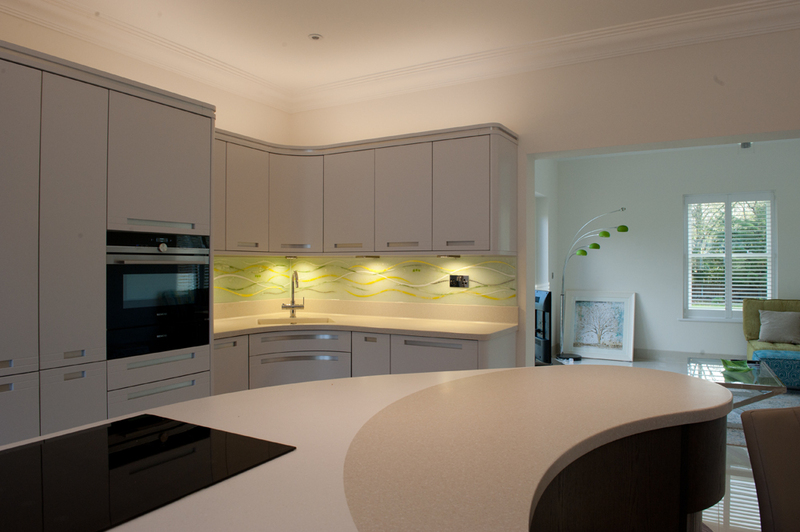 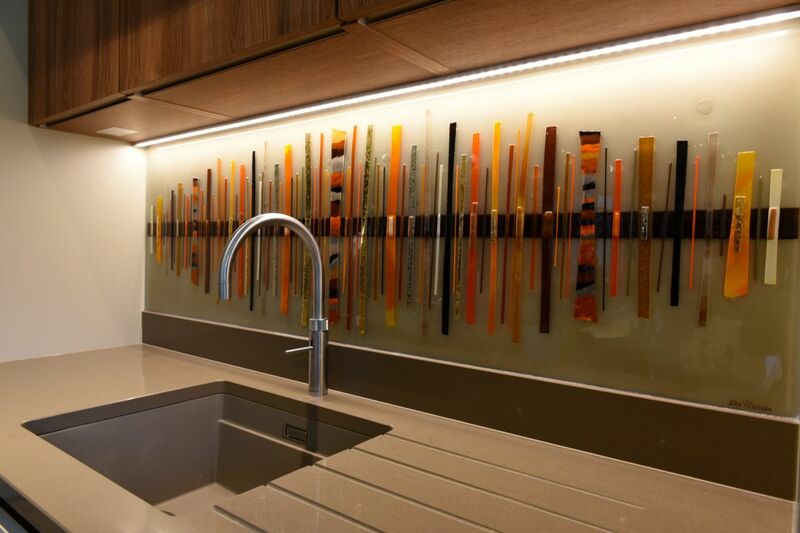 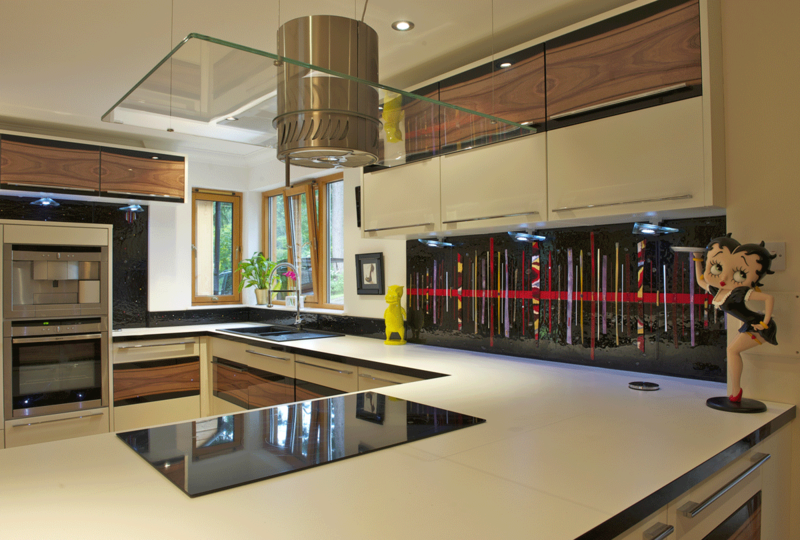 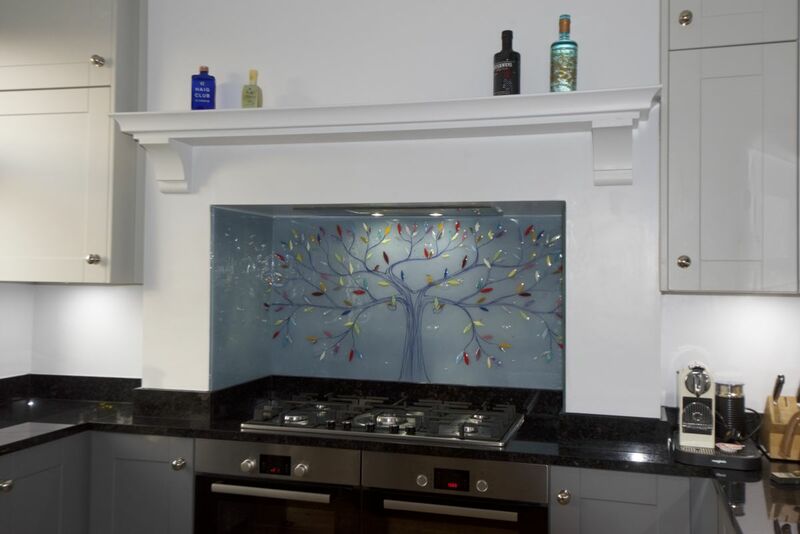 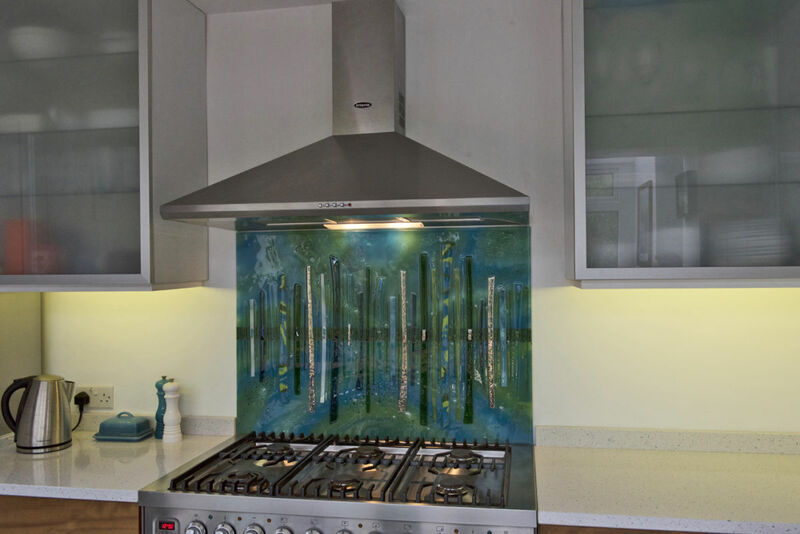 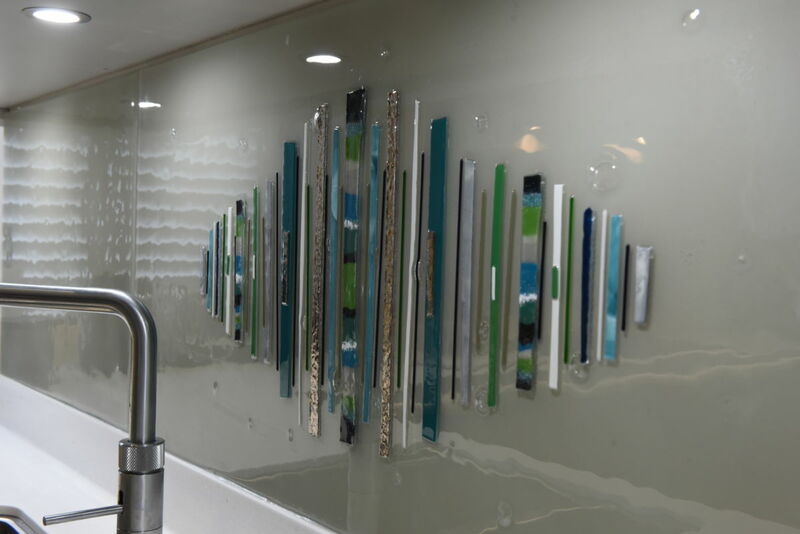 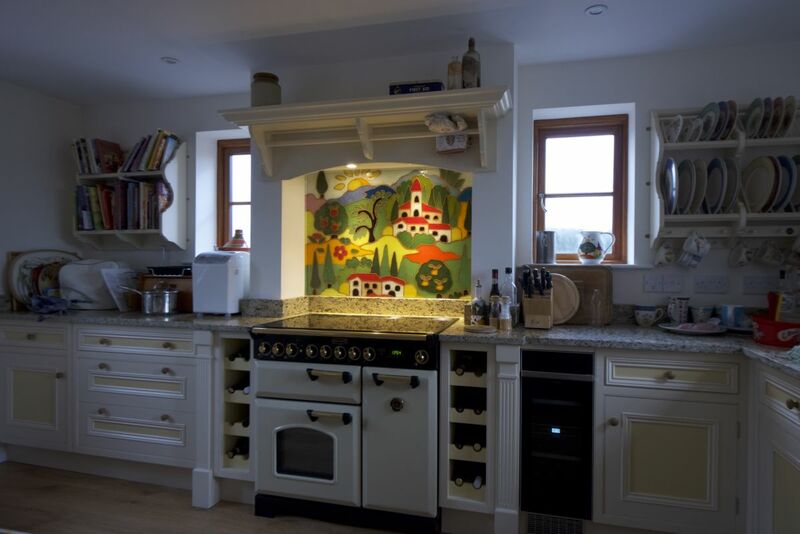 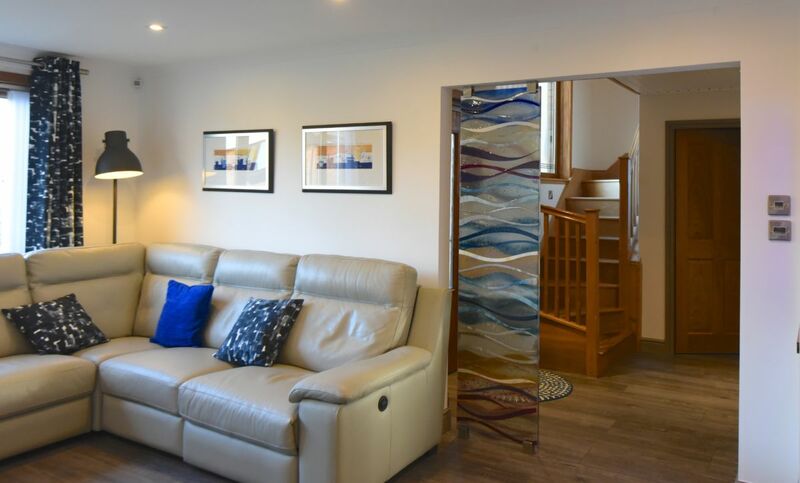 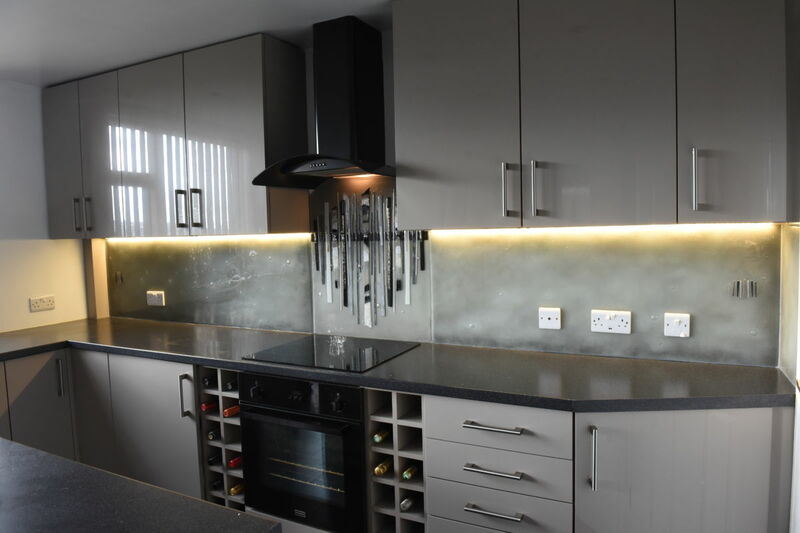 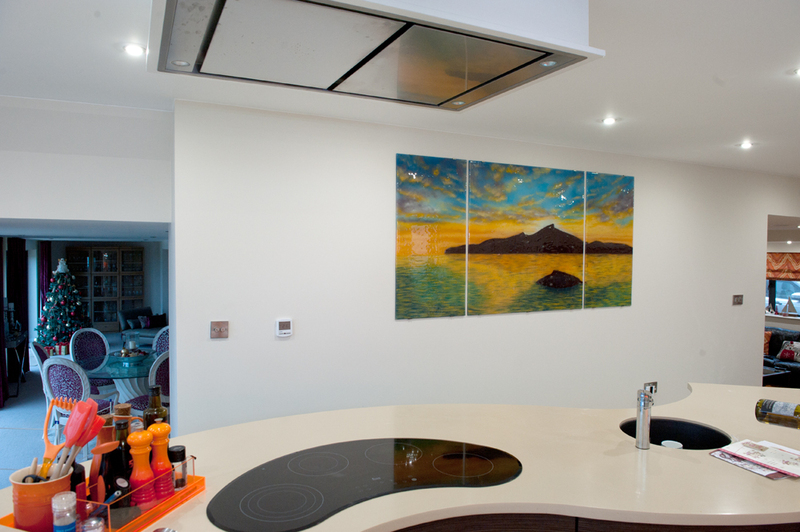 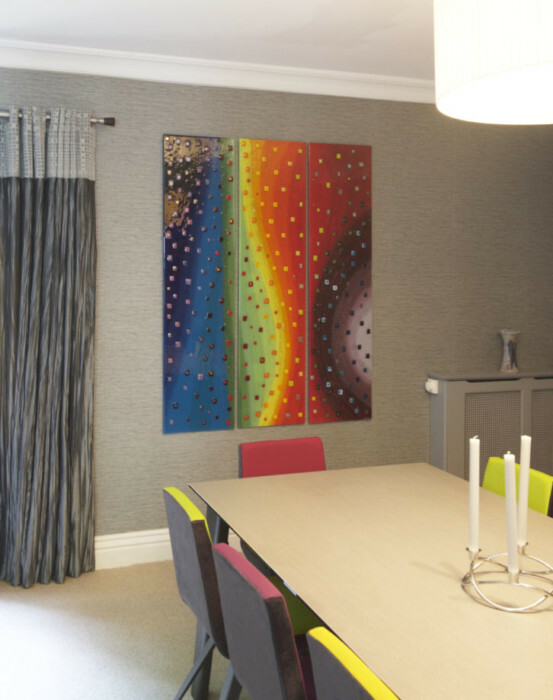 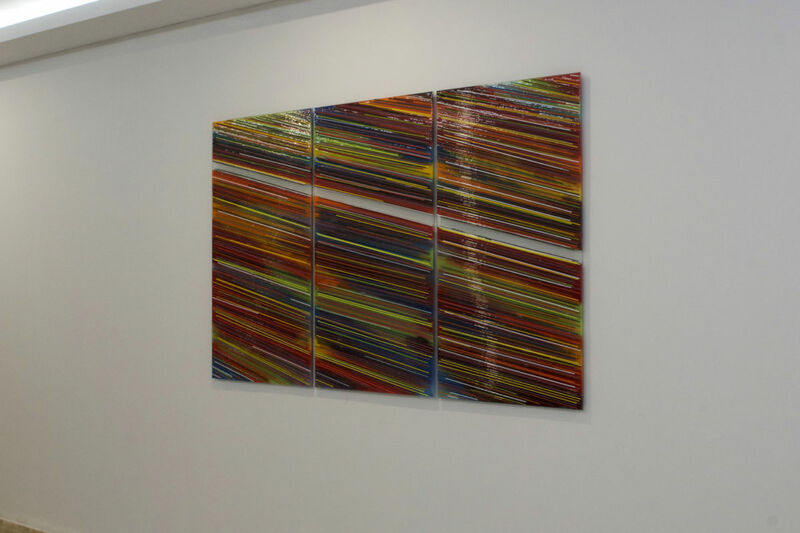 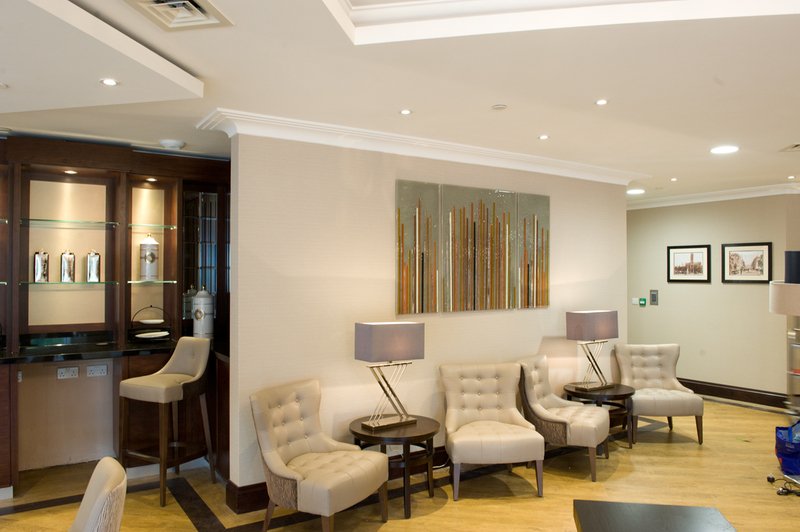 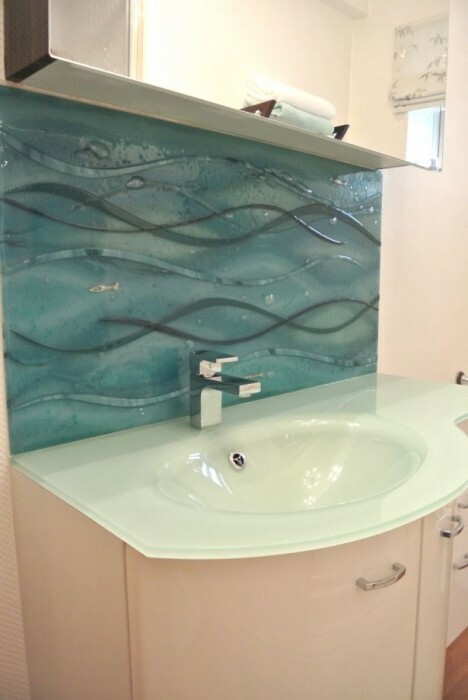 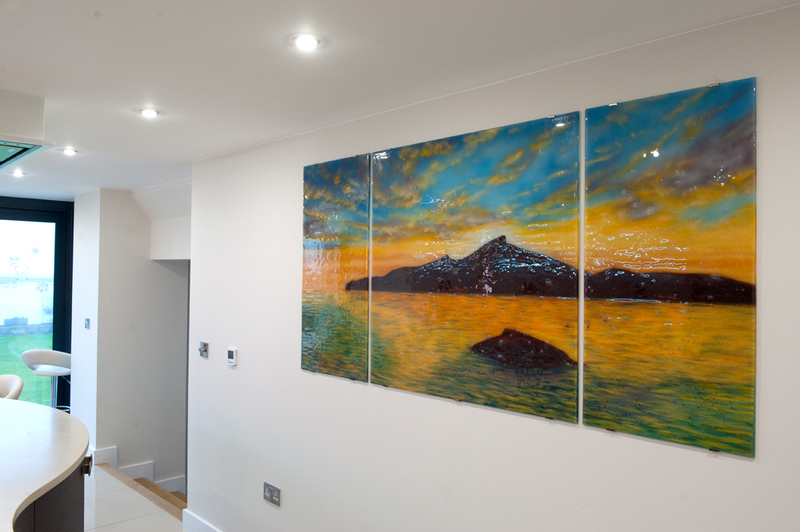 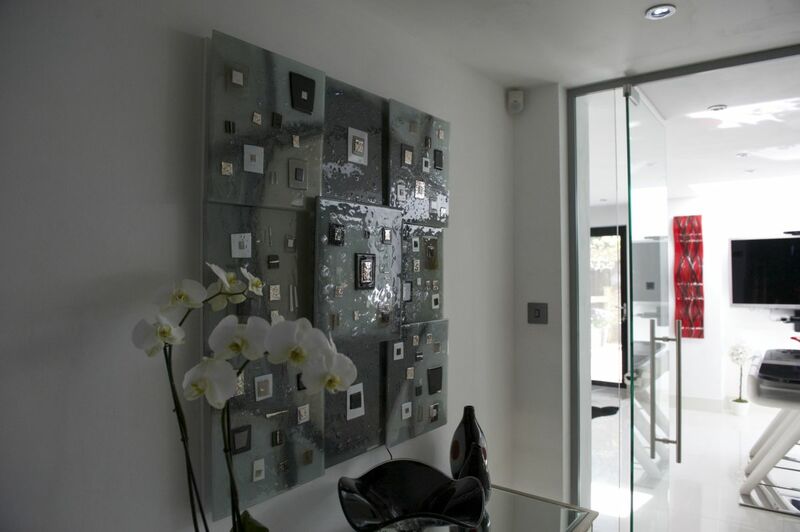 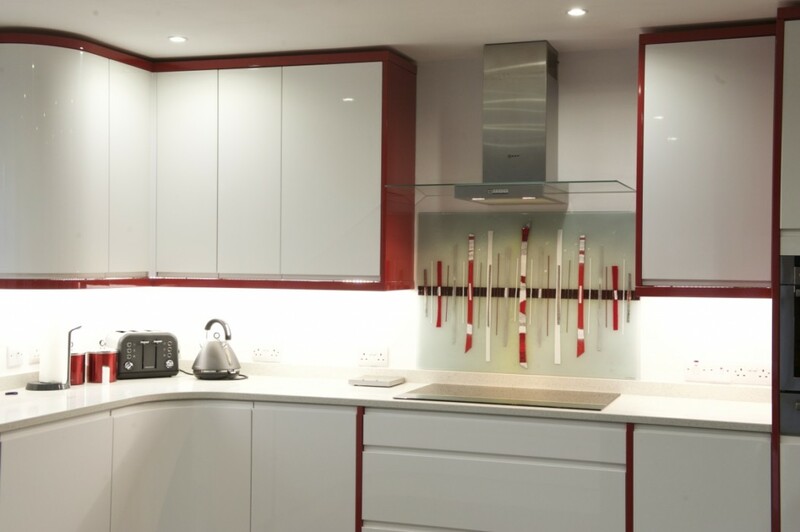 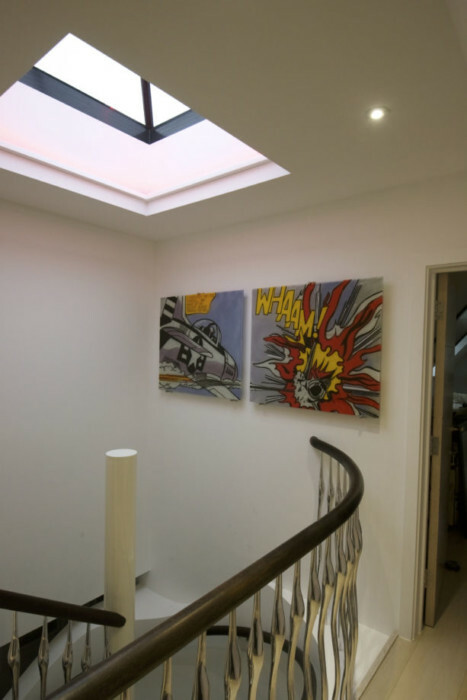 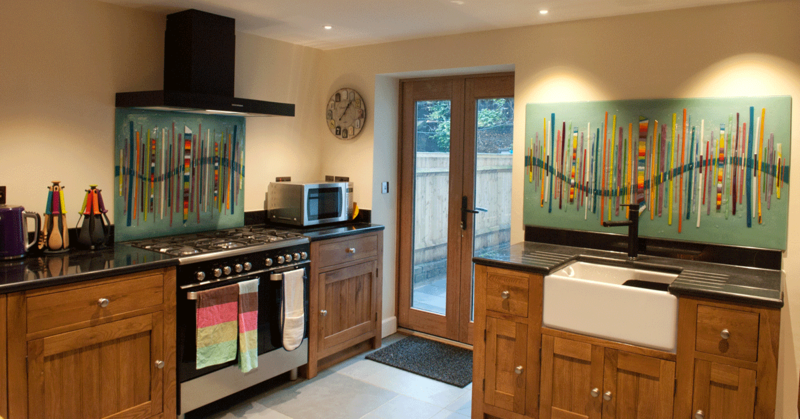 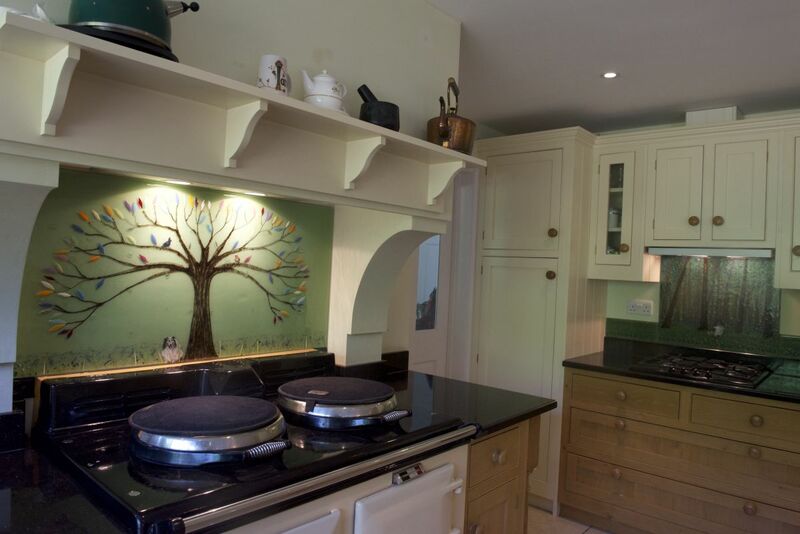 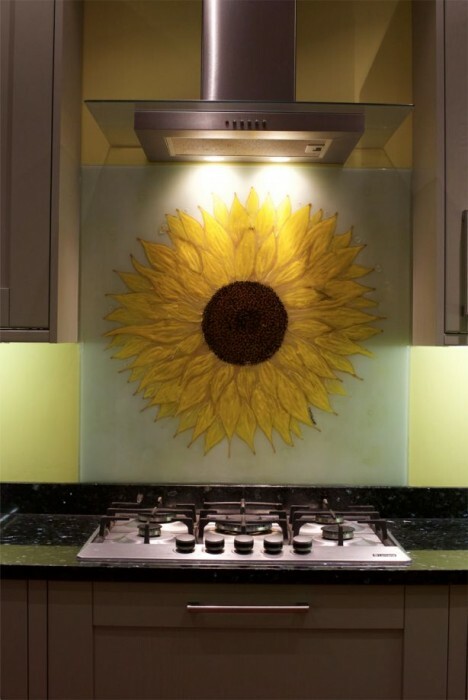 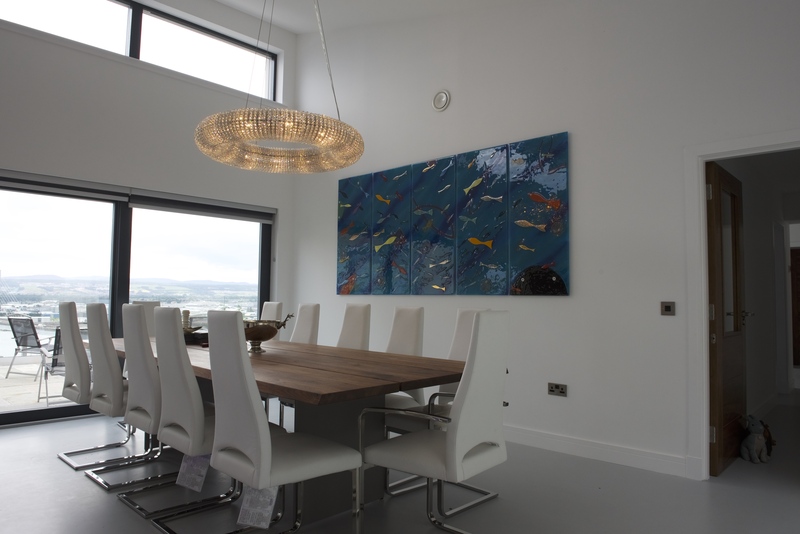 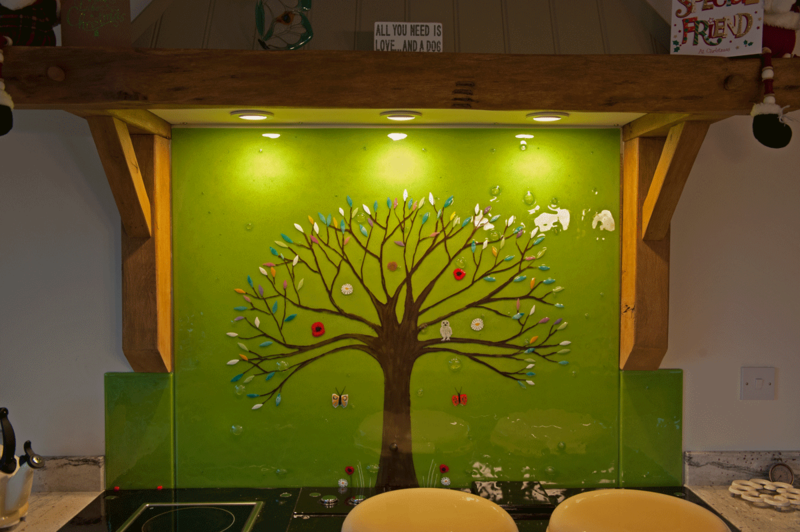 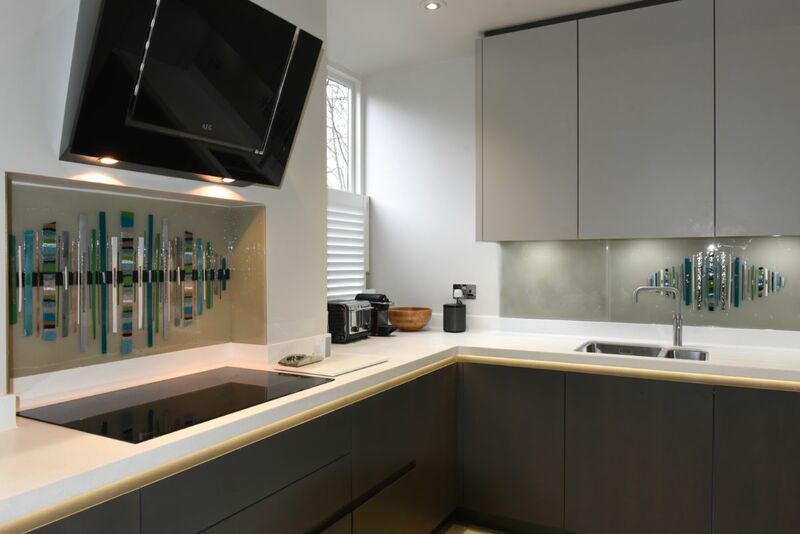 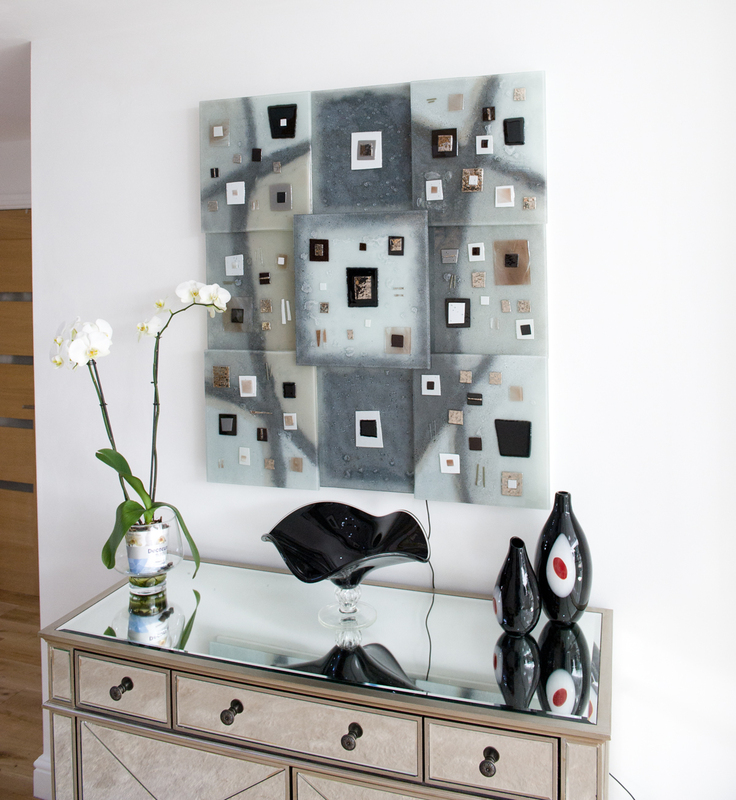 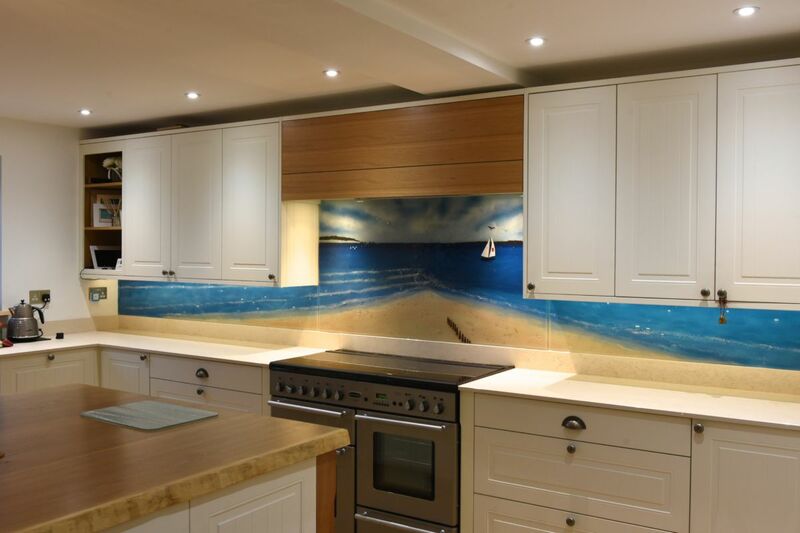 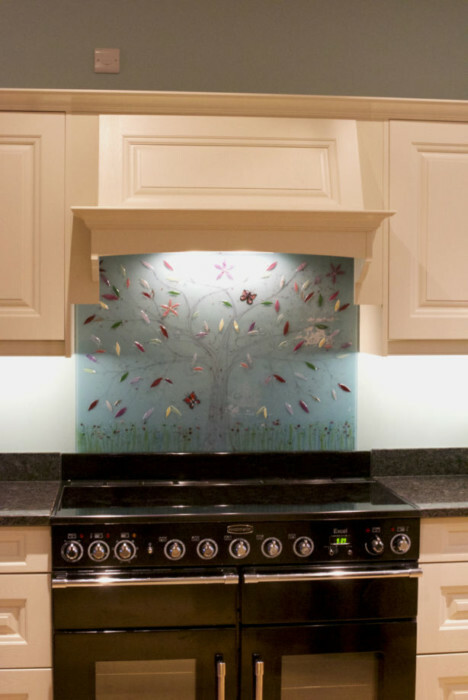 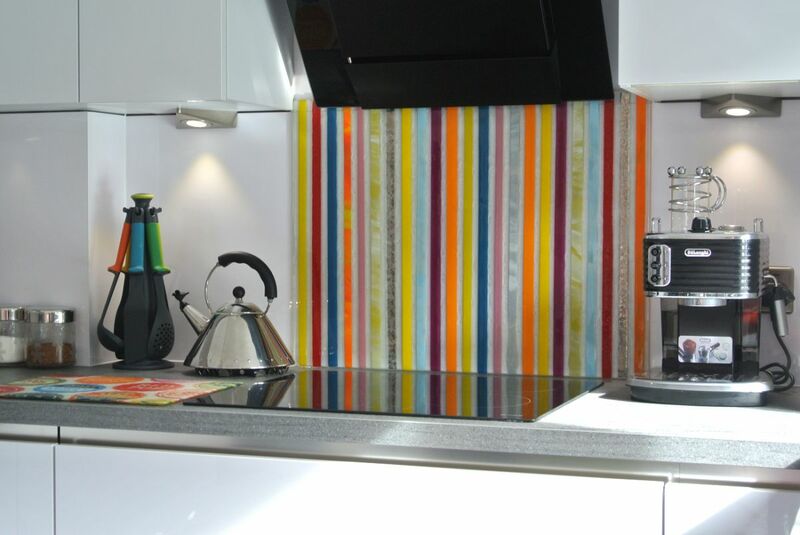 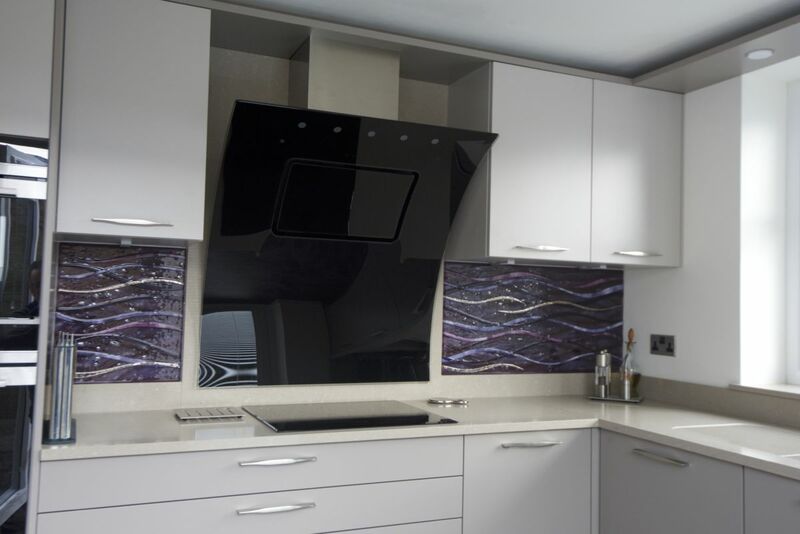 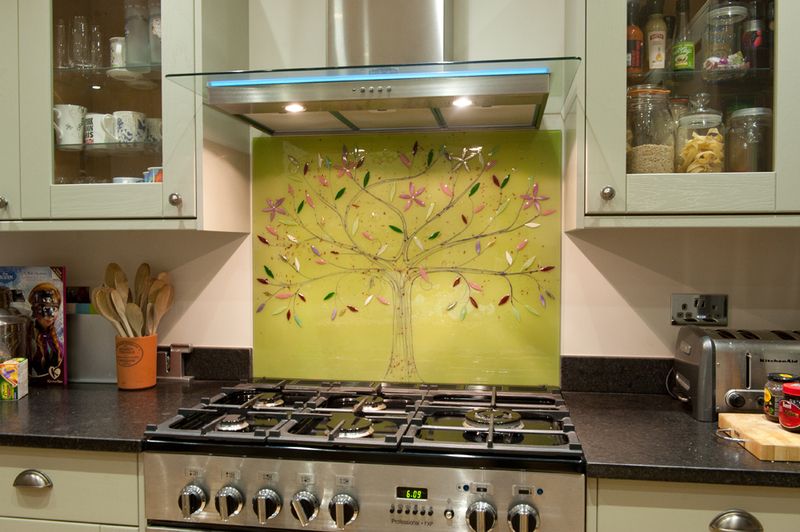 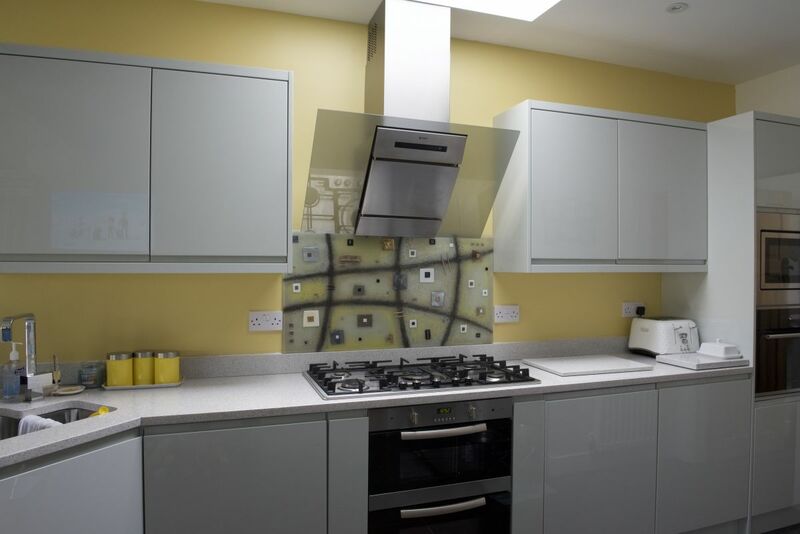 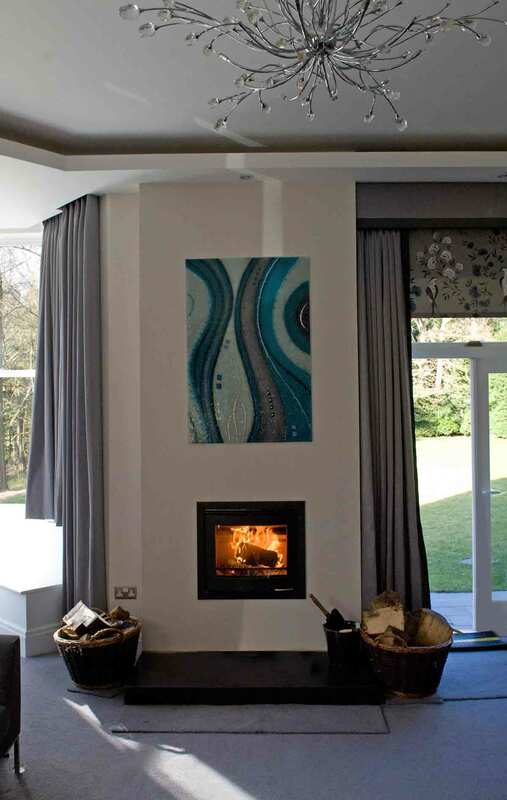 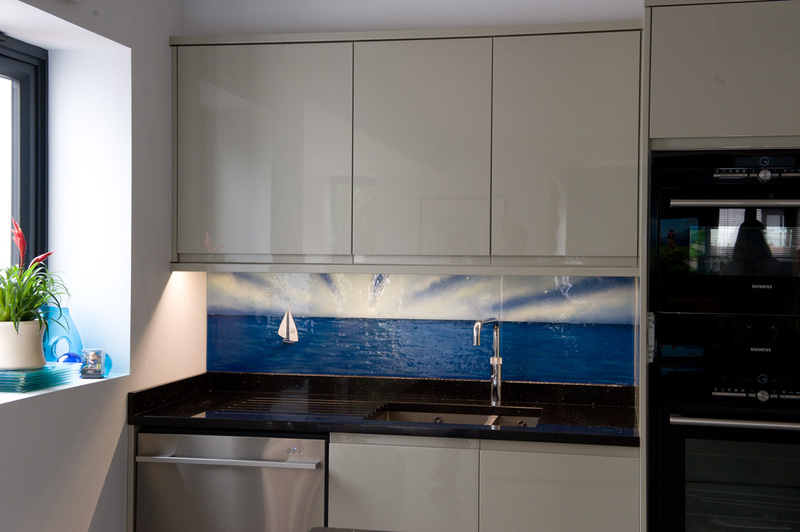 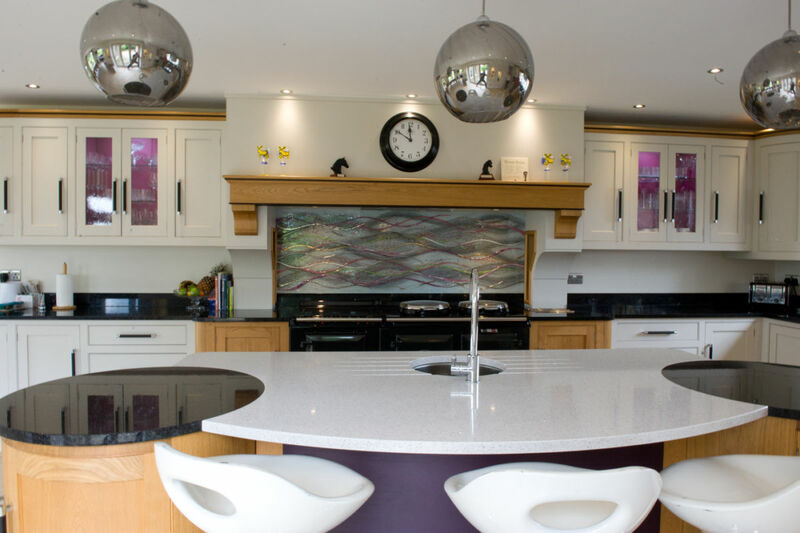 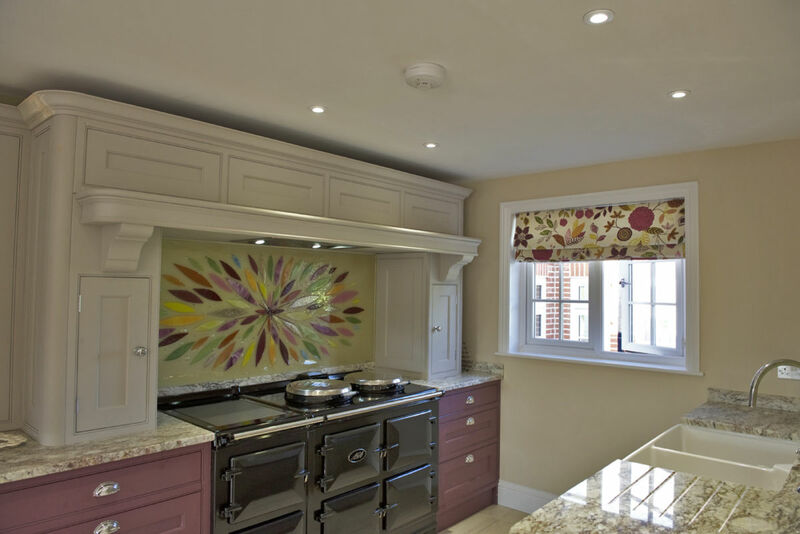 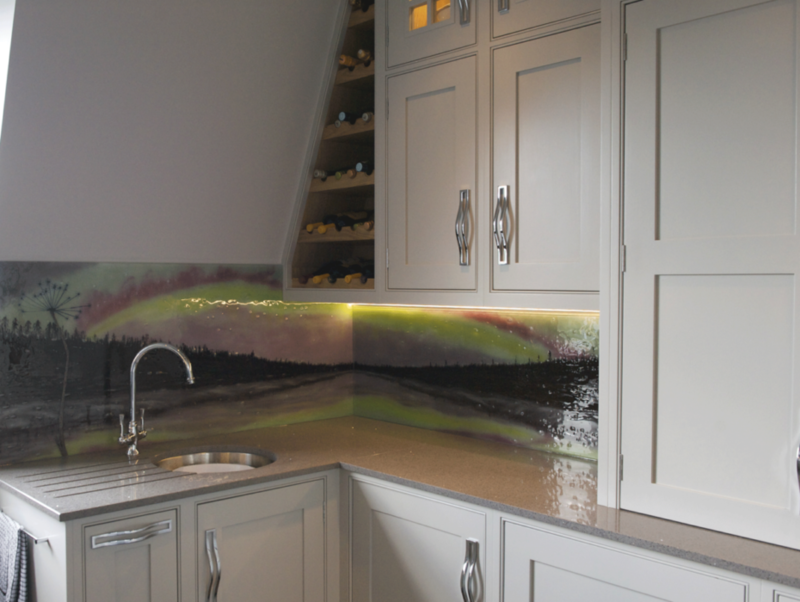 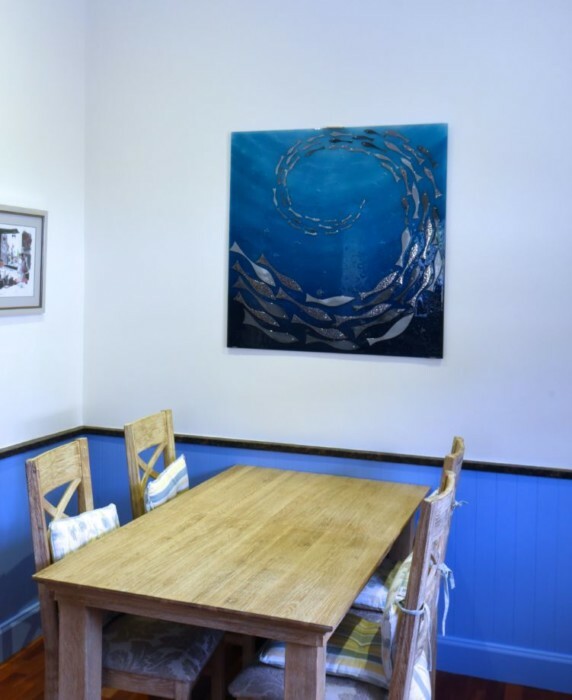 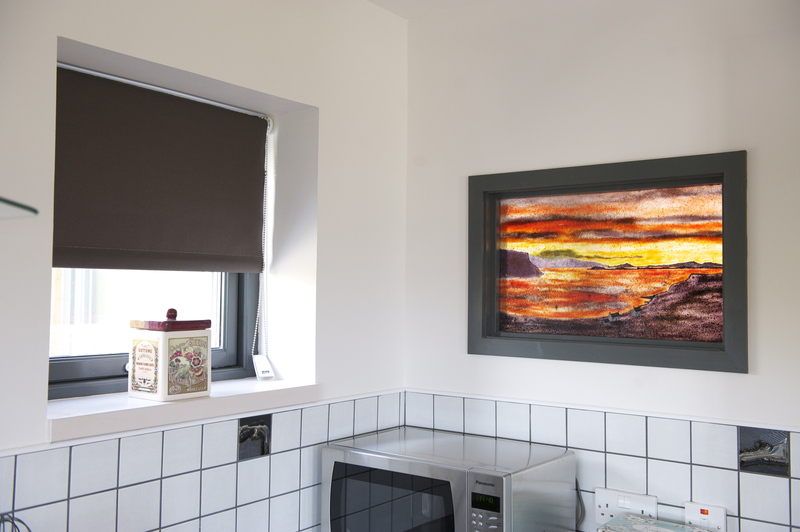 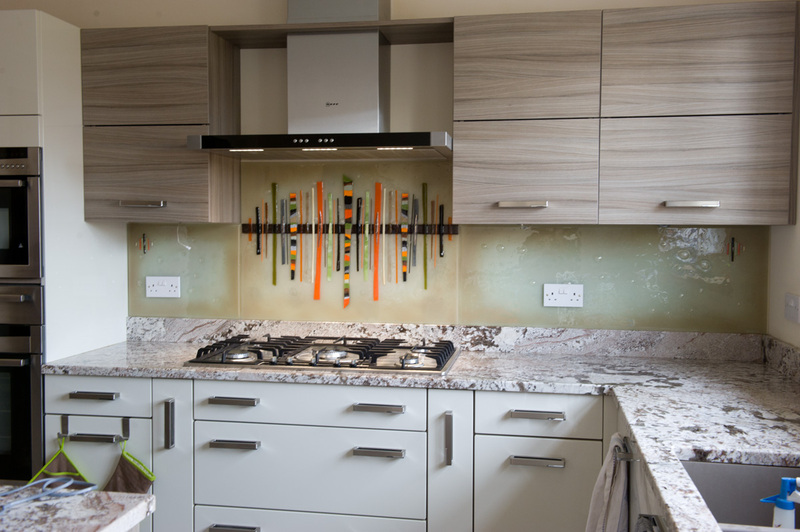 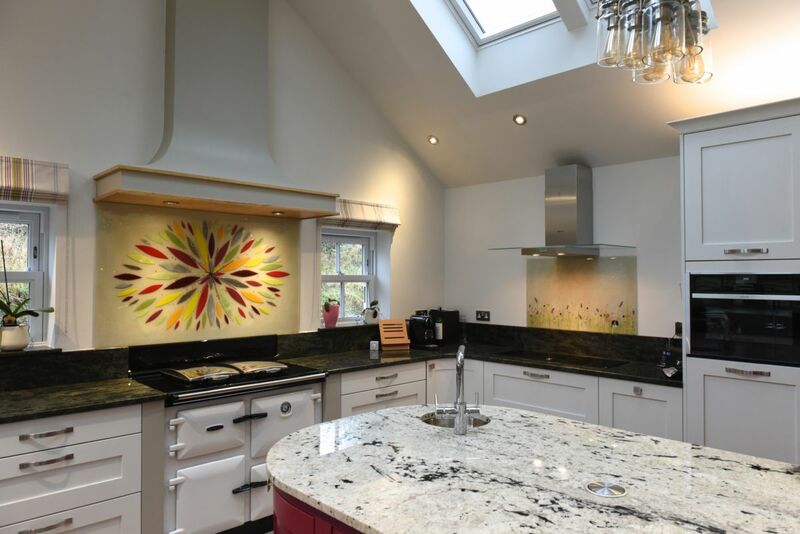 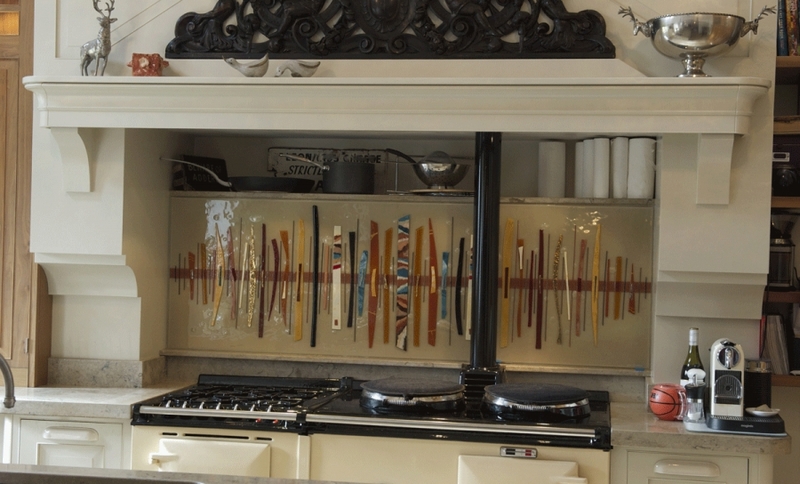 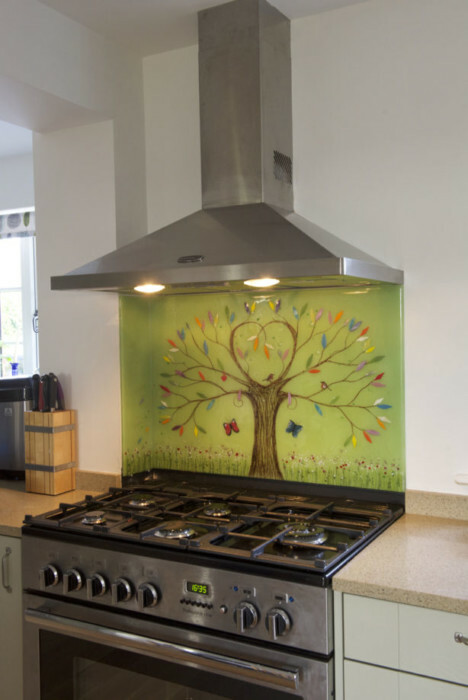 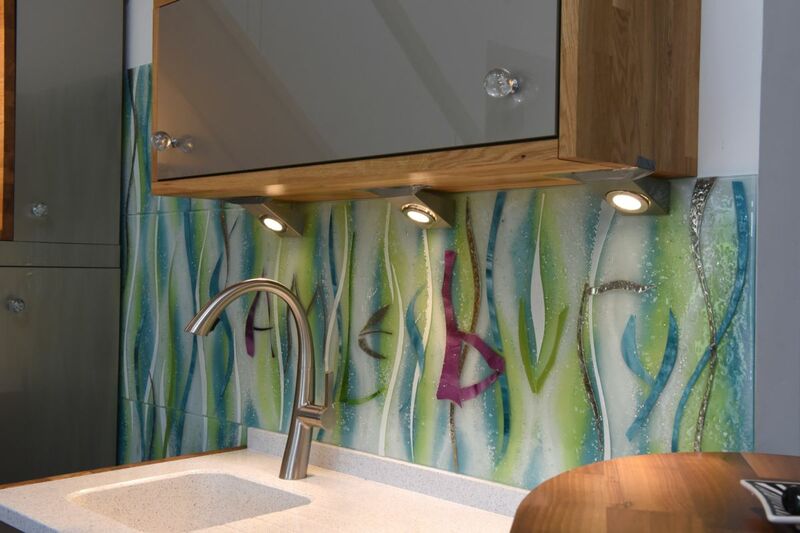 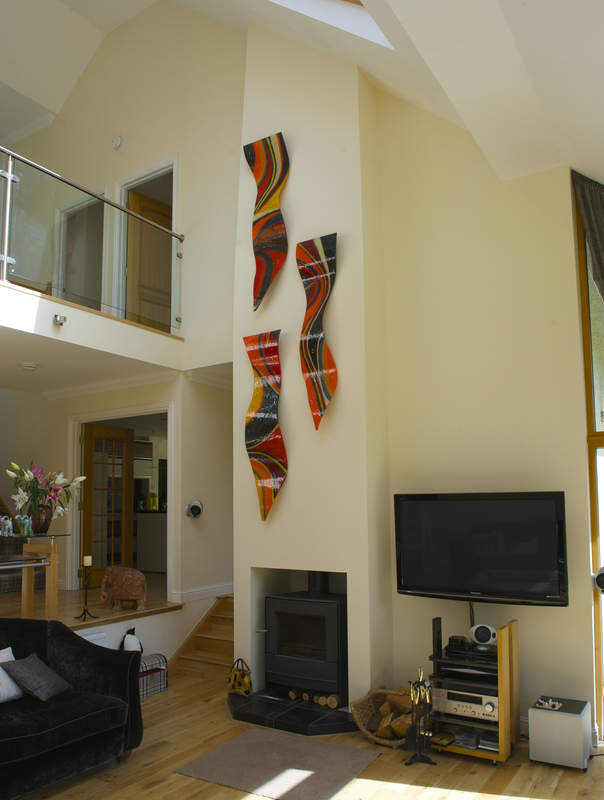 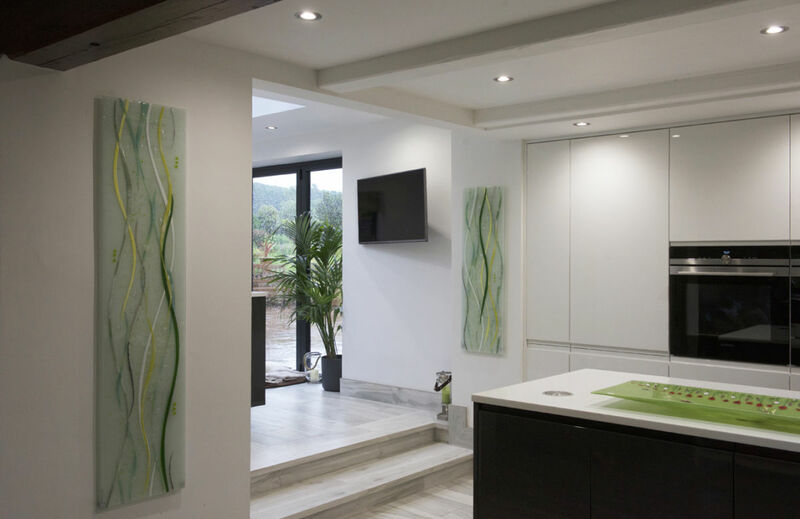 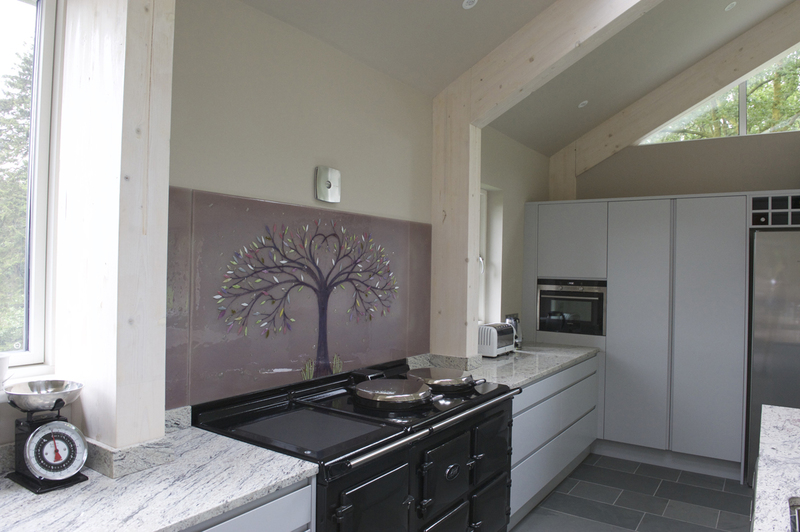 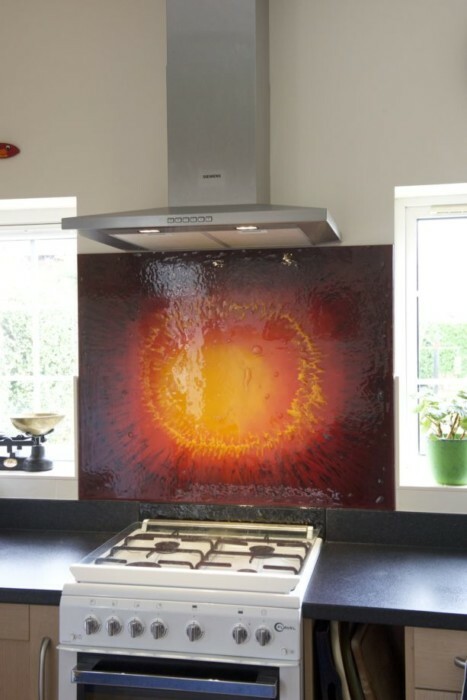 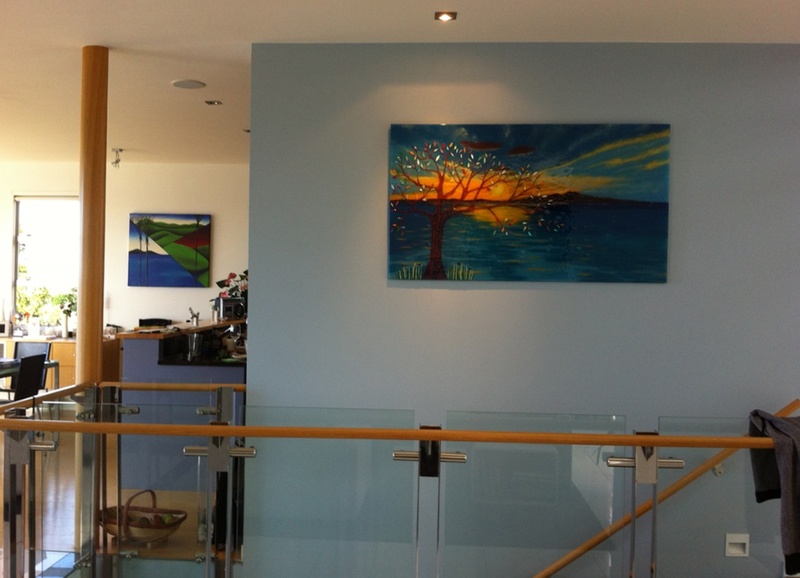 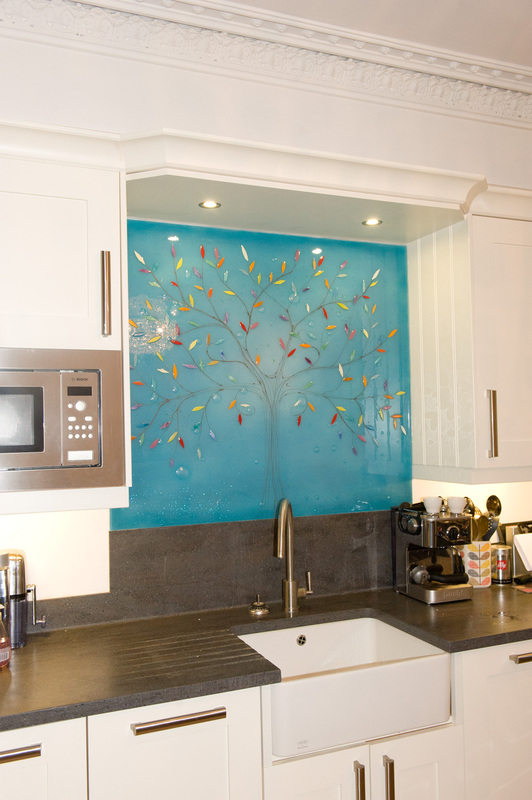 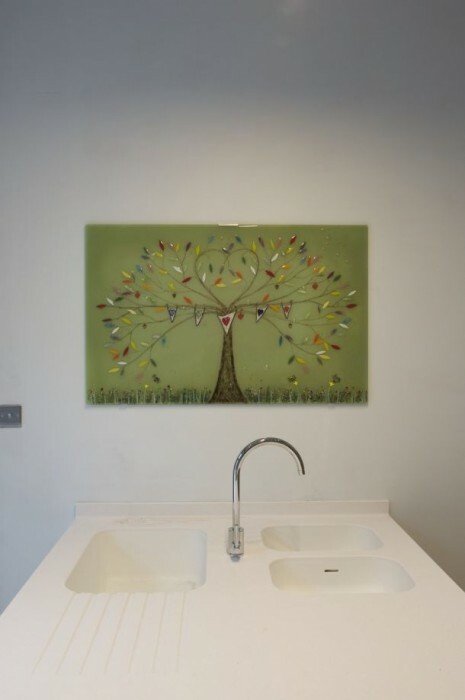 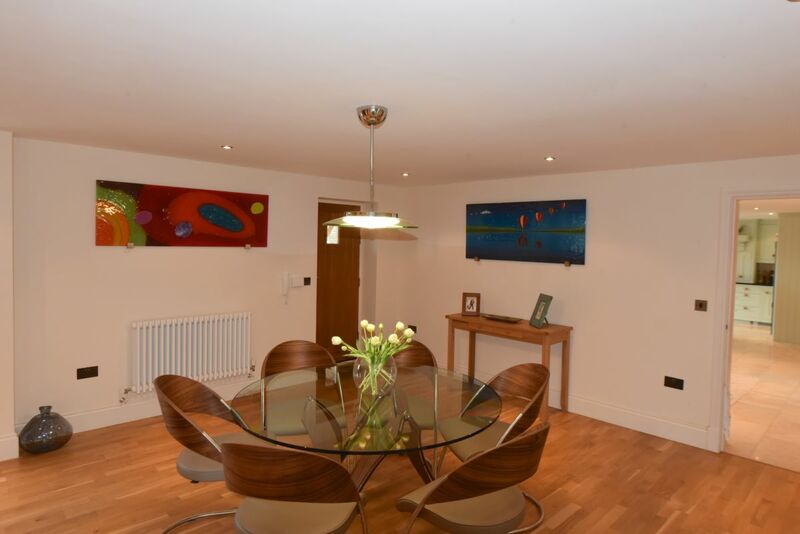 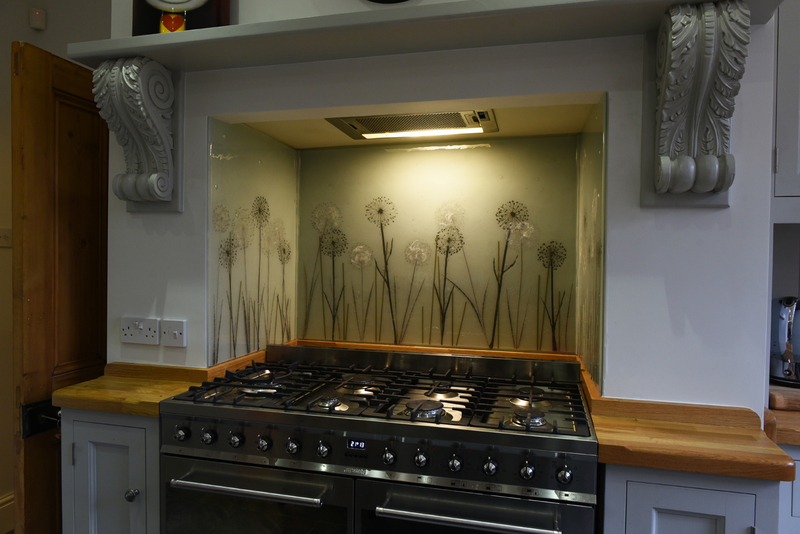 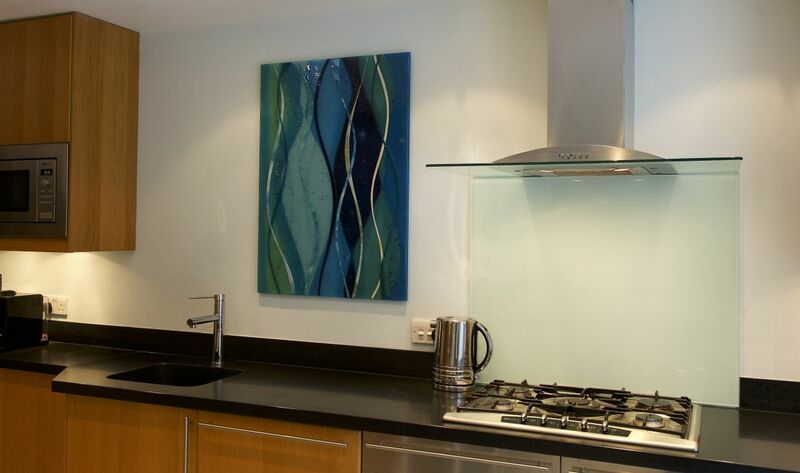 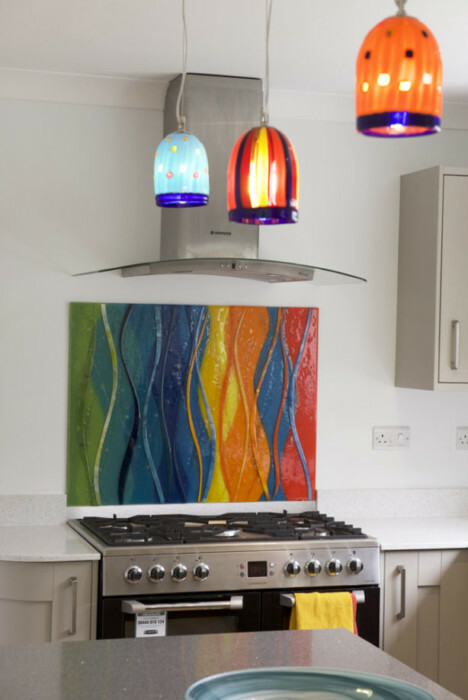 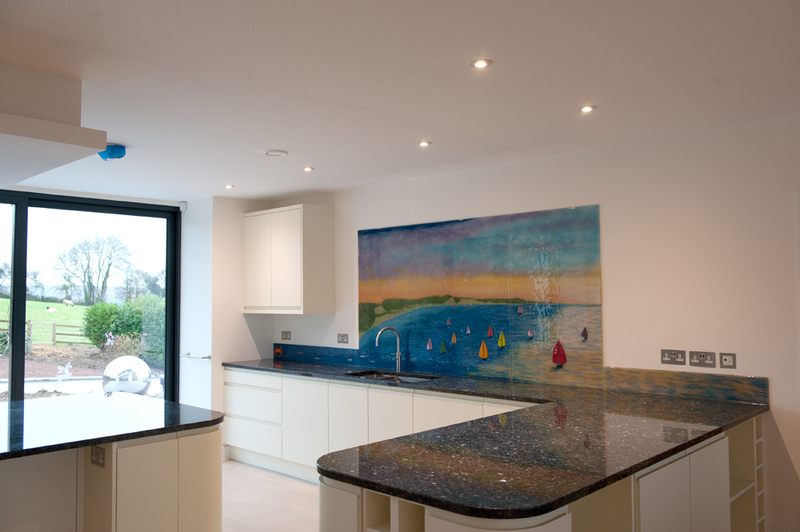 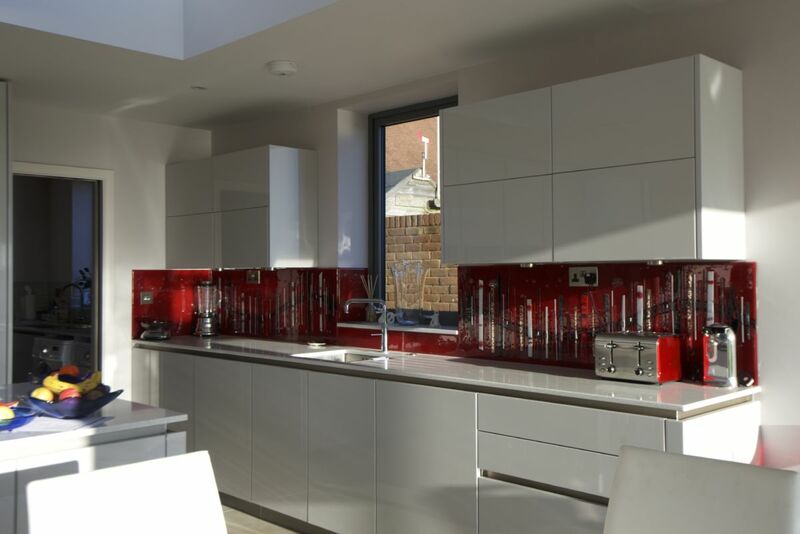 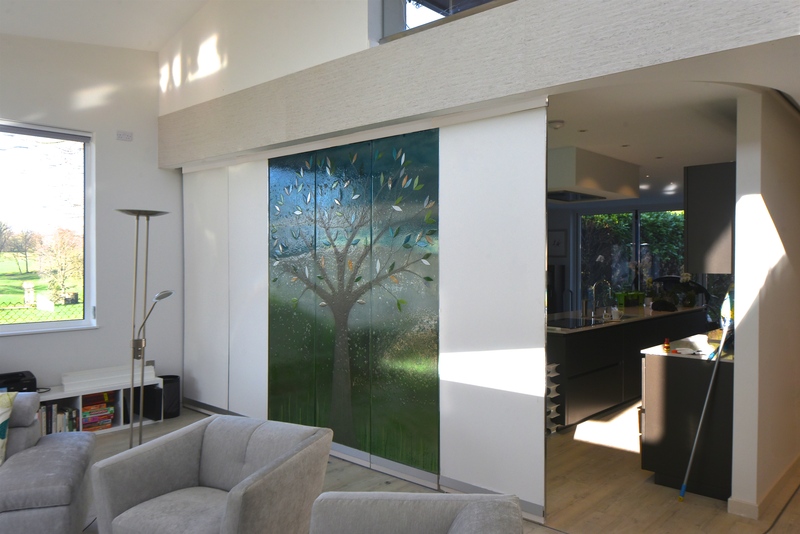 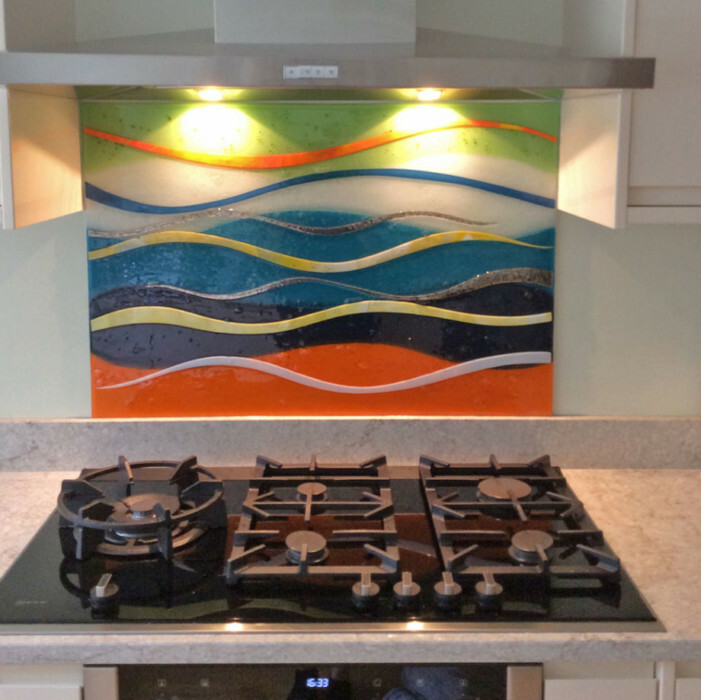 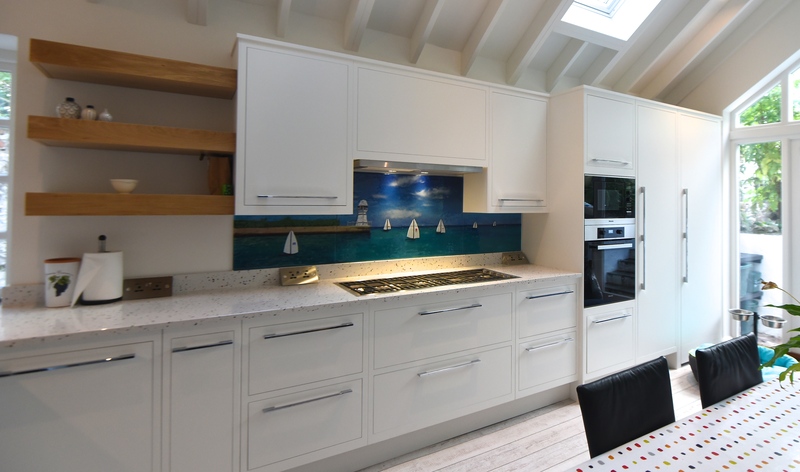 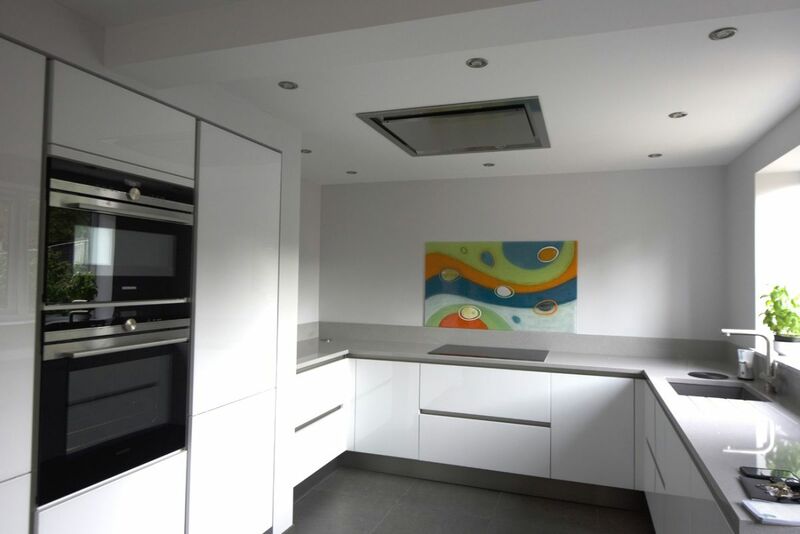 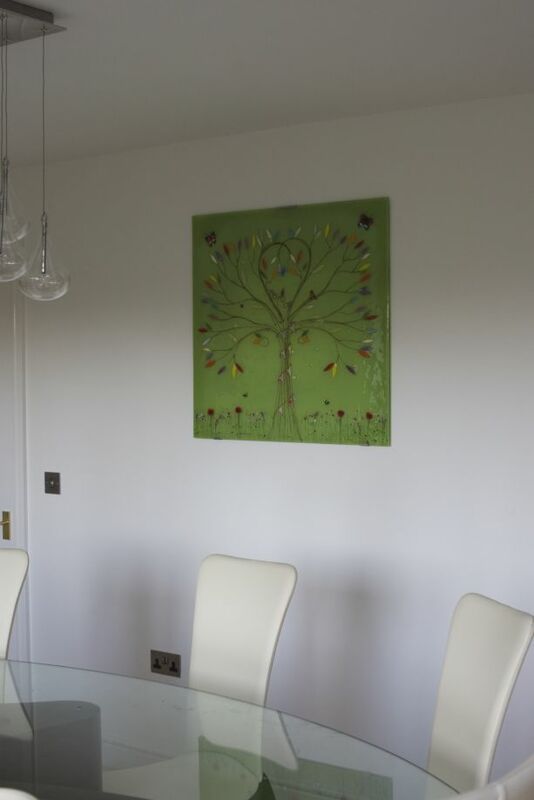 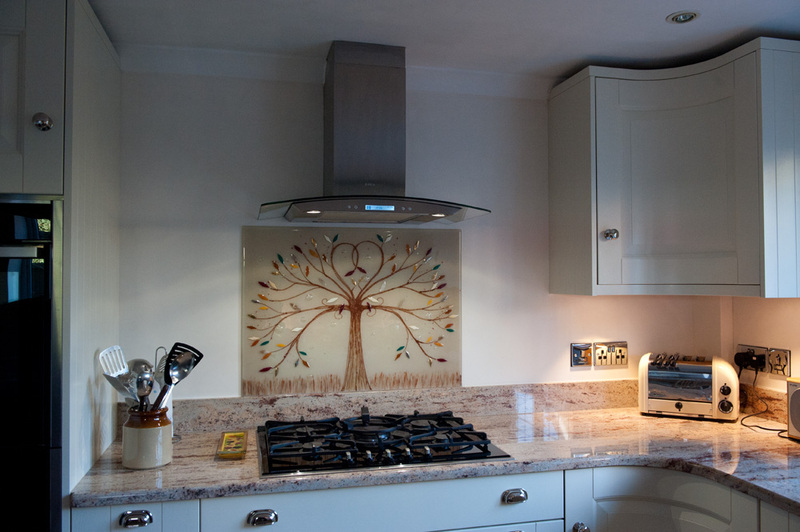 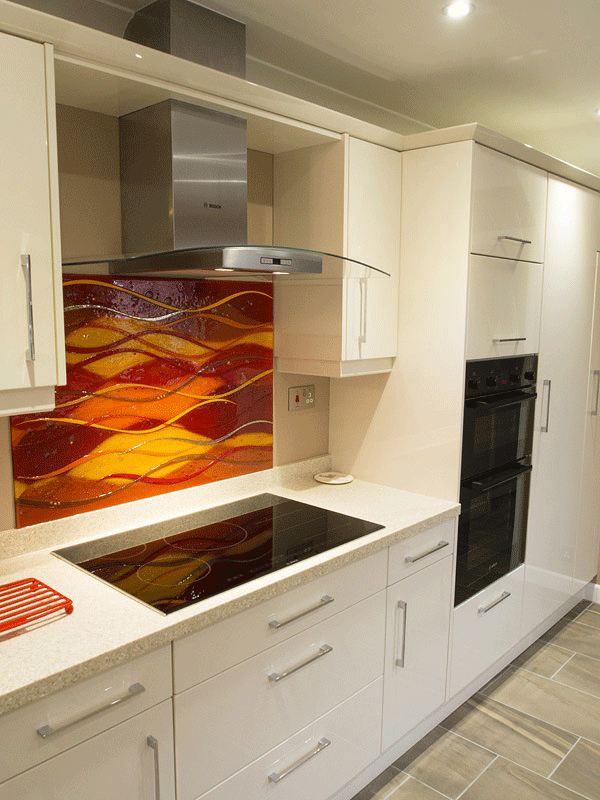 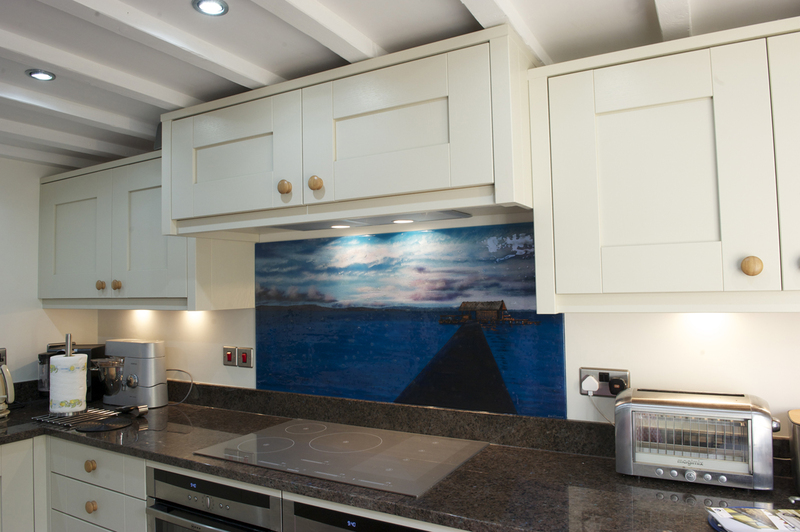 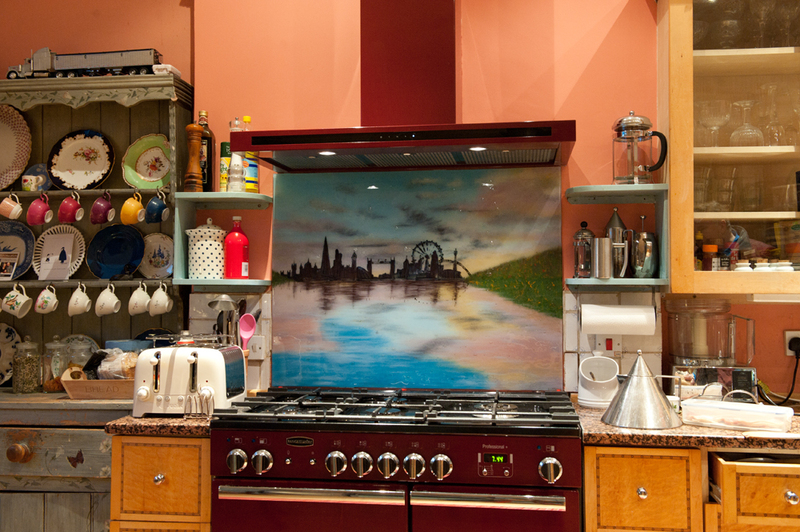 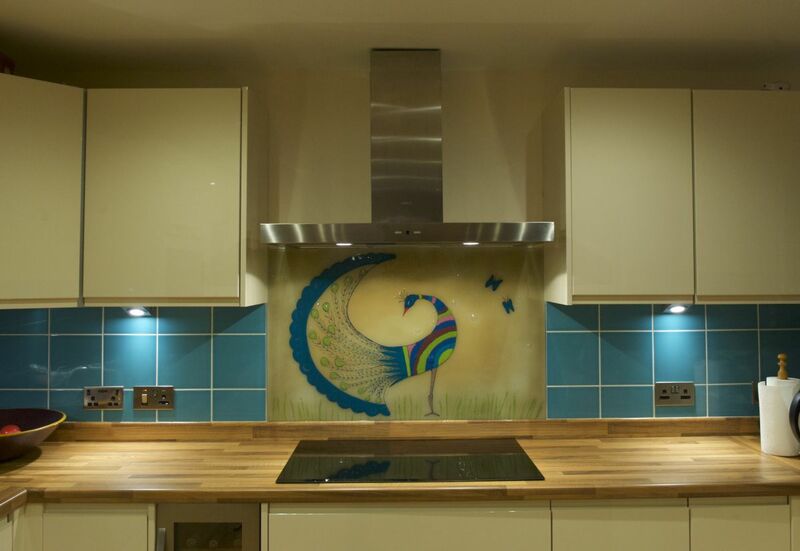 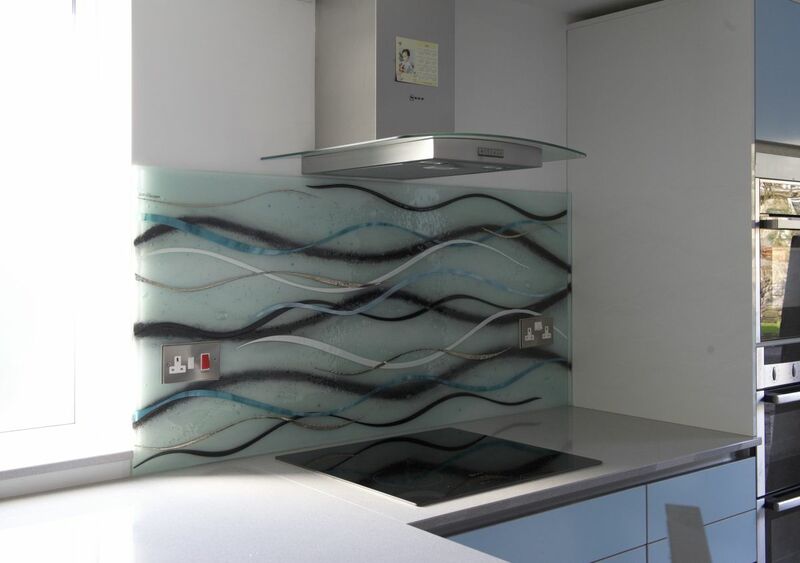 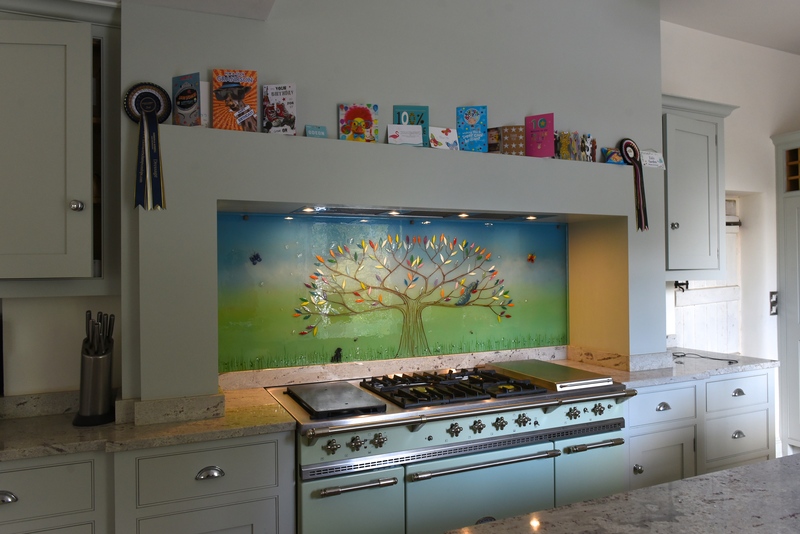 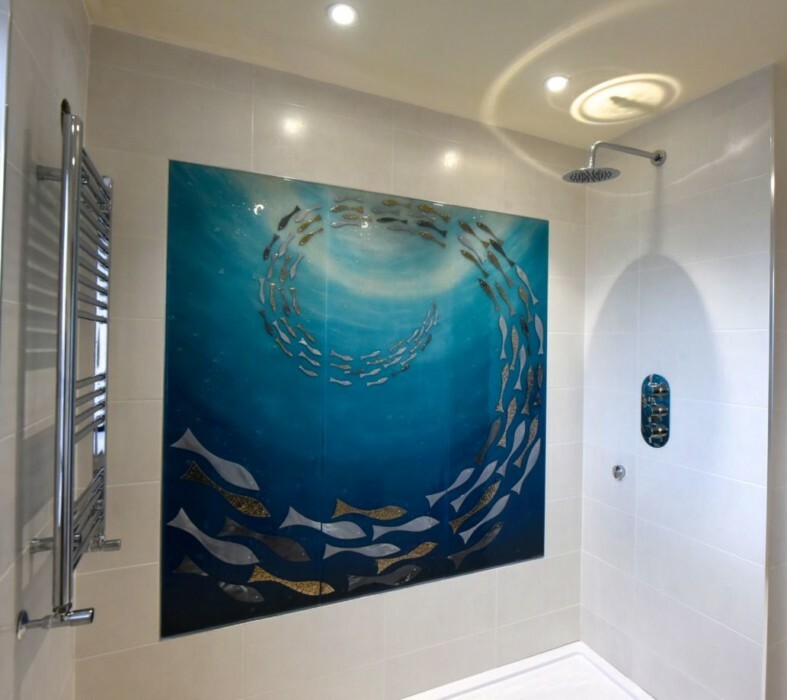 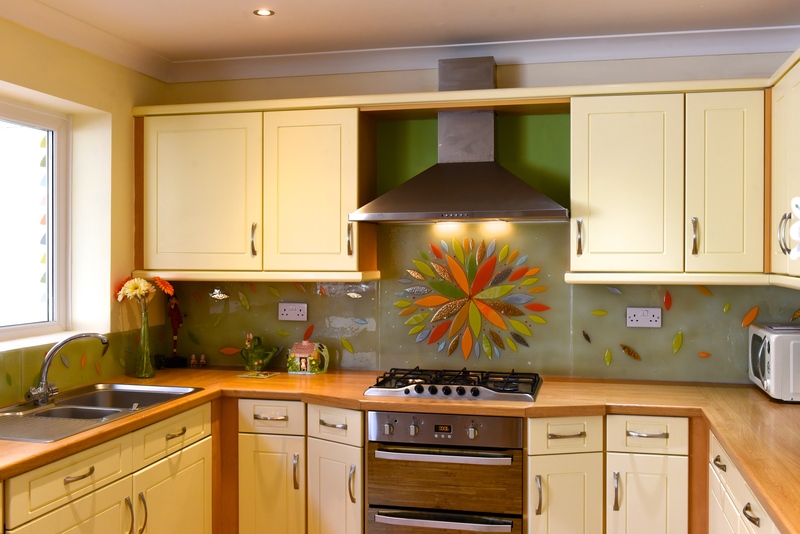 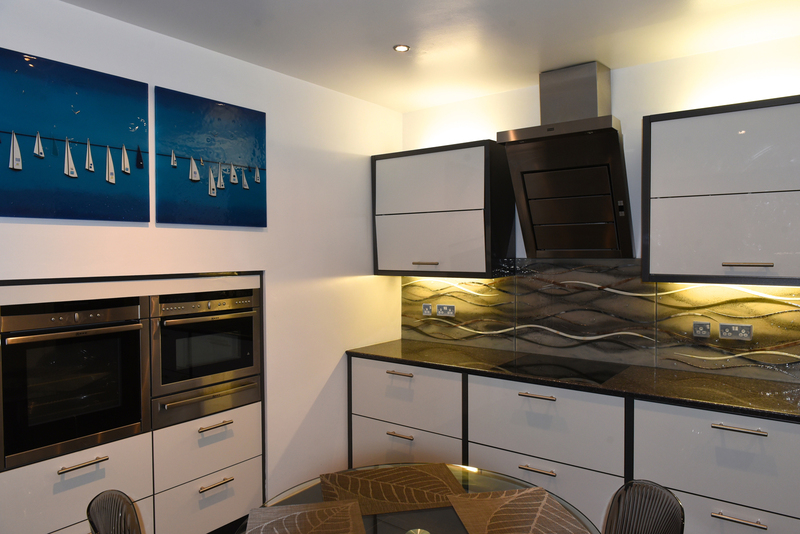 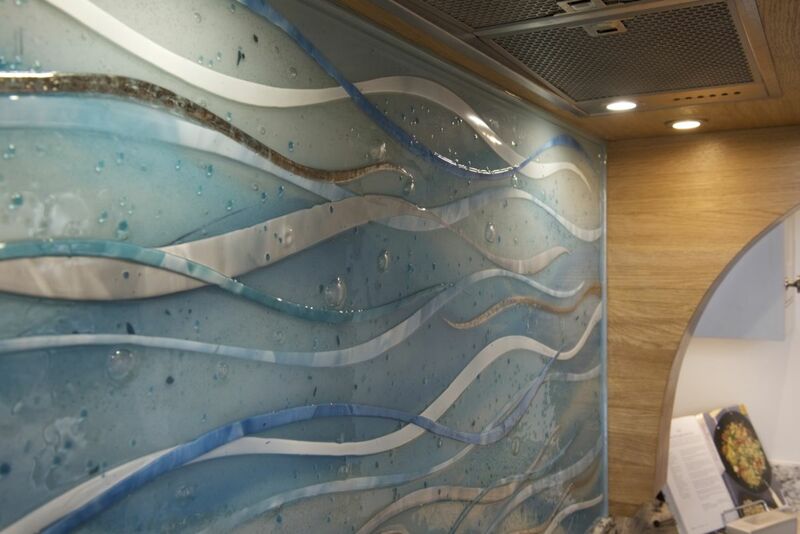 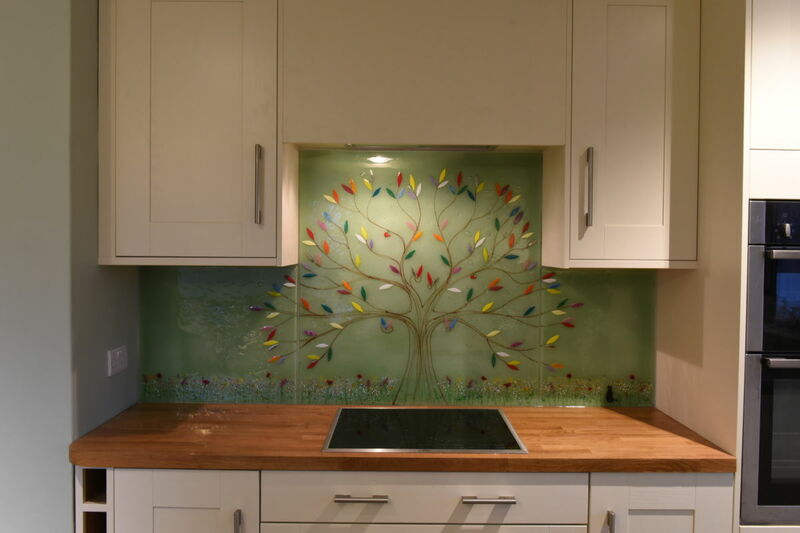 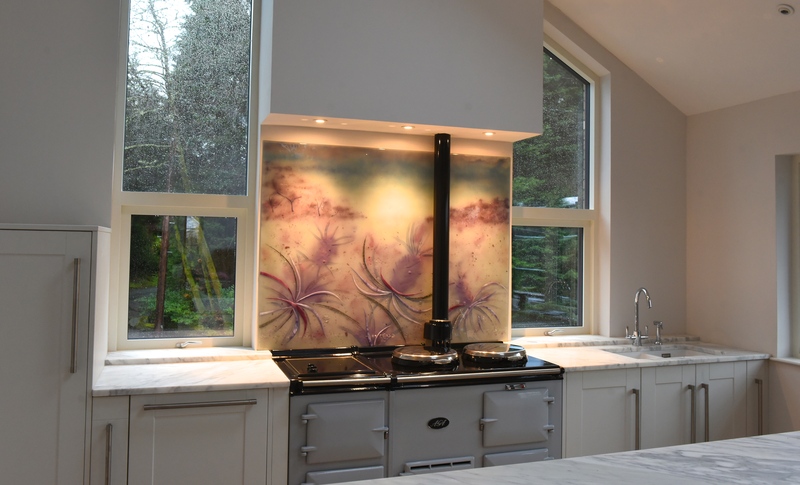 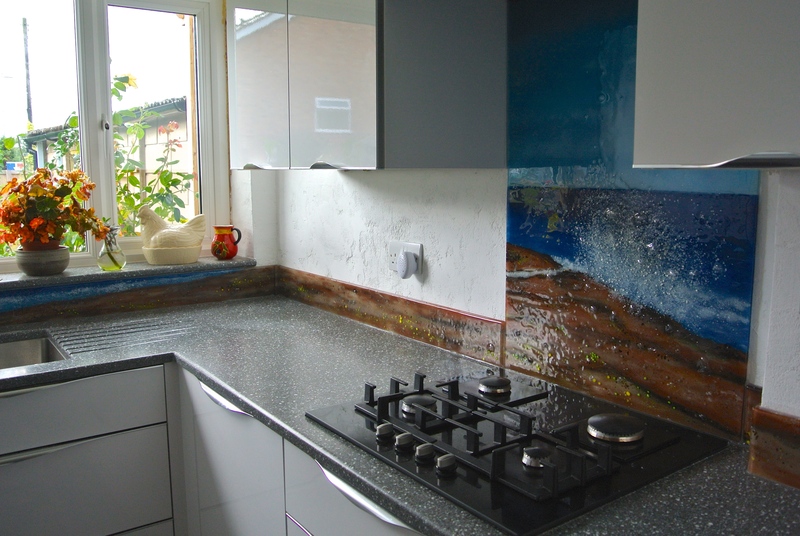 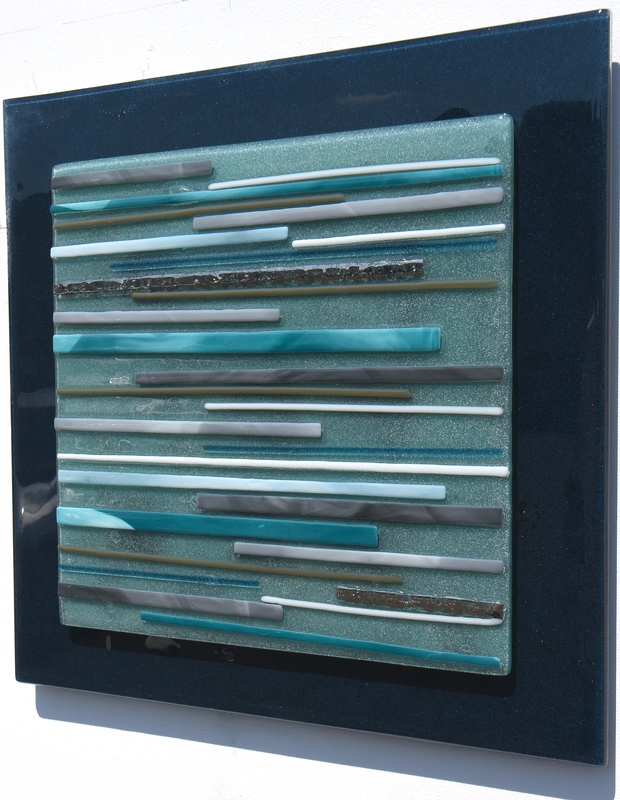 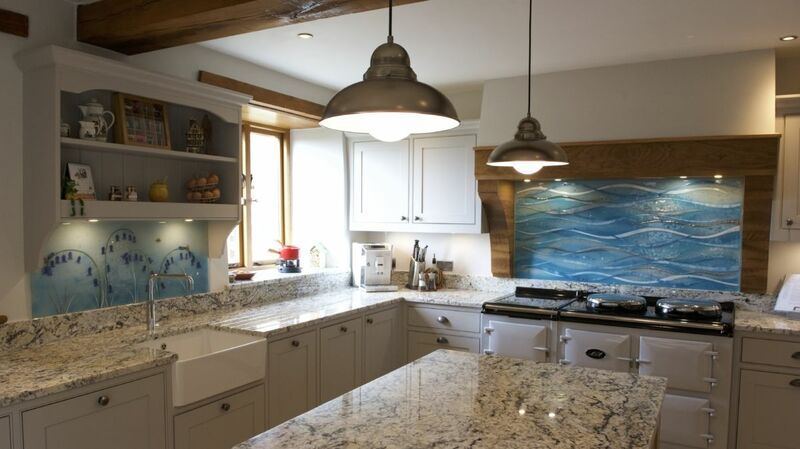 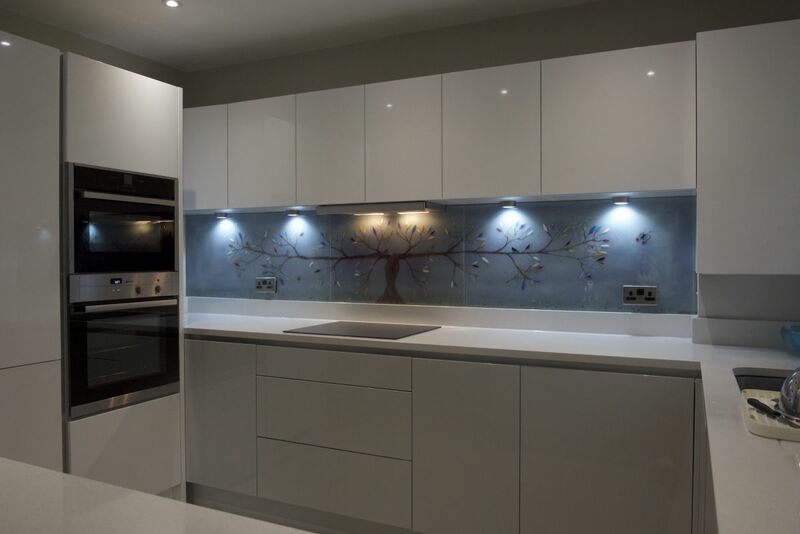 We absolutely love the way the room looks with these two pieces of fused glass wall art in place. 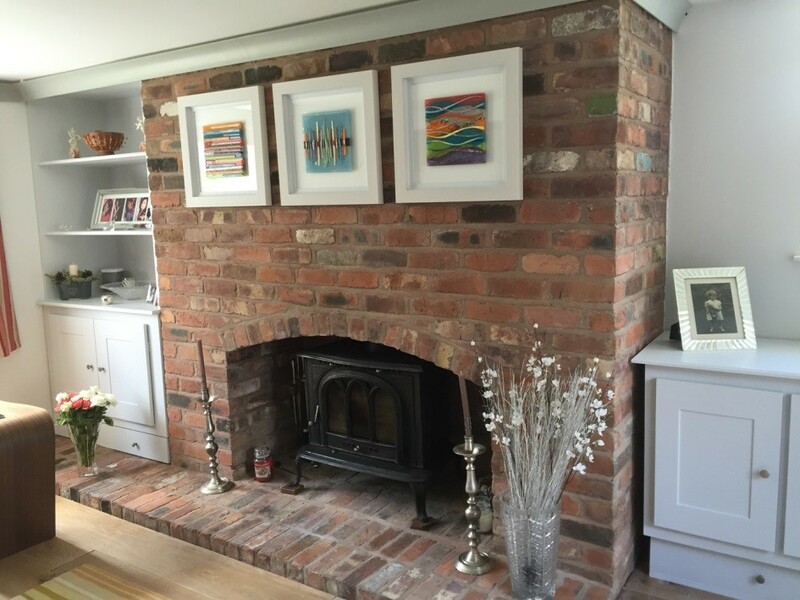 If you do too, and you’re looking to bring the same level beauty to a space in your own home, then make sure you let us know all about it! 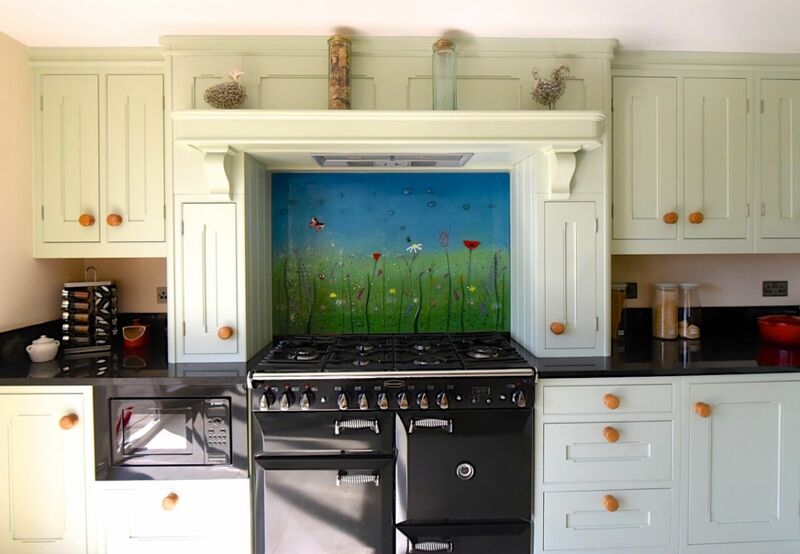 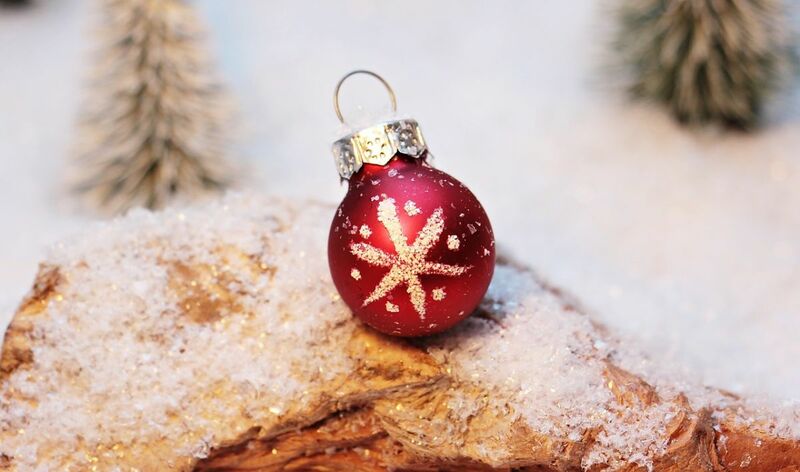 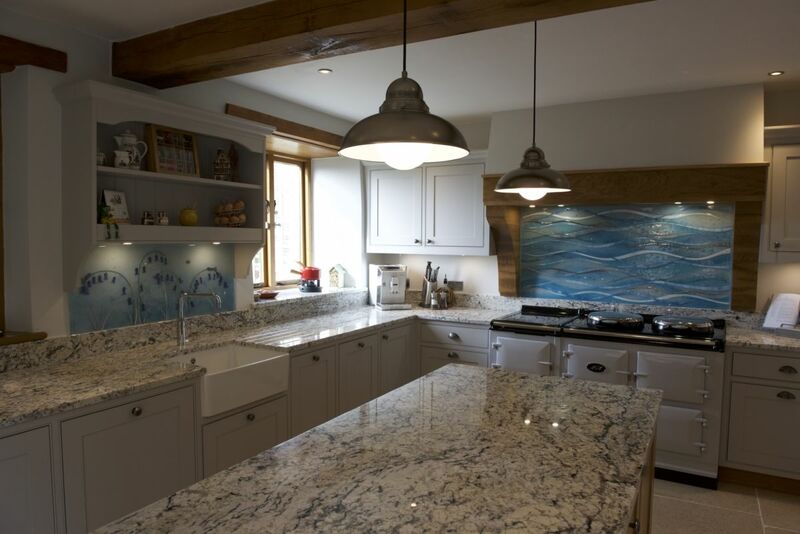 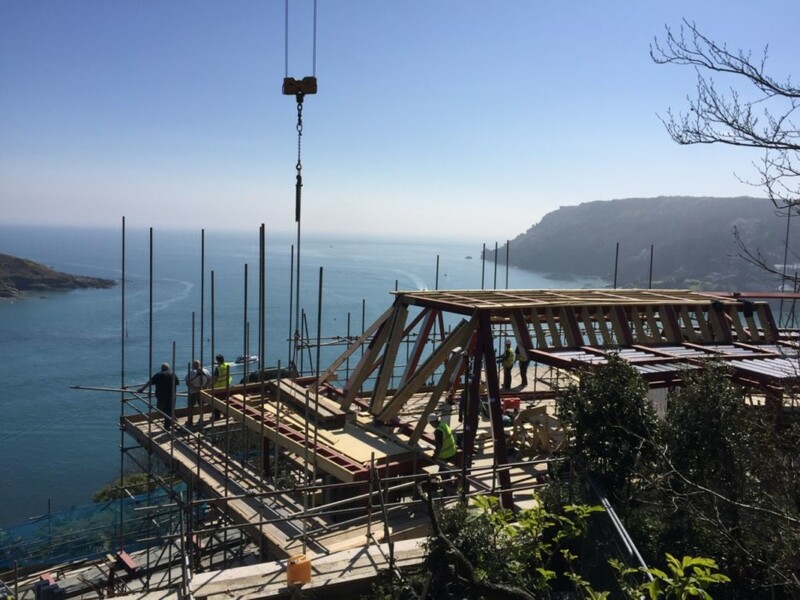 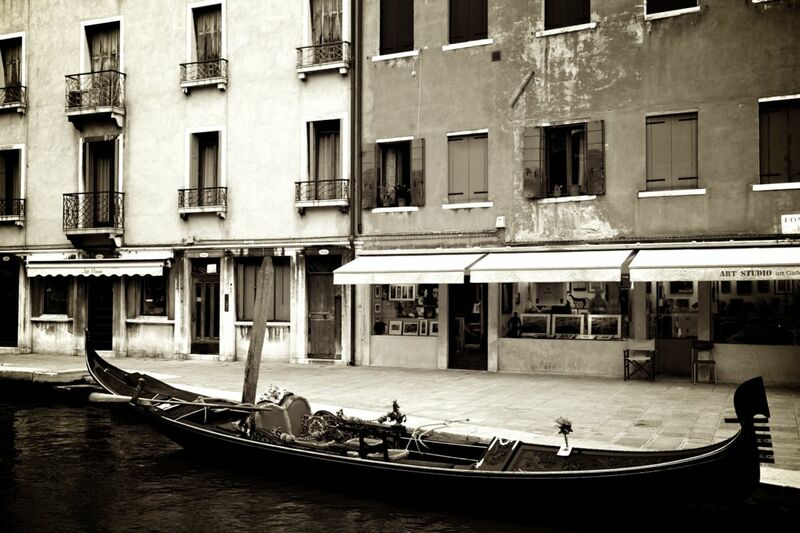 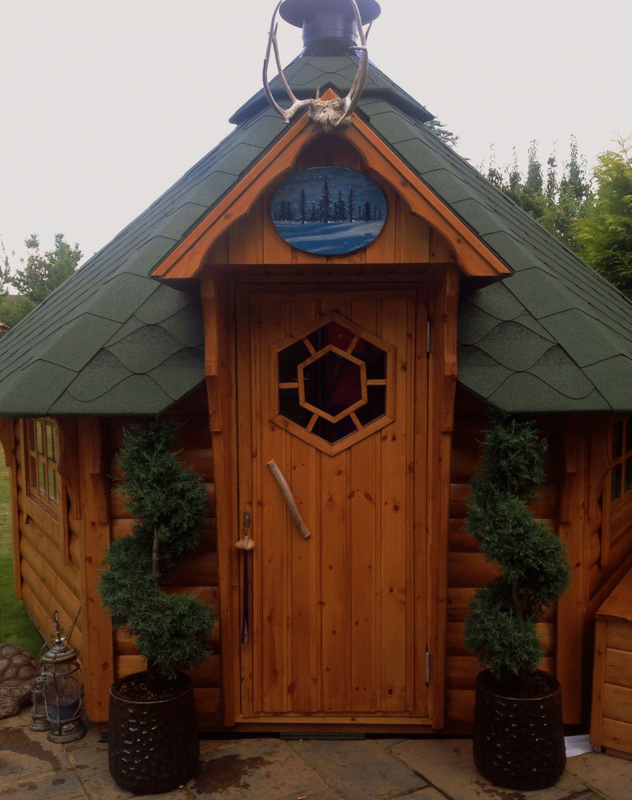 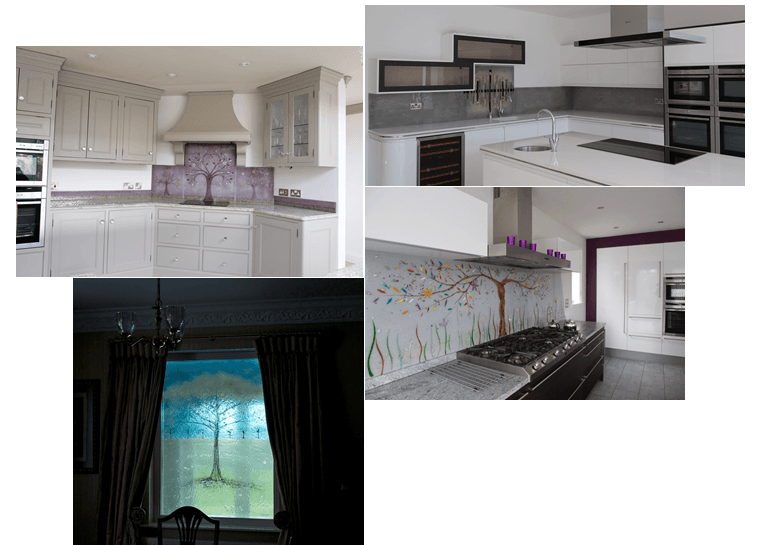 We here at The House of Ugly Fish would love to create something truly special for you, using our bespoke process to deliver an end result that looks just right. 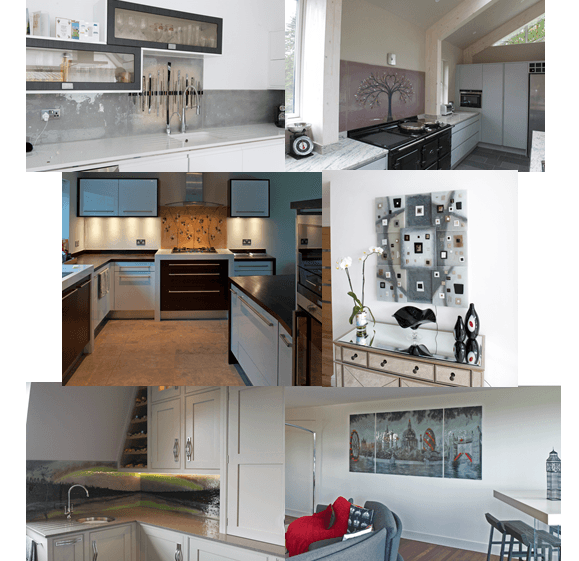 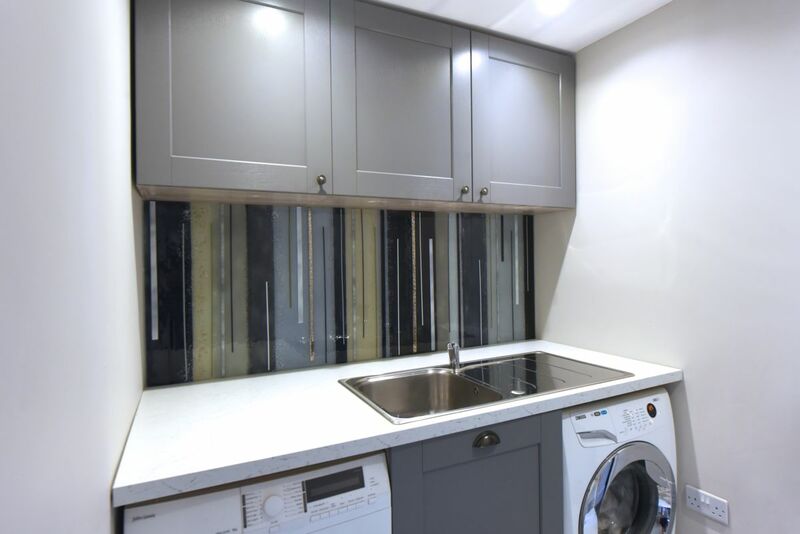 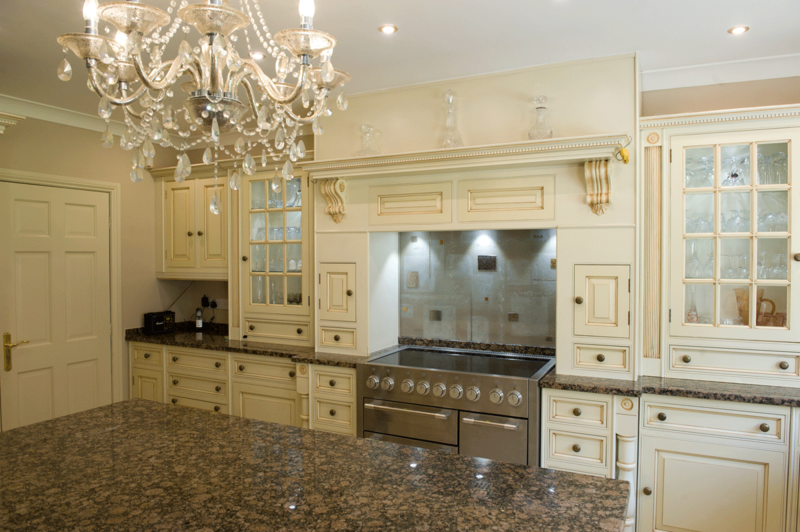 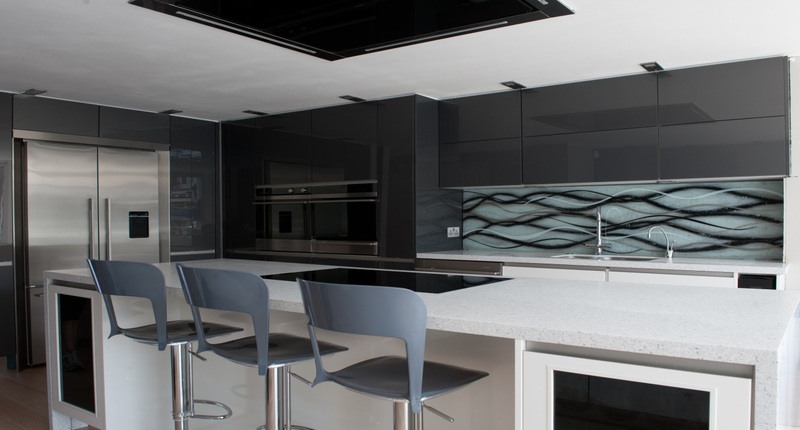 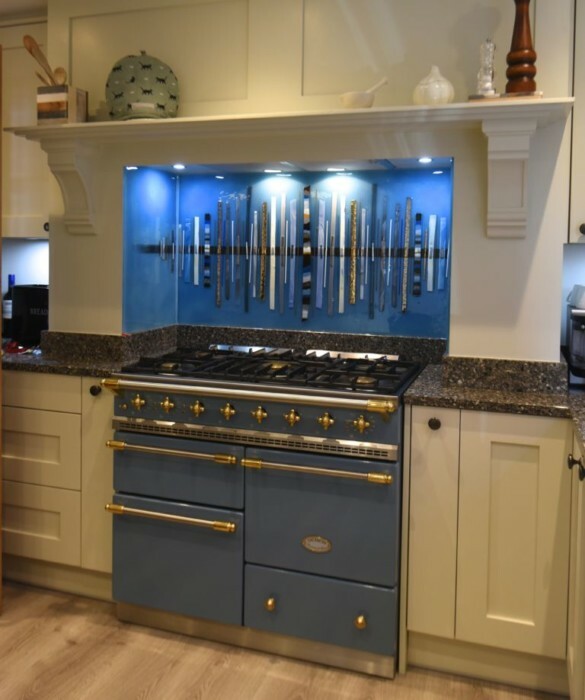 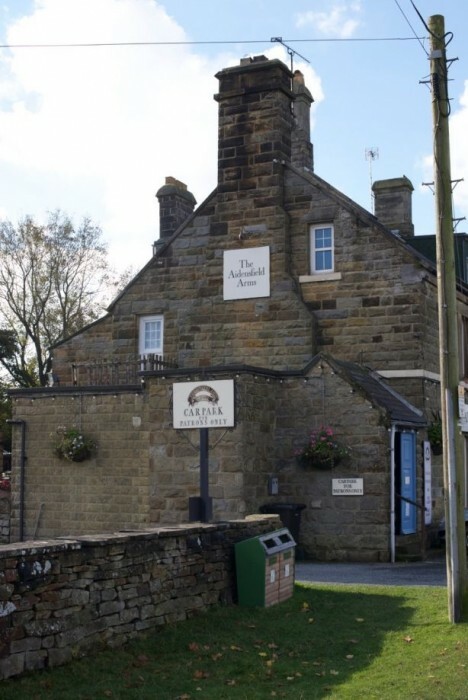 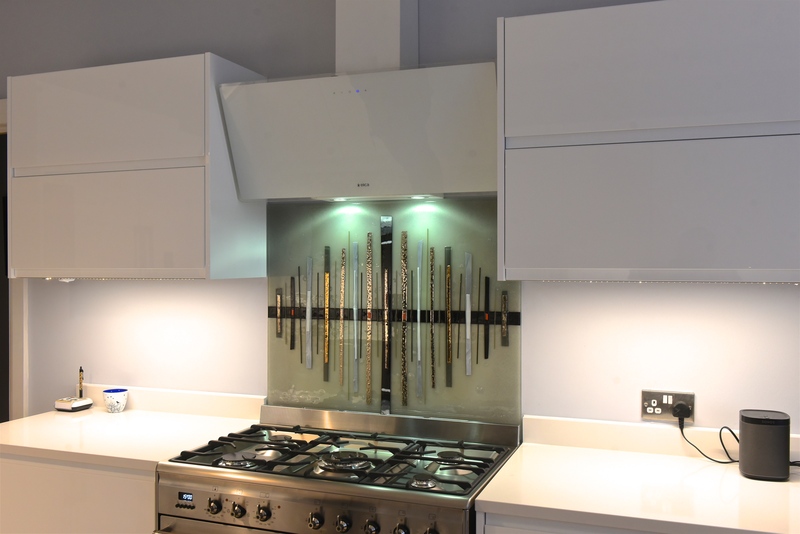 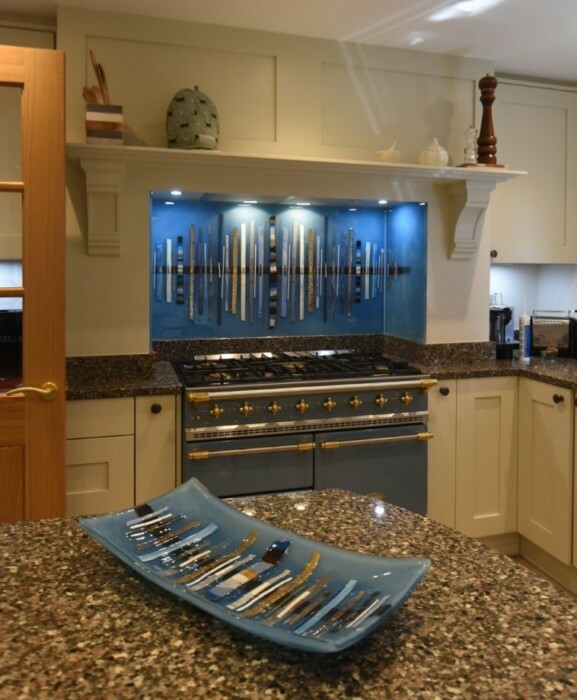 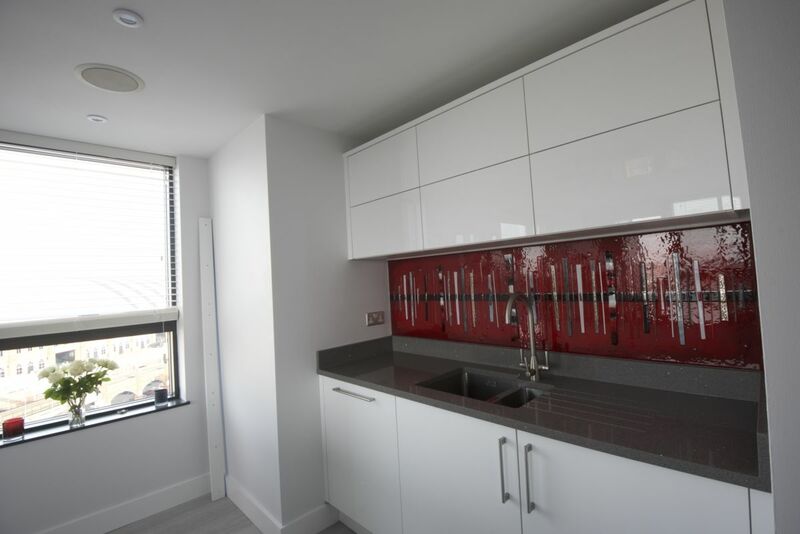 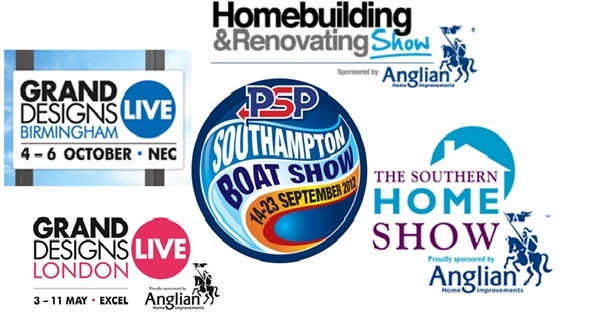 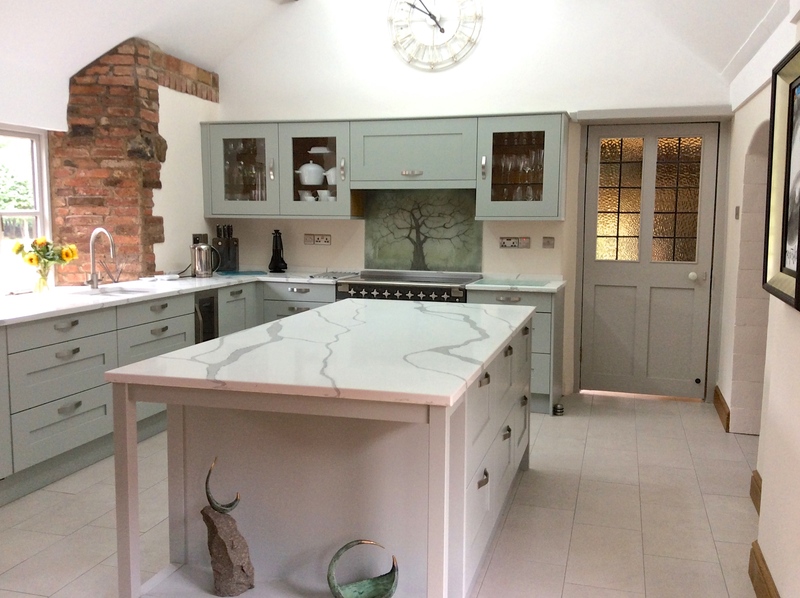 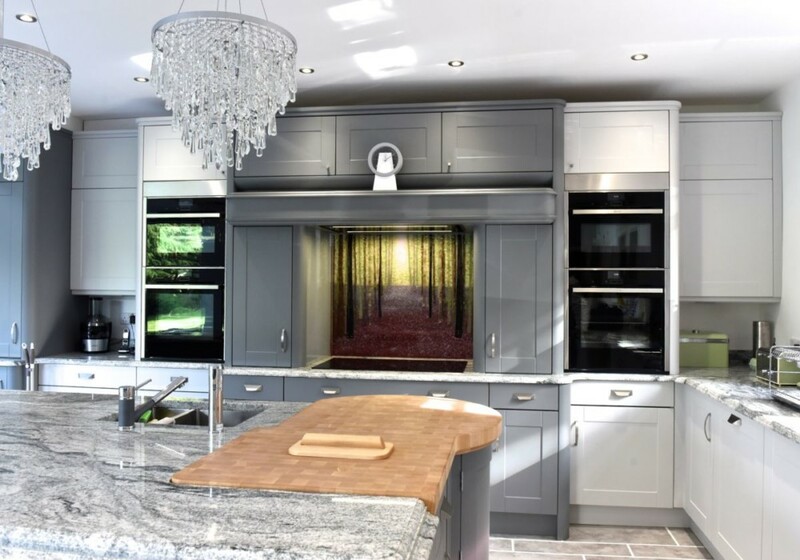 You can also come and view our stock if you’d like – just pick up the phone or drop us an email and we’ll arrange a time for a showroom visit!